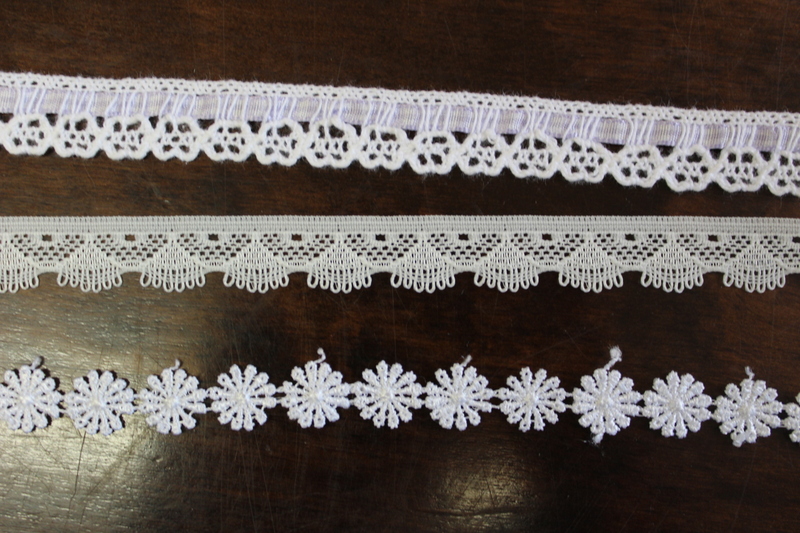 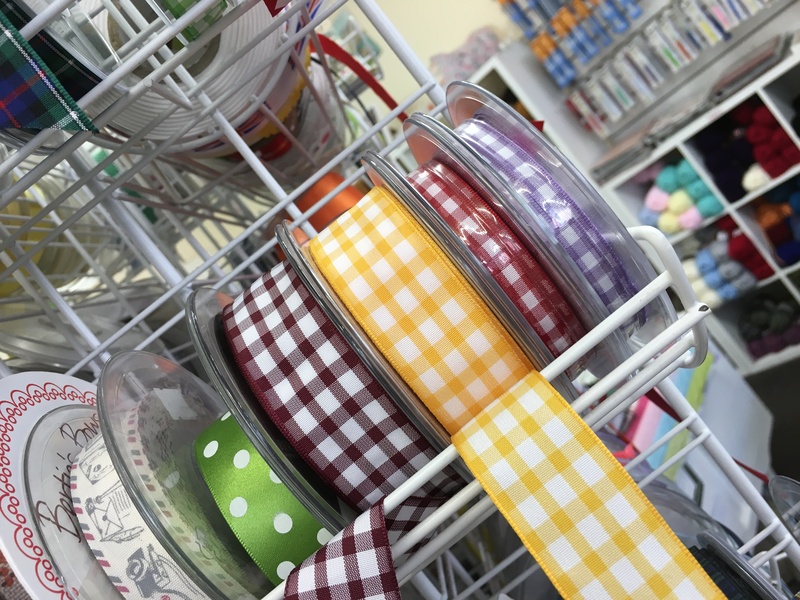 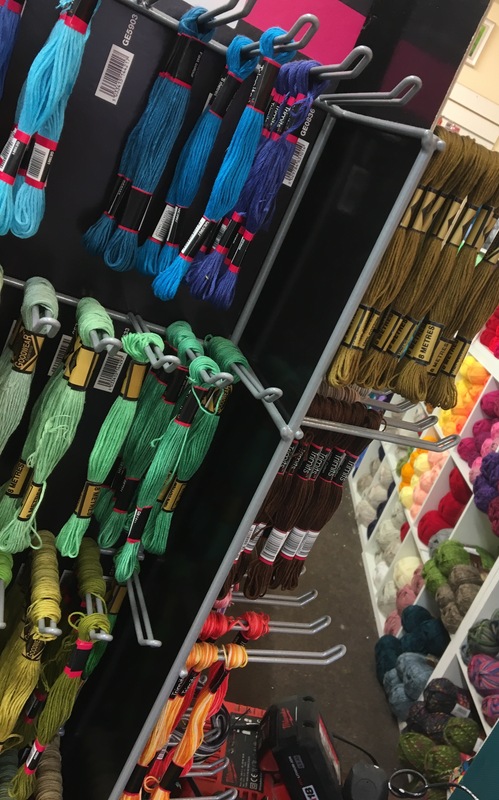 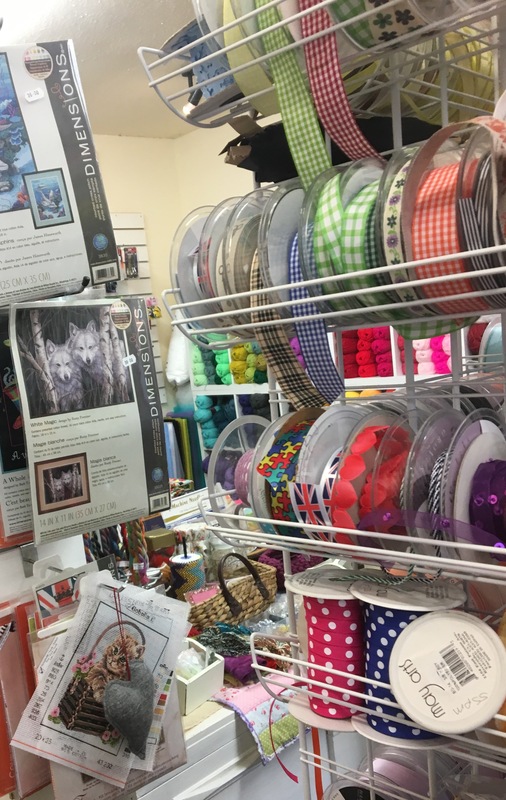 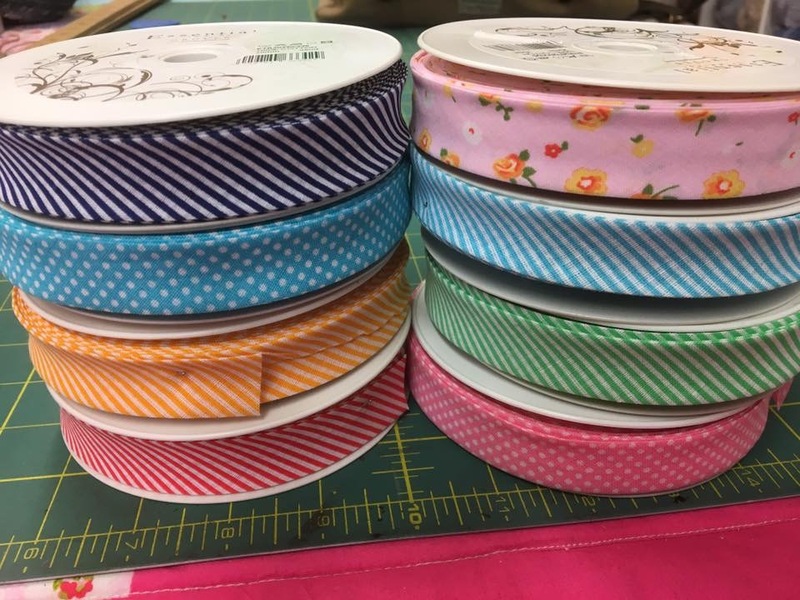 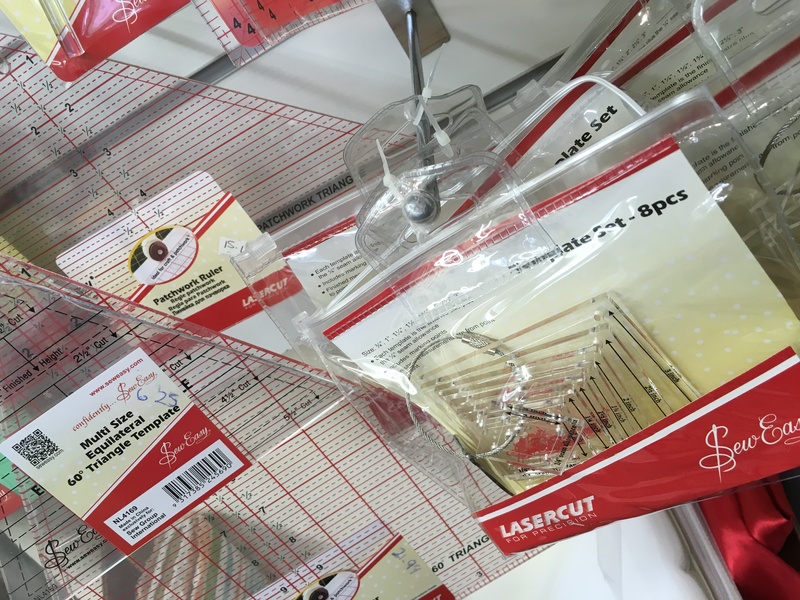 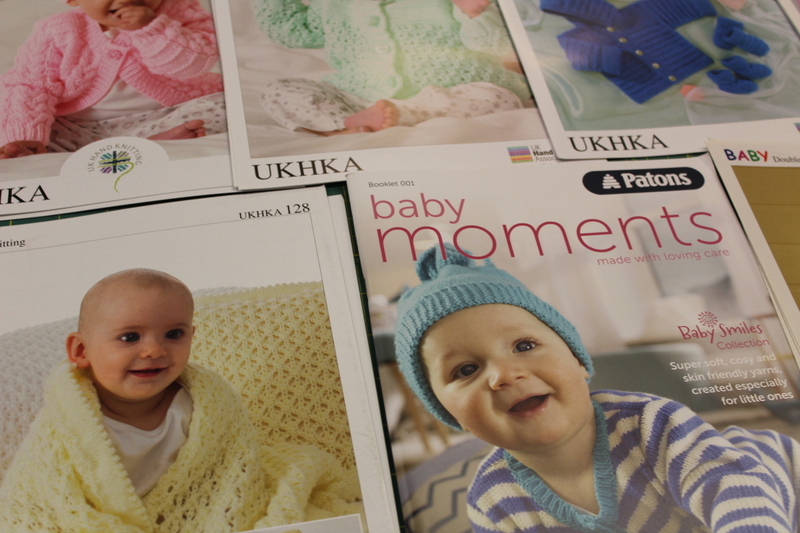 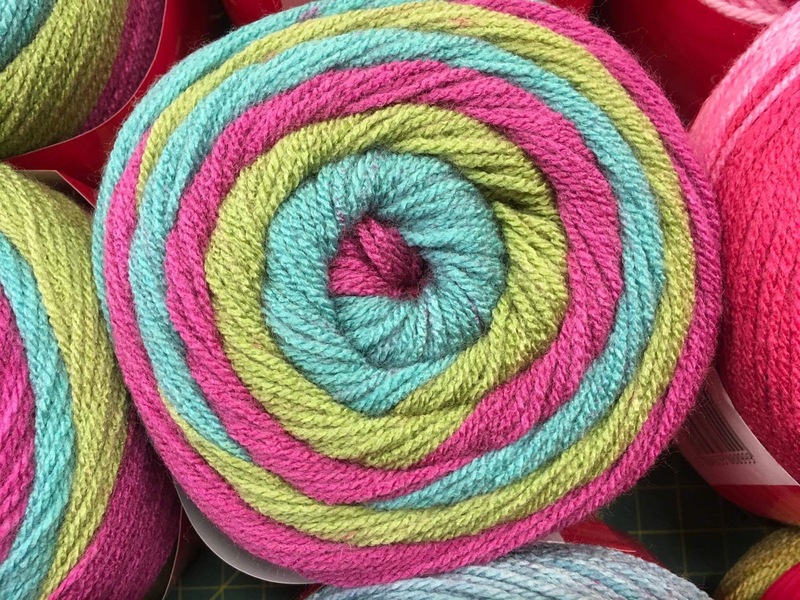 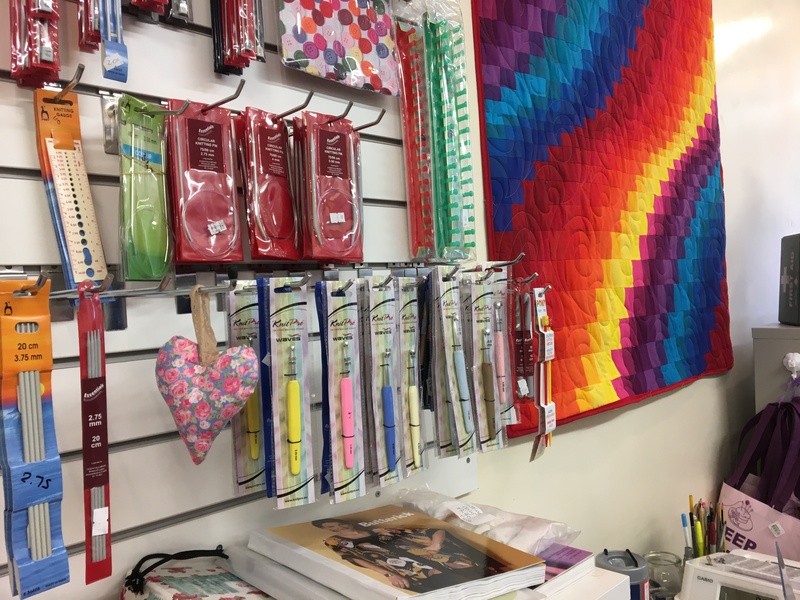 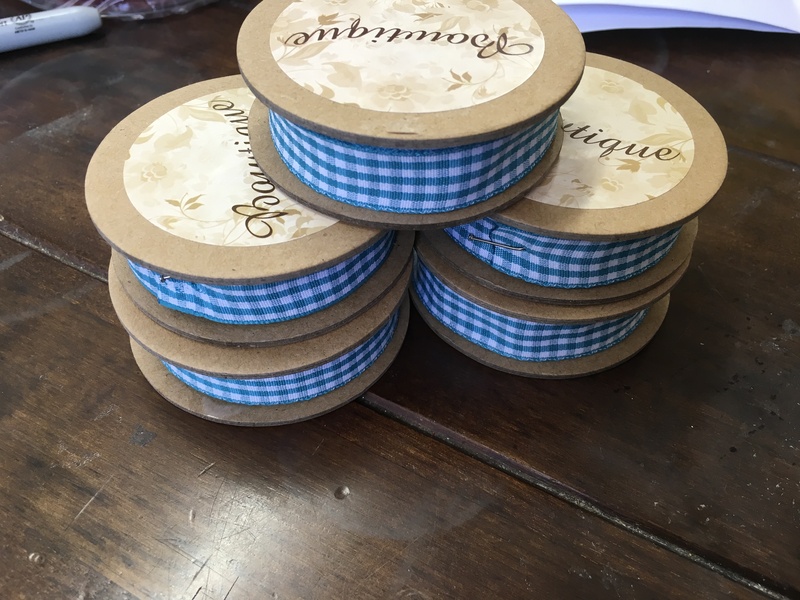 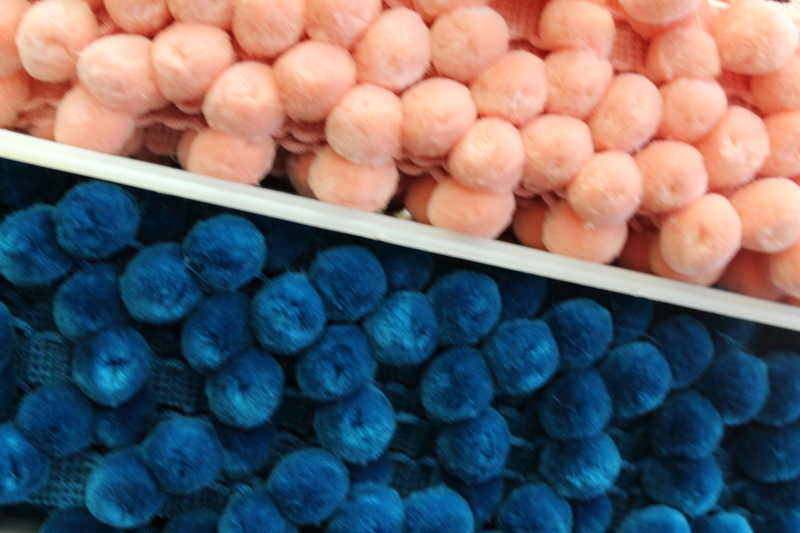 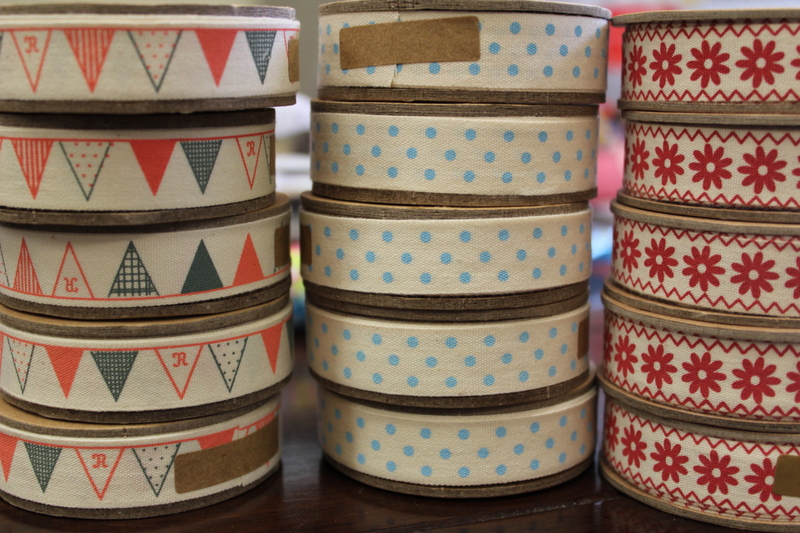 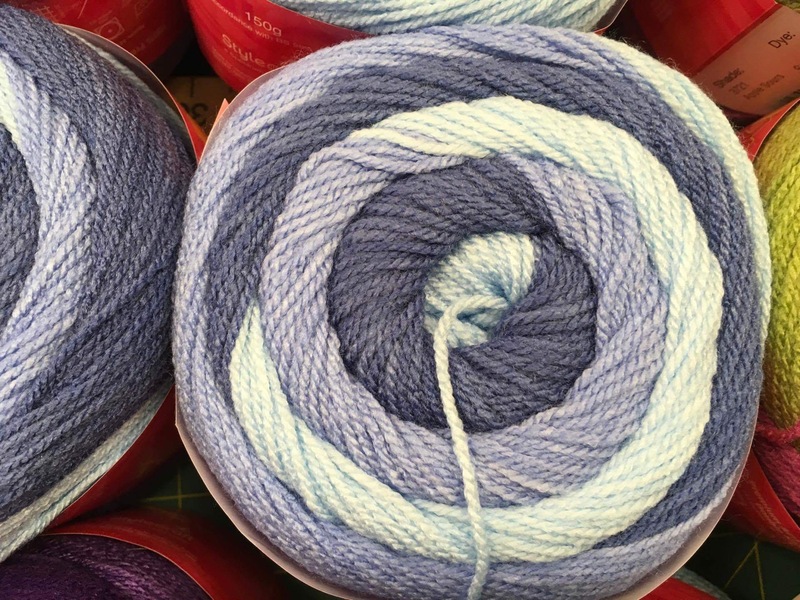 New Stock – The haberdashery Blog. 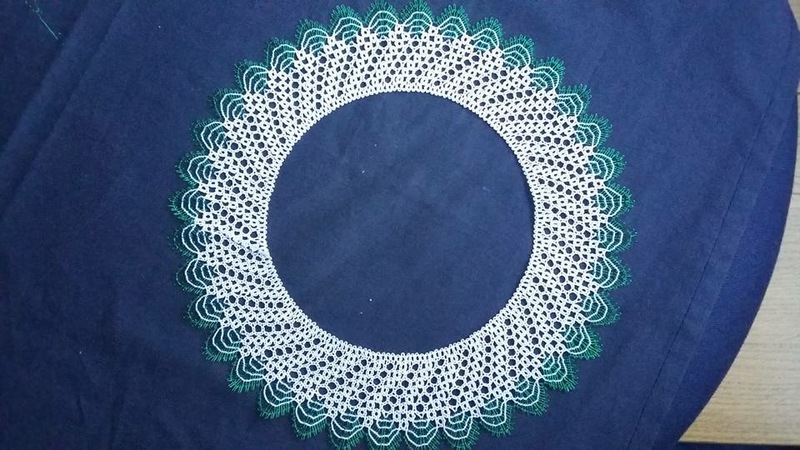 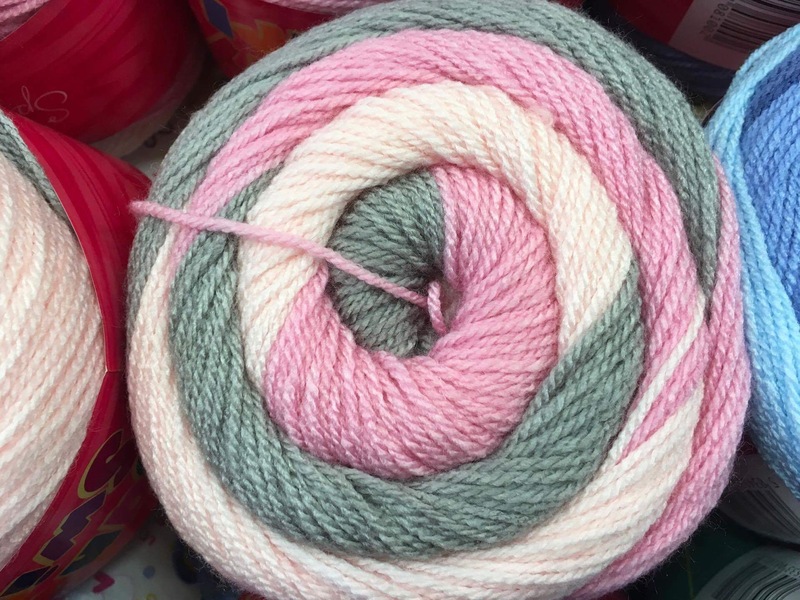 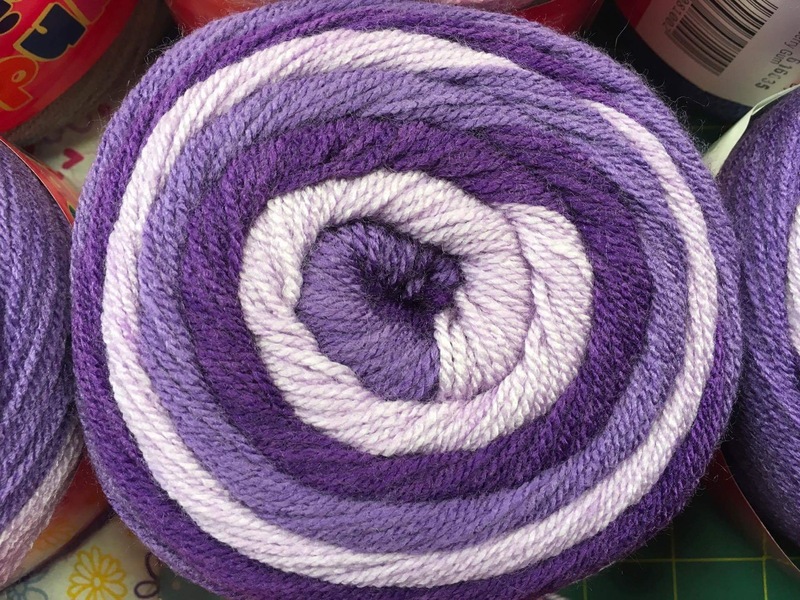 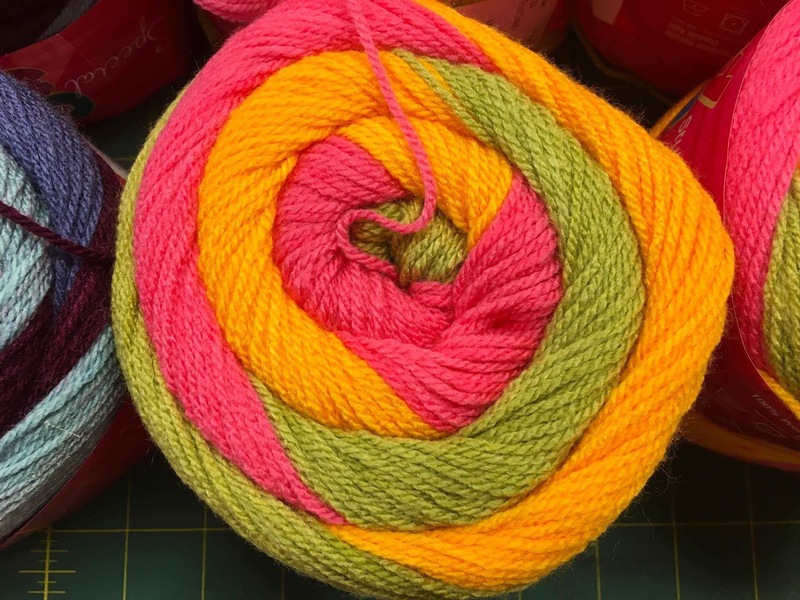 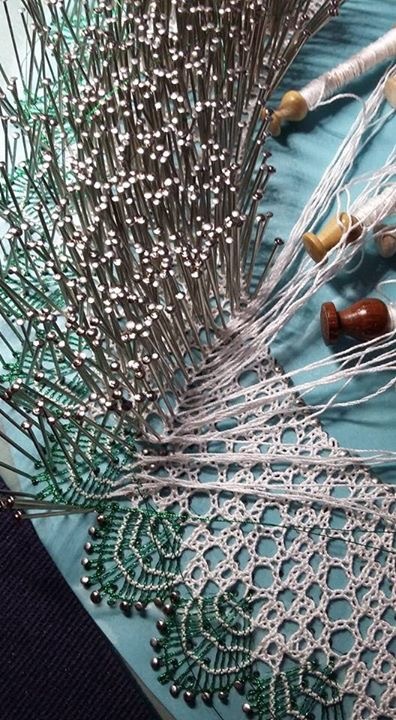 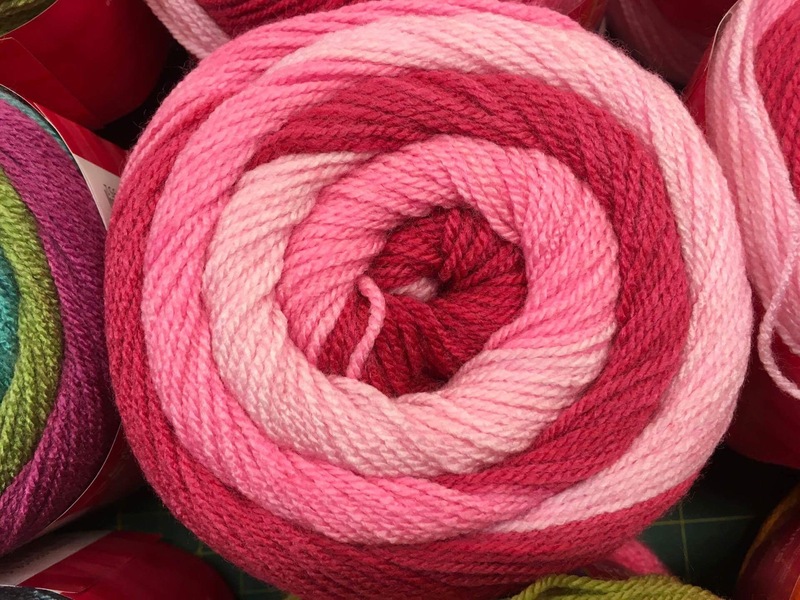 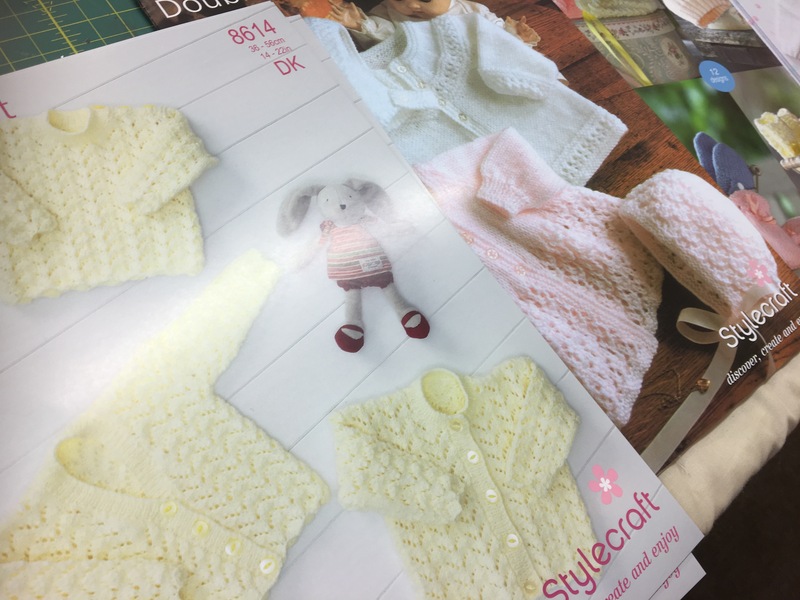 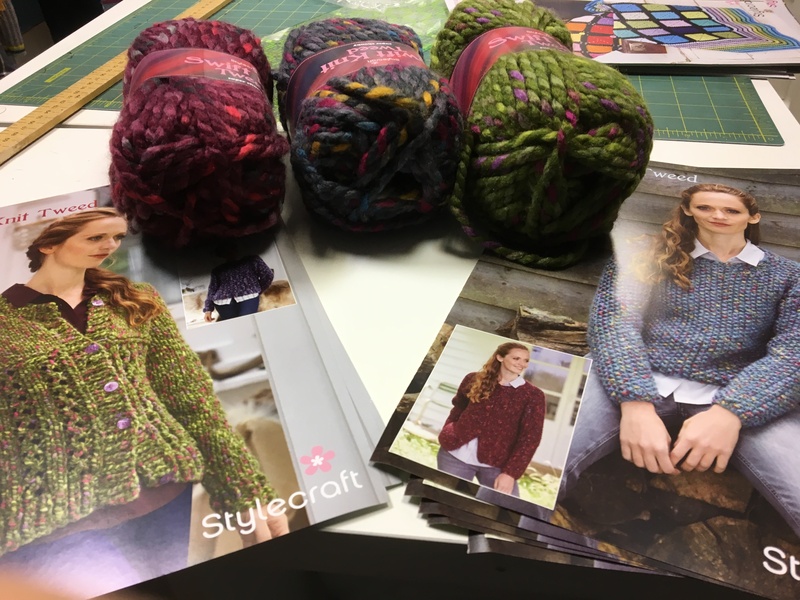 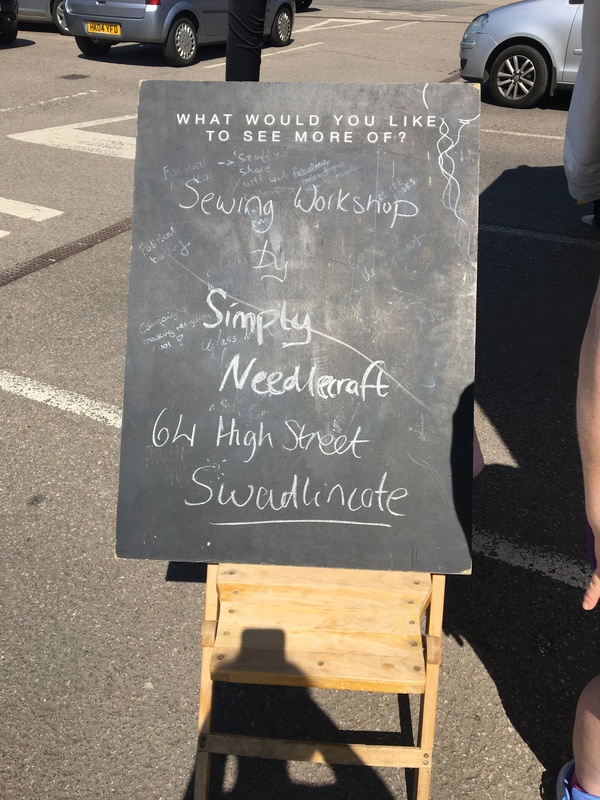 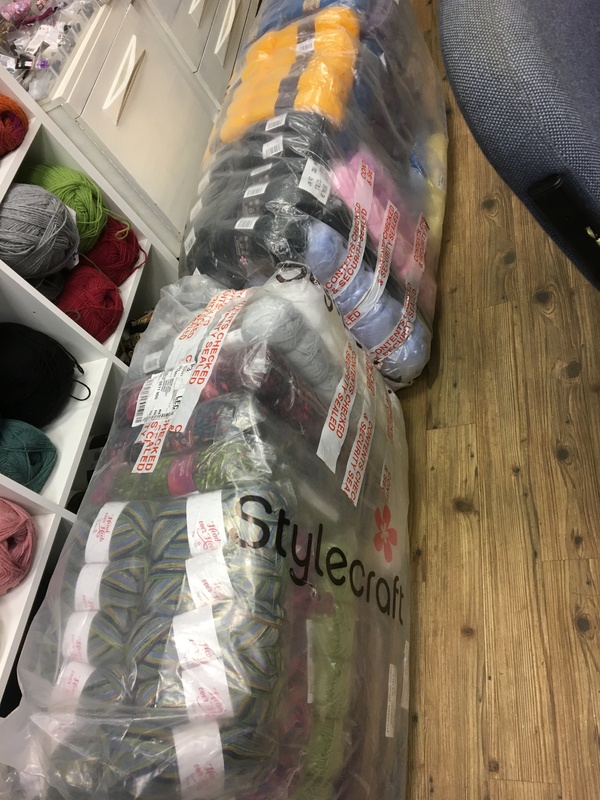 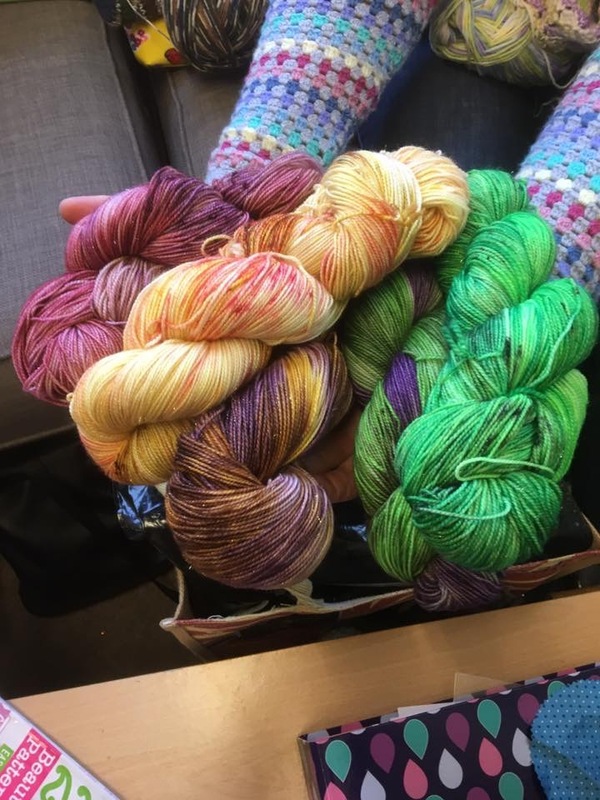 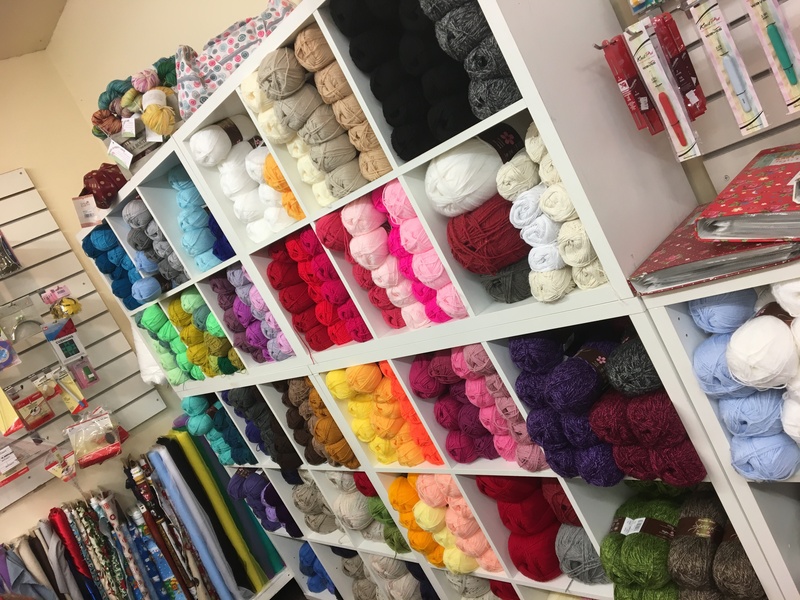 I’ve got issues with the Simply Needlecraft website at the moment but will hopefully be back up and running over the weekend. 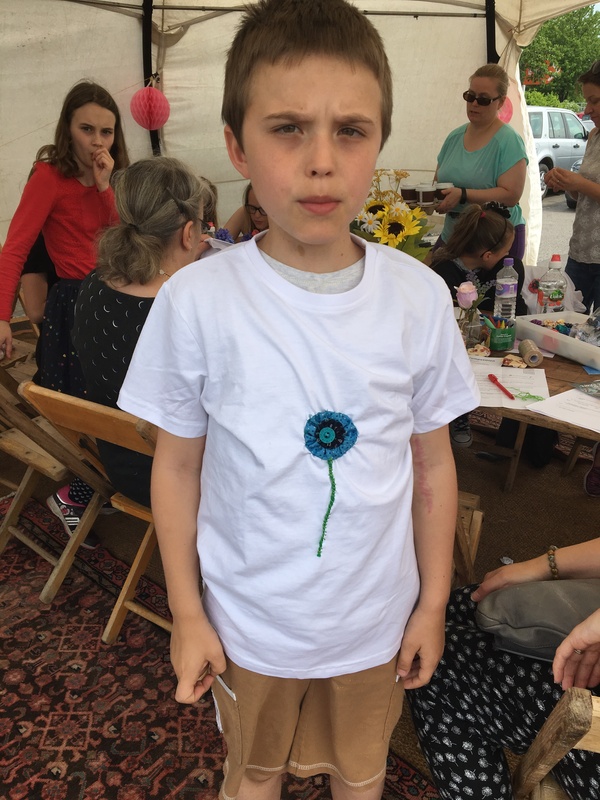 Id like to thank everyone who has shown support and caring words towards my son Ben. 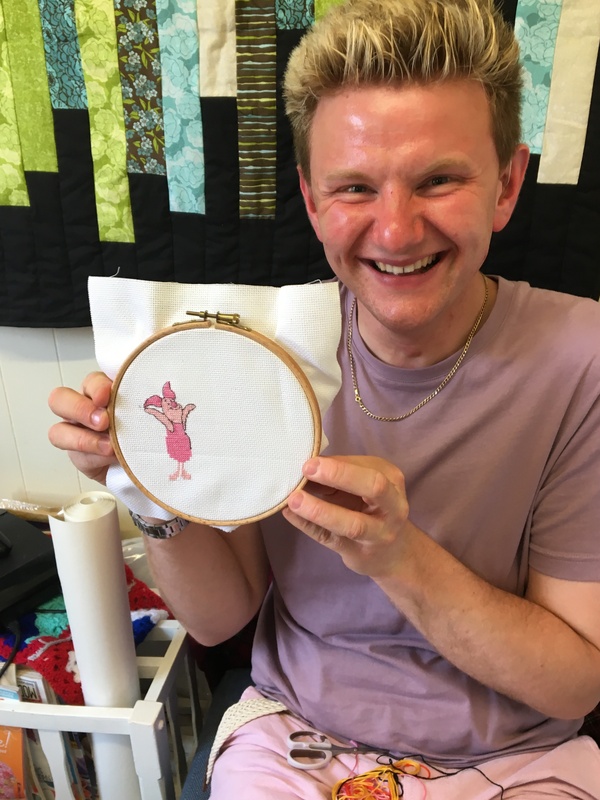 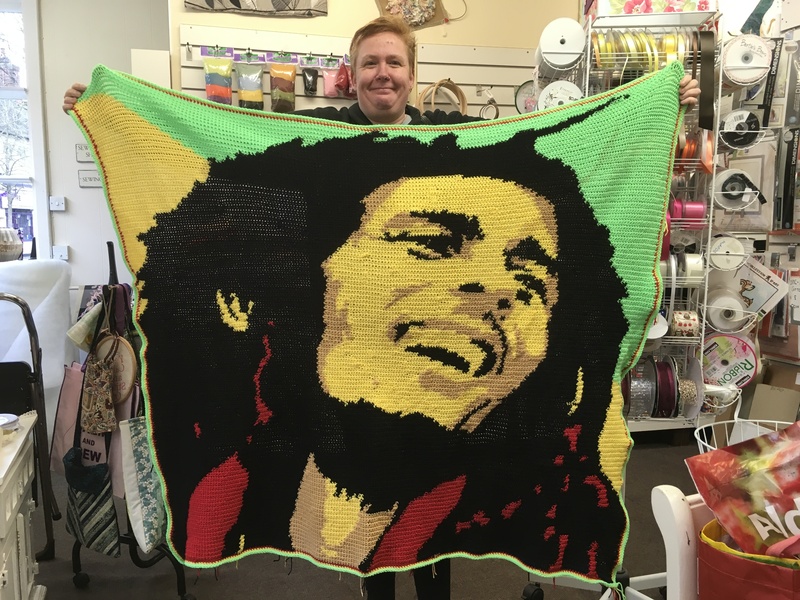 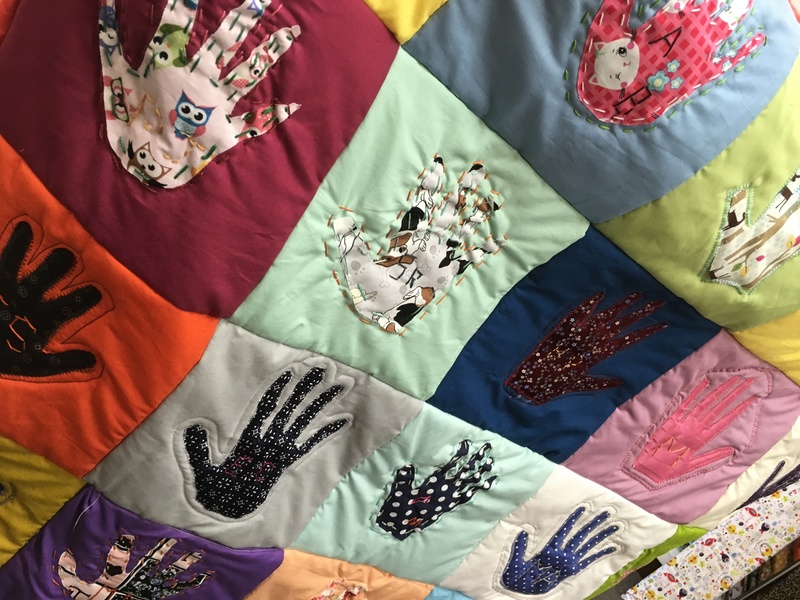 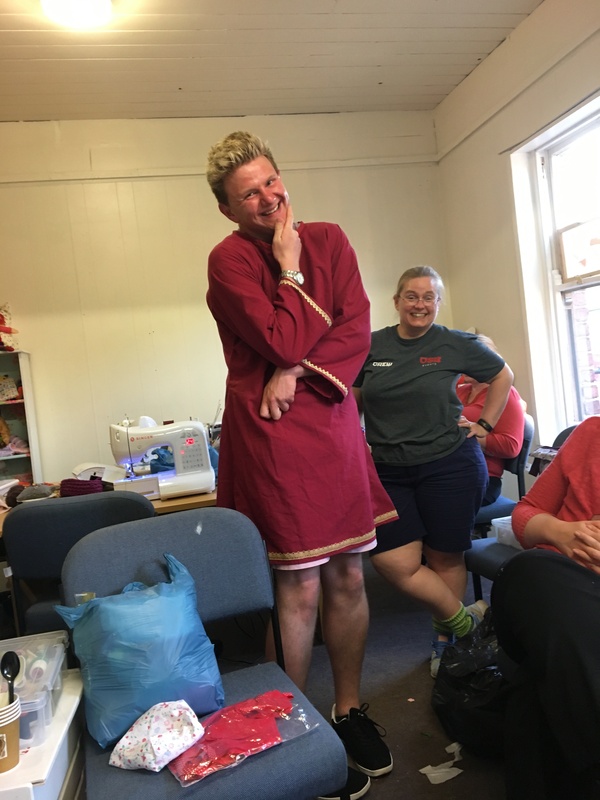 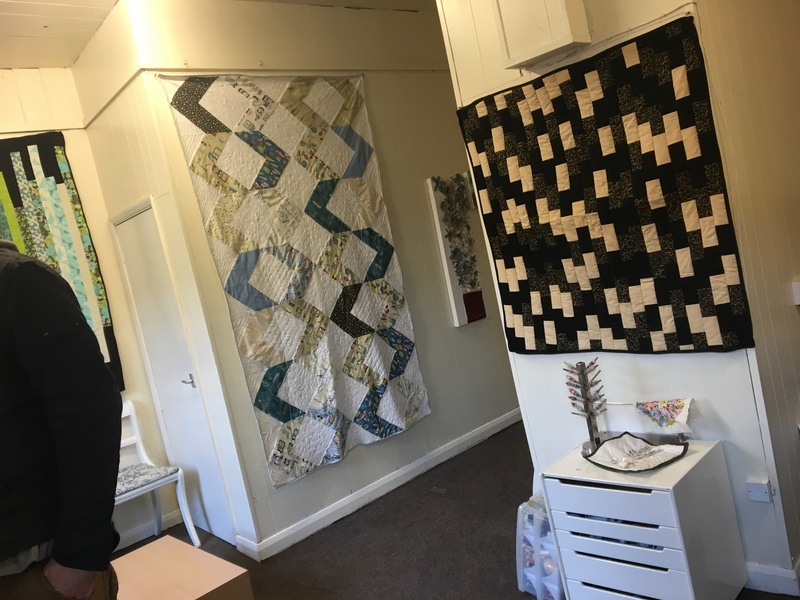 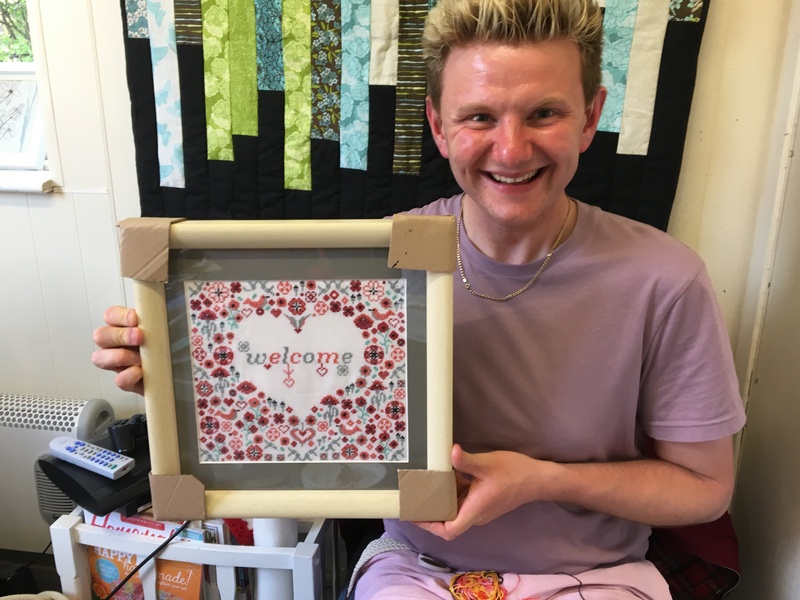 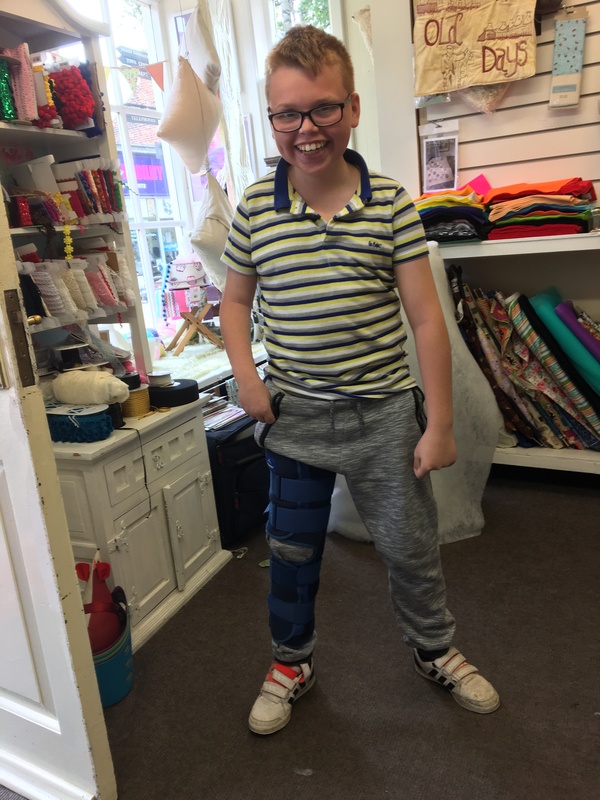 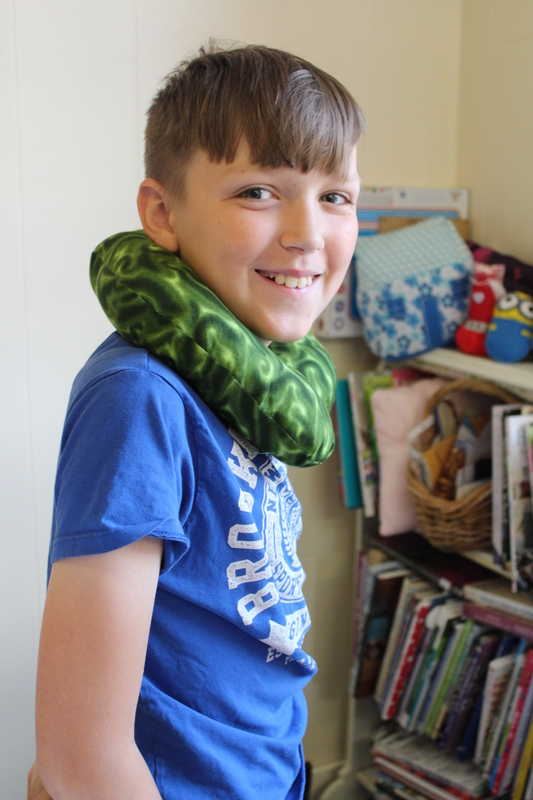 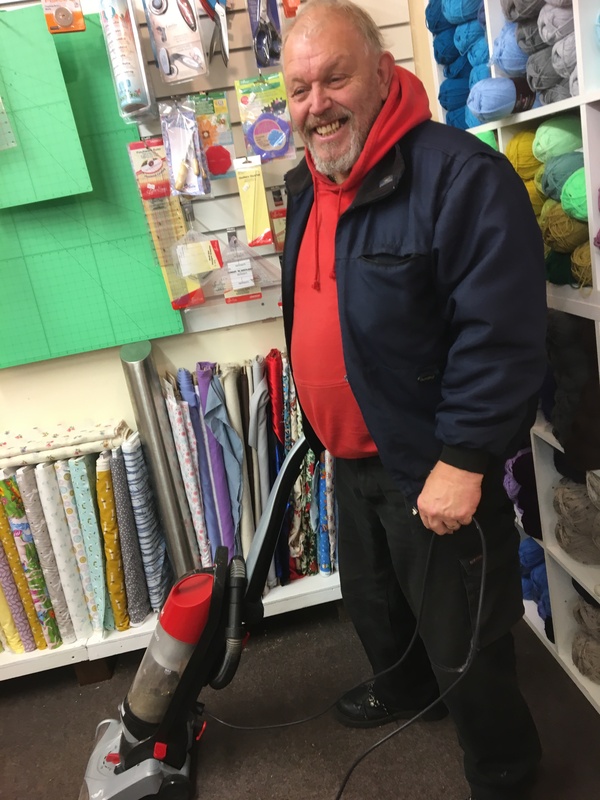 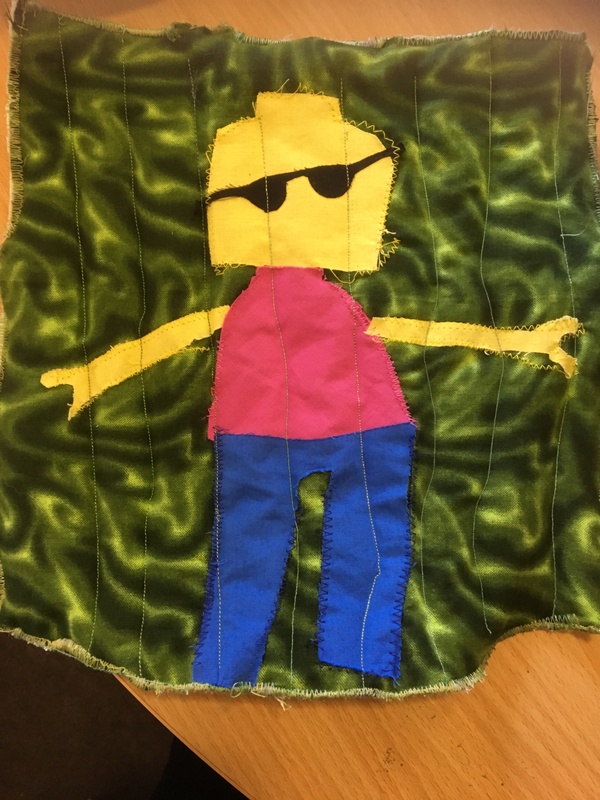 I can say he’s still a bit bumped and bruised and strapped up but in typical Ben style …….he’s still smiling …..
We are on count down now for the Festival of Quilts which is on Thursday 10th August. 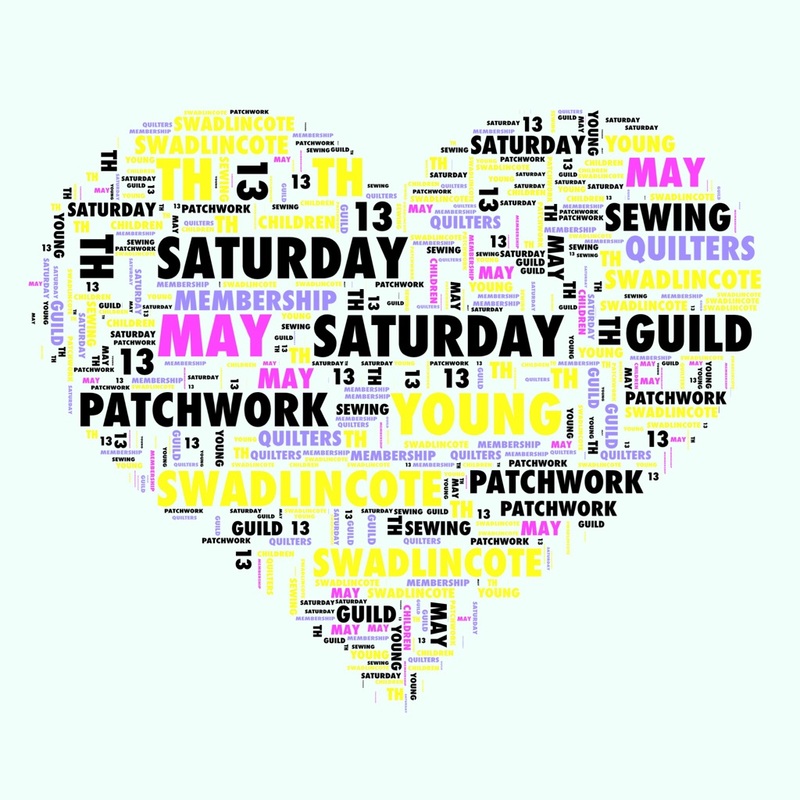 The shop will be closed on this day as we are all going to Birmingham. 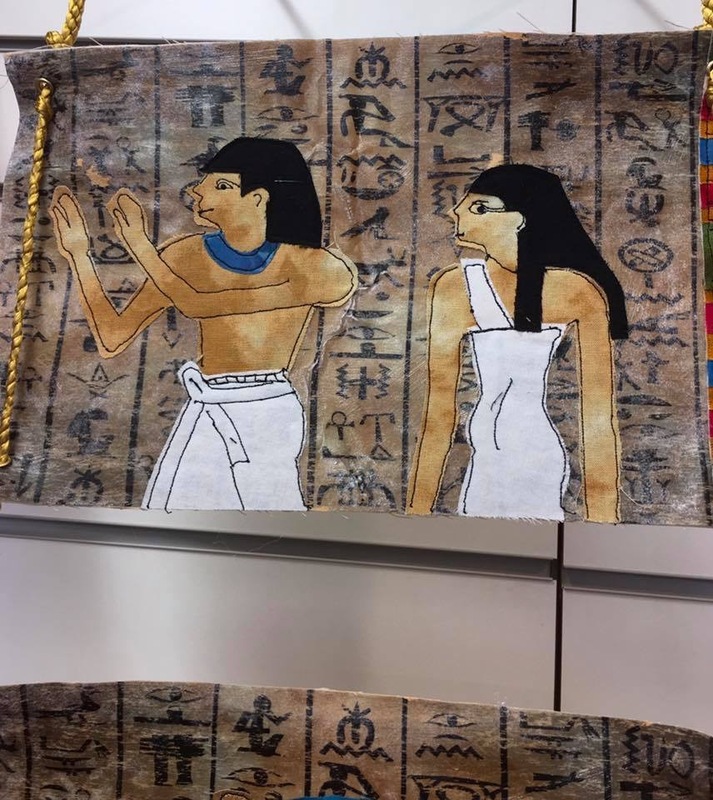 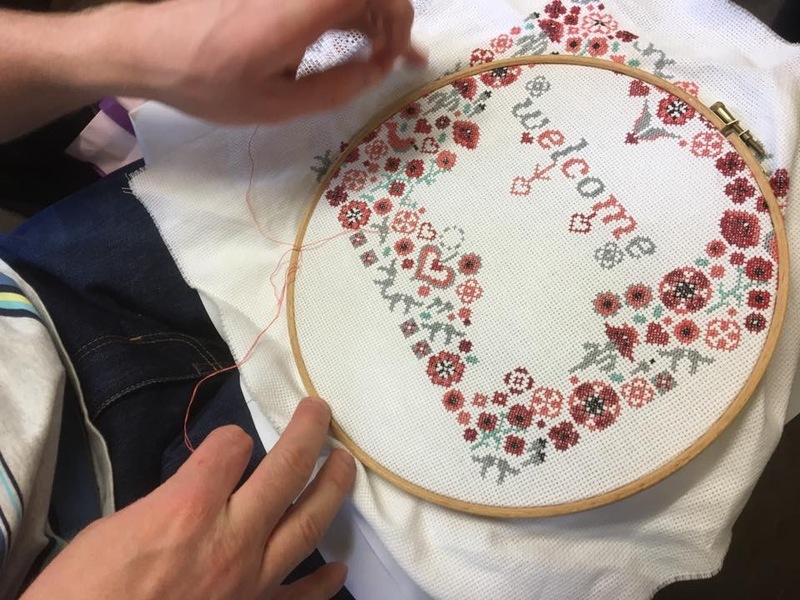 Lets start with the adults and the free motion embroidery. 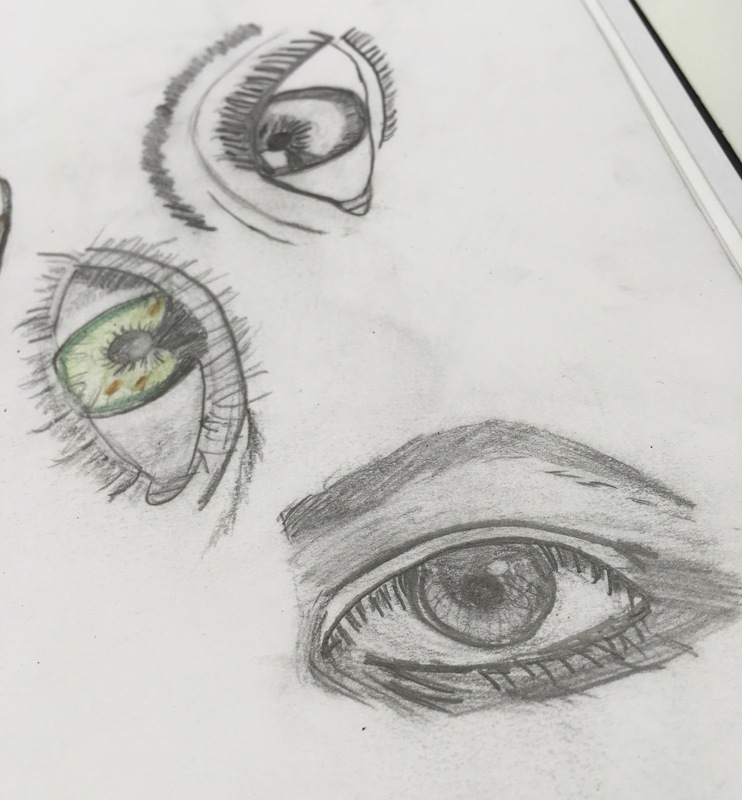 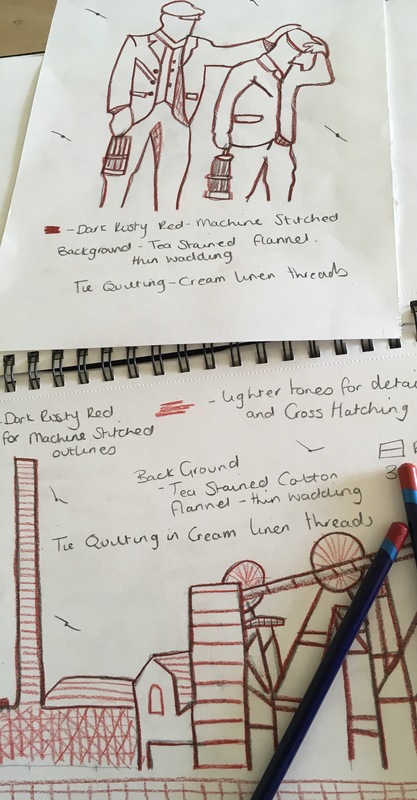 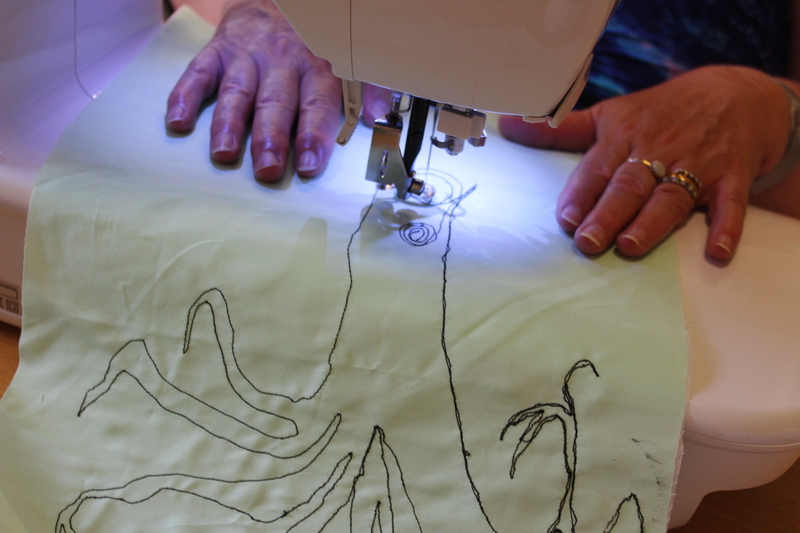 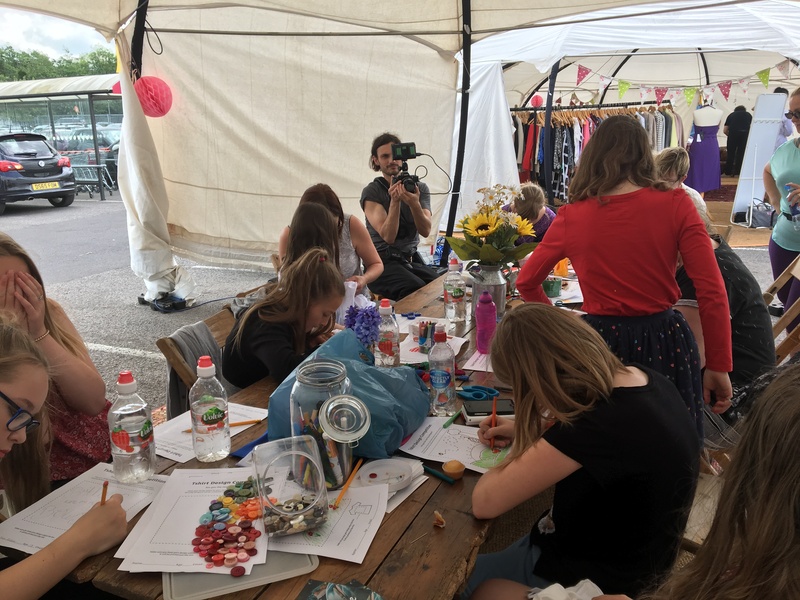 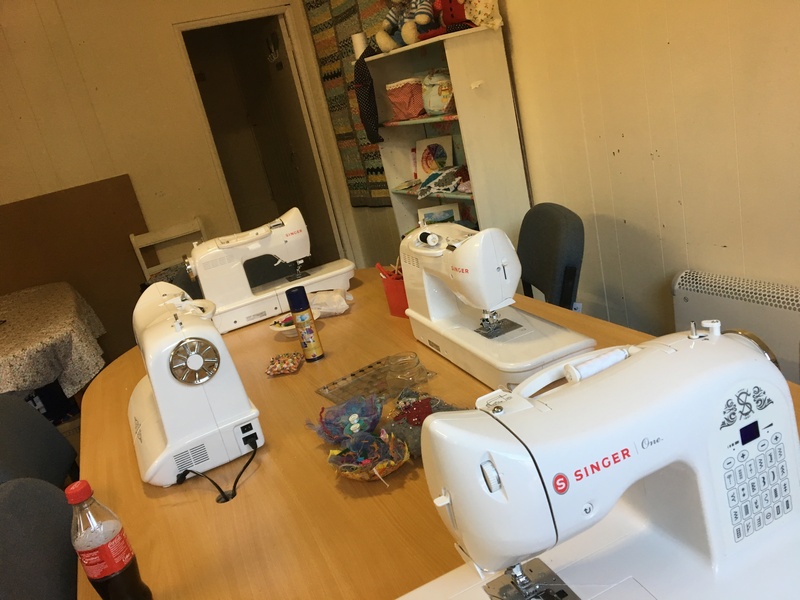 I had four lovely ladies join me in the sewing studio to master the techniques of free motion sketching. 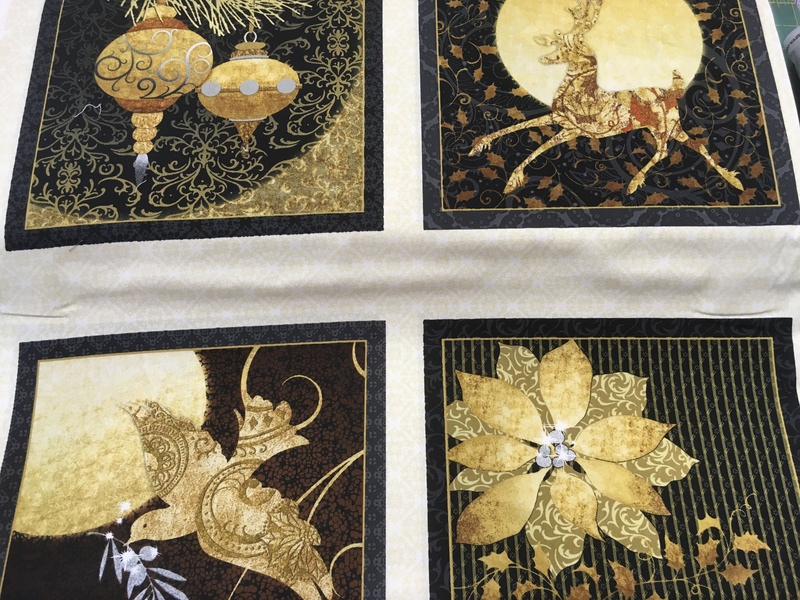 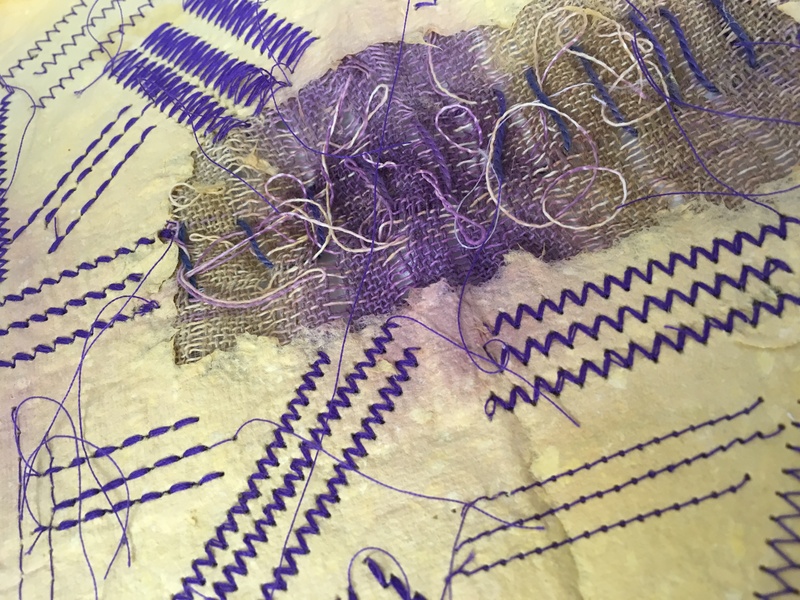 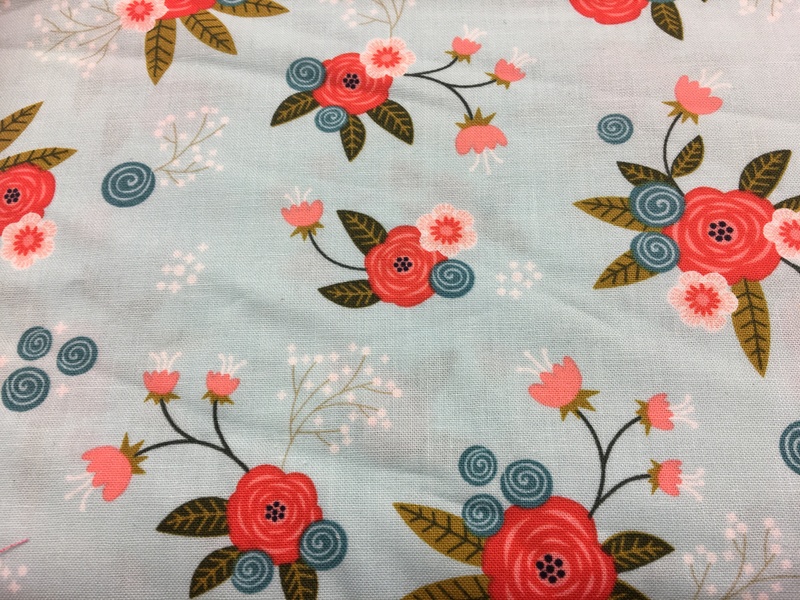 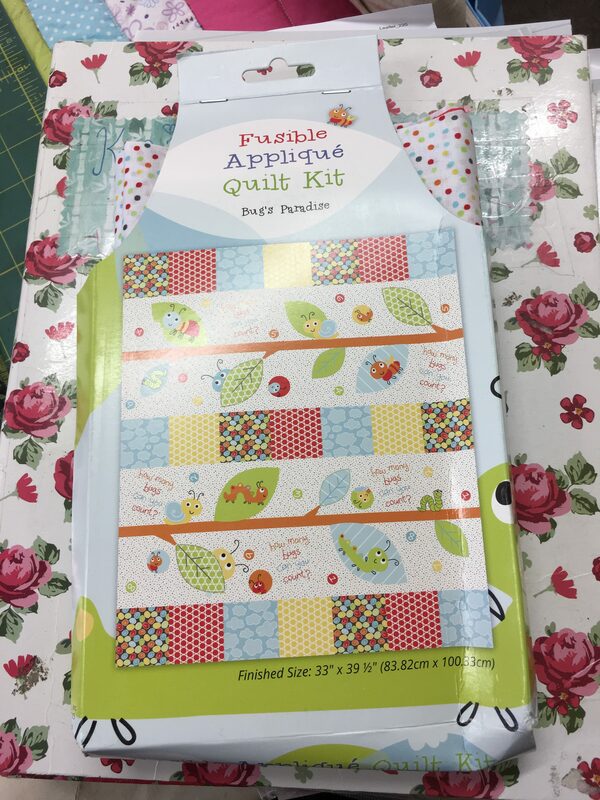 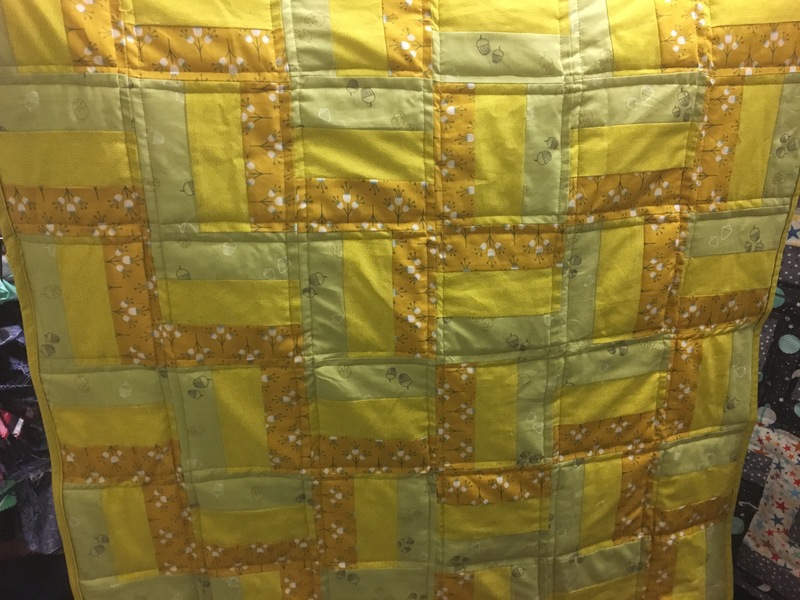 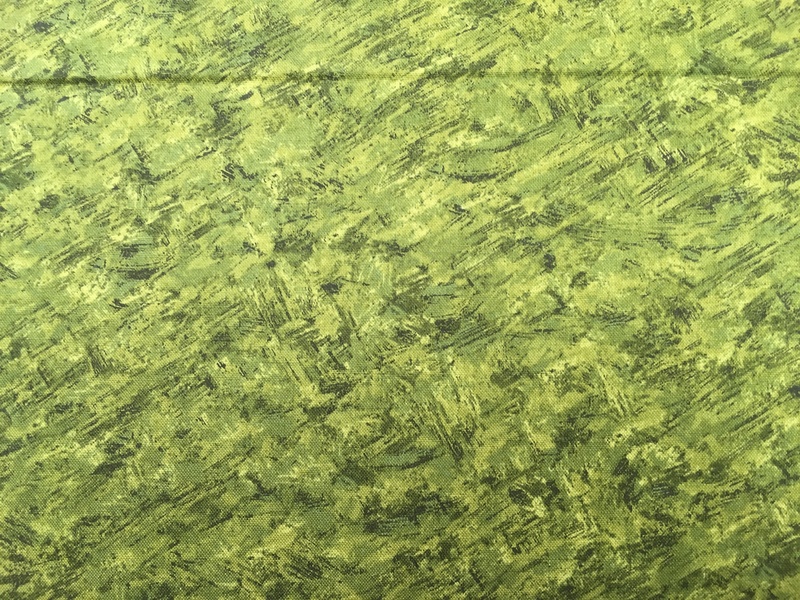 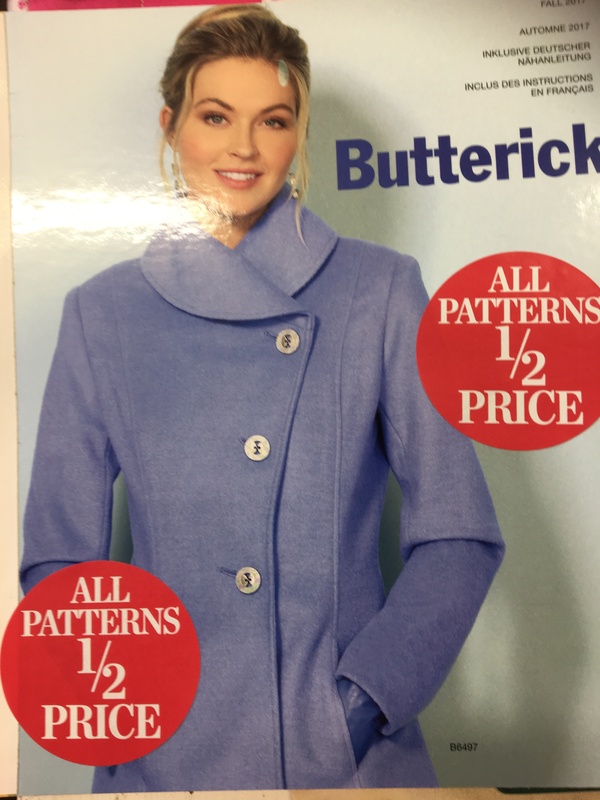 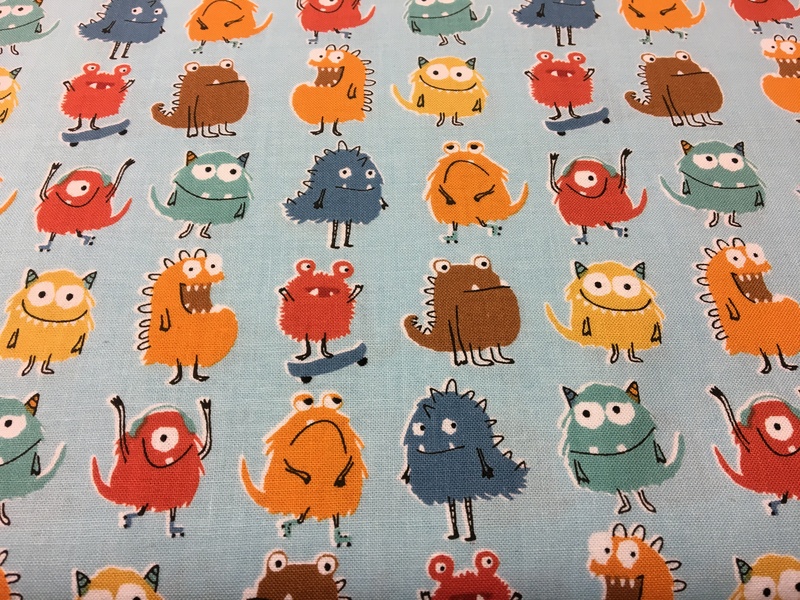 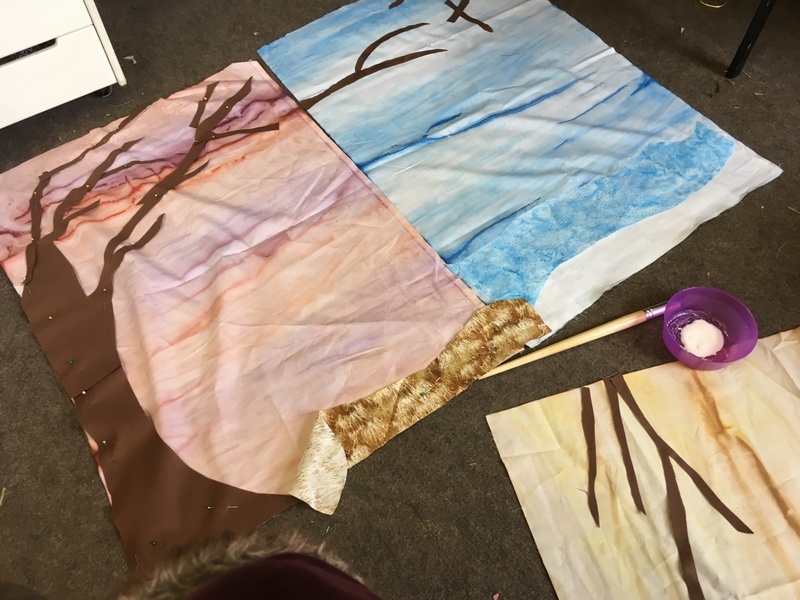 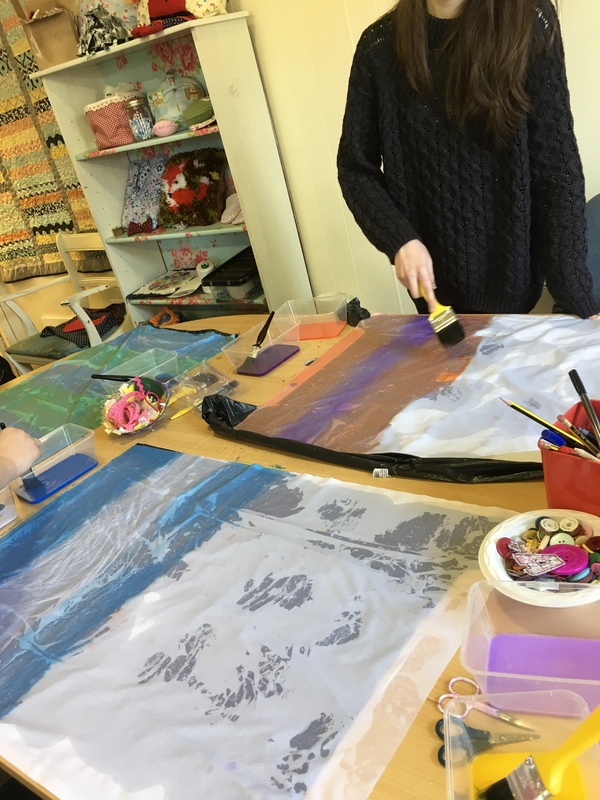 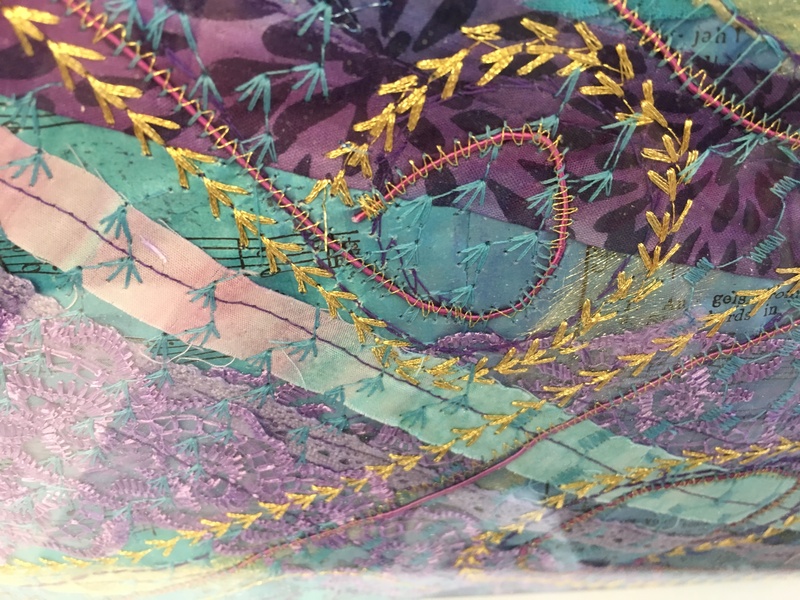 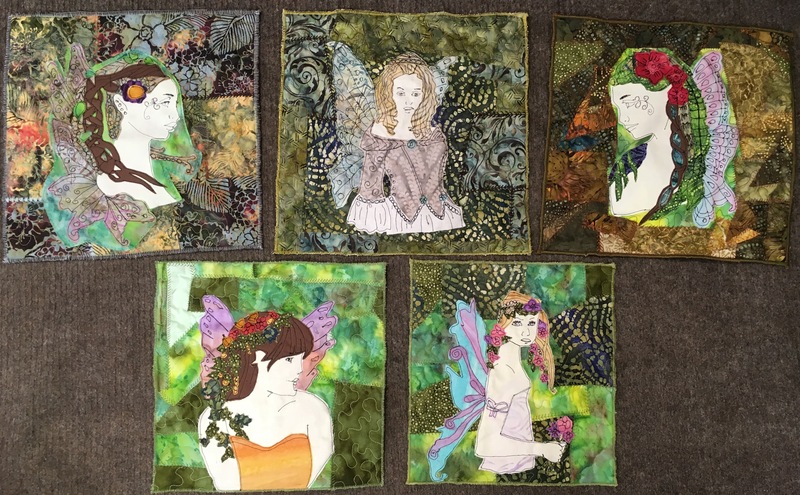 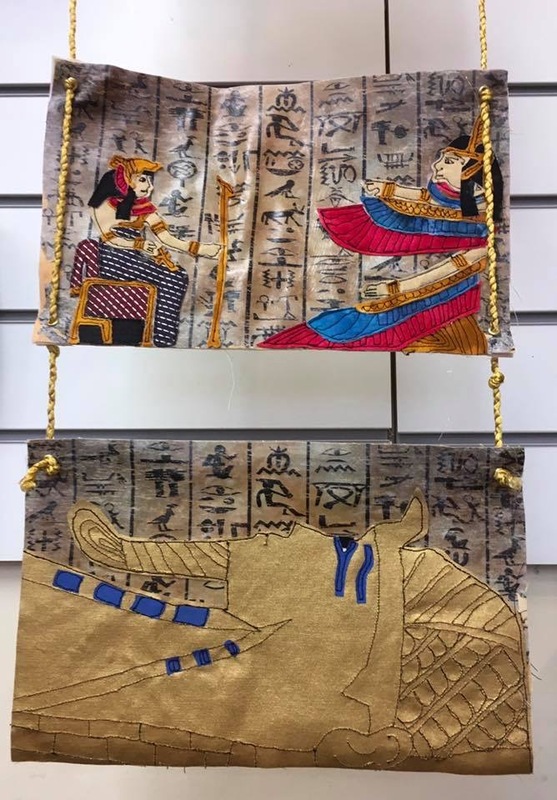 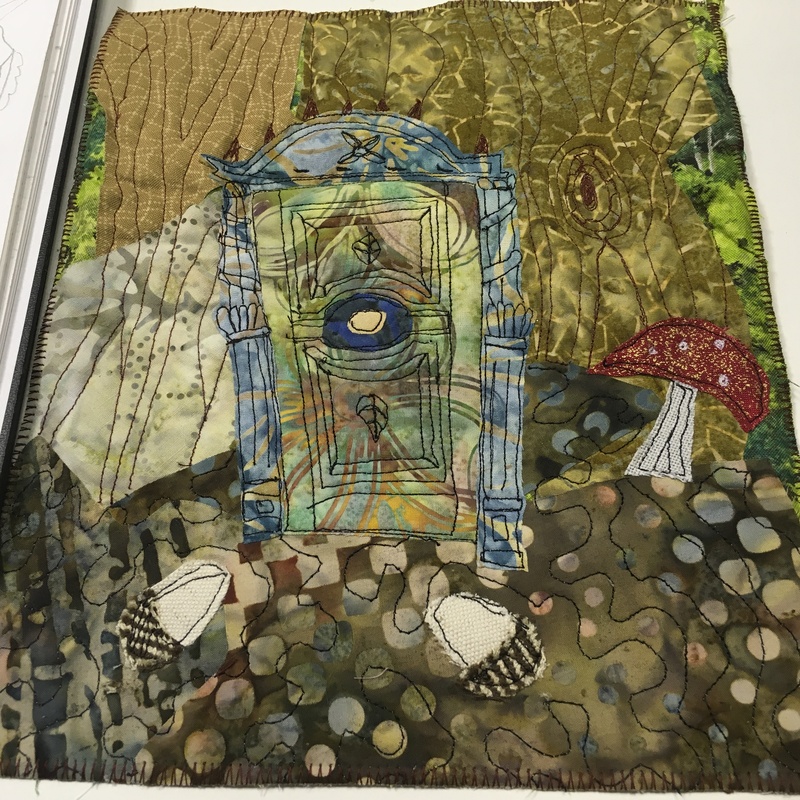 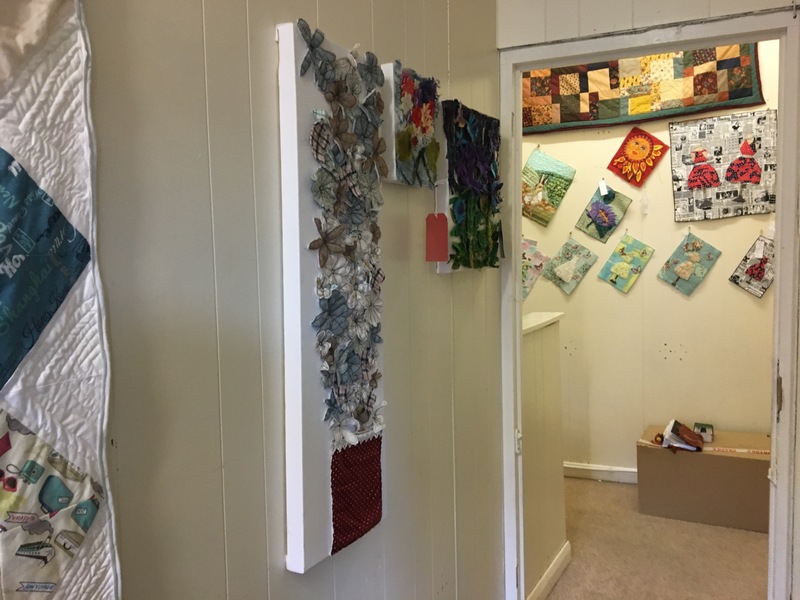 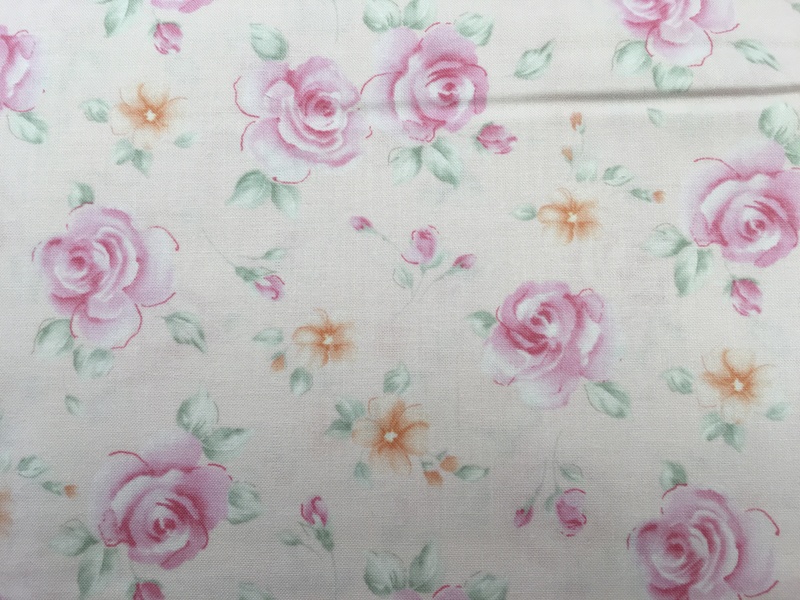 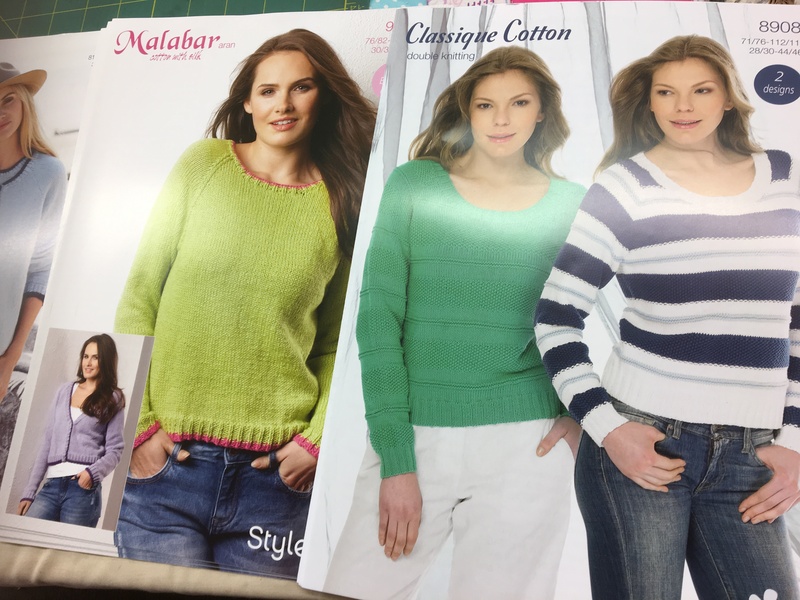 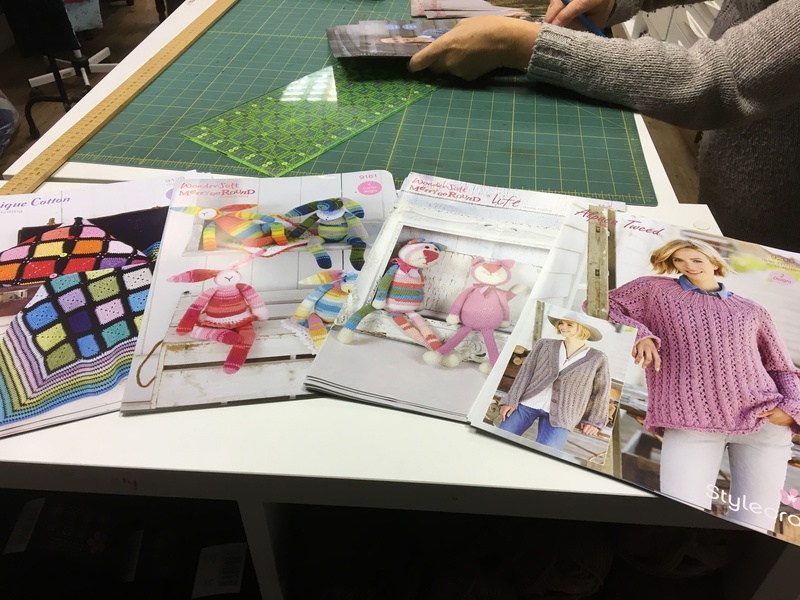 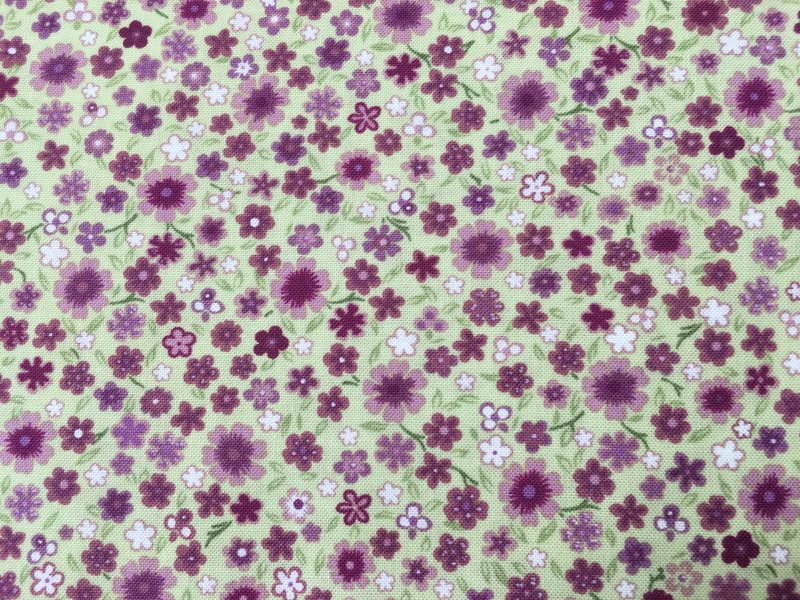 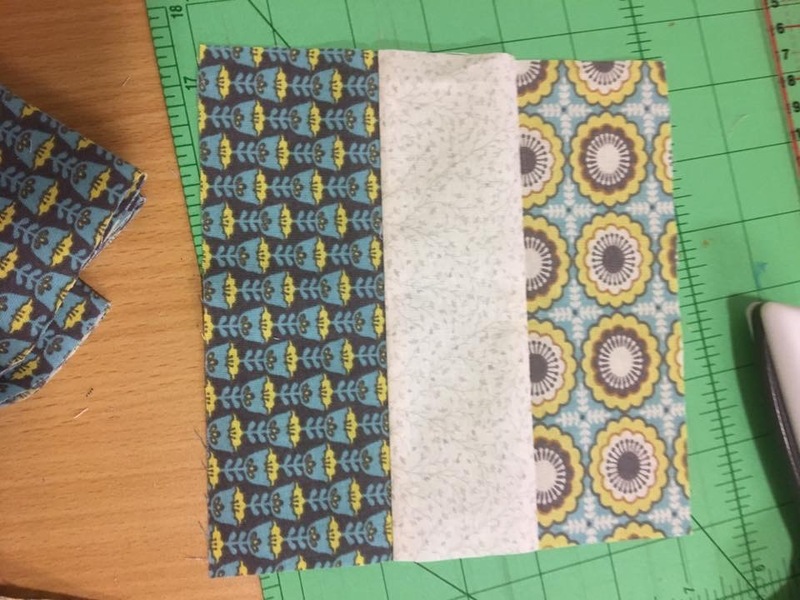 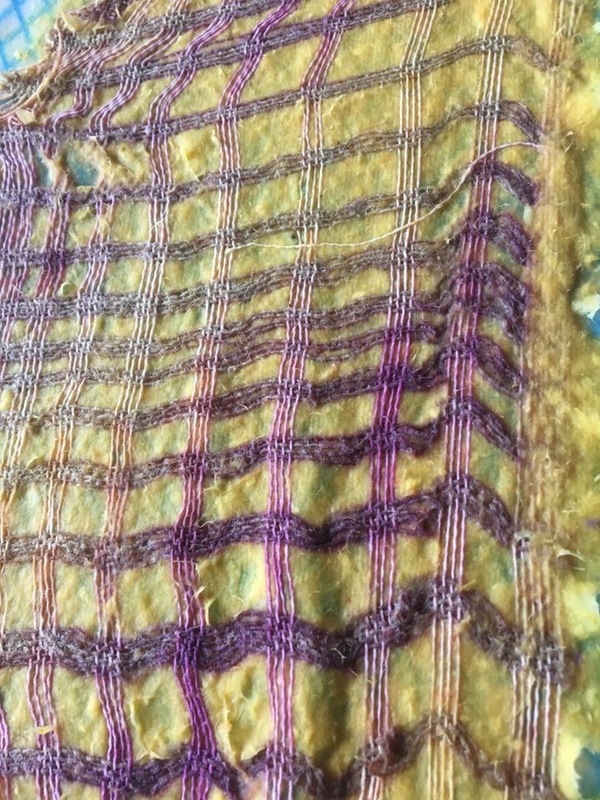 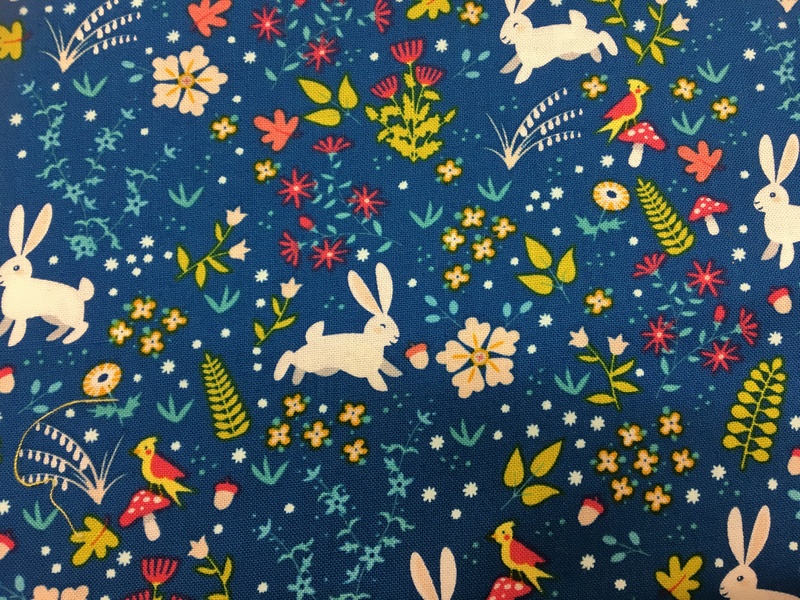 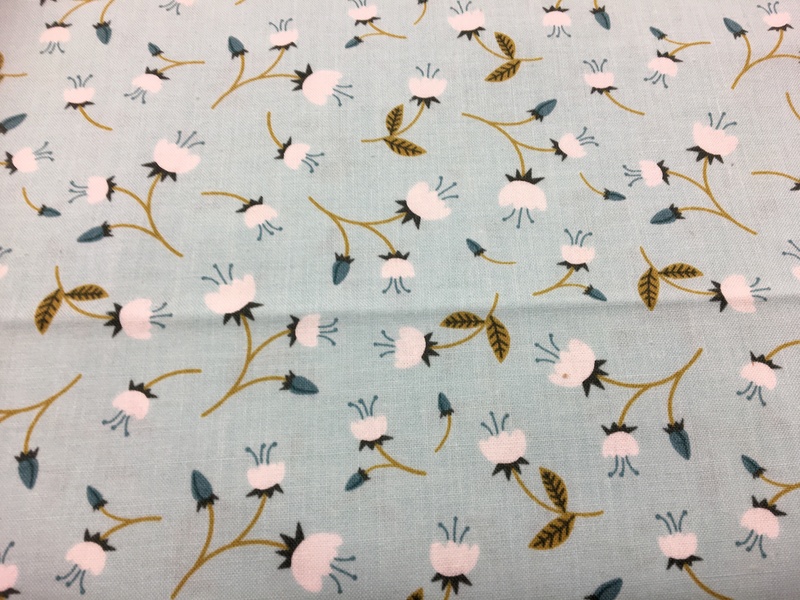 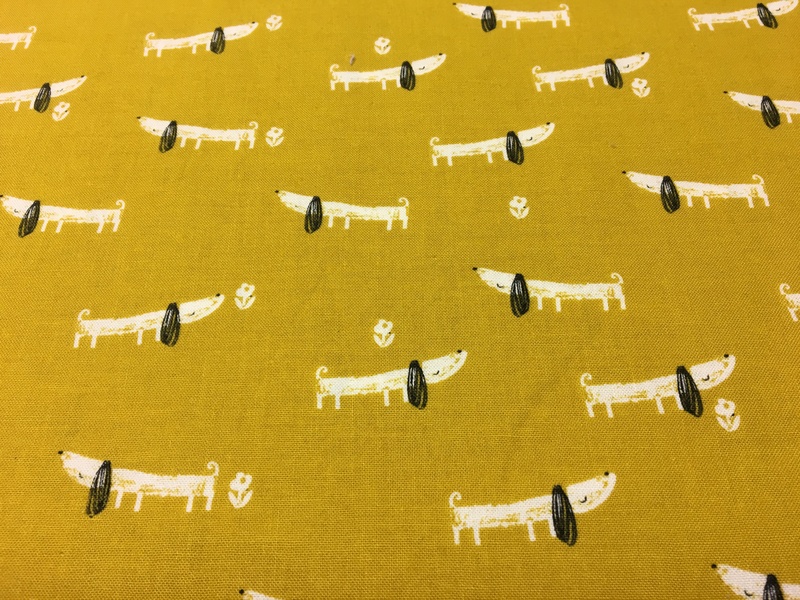 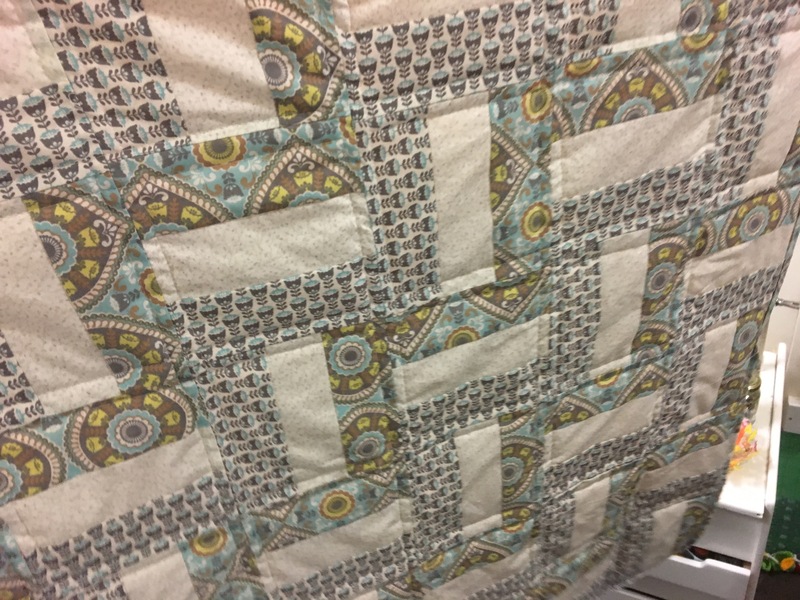 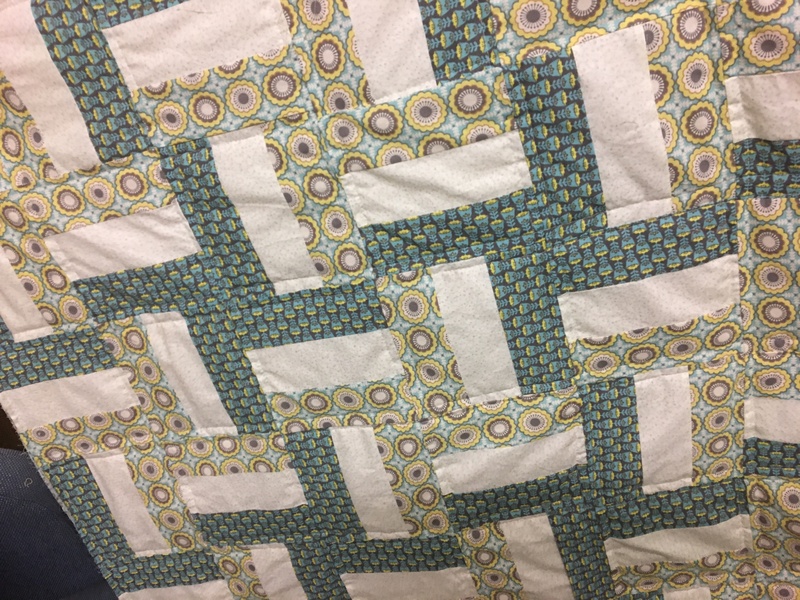 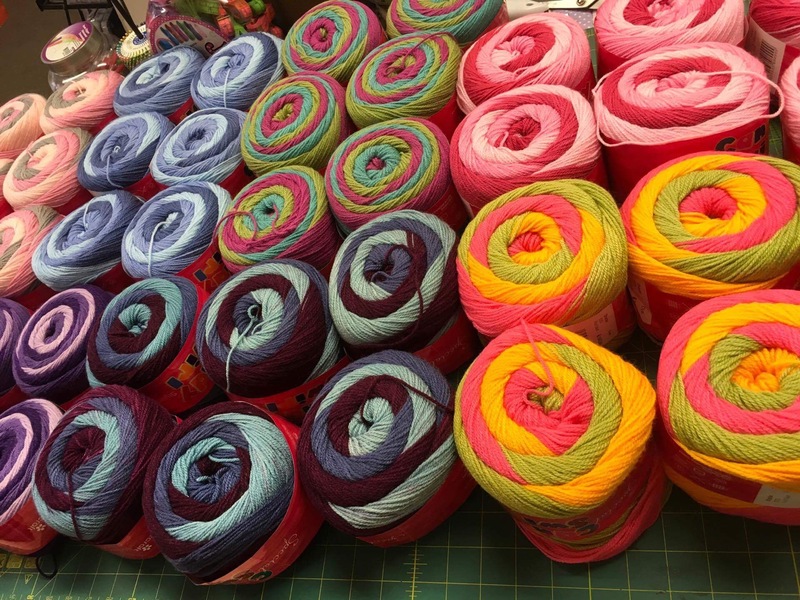 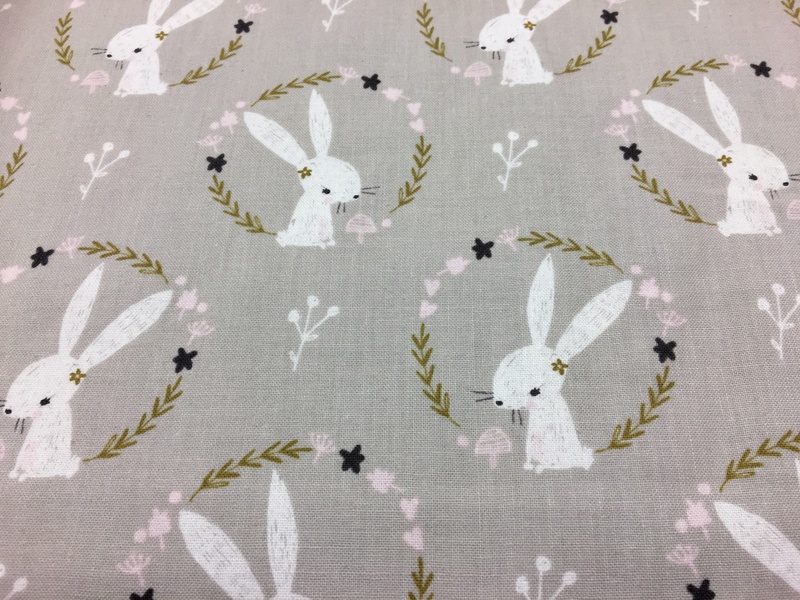 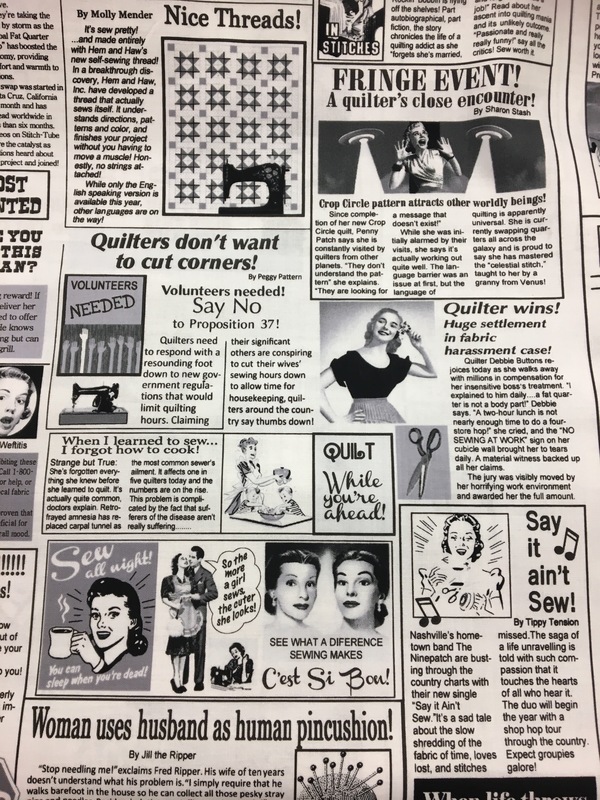 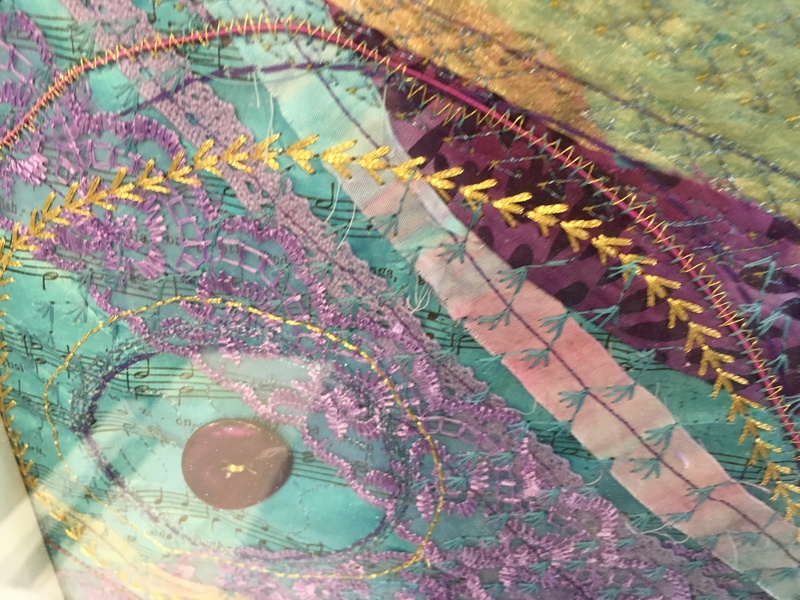 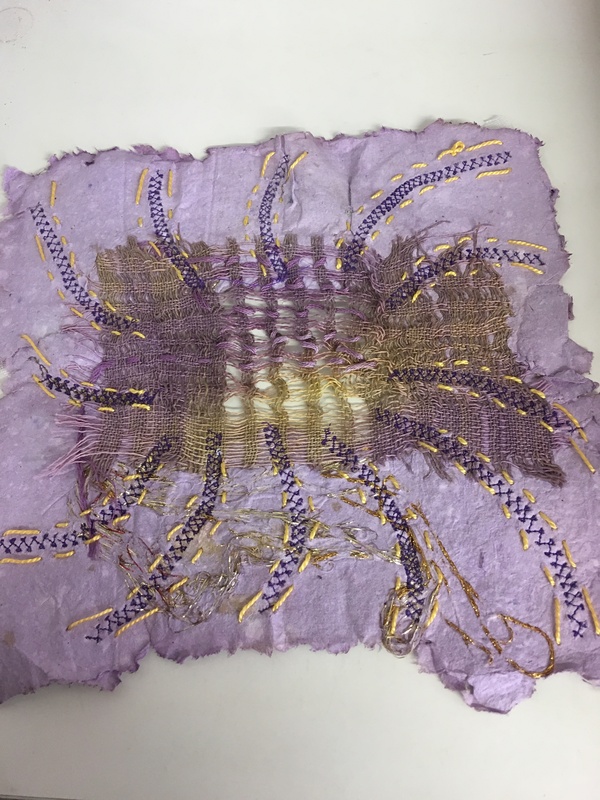 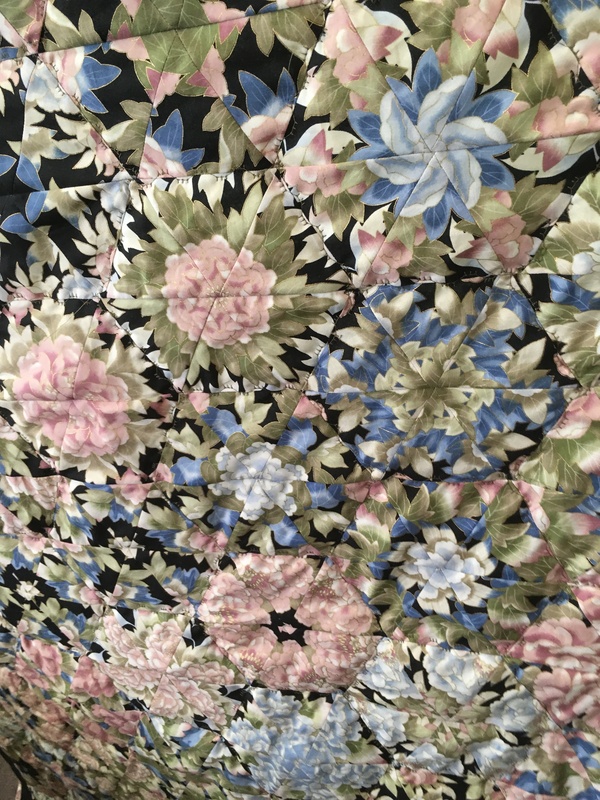 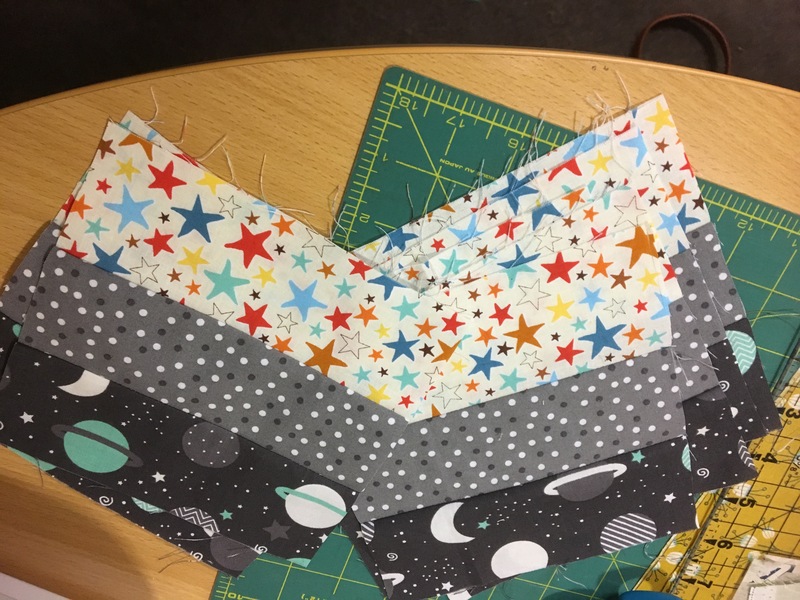 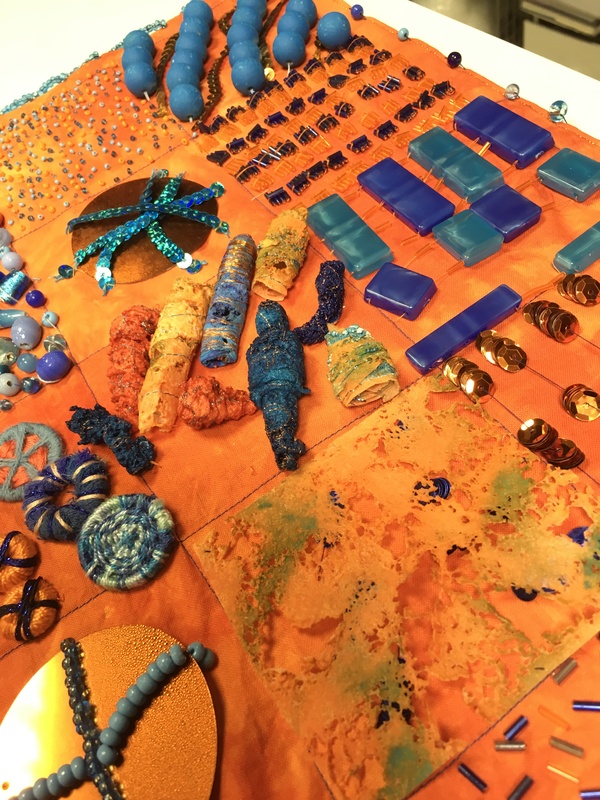 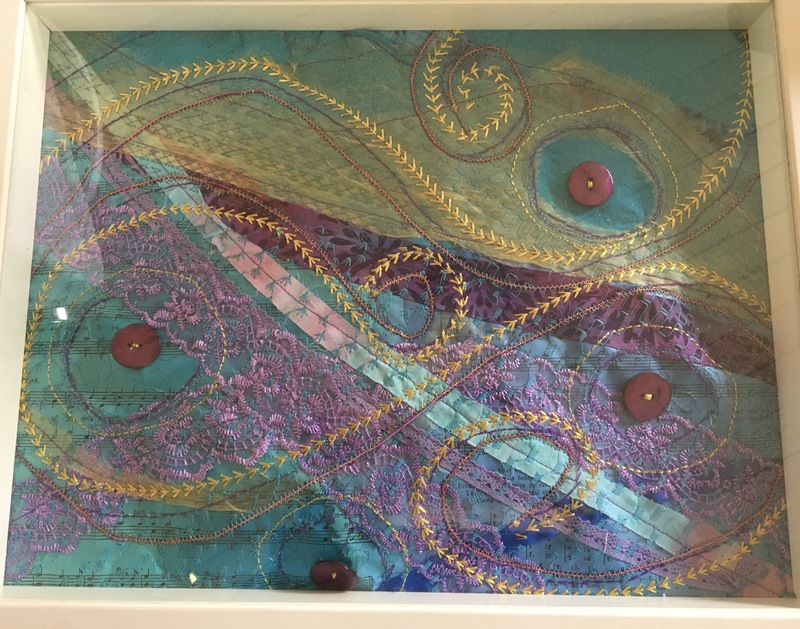 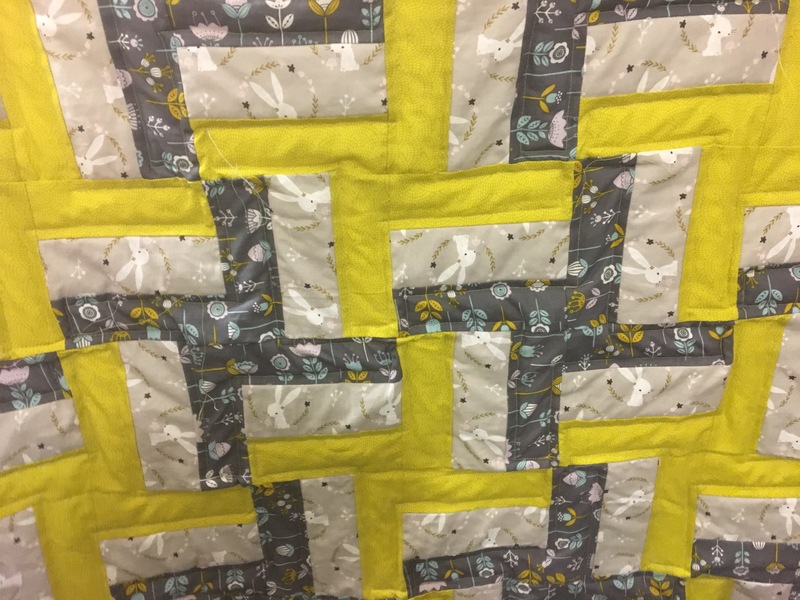 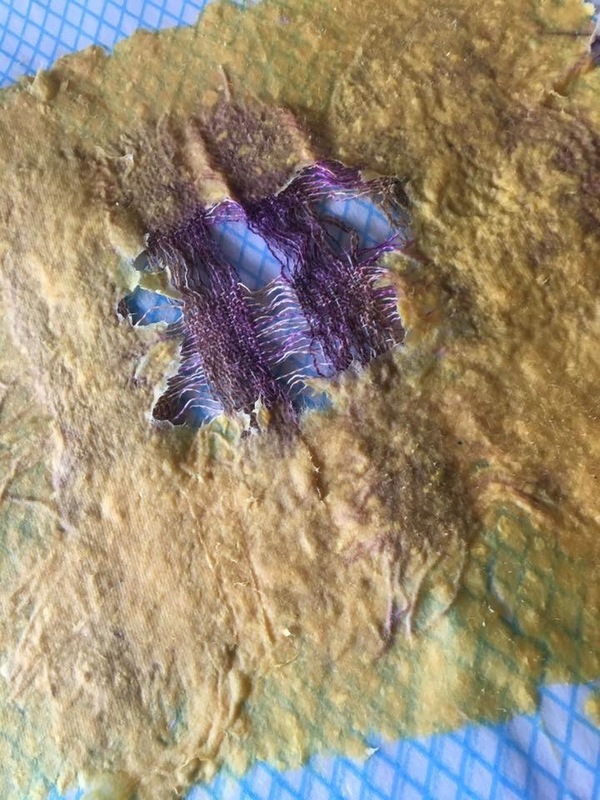 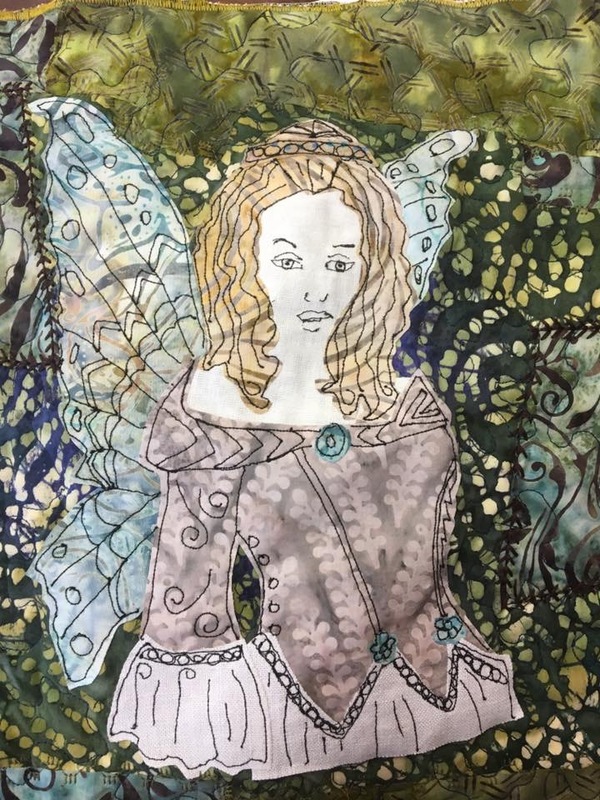 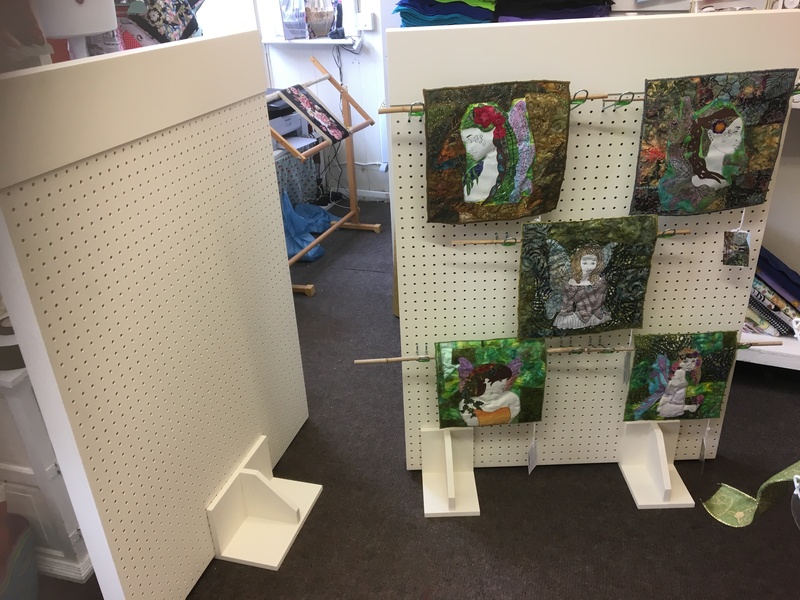 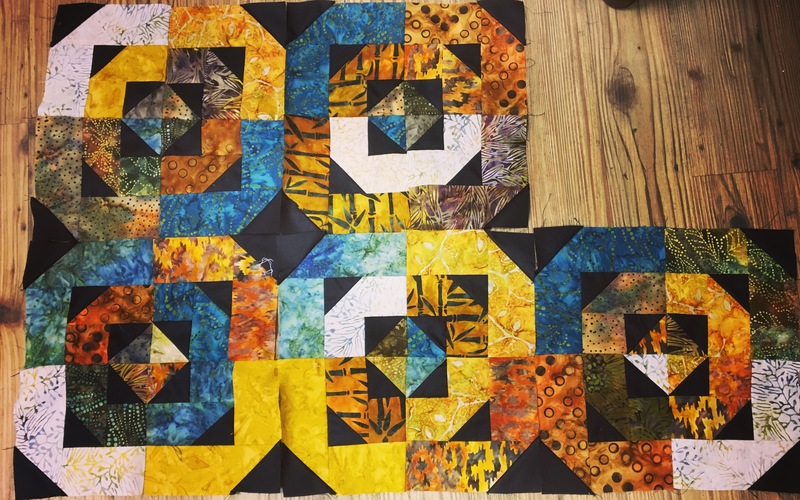 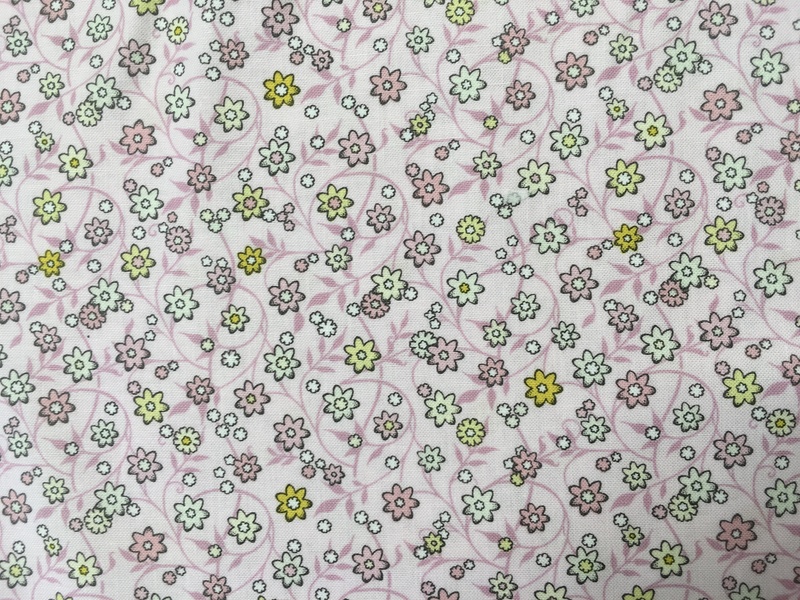 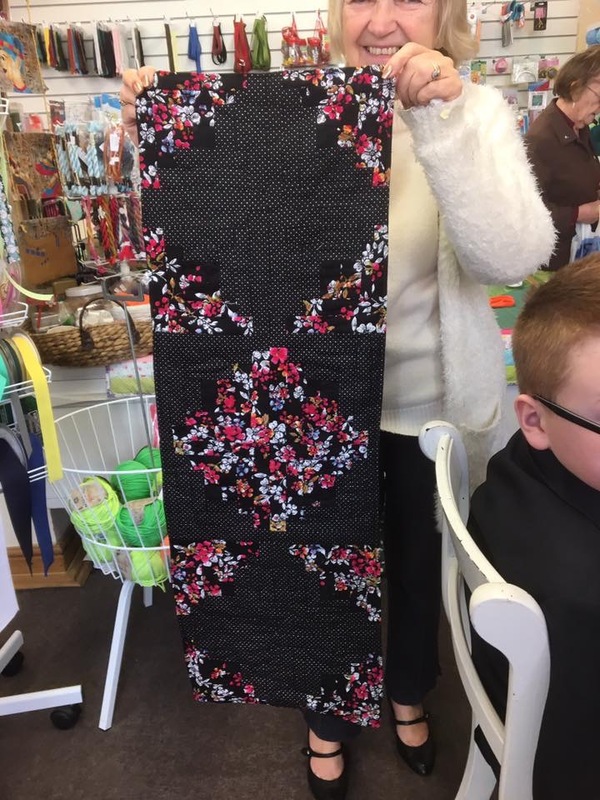 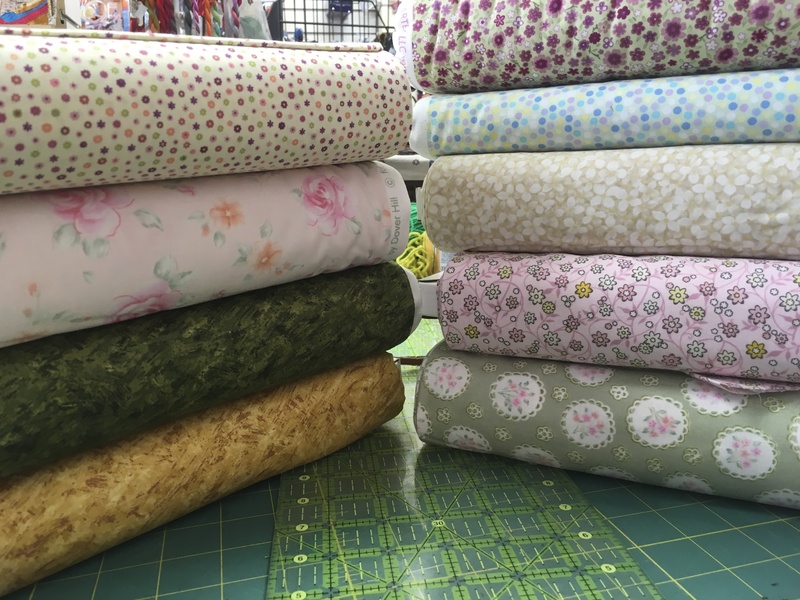 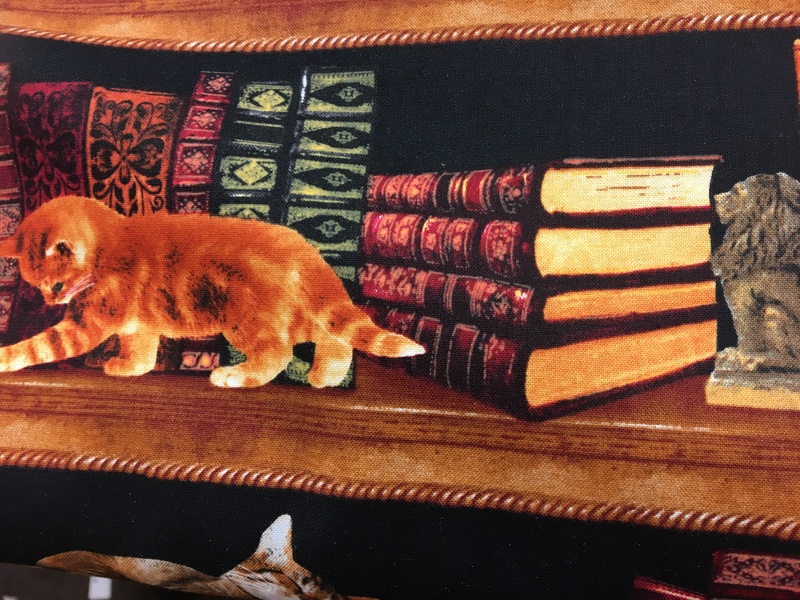 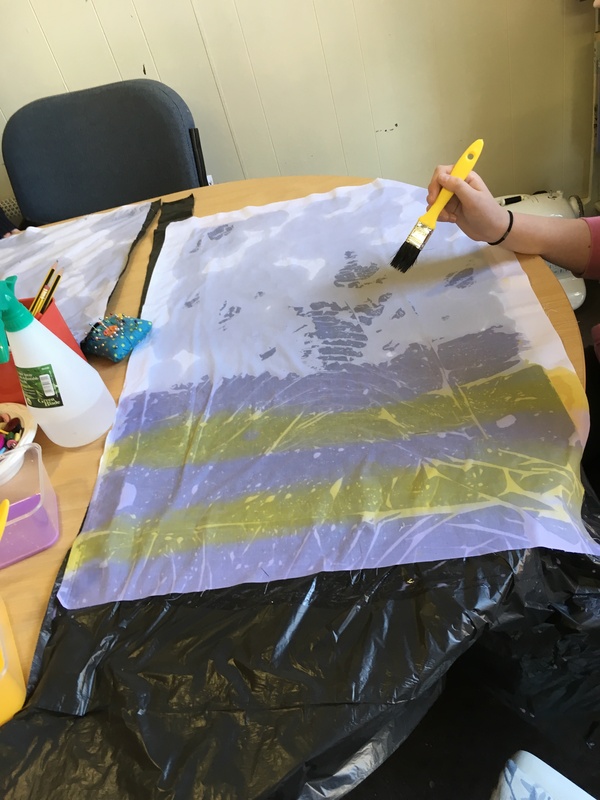 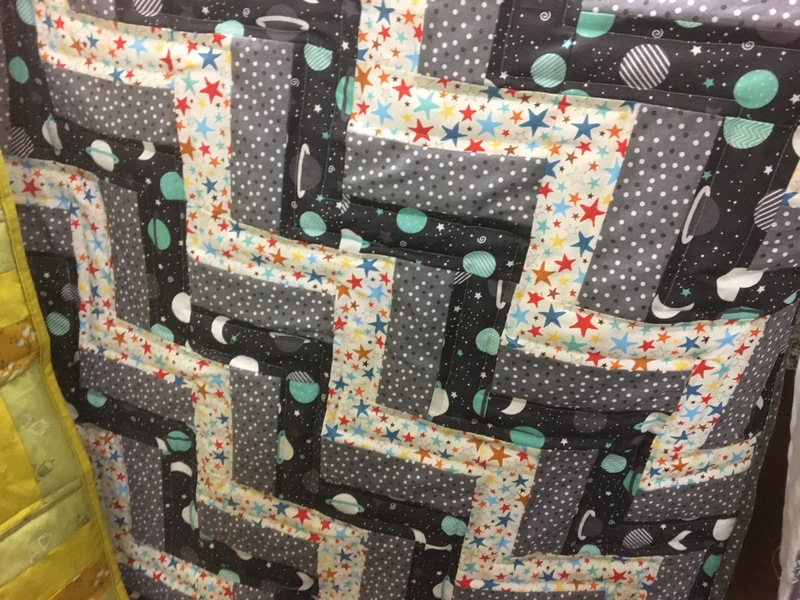 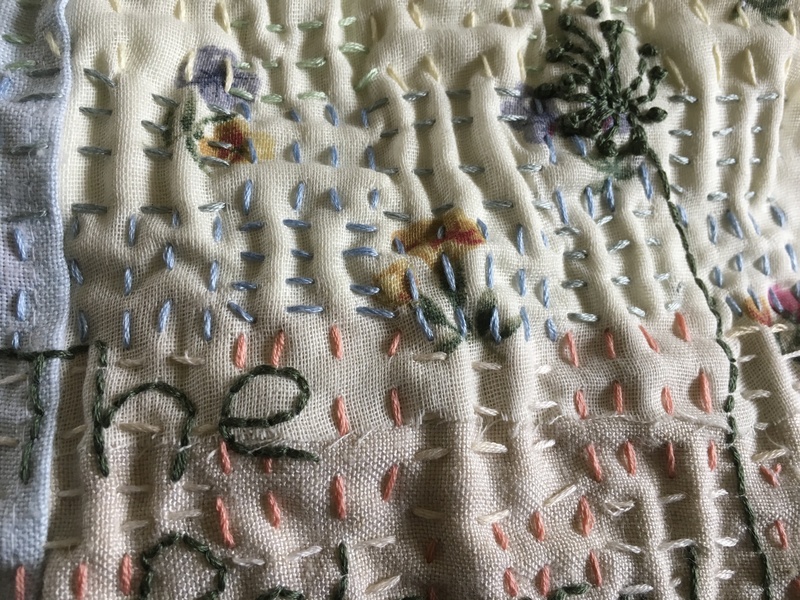 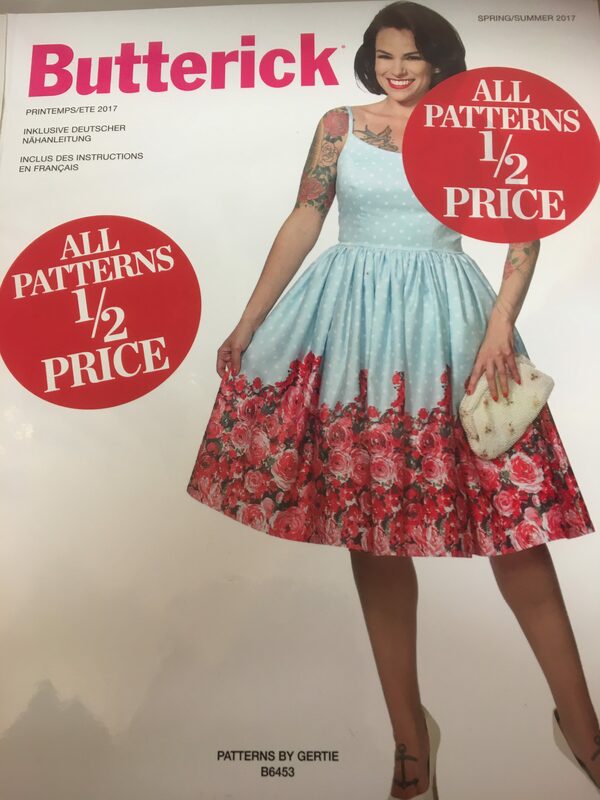 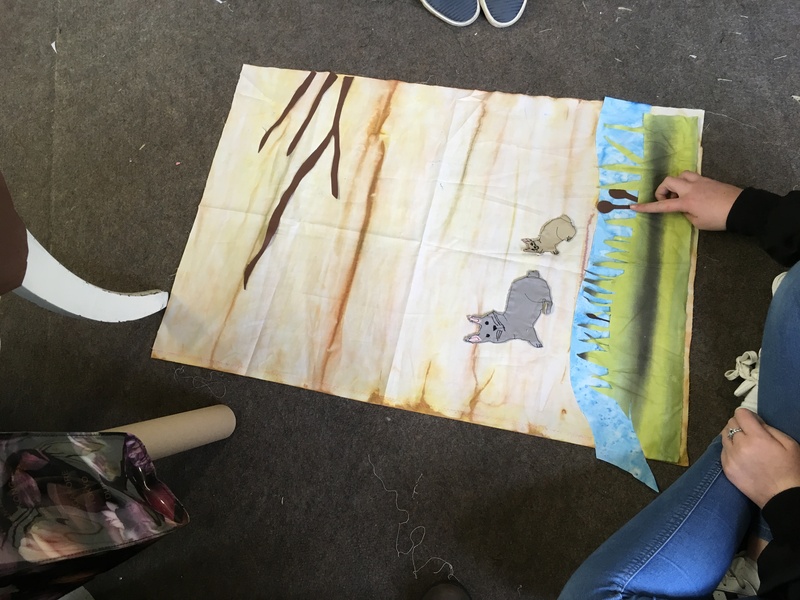 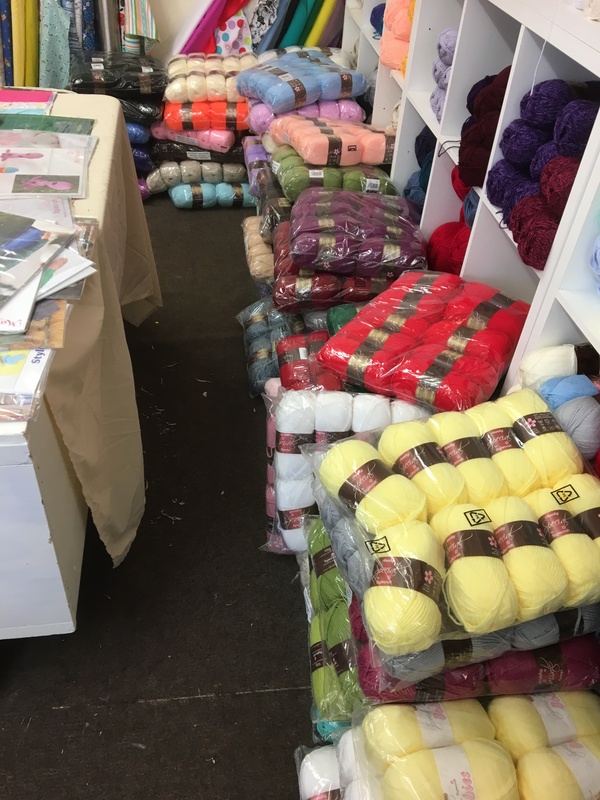 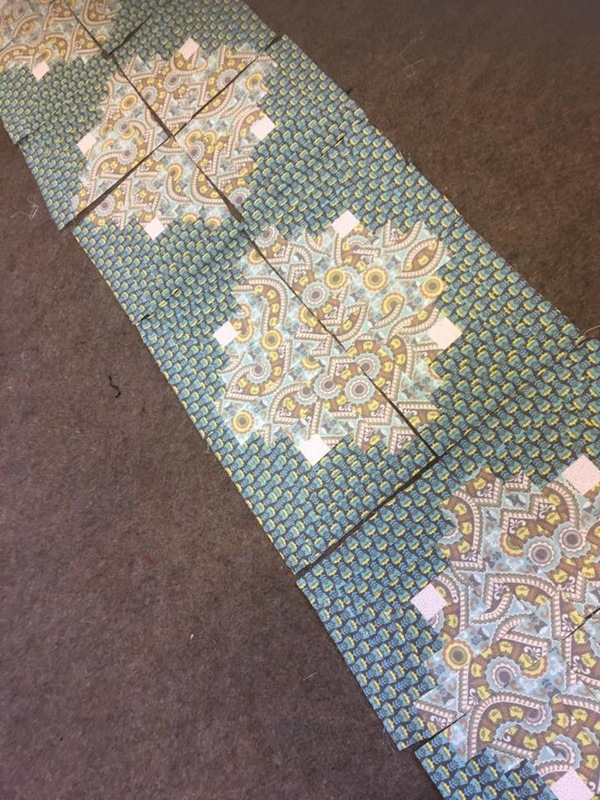 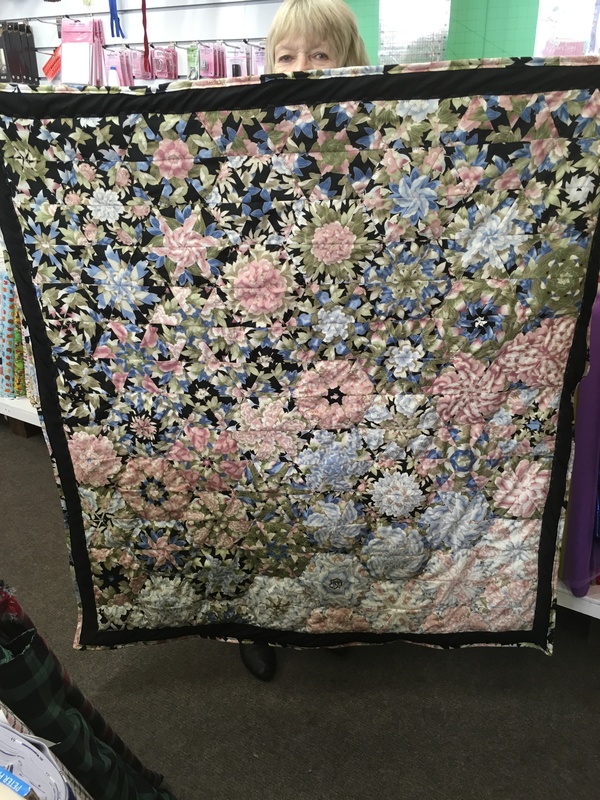 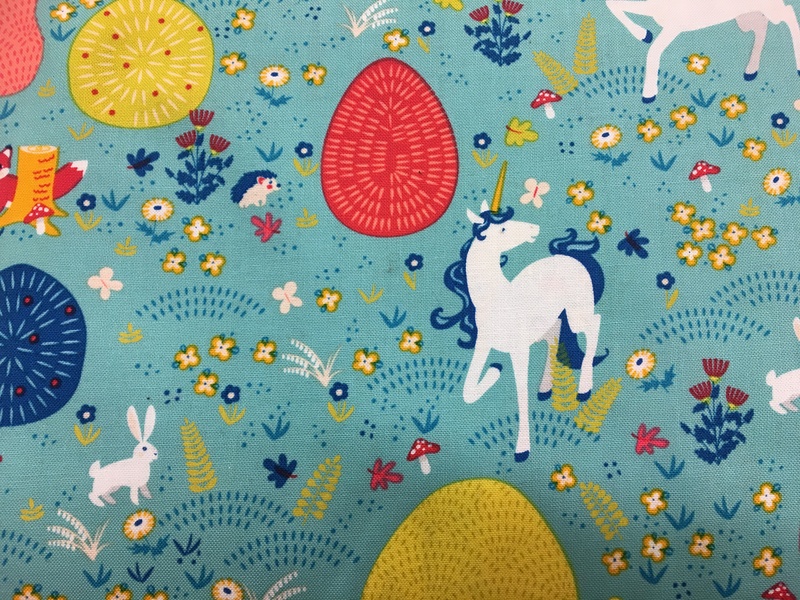 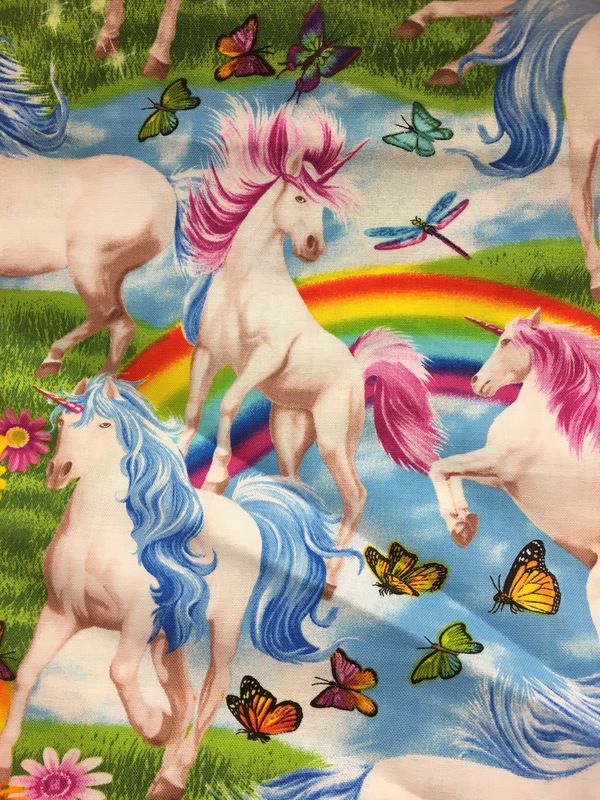 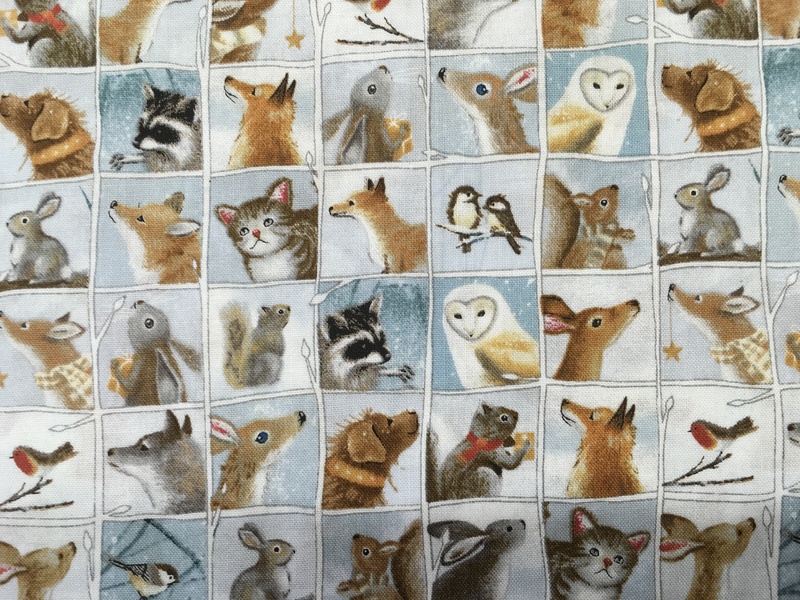 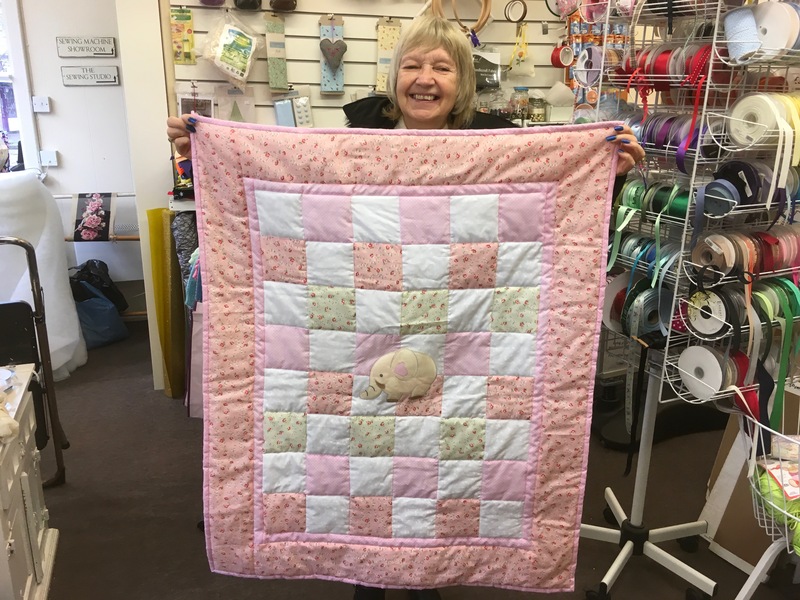 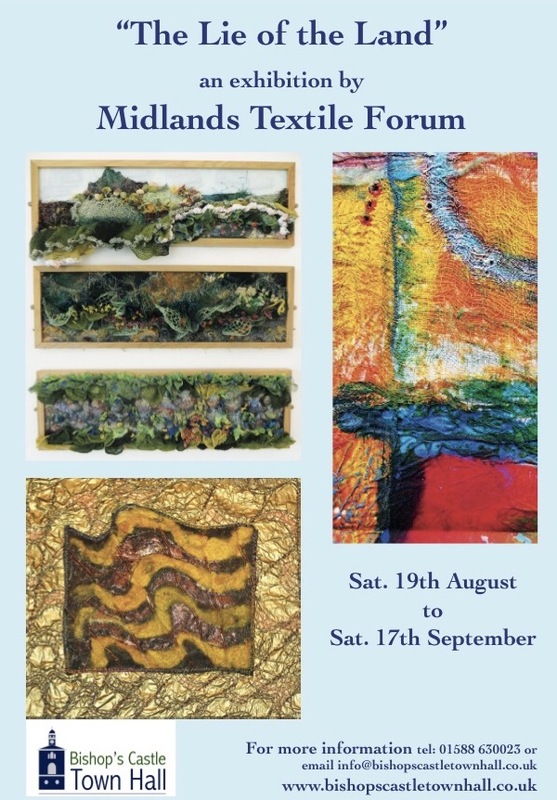 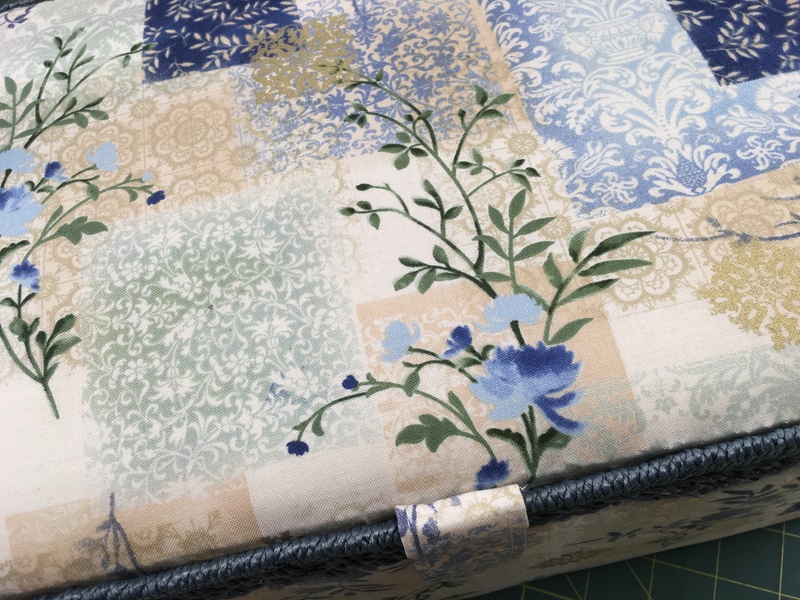 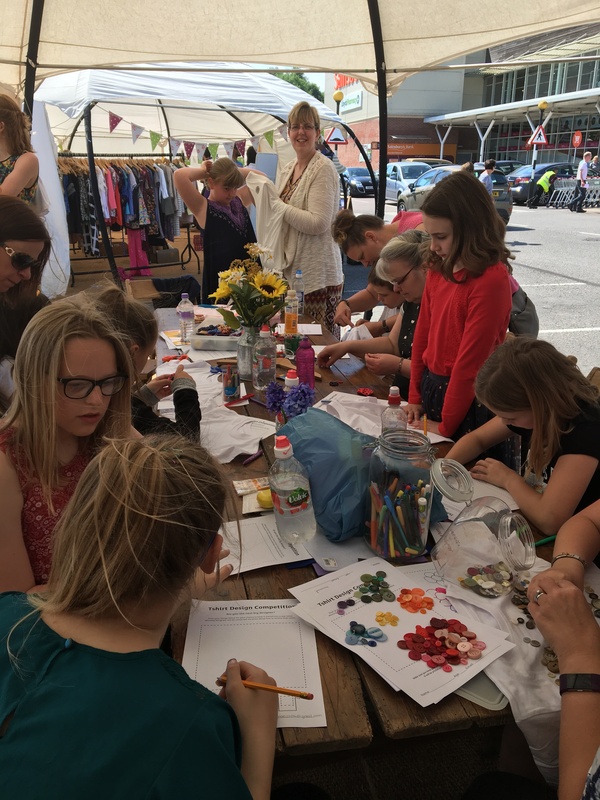 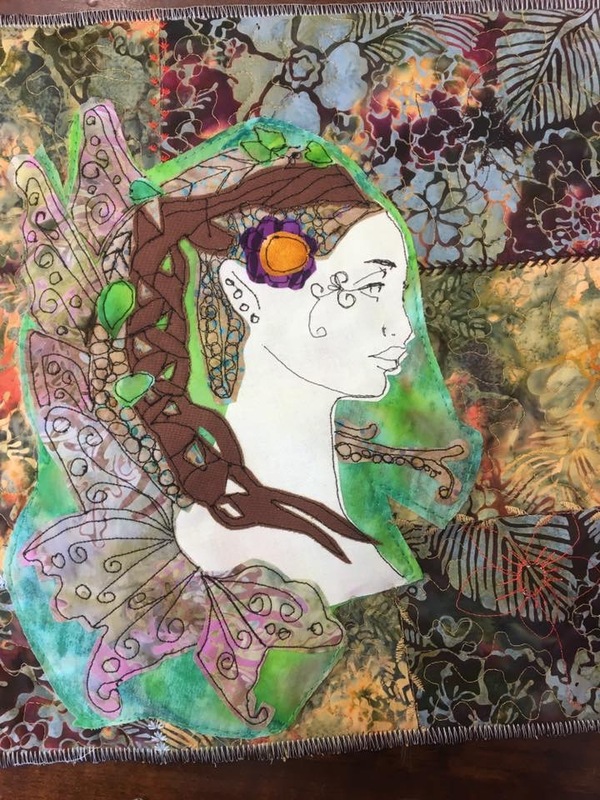 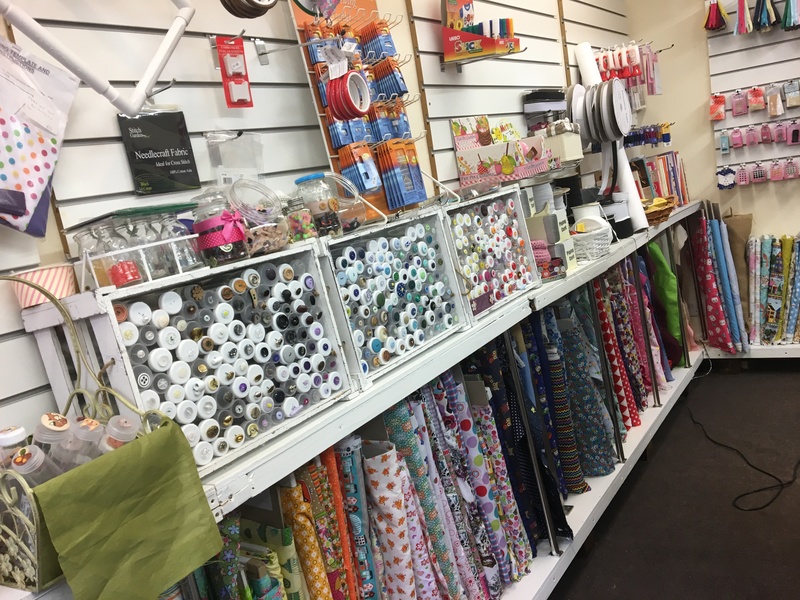 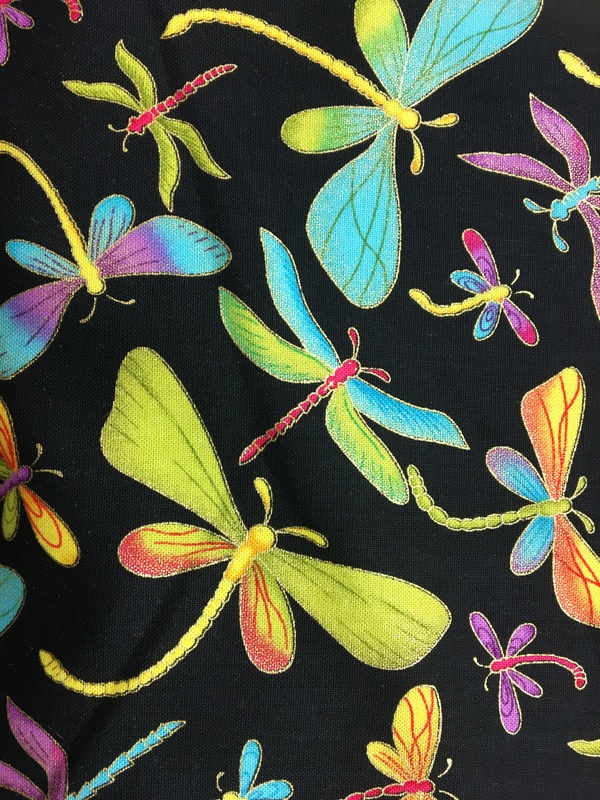 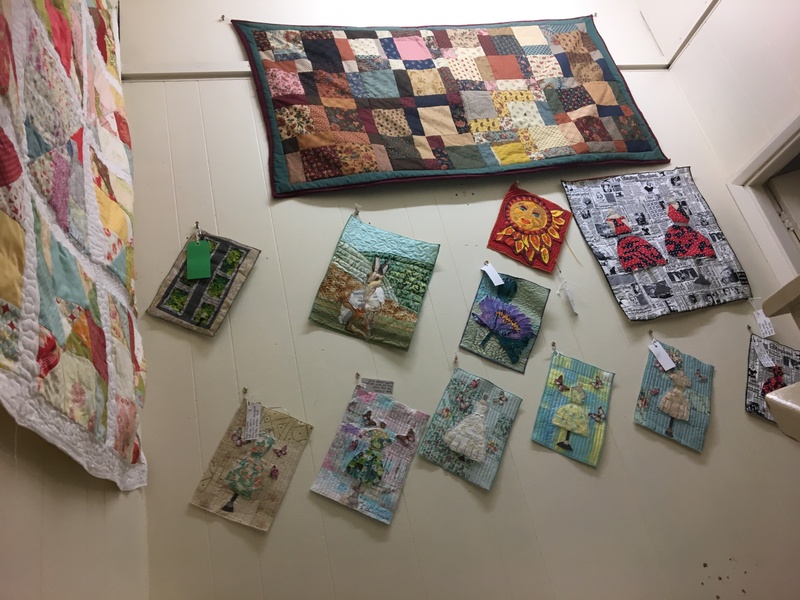 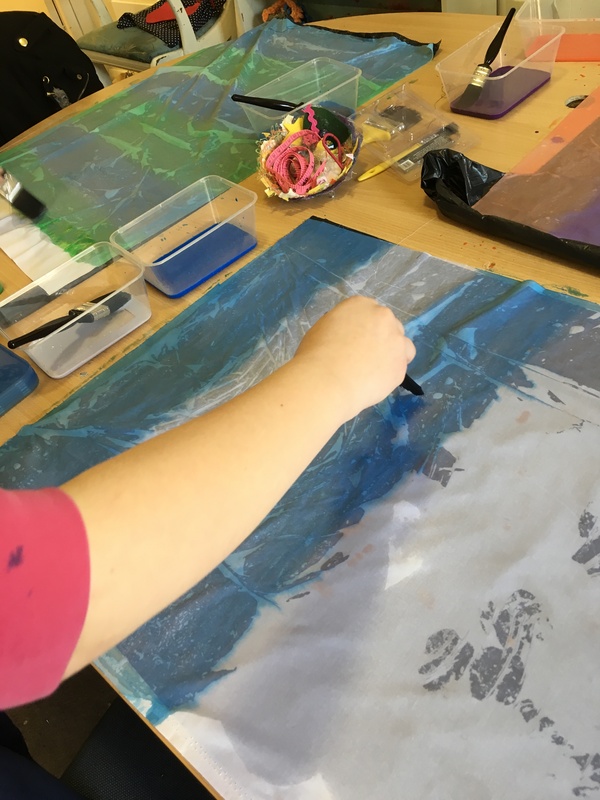 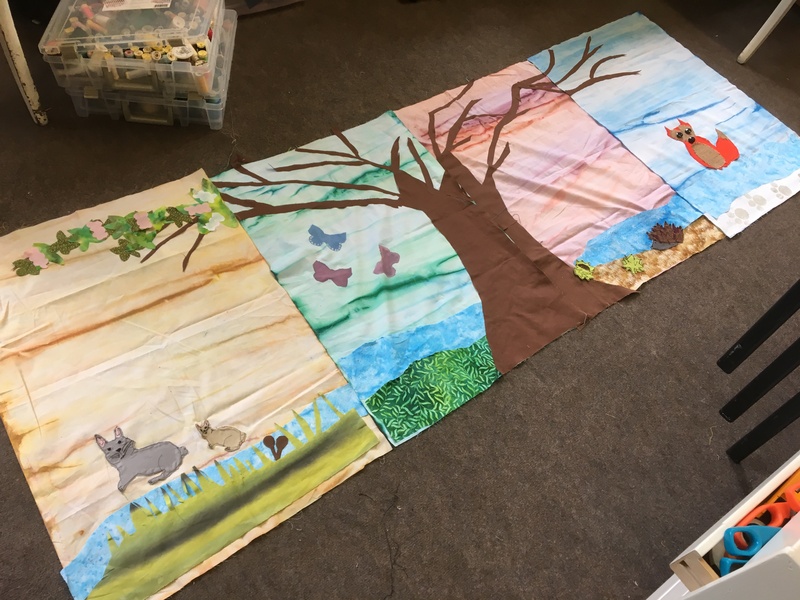 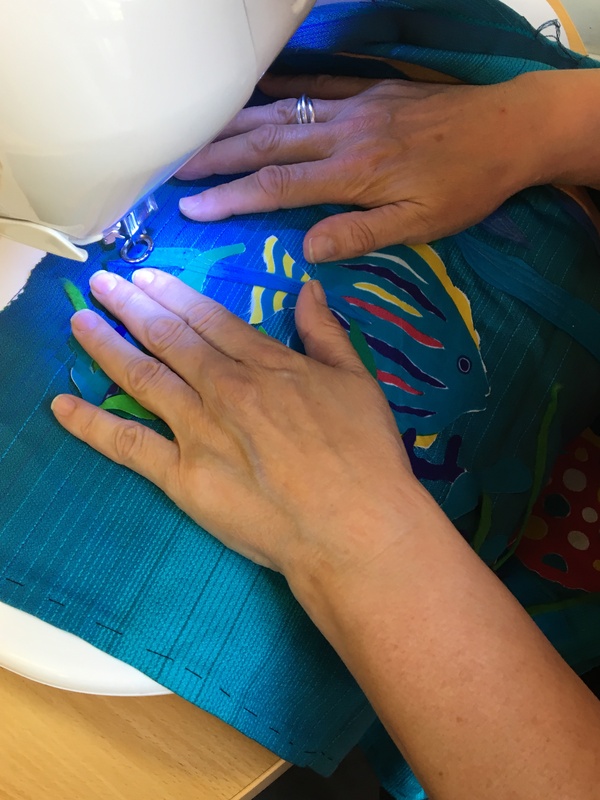 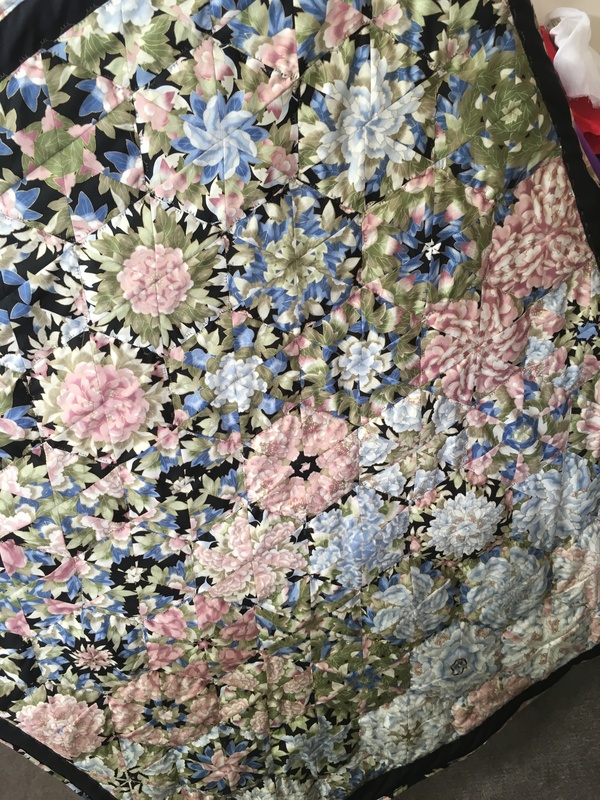 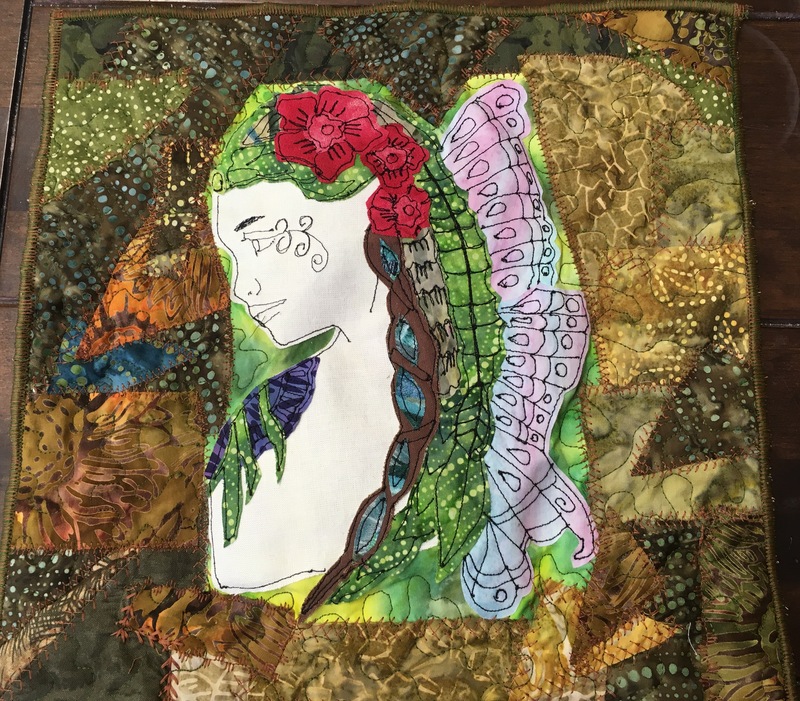 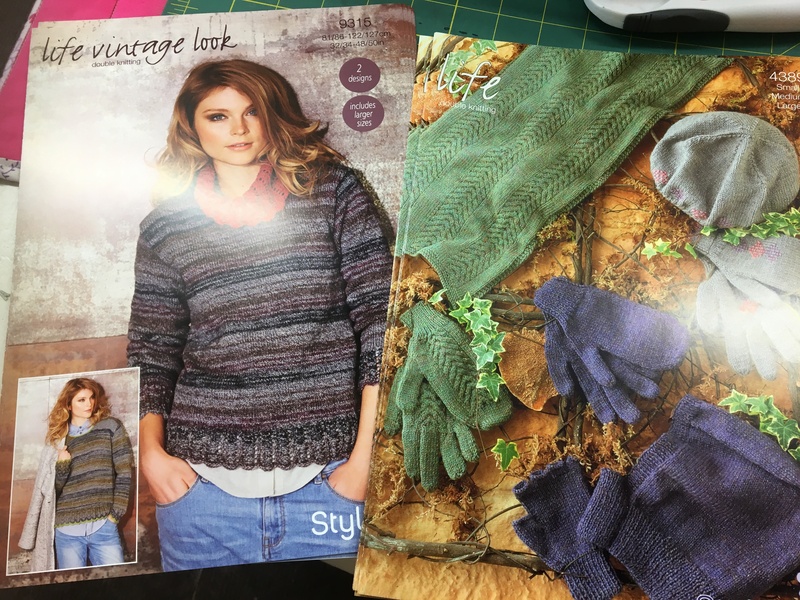 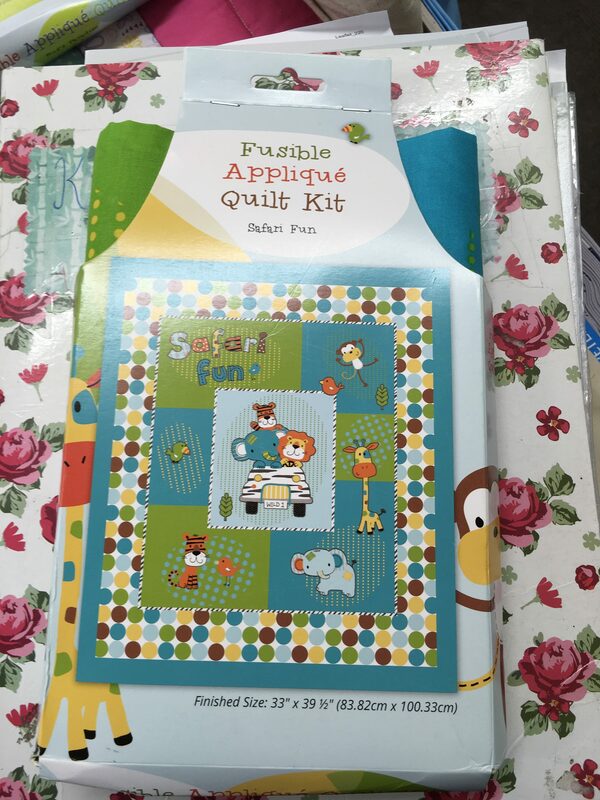 This workshop is extremely popular and books up very quickly so I will be arranging more very soon…..
New fabric by Robert Kaufman….. 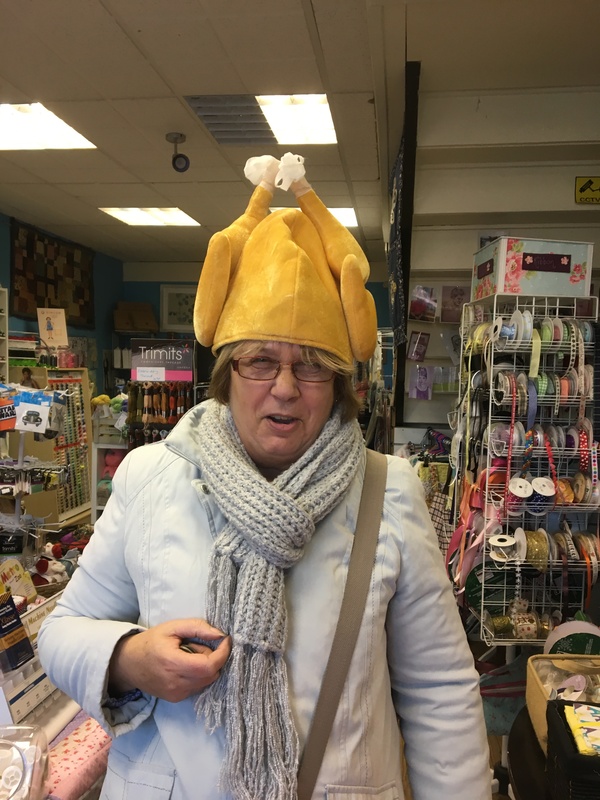 Thanks for reading, have a fab weekend. 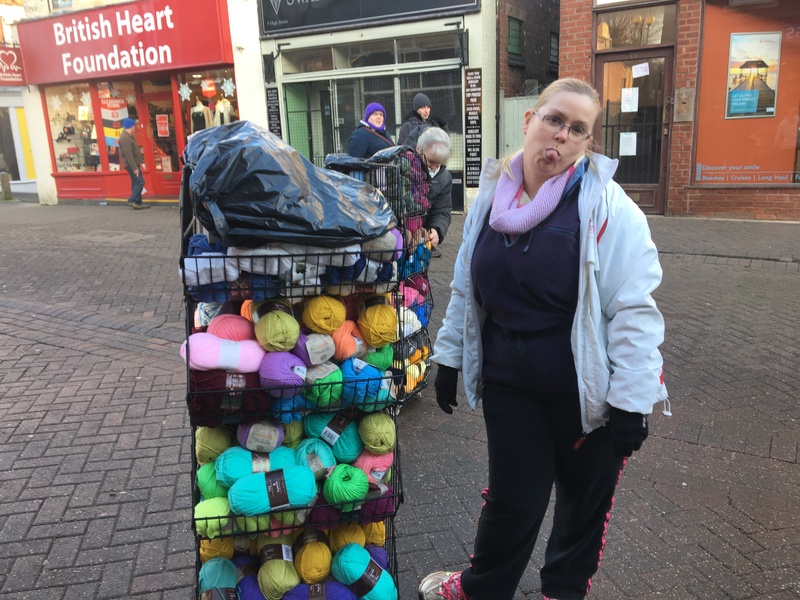 I apologise for the lack of blogging. 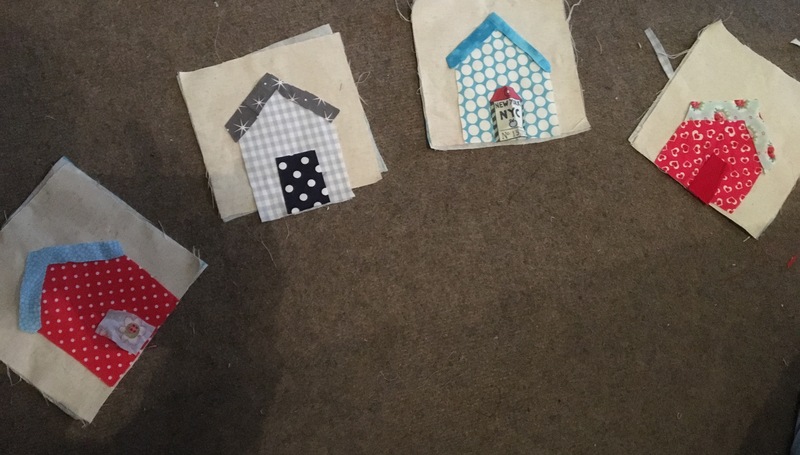 Lots going on here so I have plenty to tell you and lots of pics. 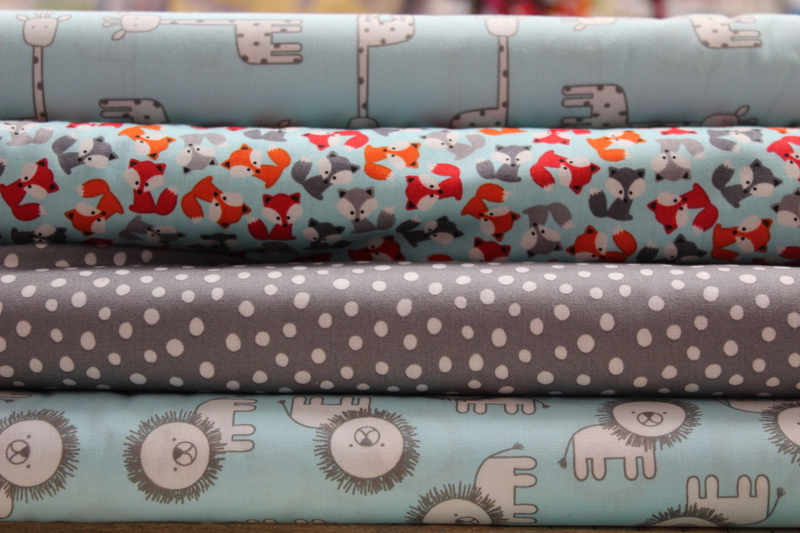 Ok let’s start with my little stitchers. 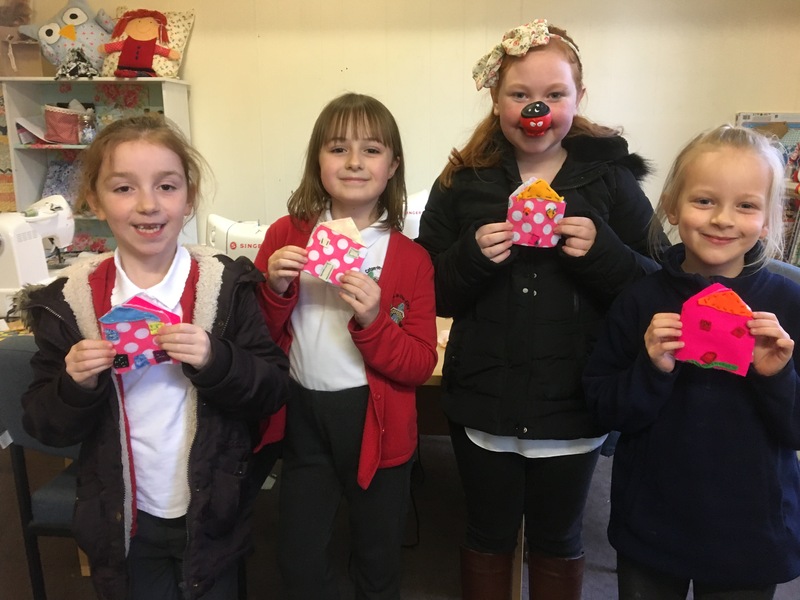 They have been busy bees creating festive decorations, Christmas gifts and learning new skills. 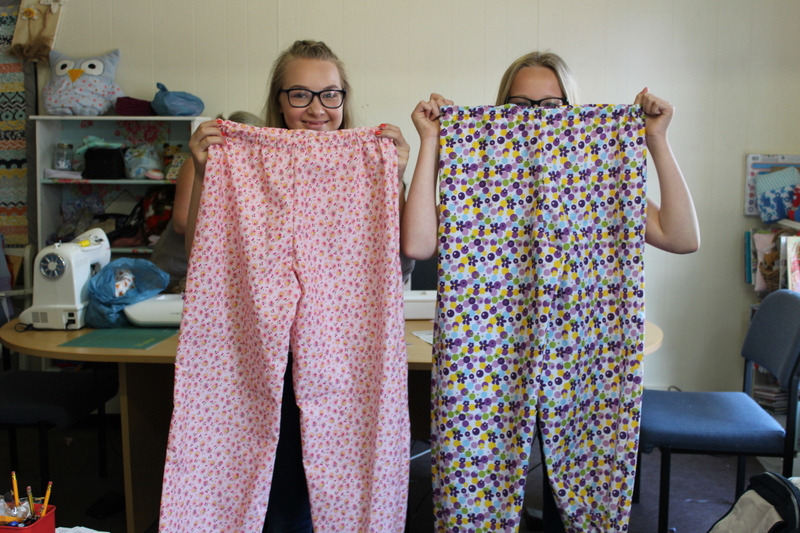 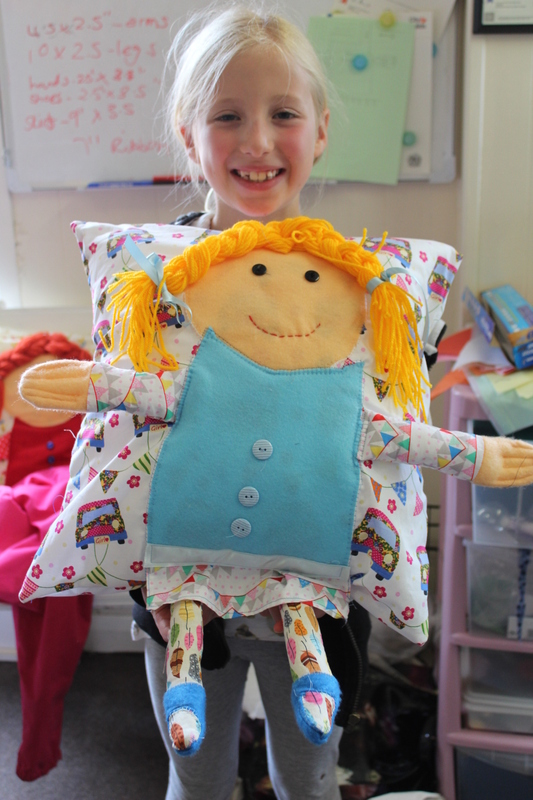 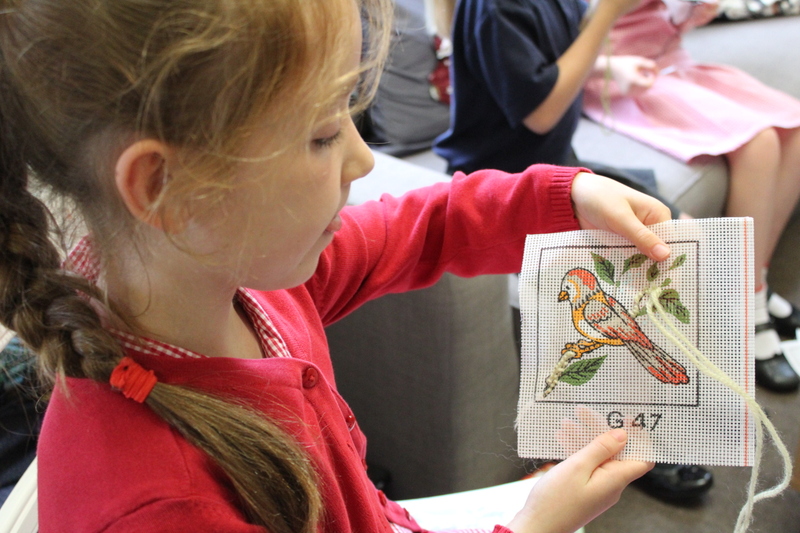 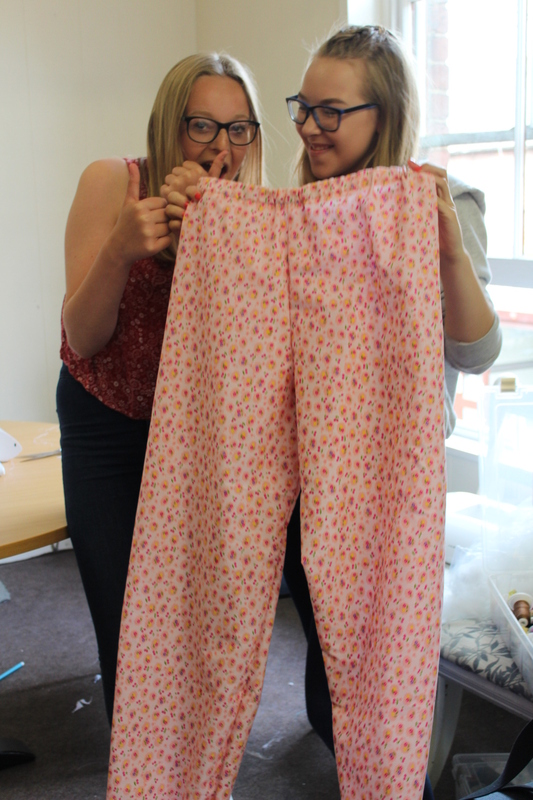 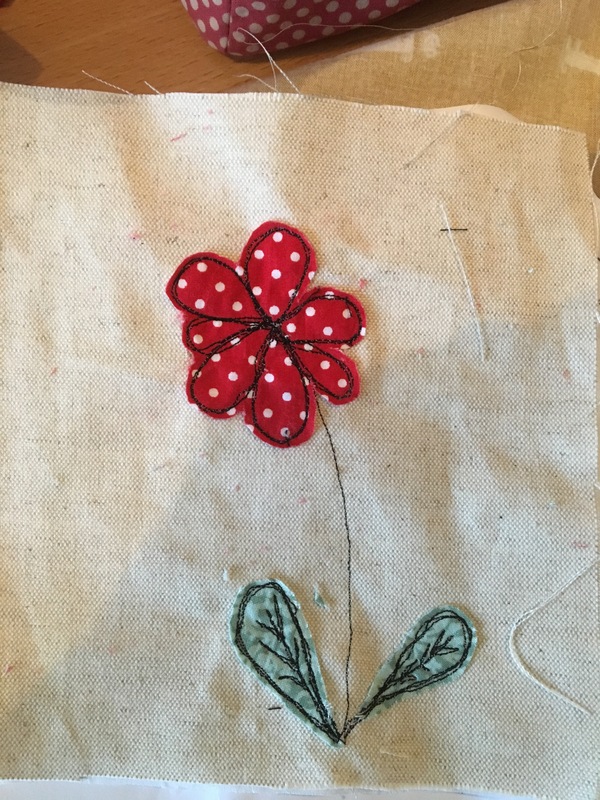 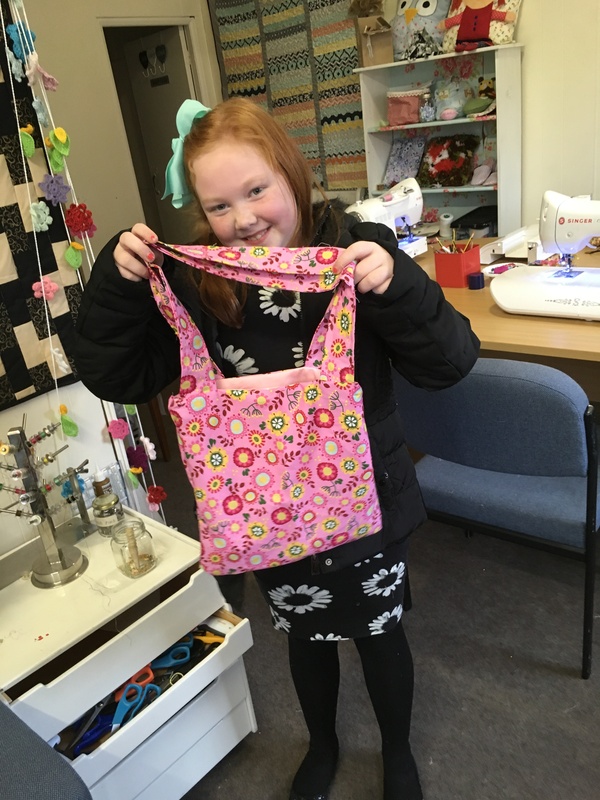 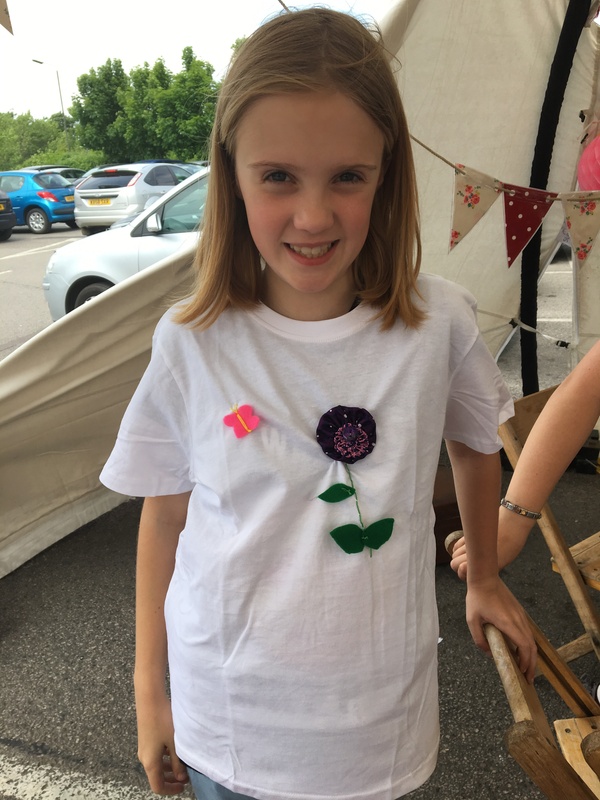 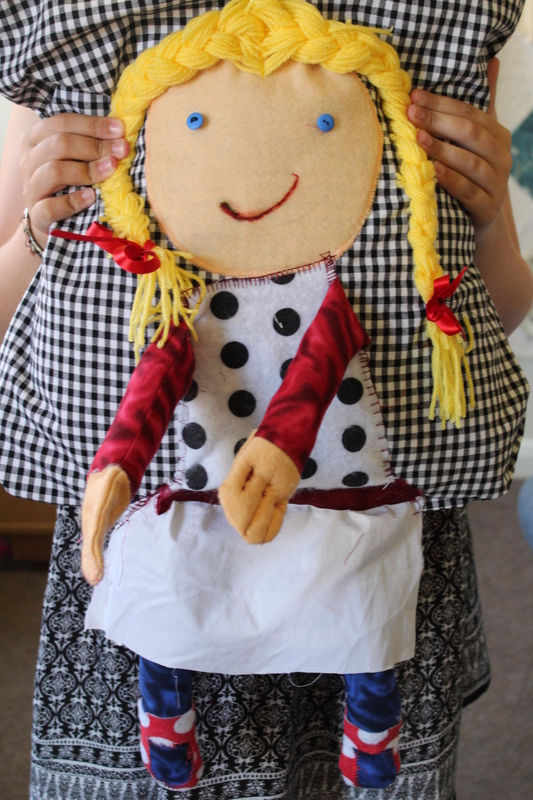 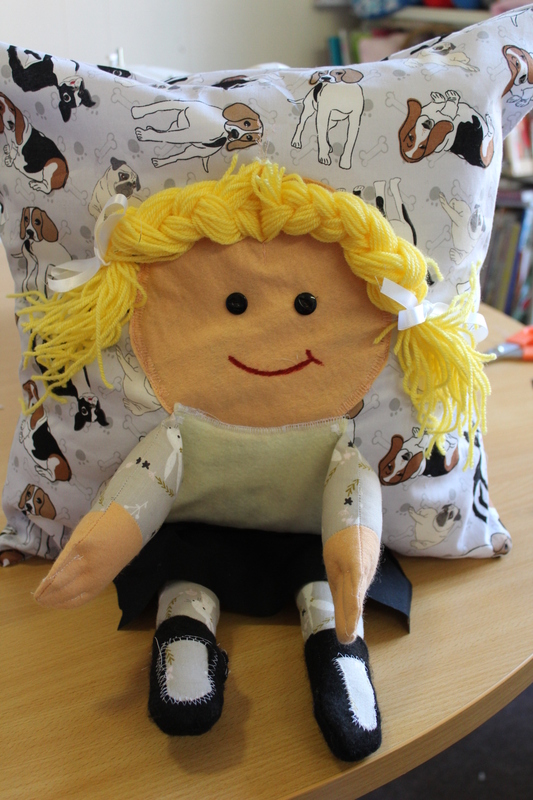 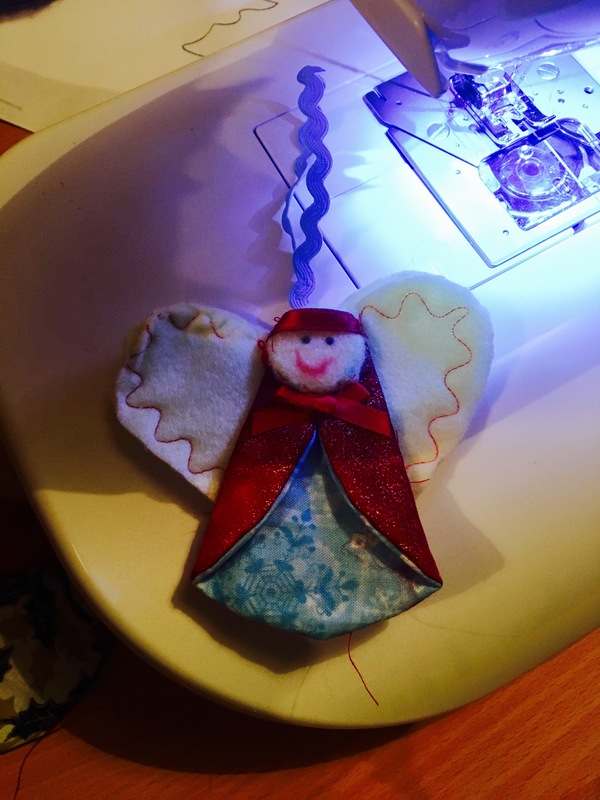 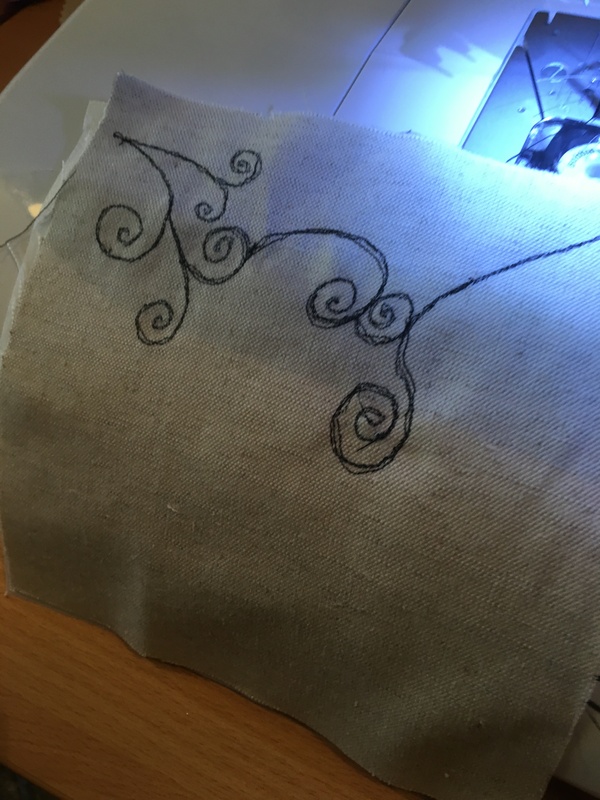 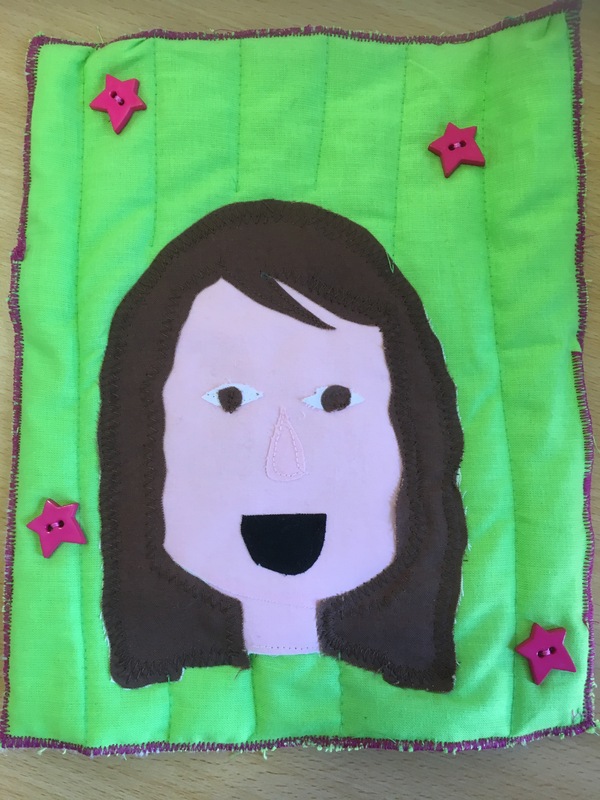 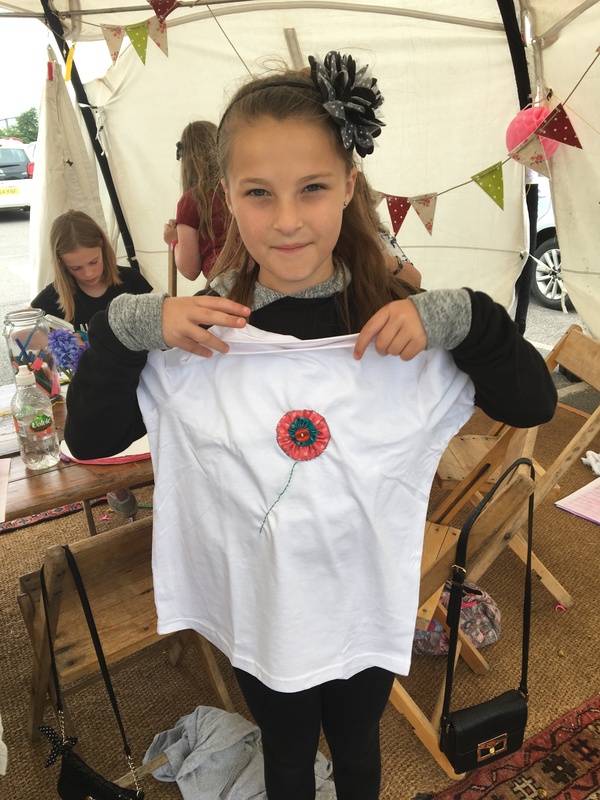 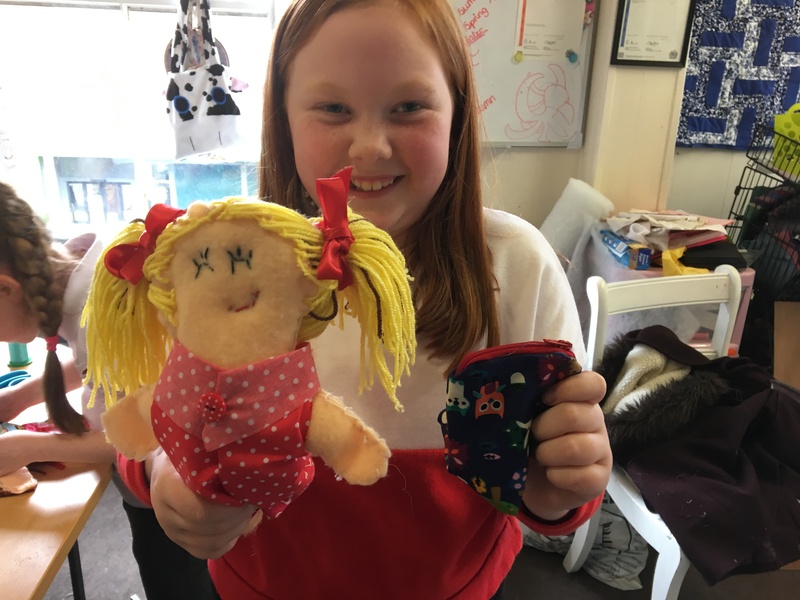 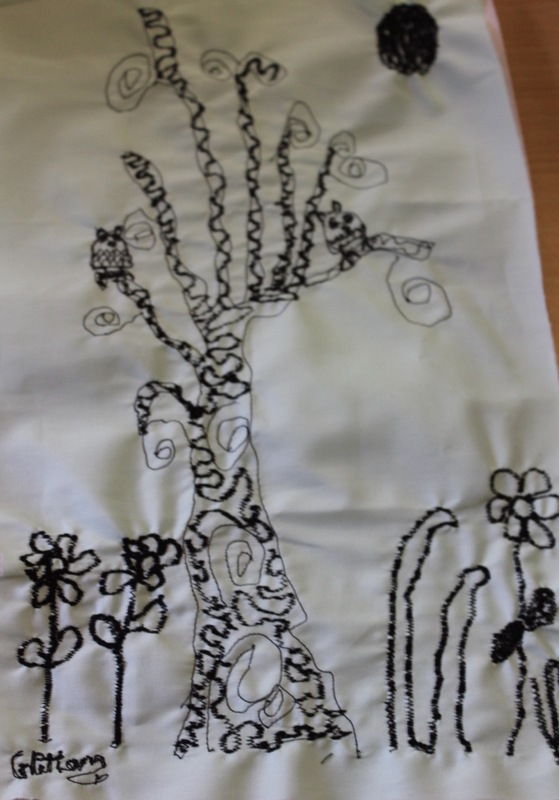 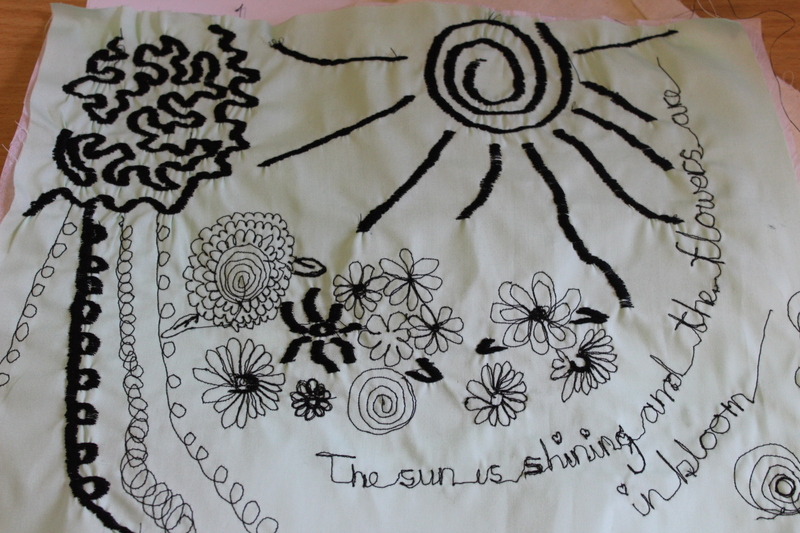 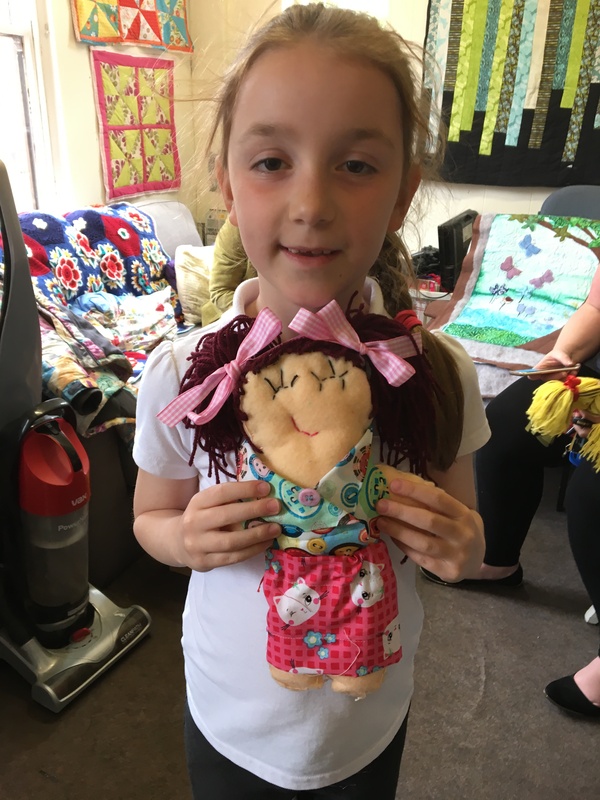 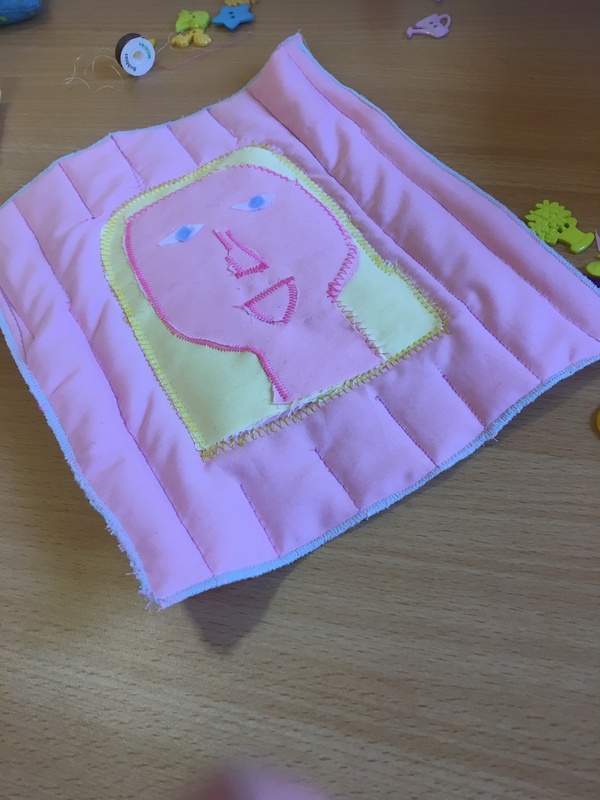 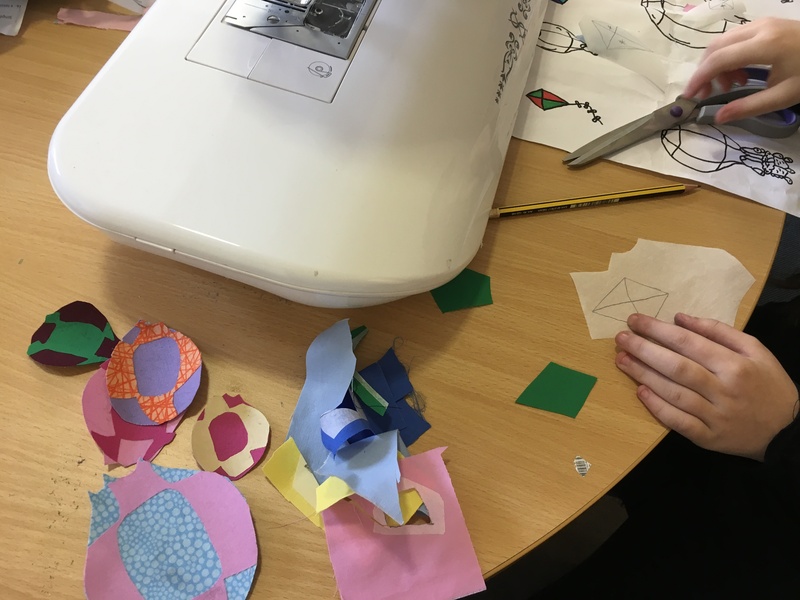 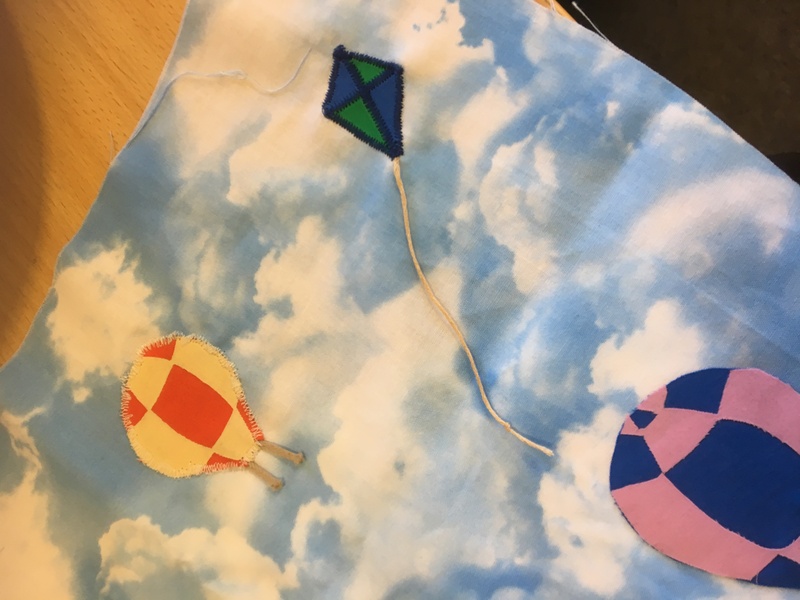 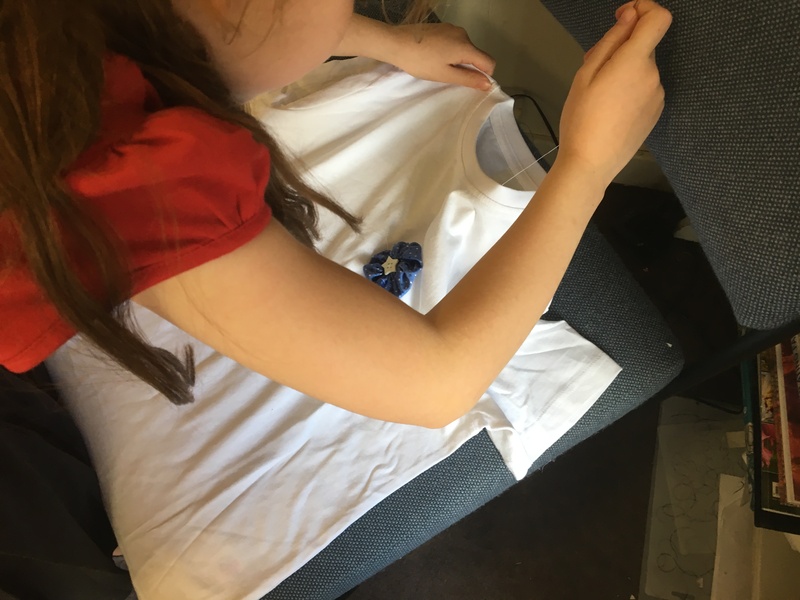 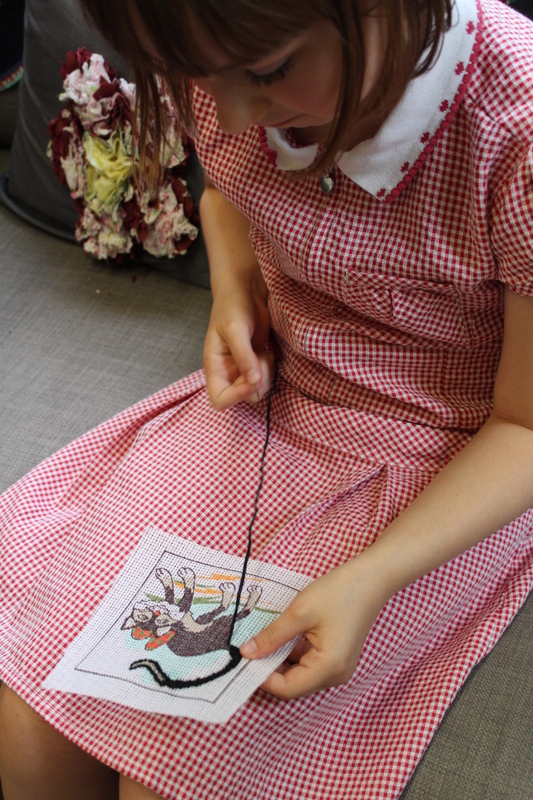 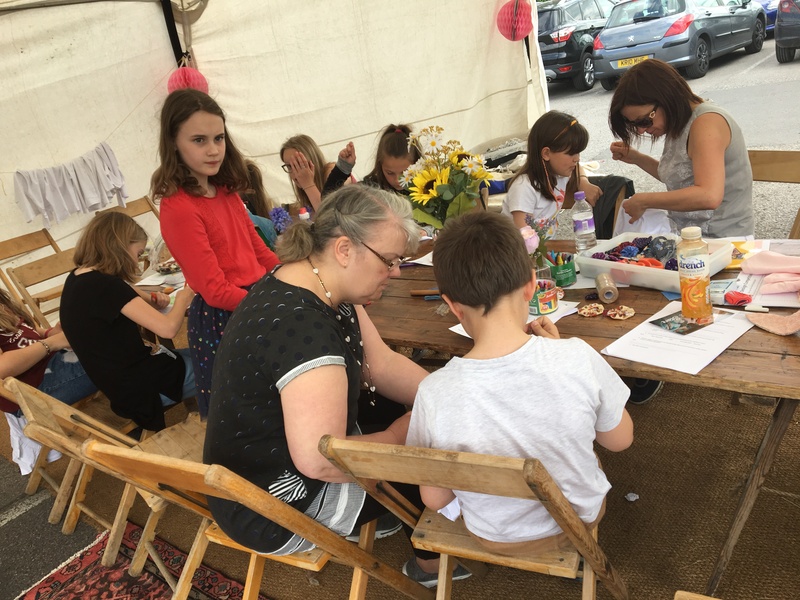 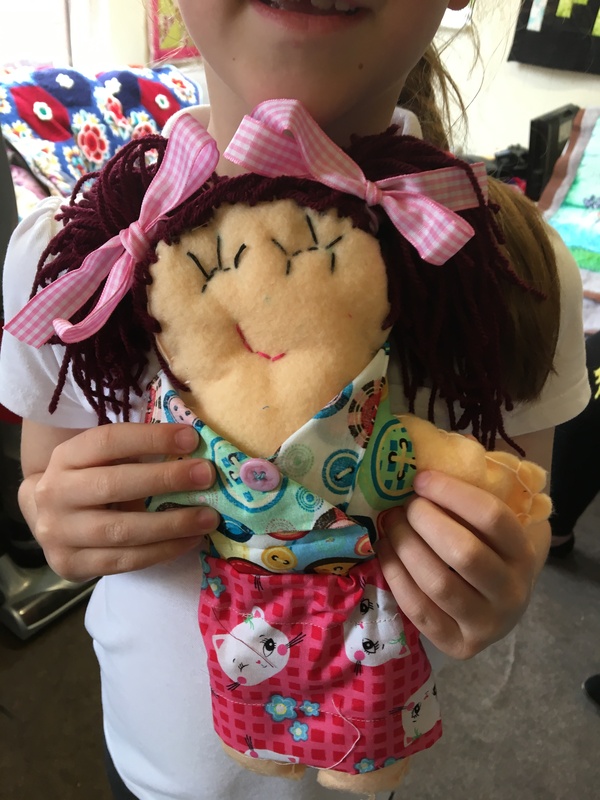 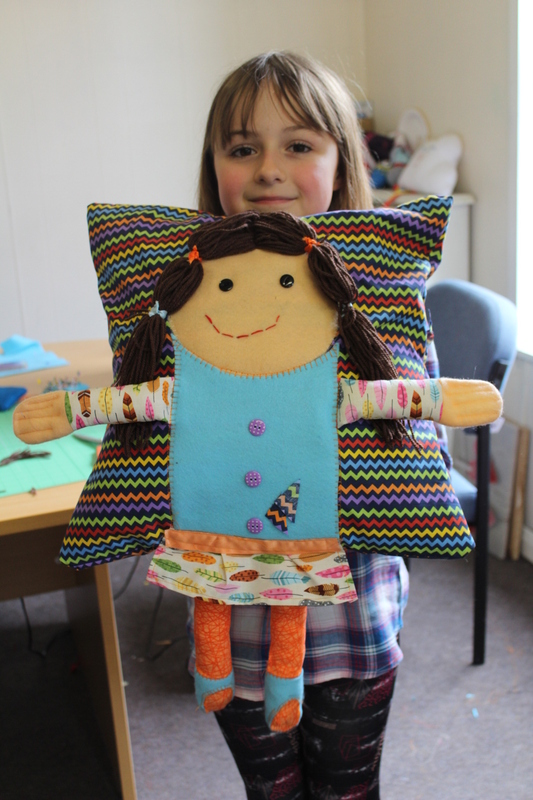 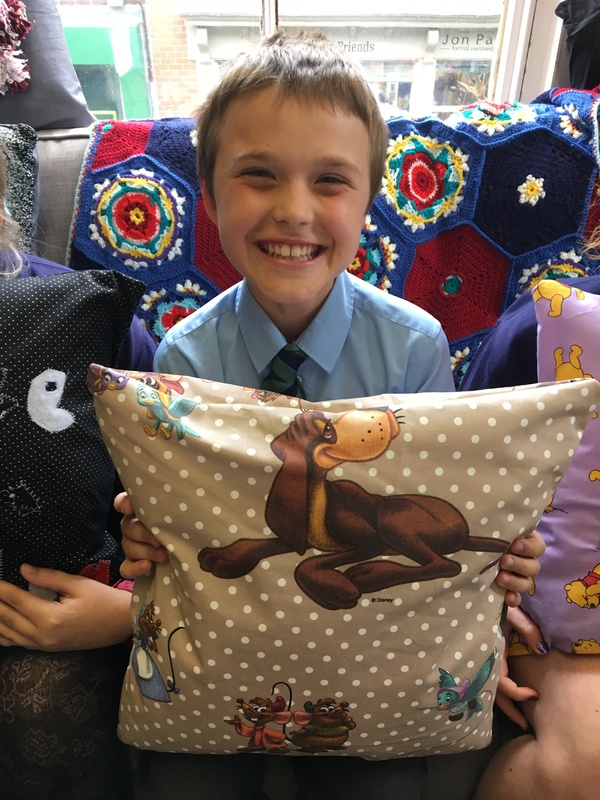 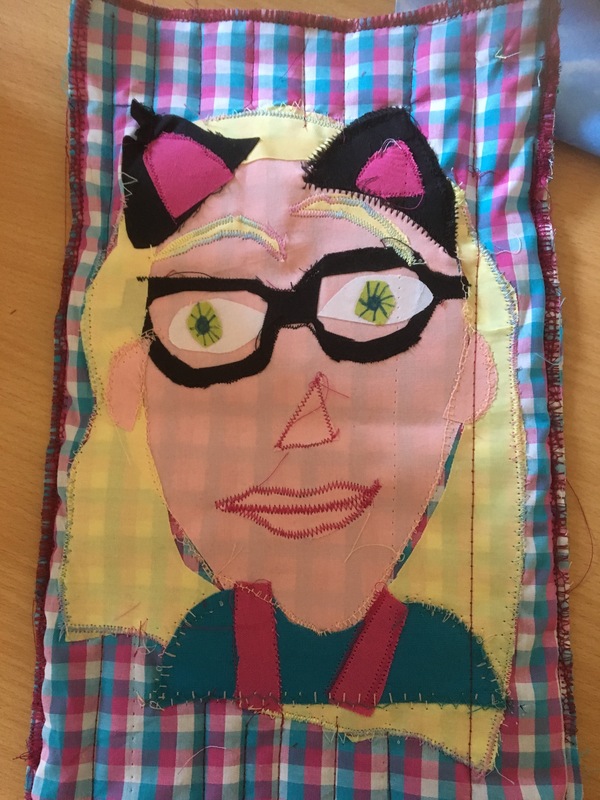 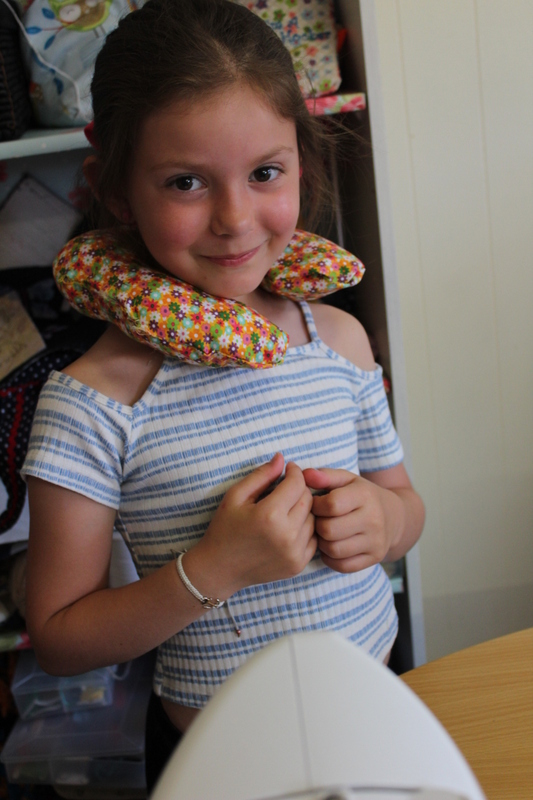 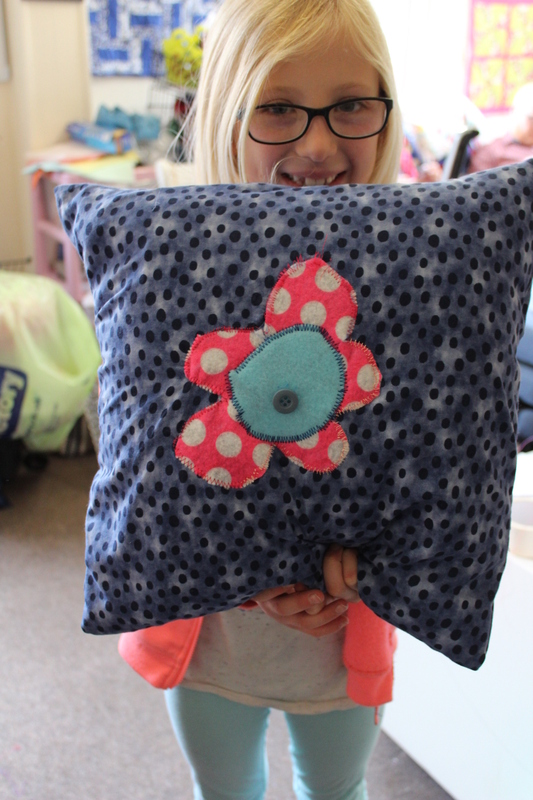 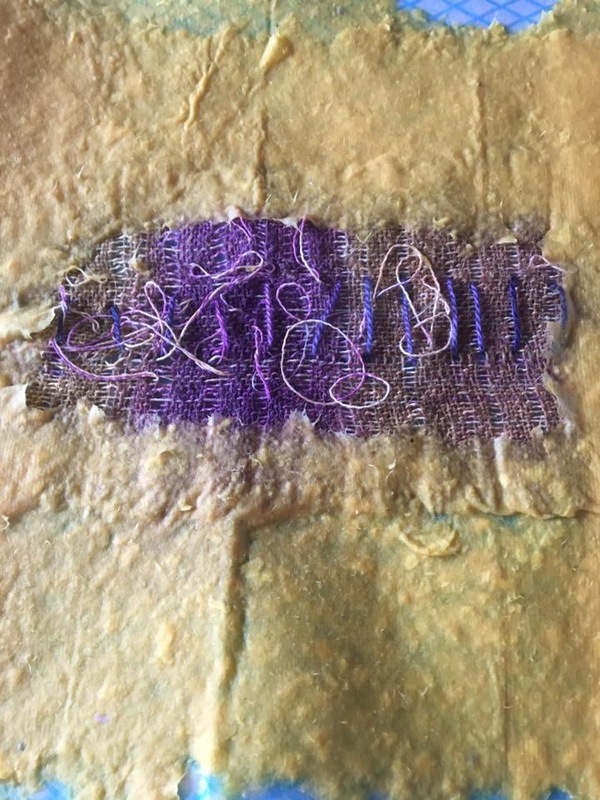 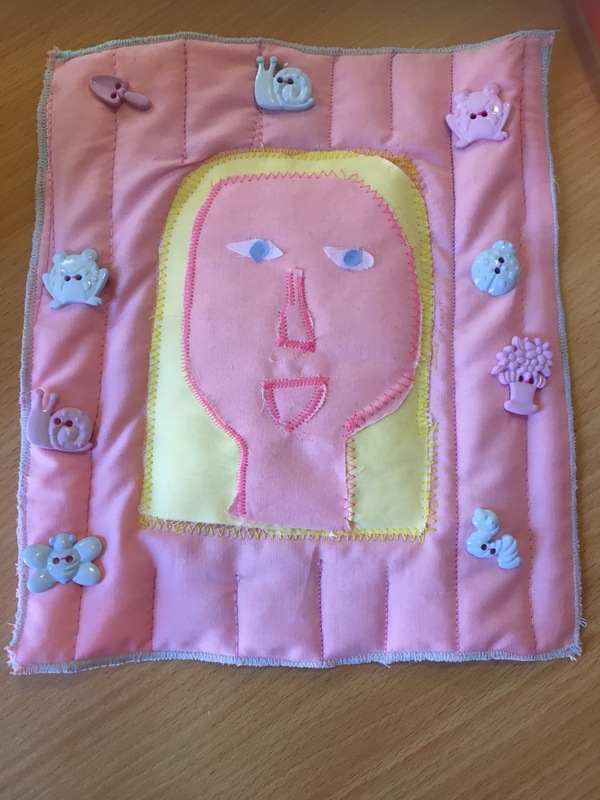 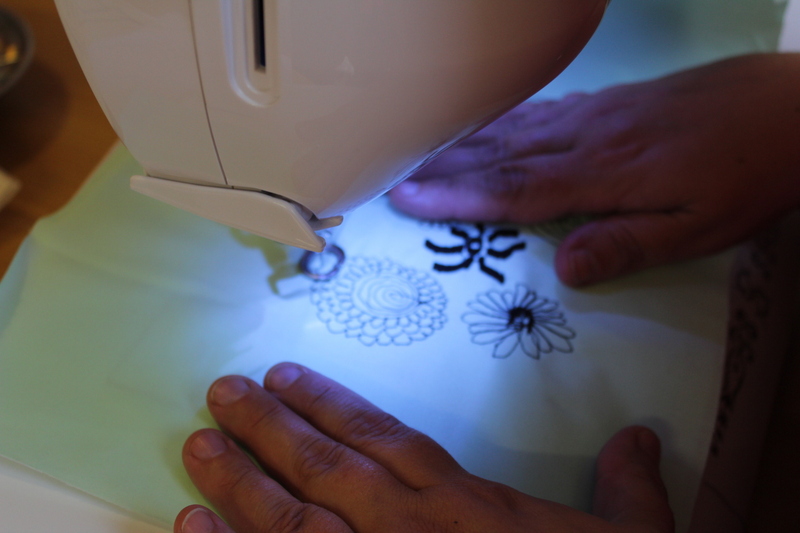 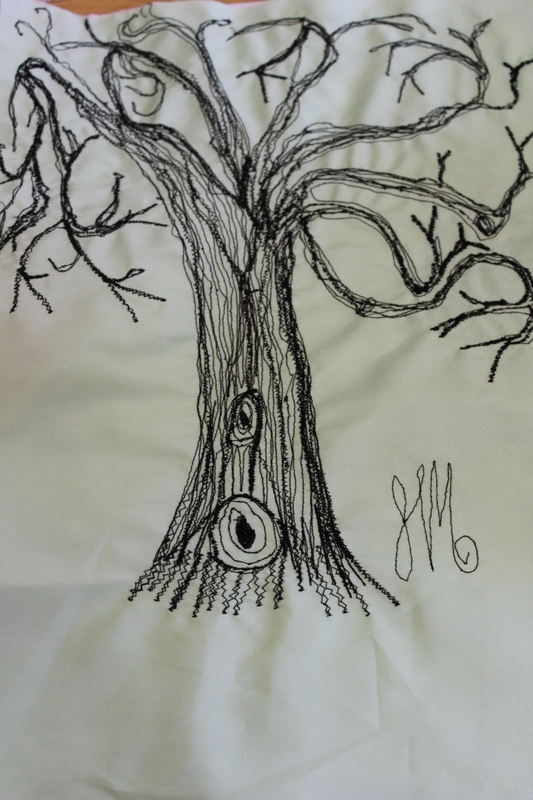 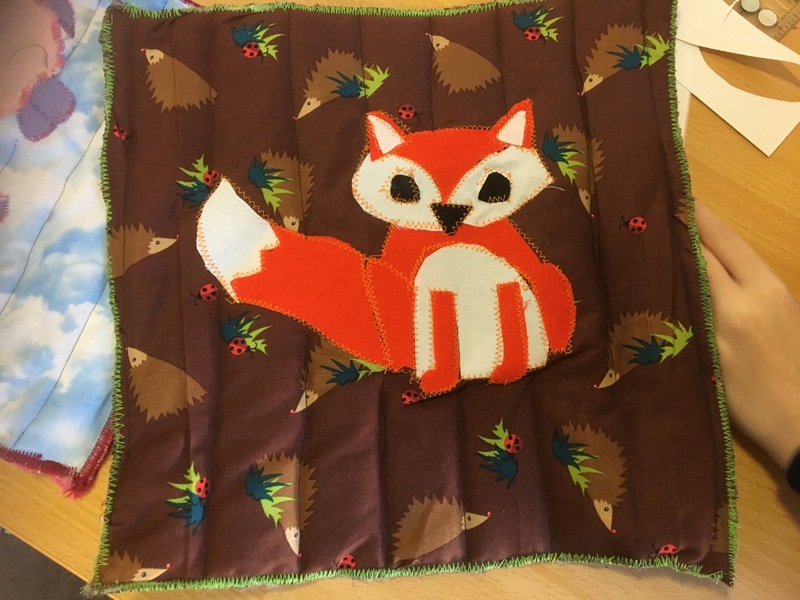 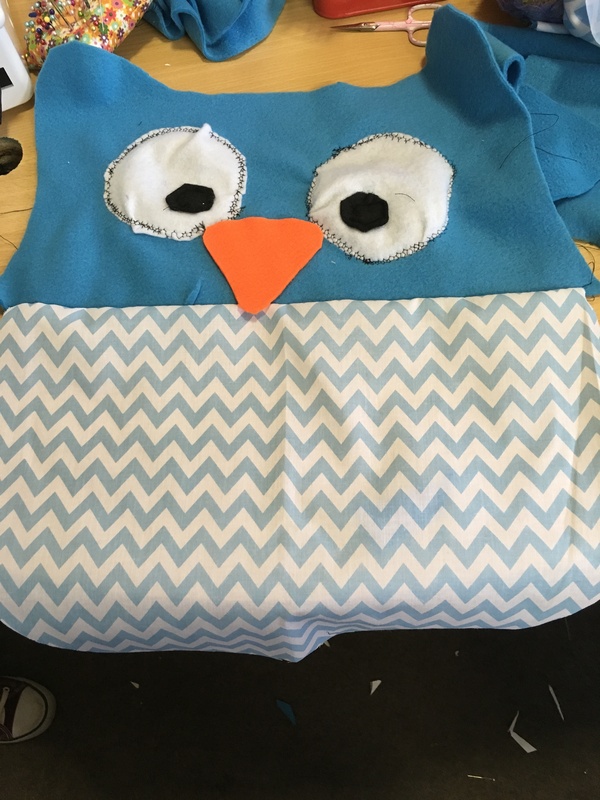 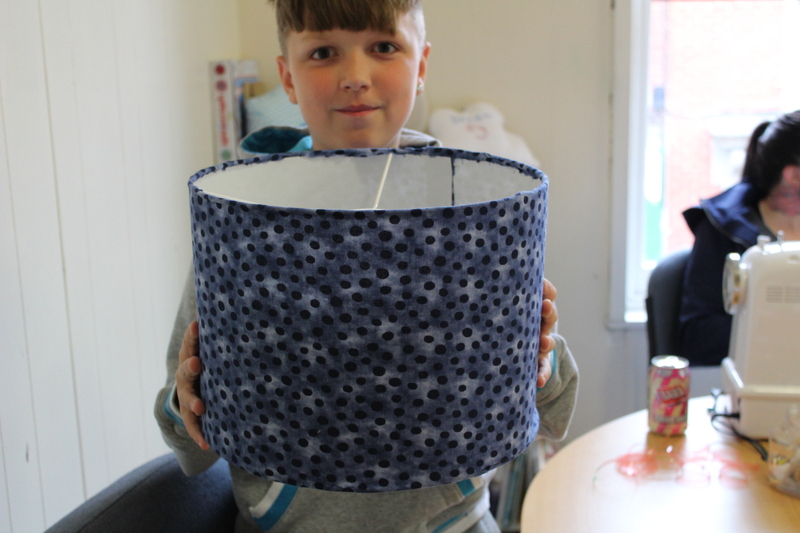 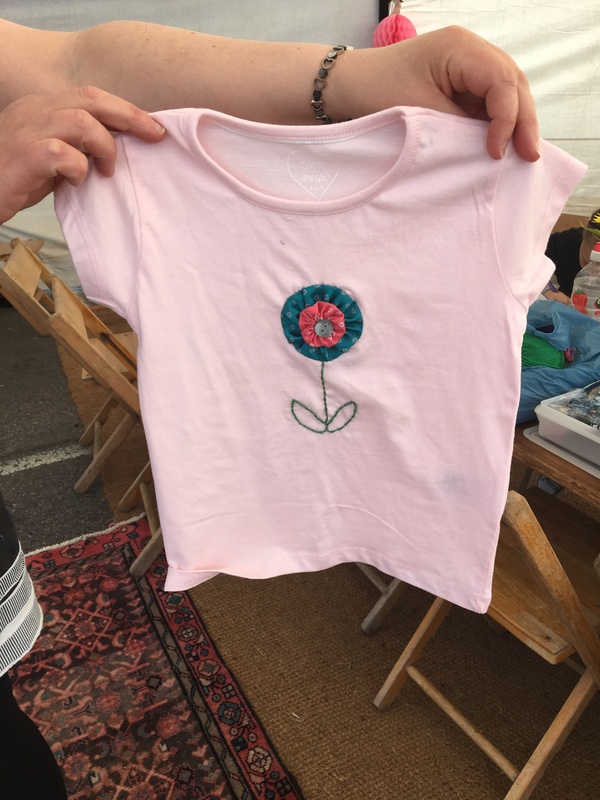 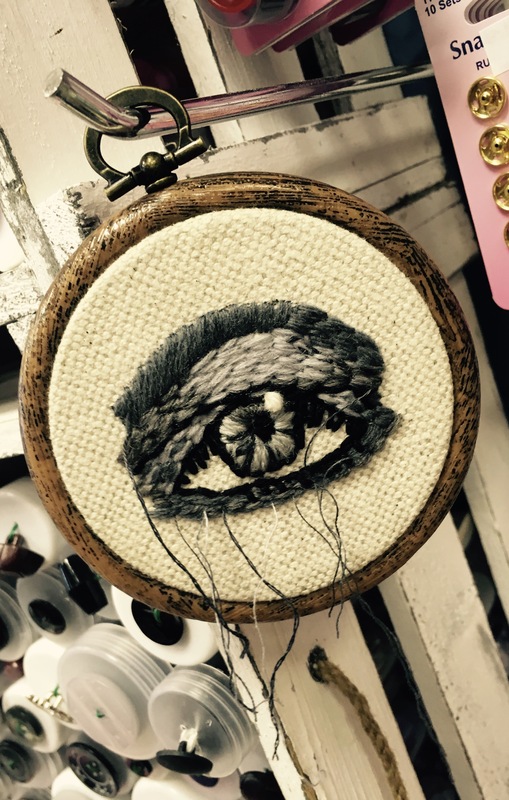 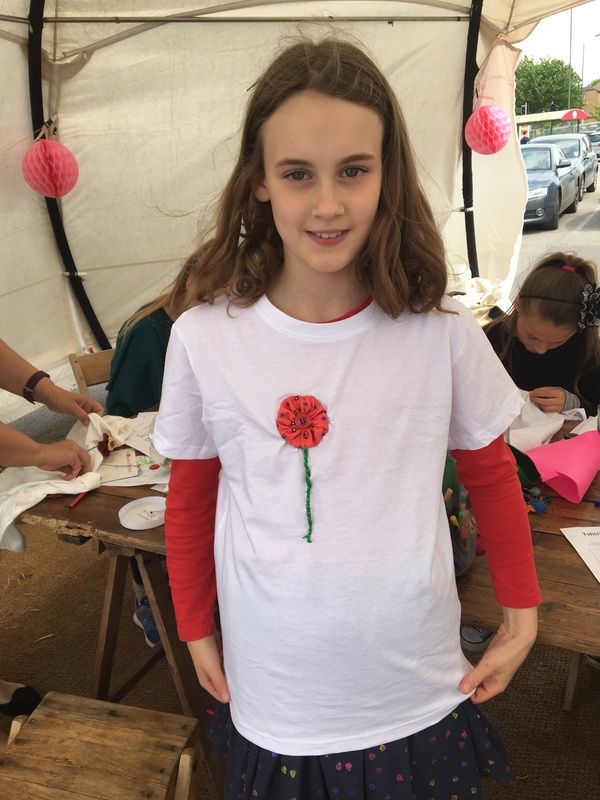 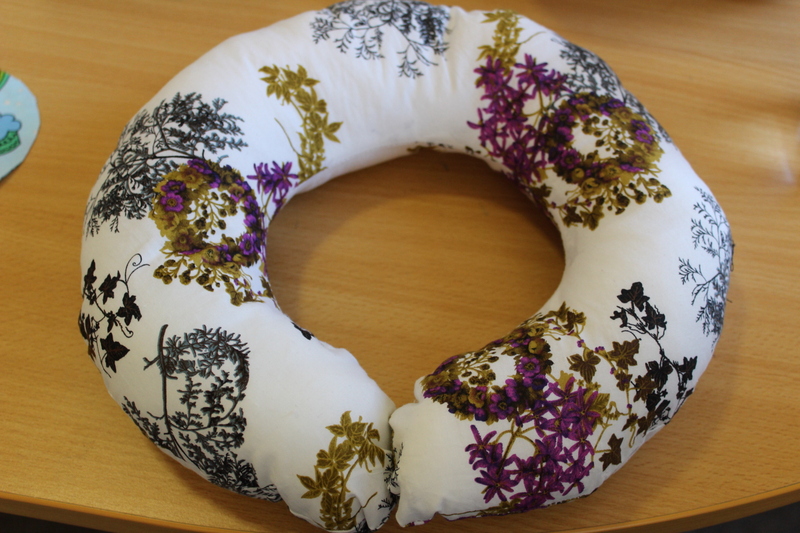 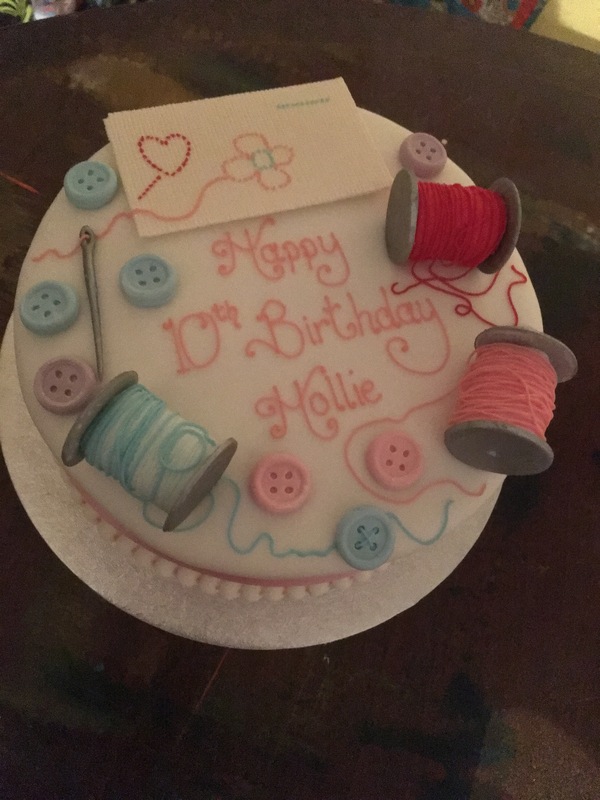 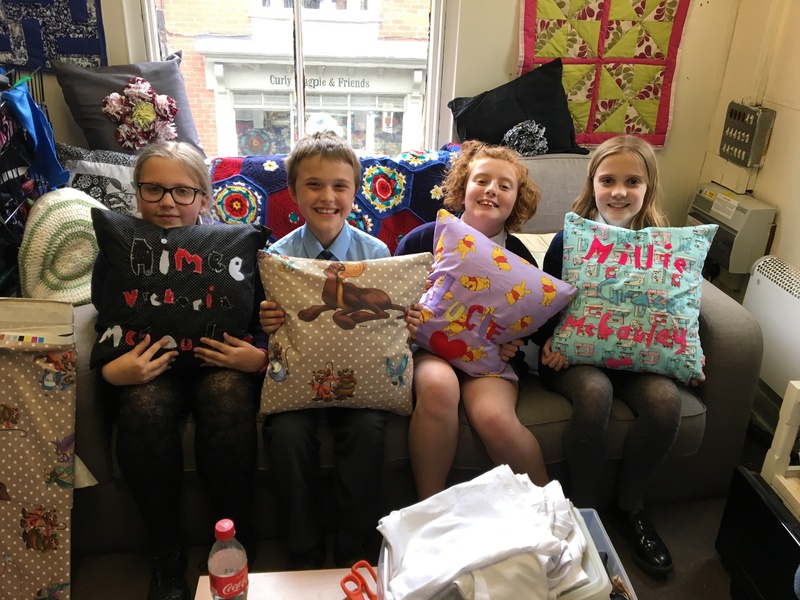 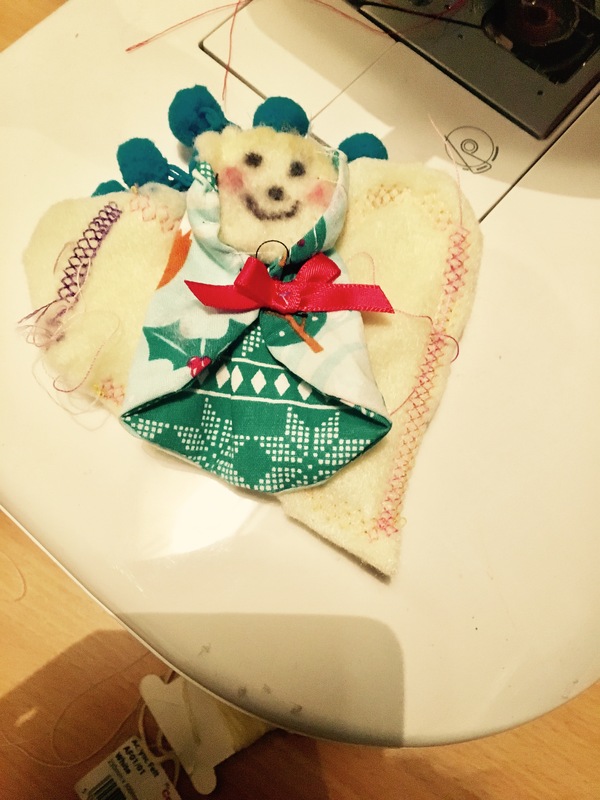 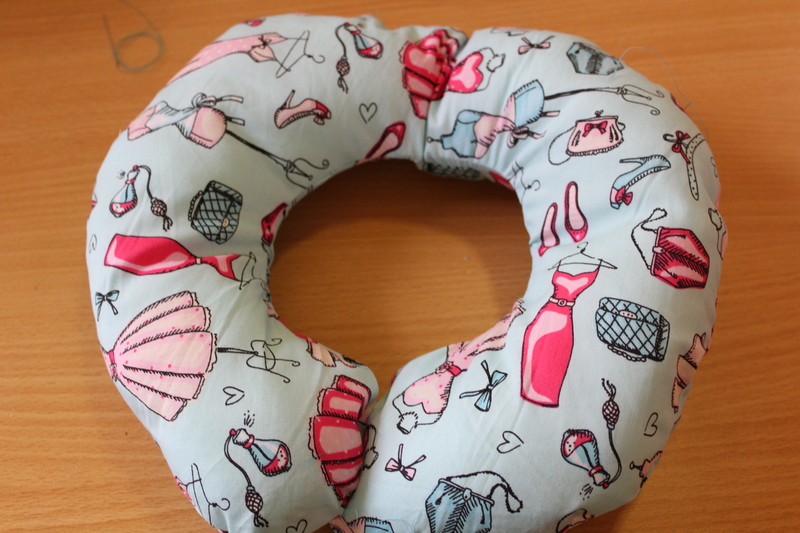 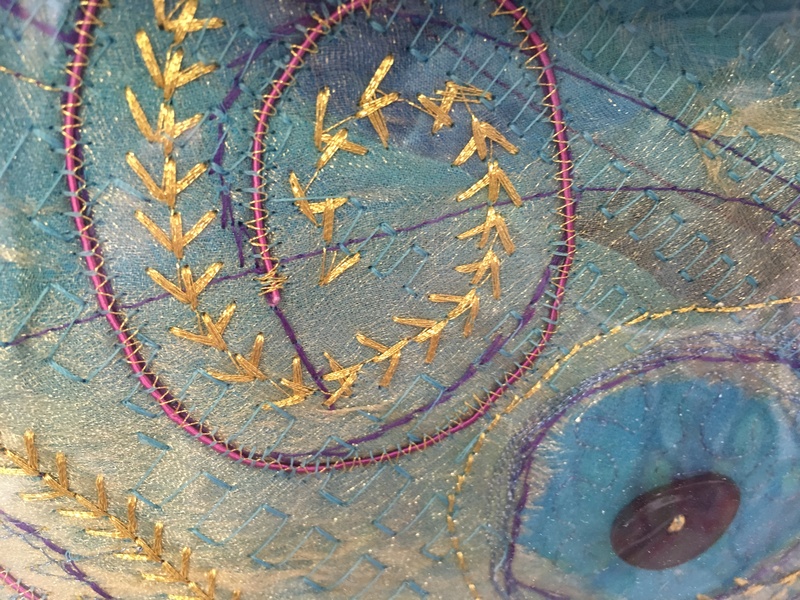 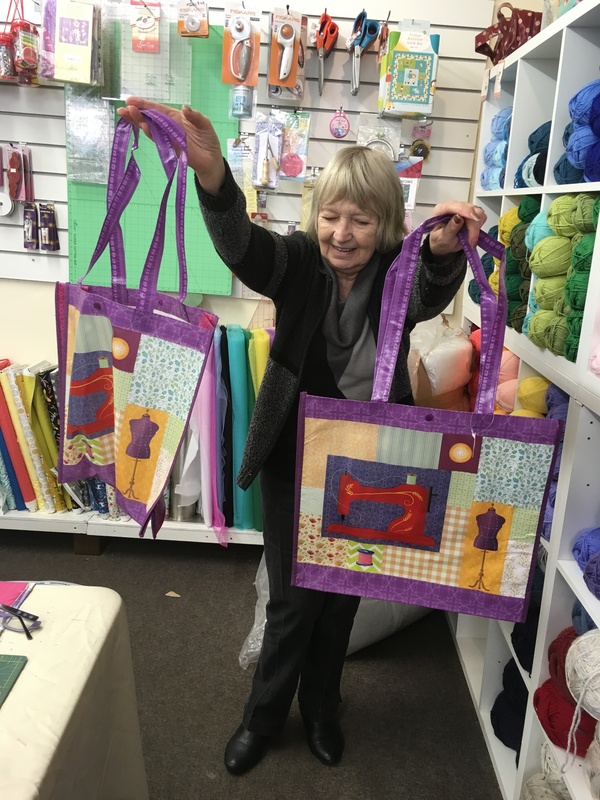 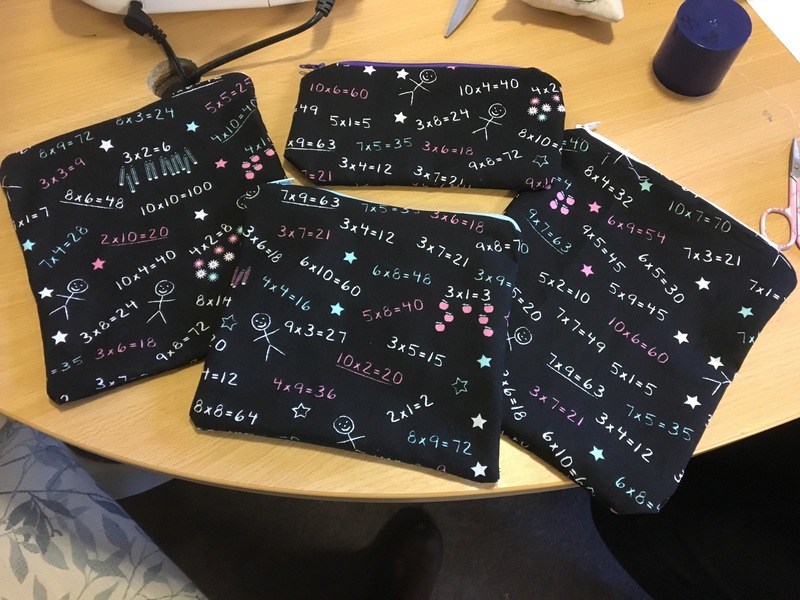 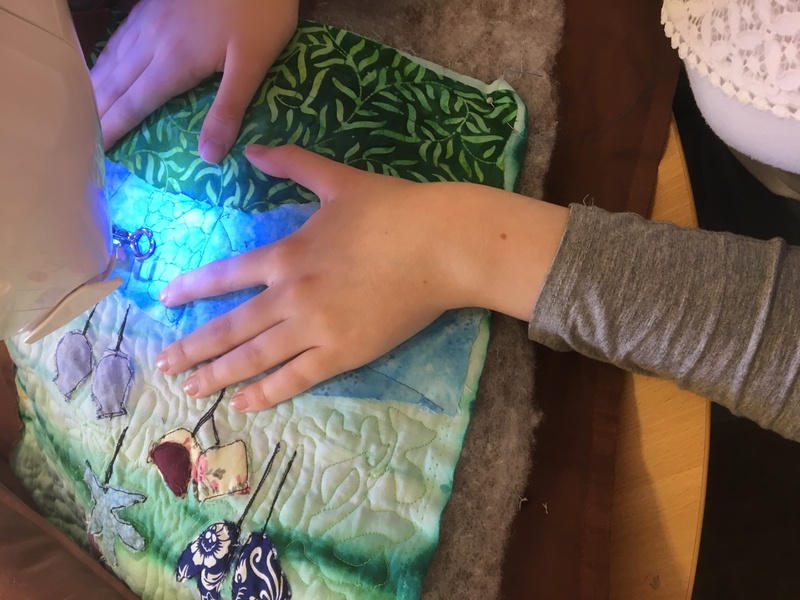 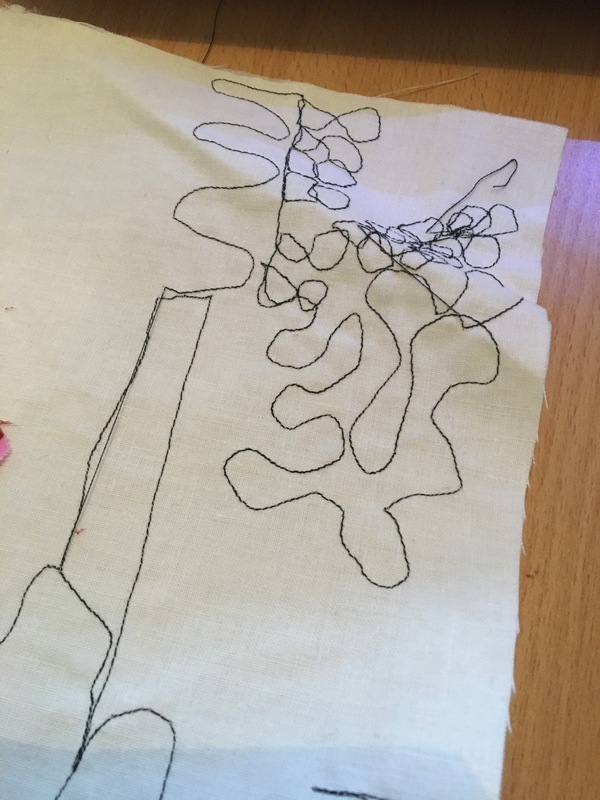 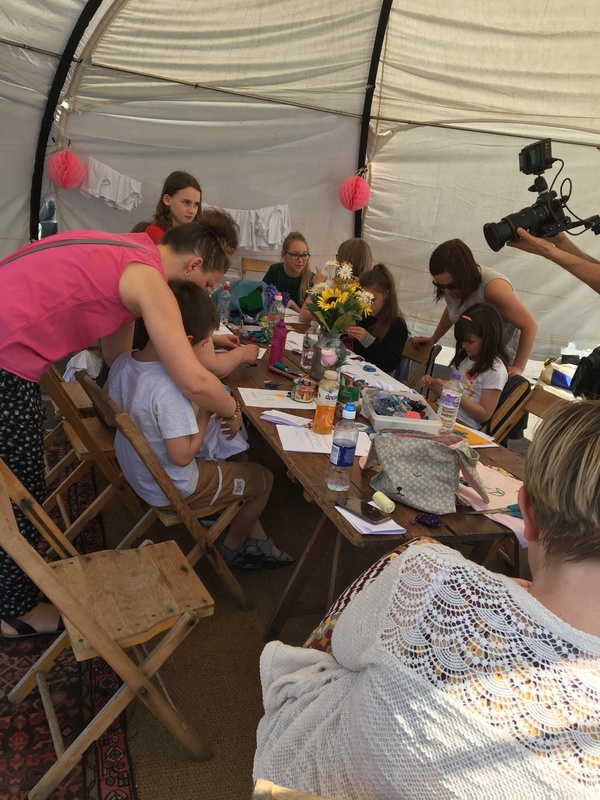 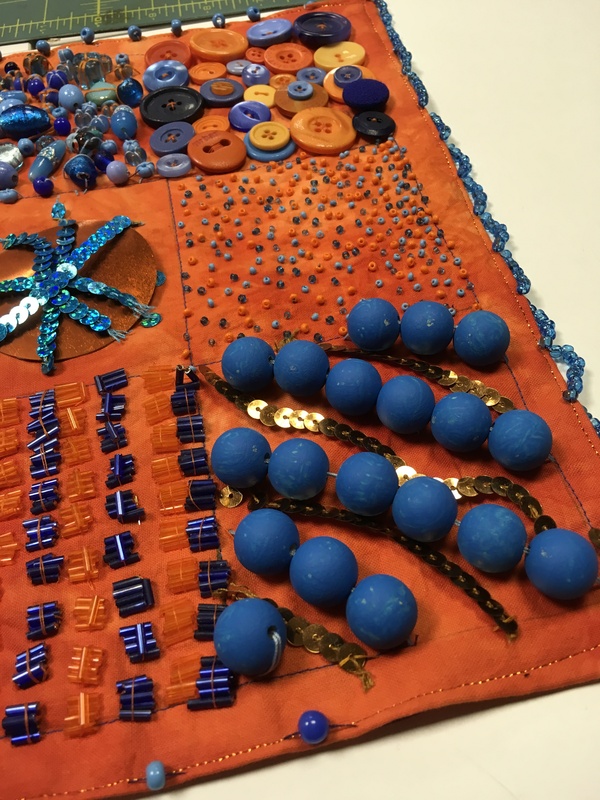 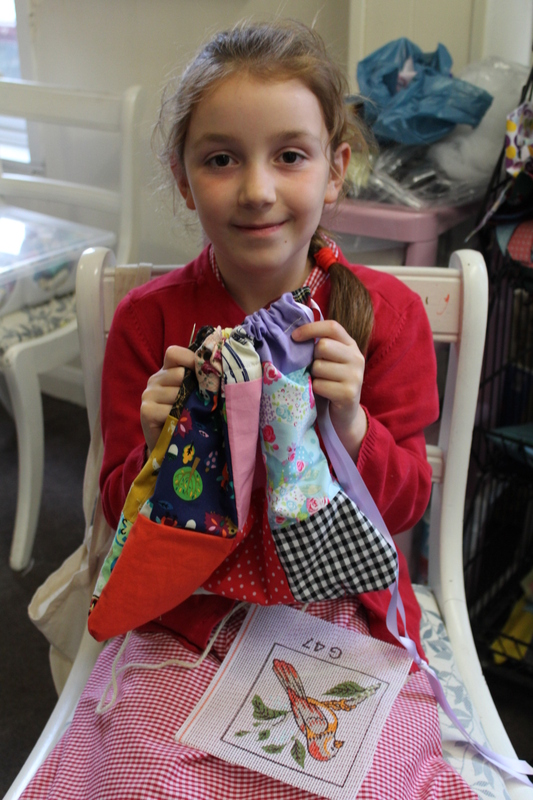 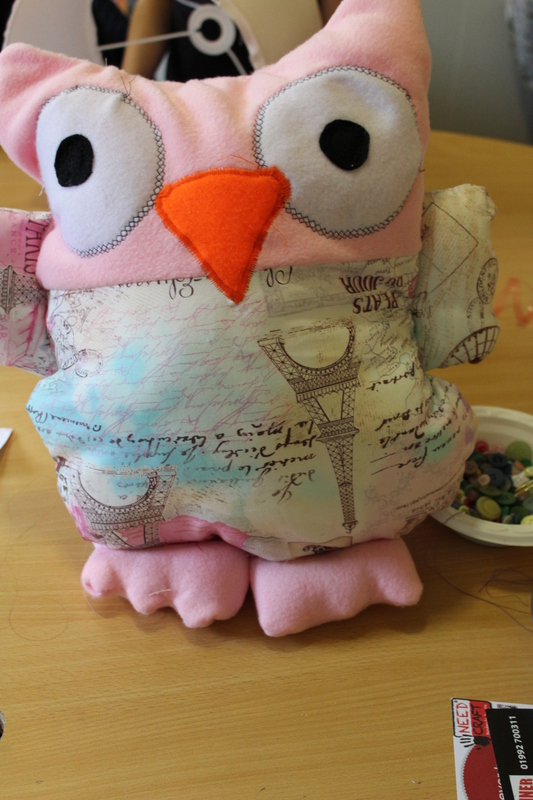 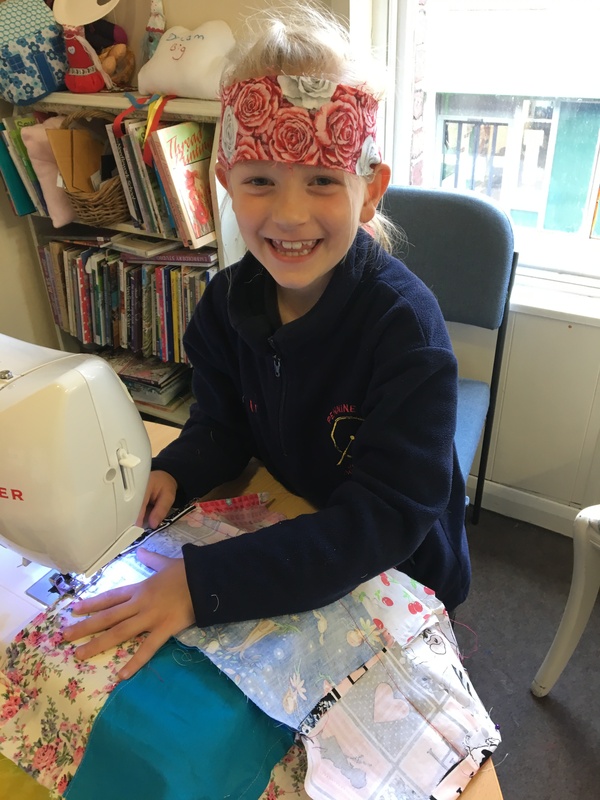 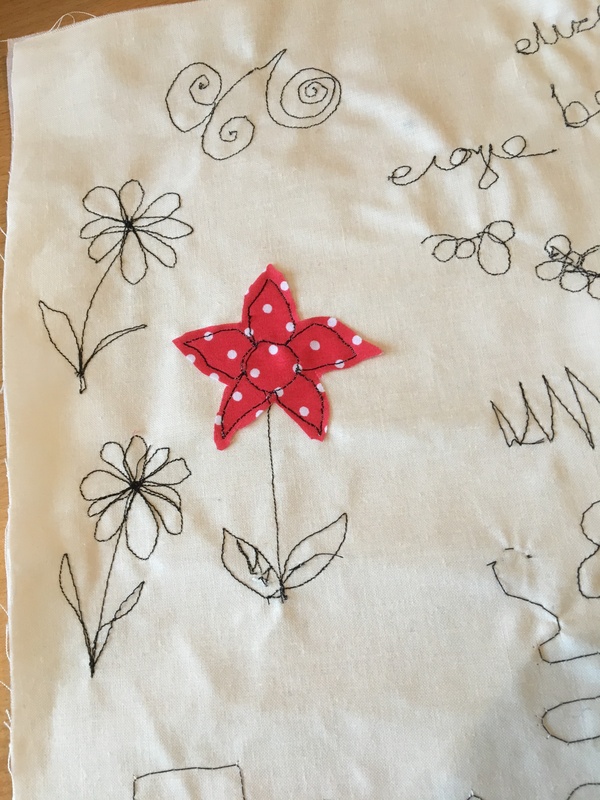 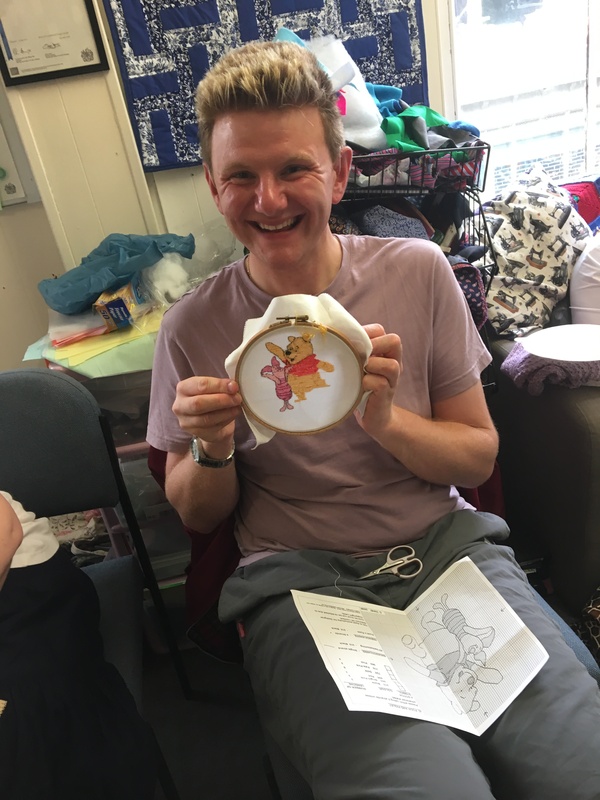 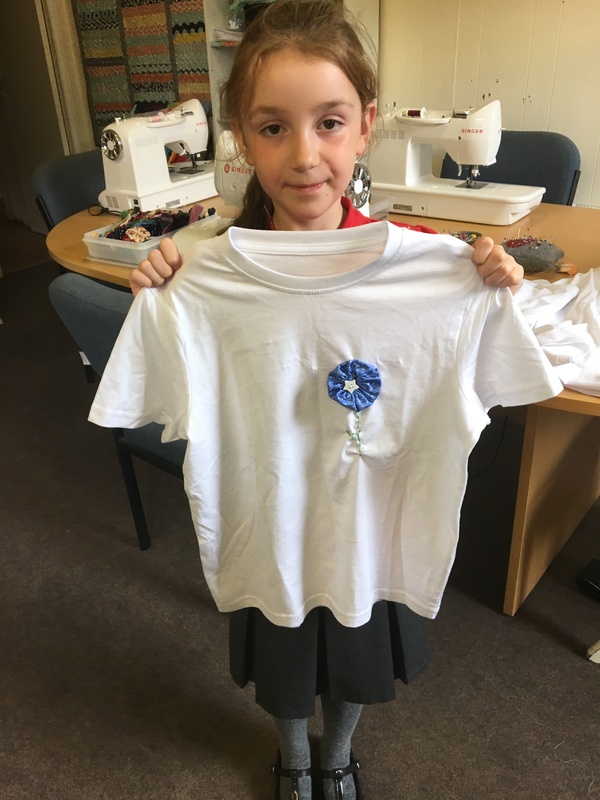 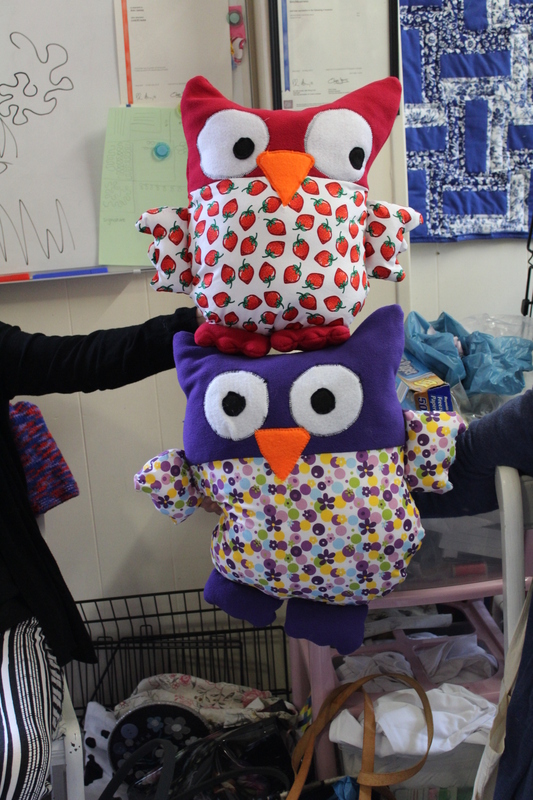 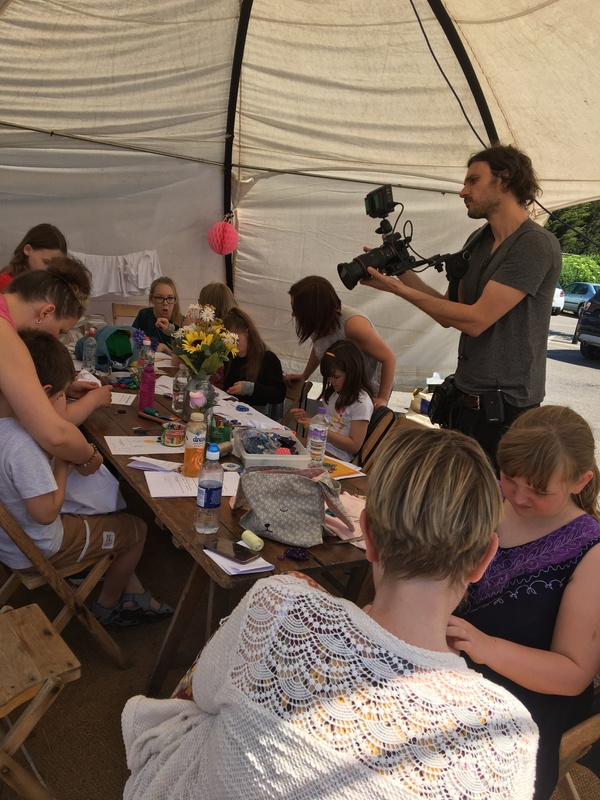 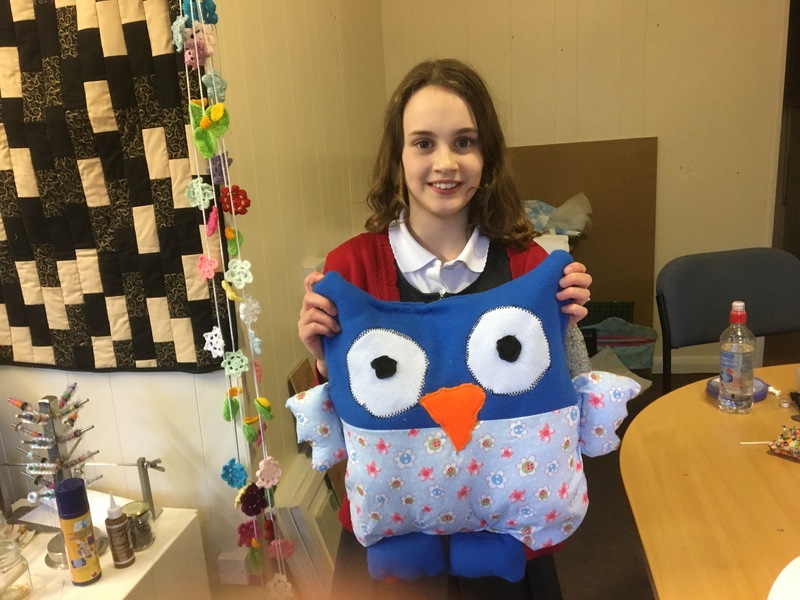 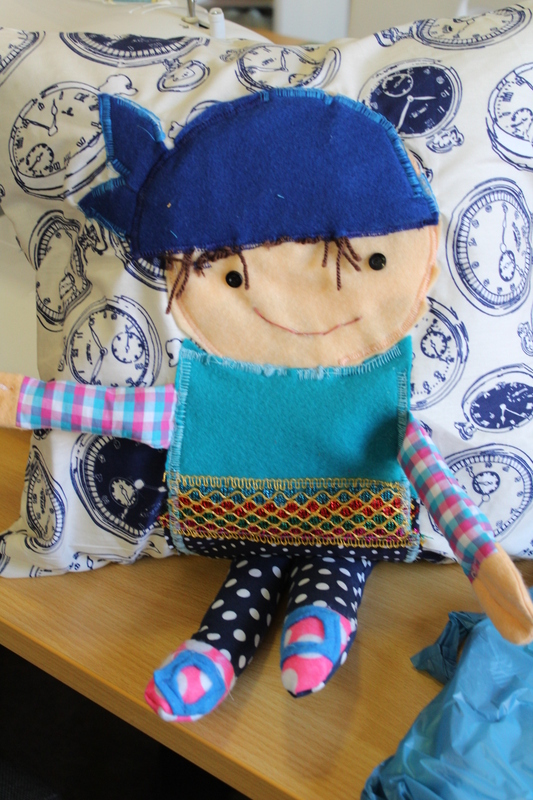 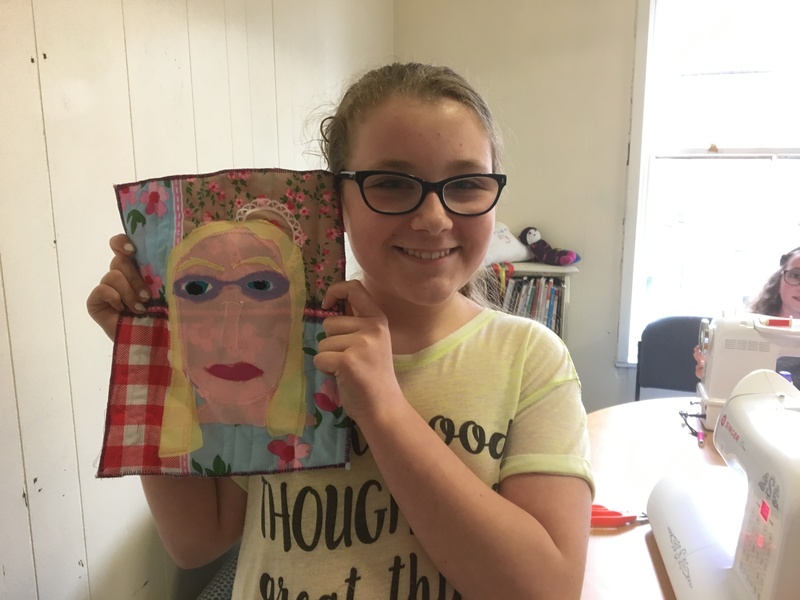 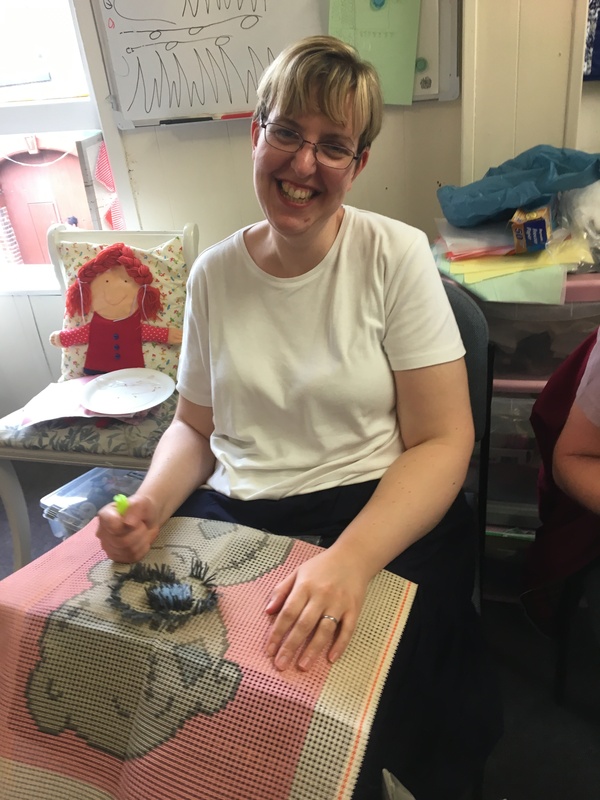 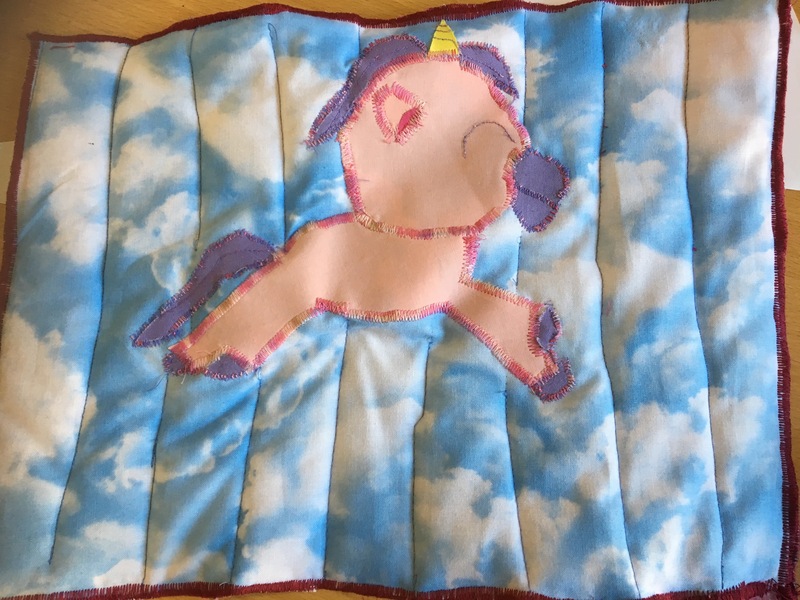 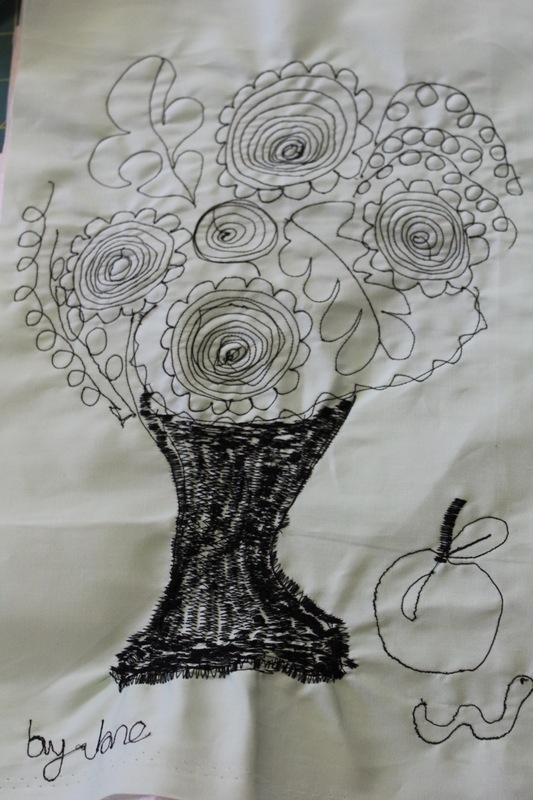 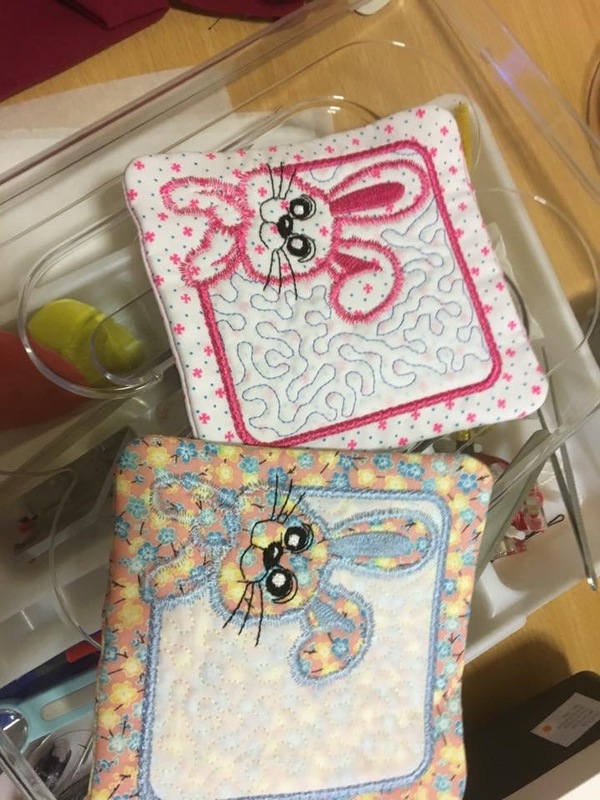 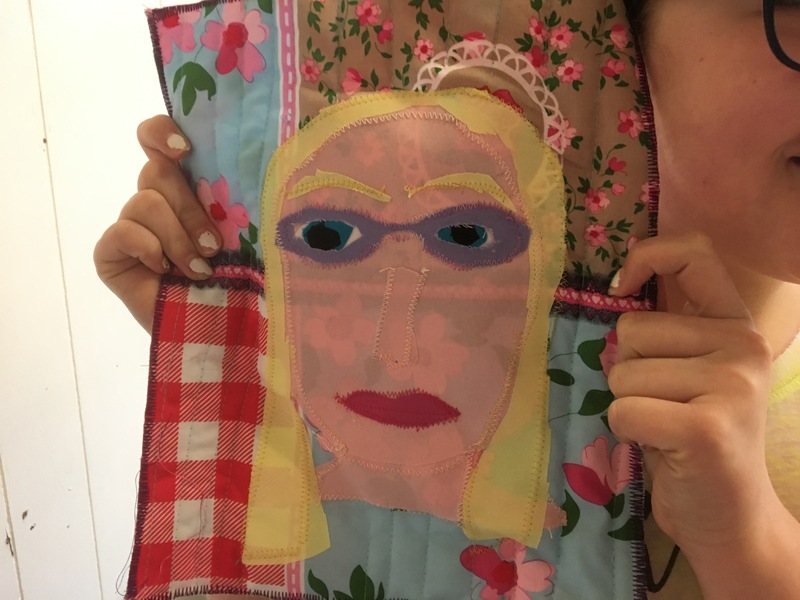 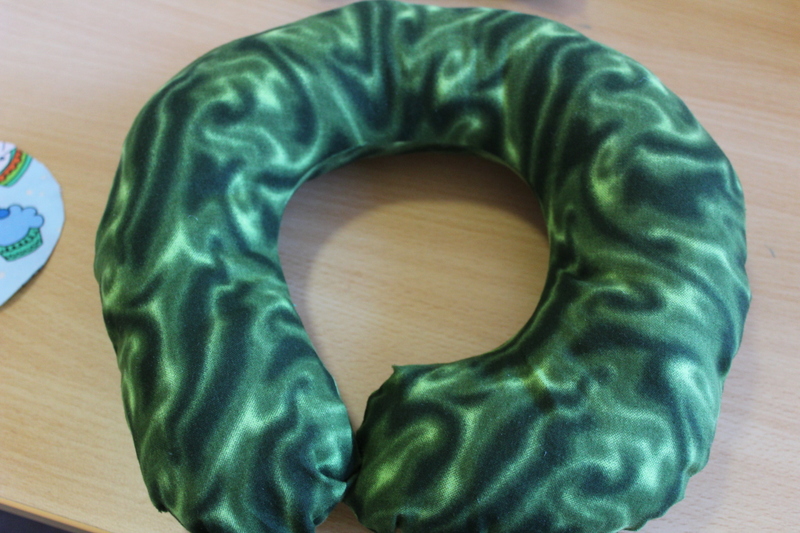 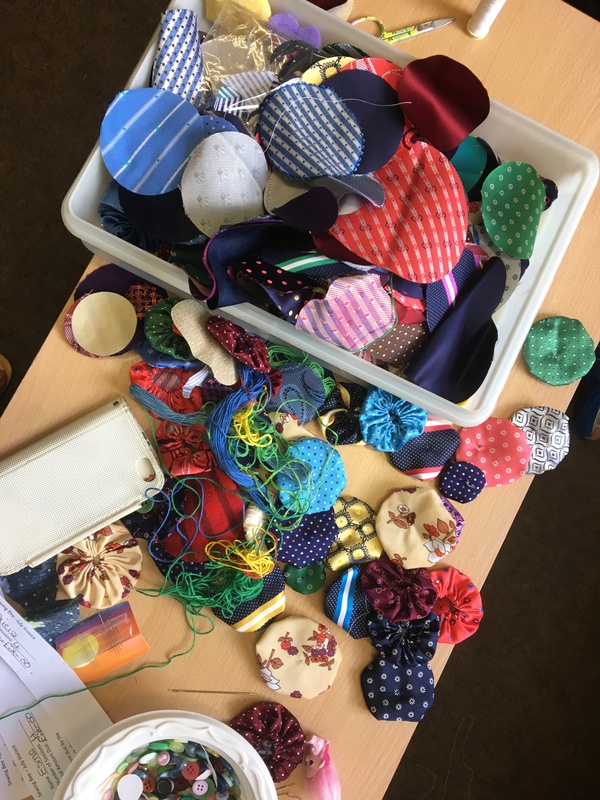 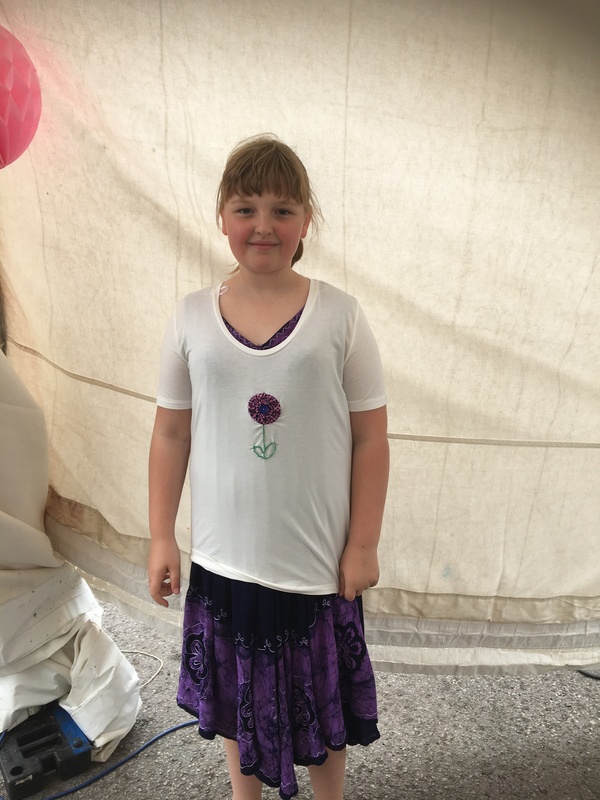 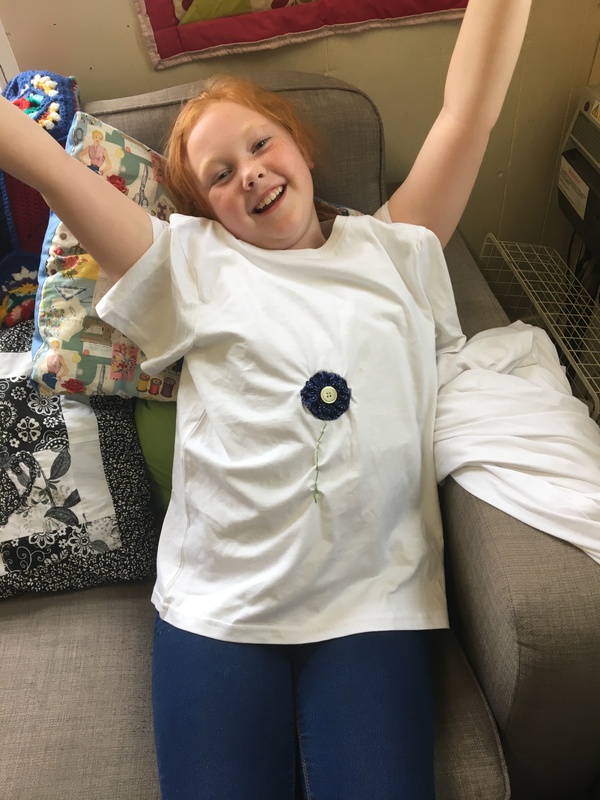 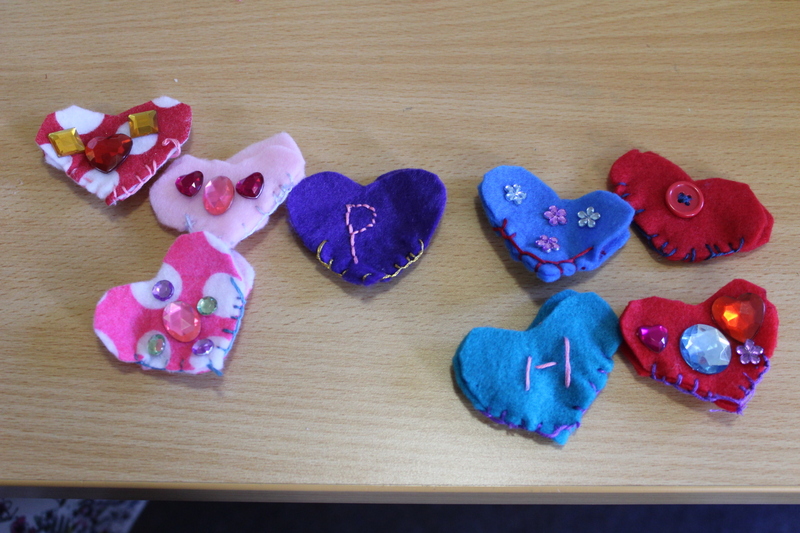 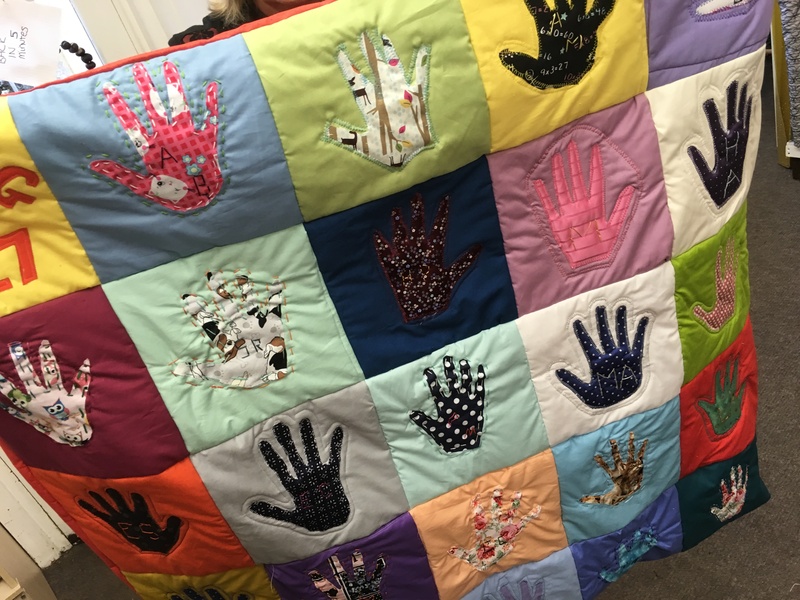 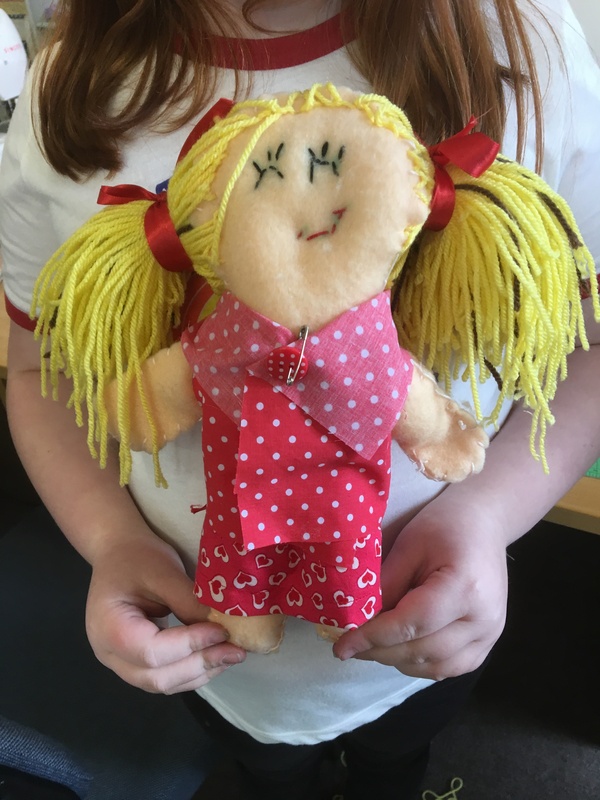 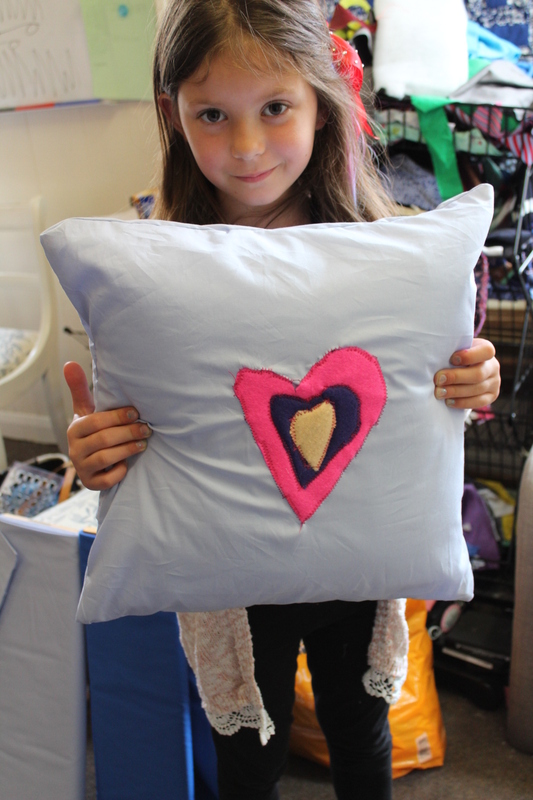 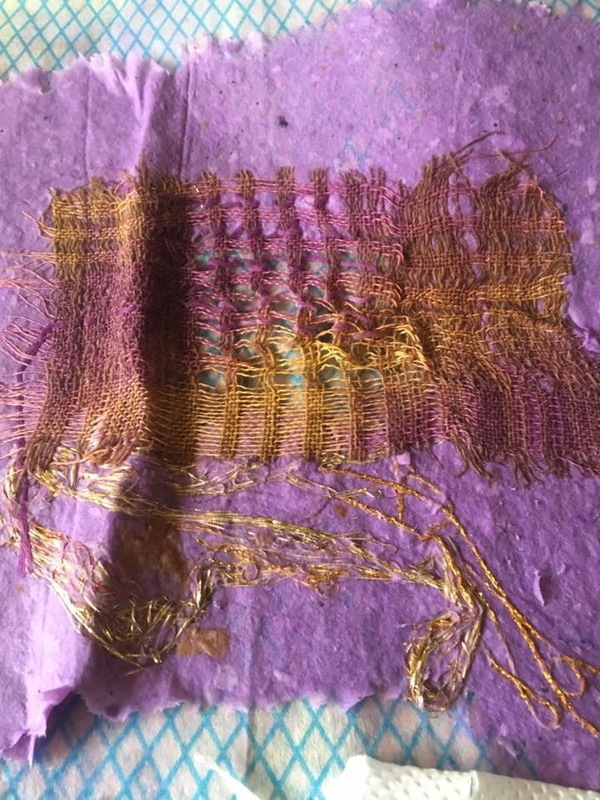 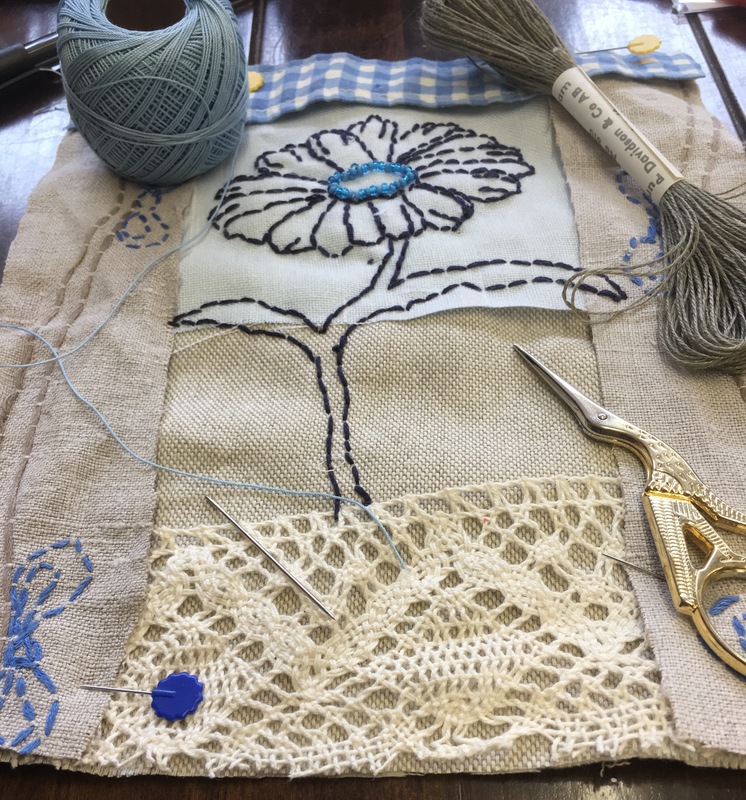 Then on to the gifts…..
My older group have been mastering the skill of free motion embroidery. 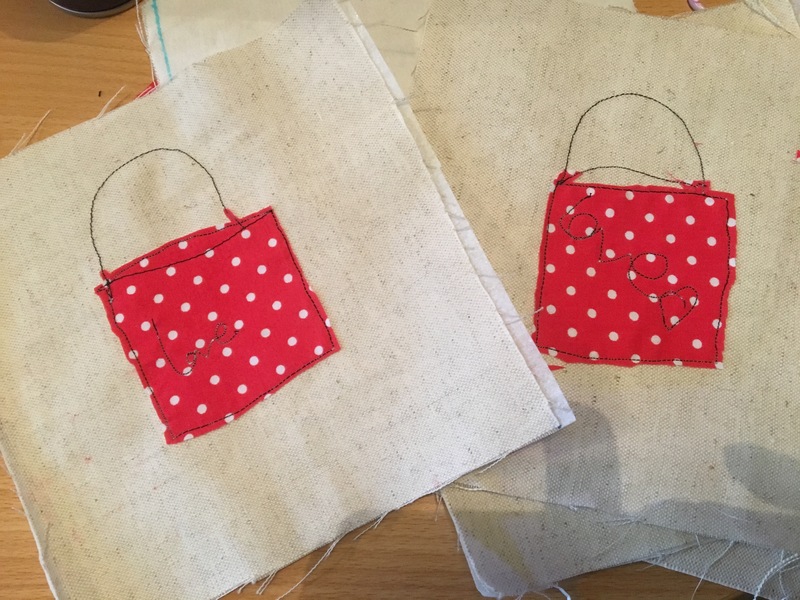 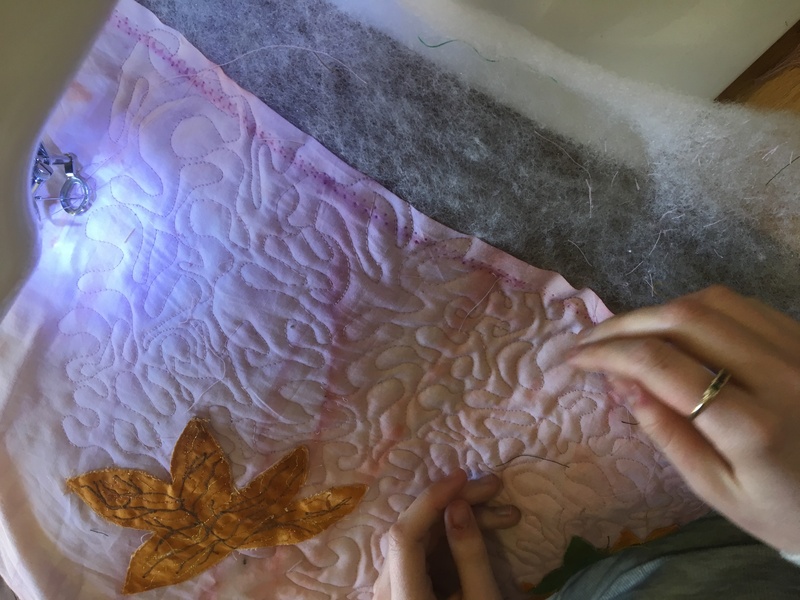 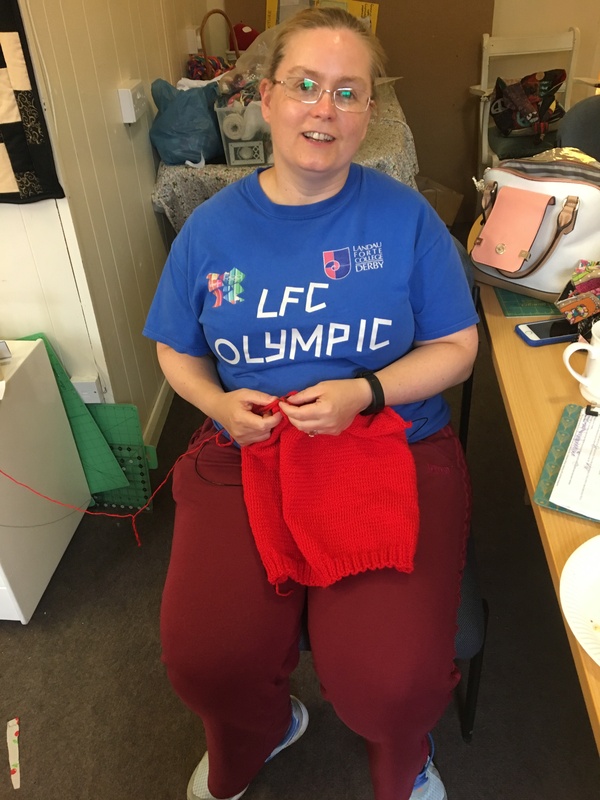 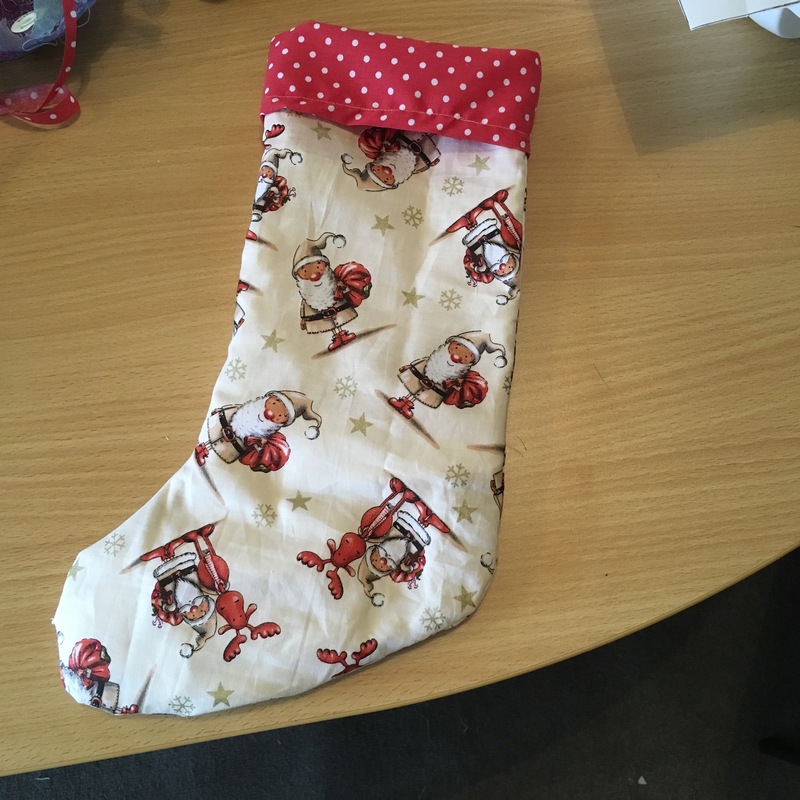 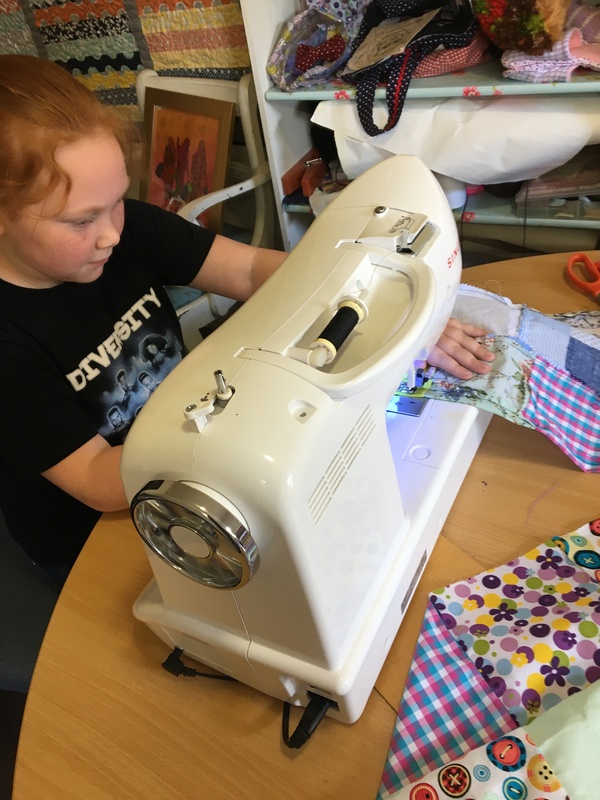 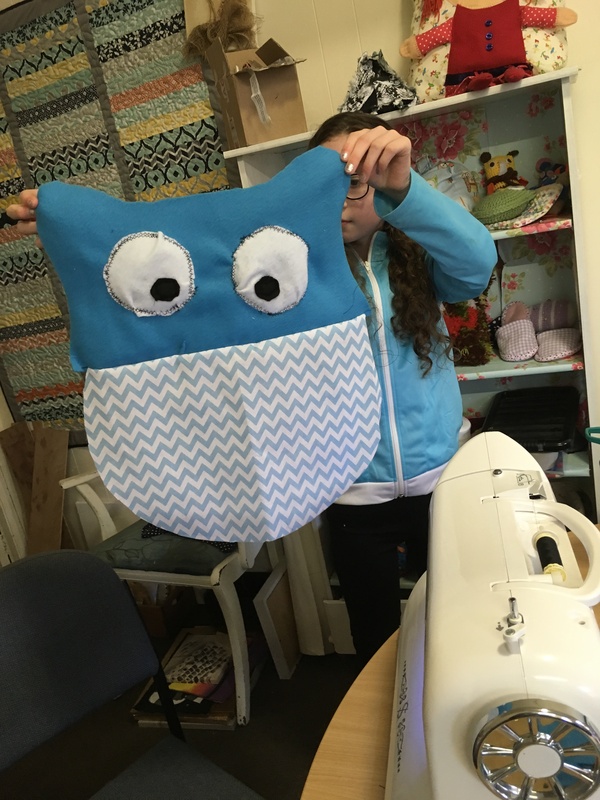 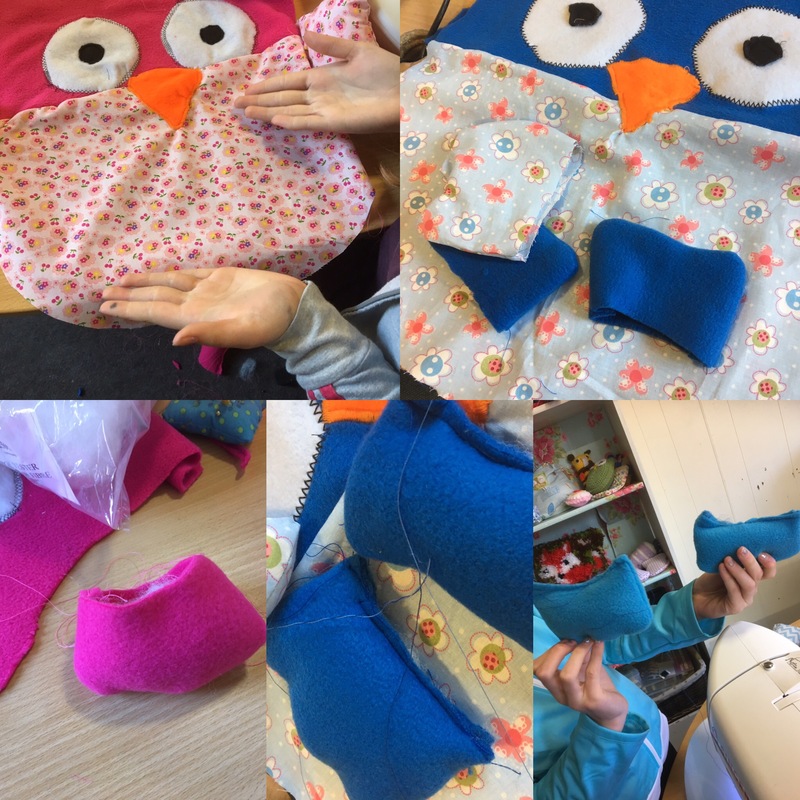 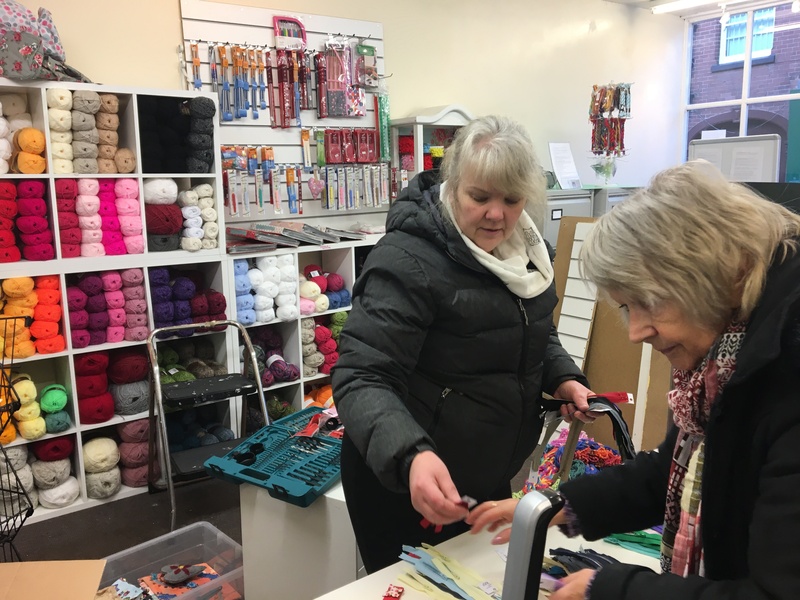 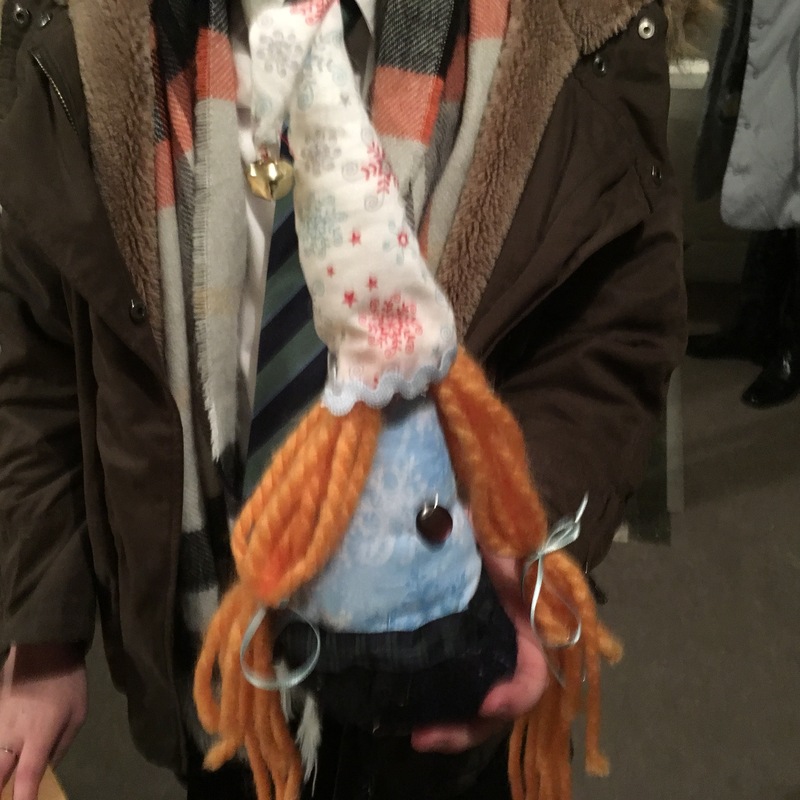 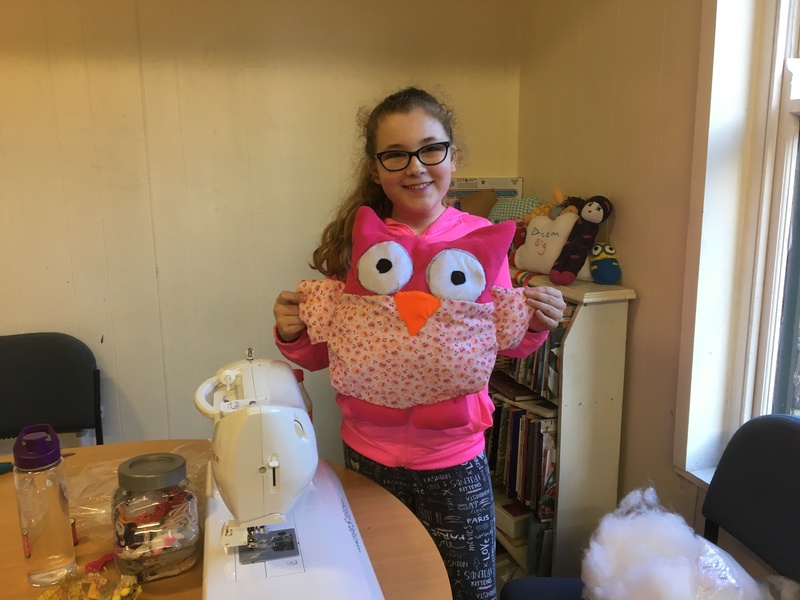 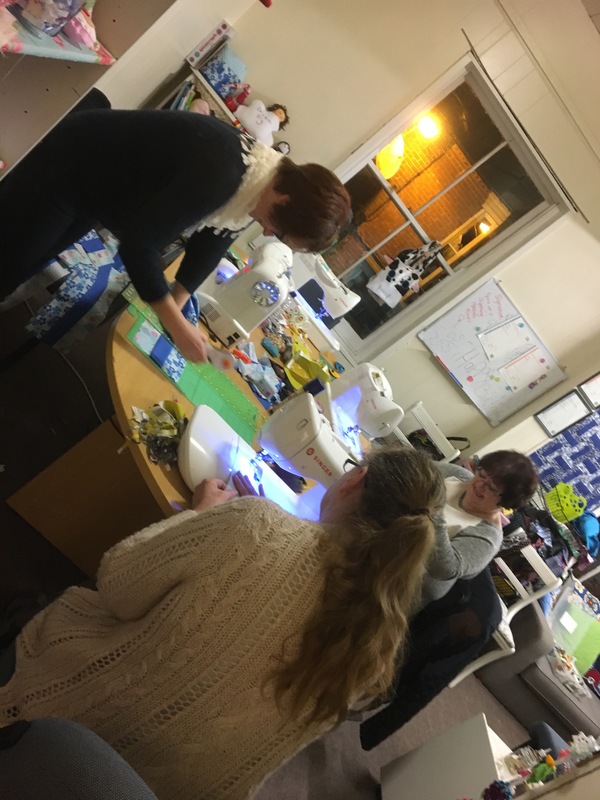 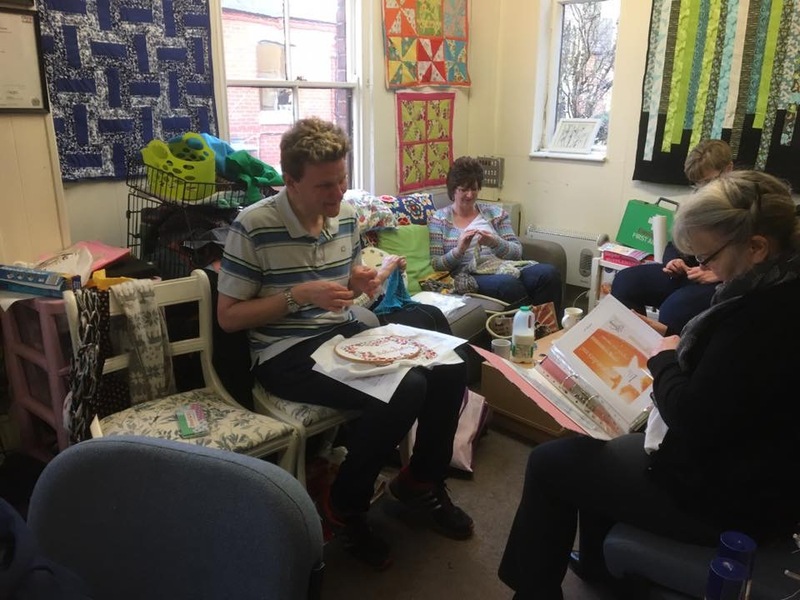 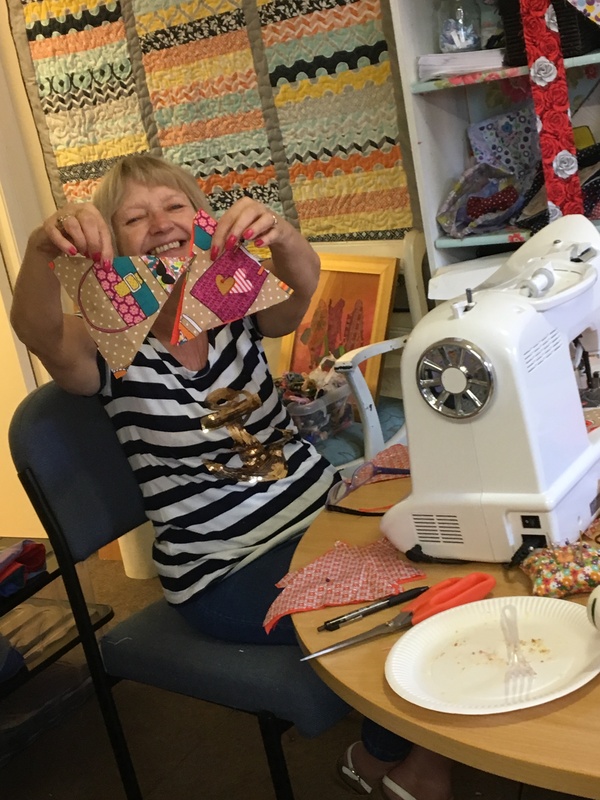 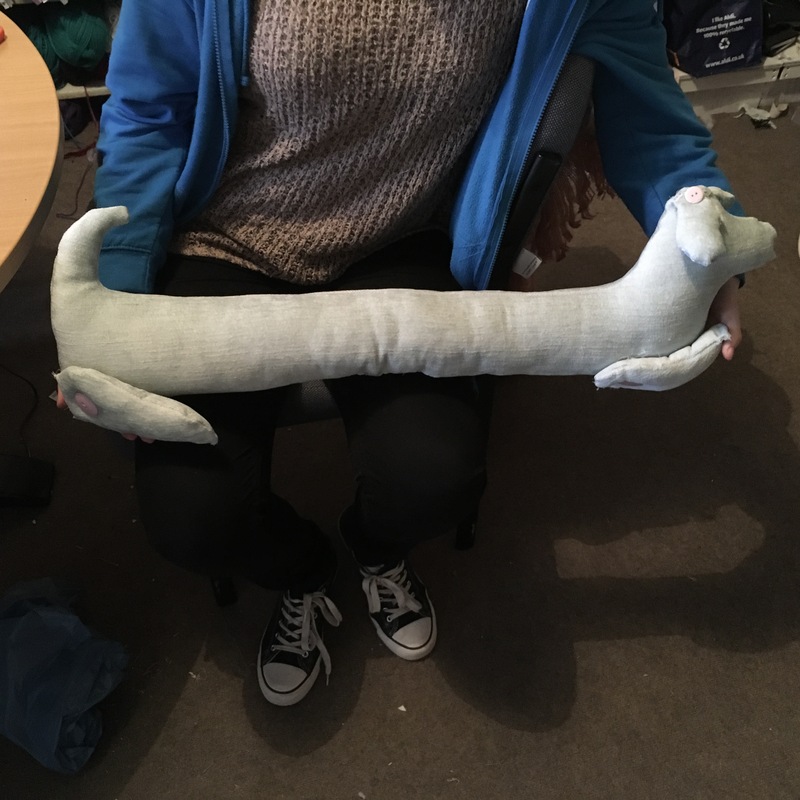 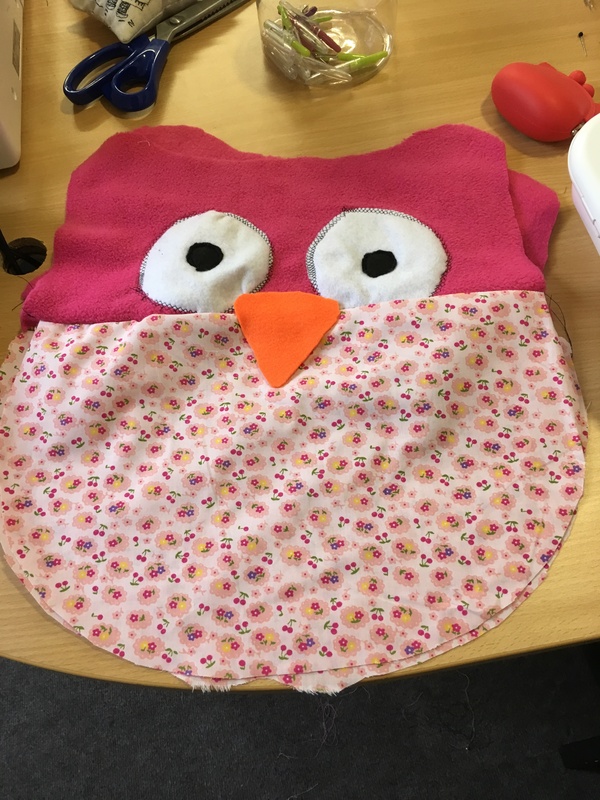 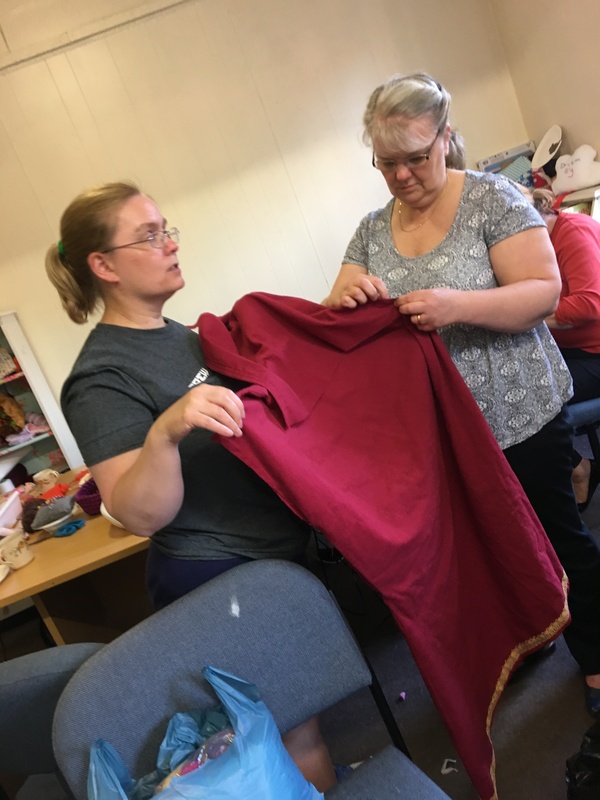 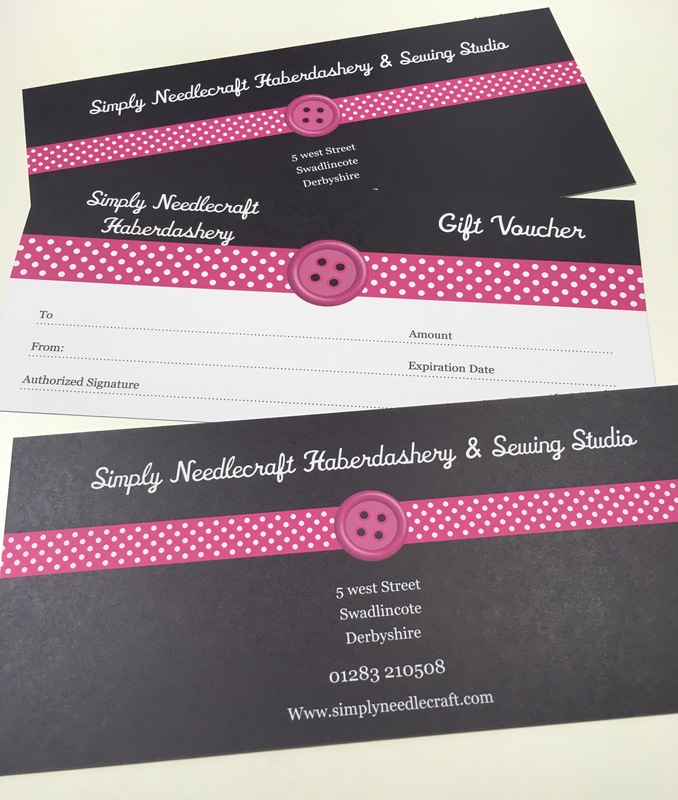 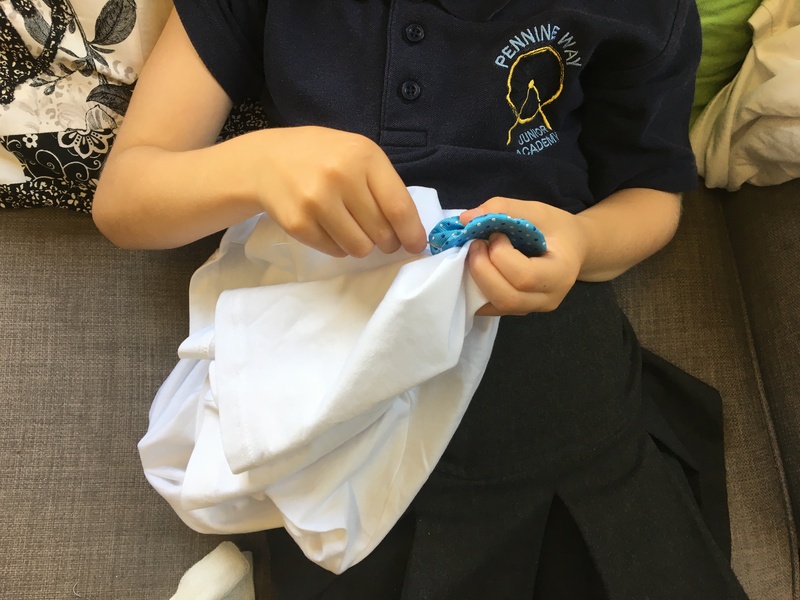 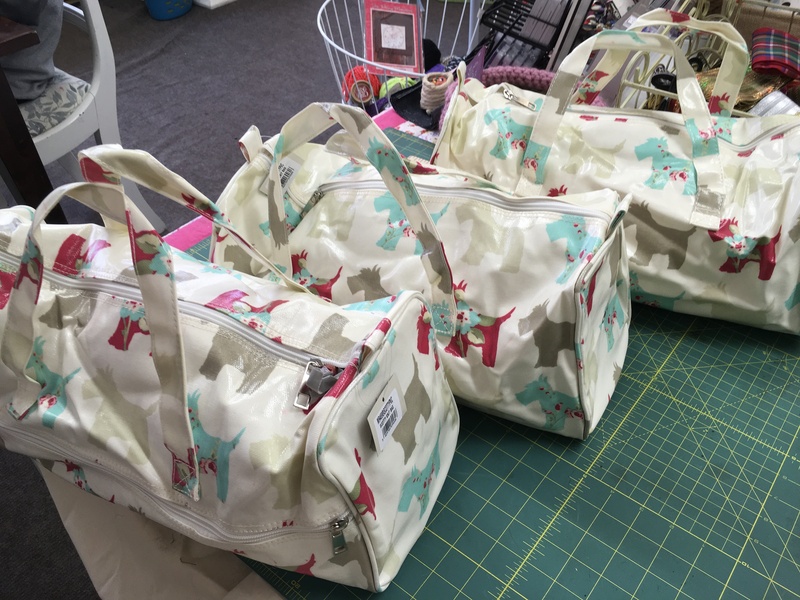 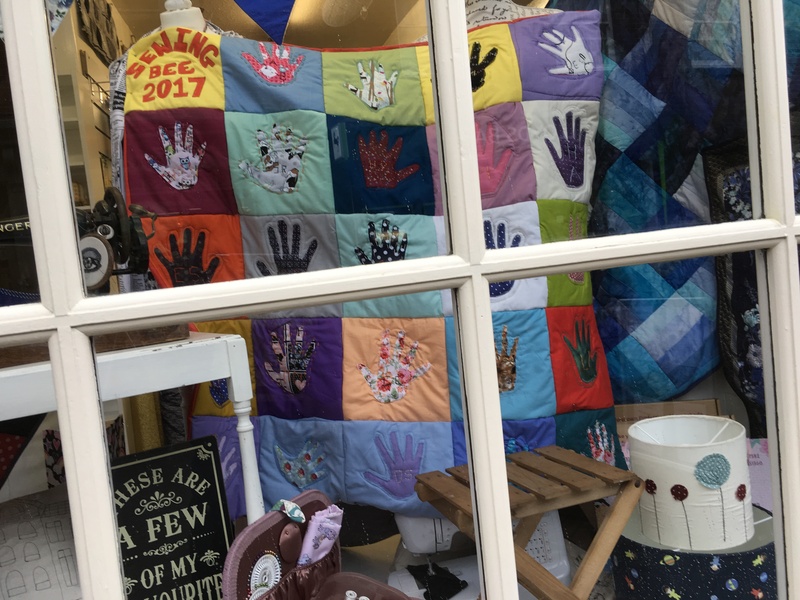 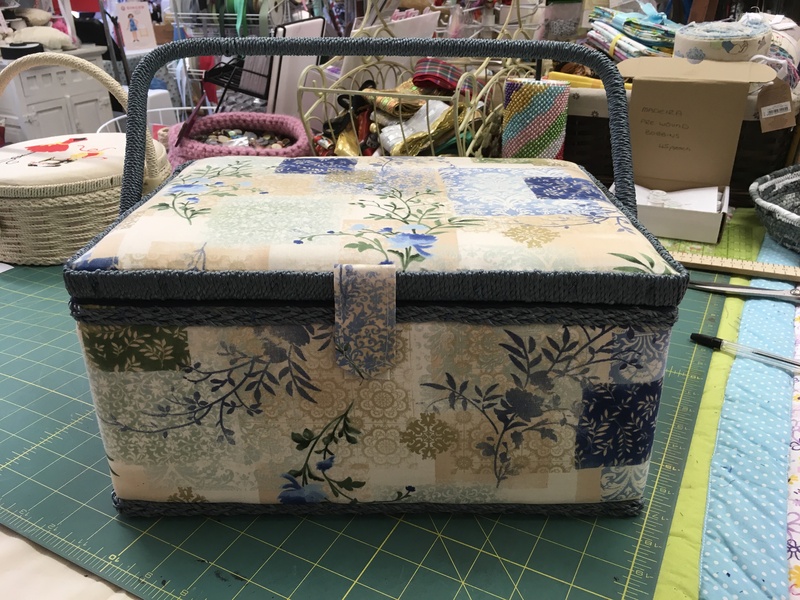 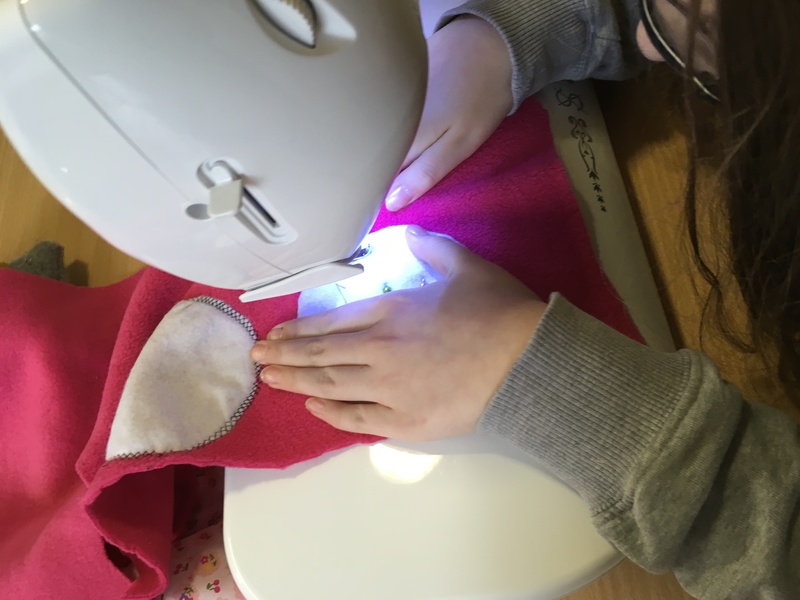 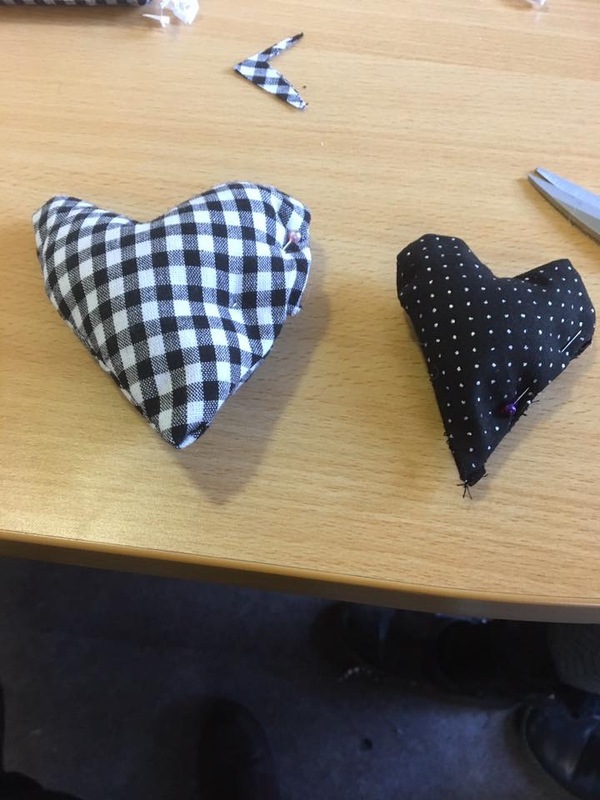 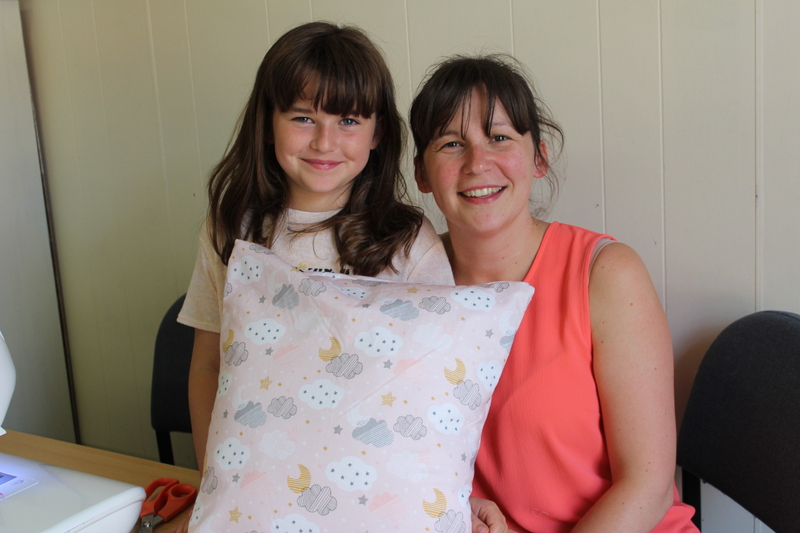 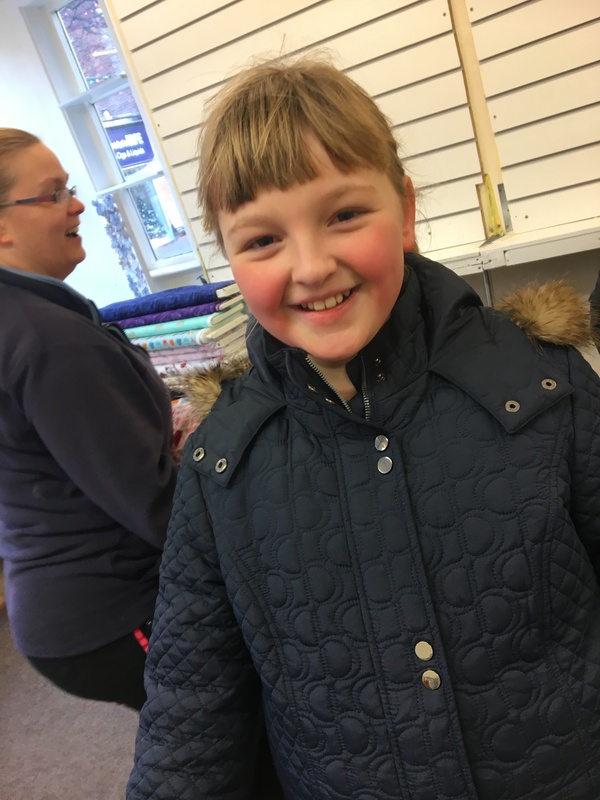 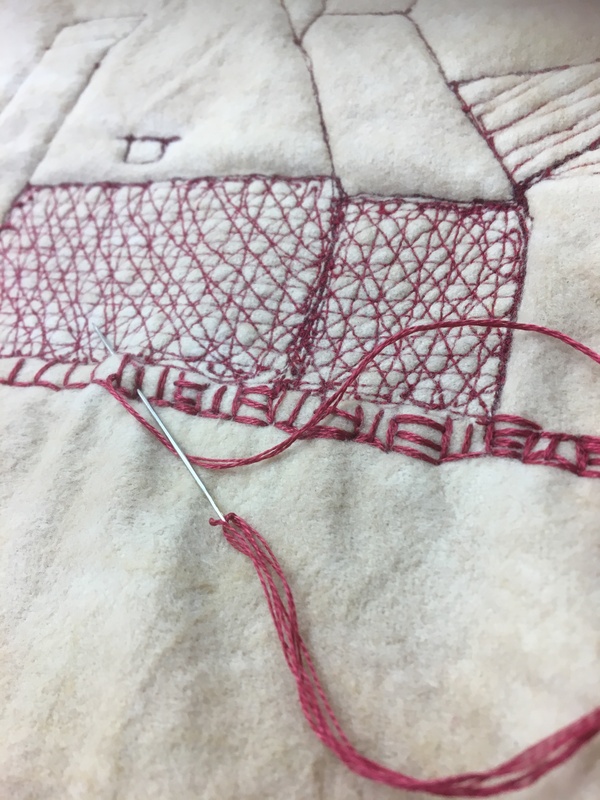 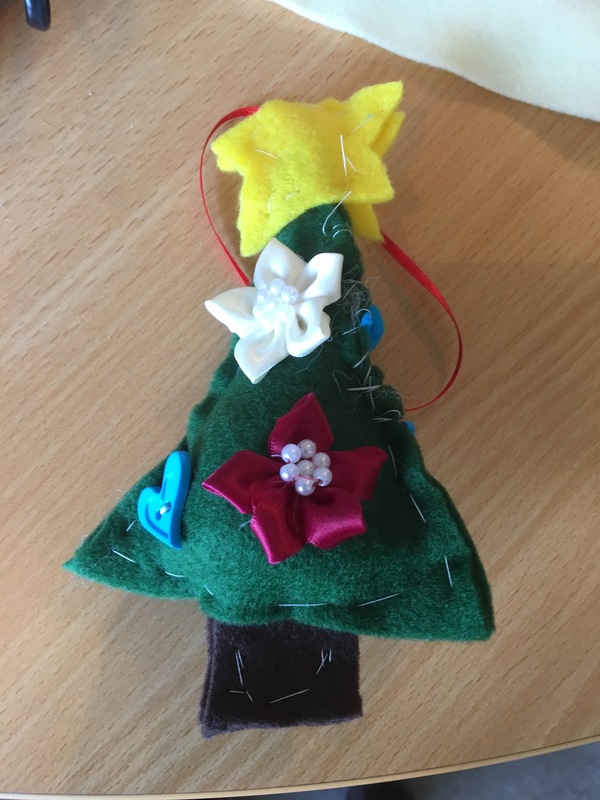 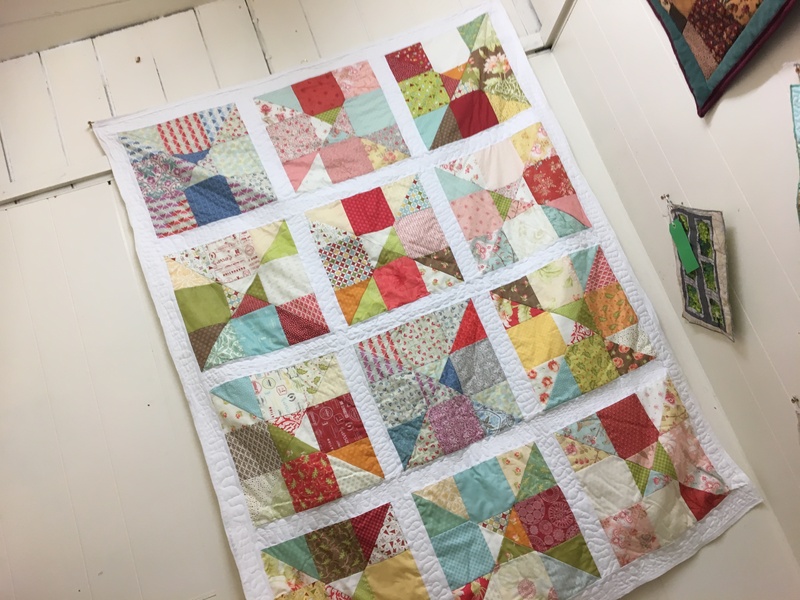 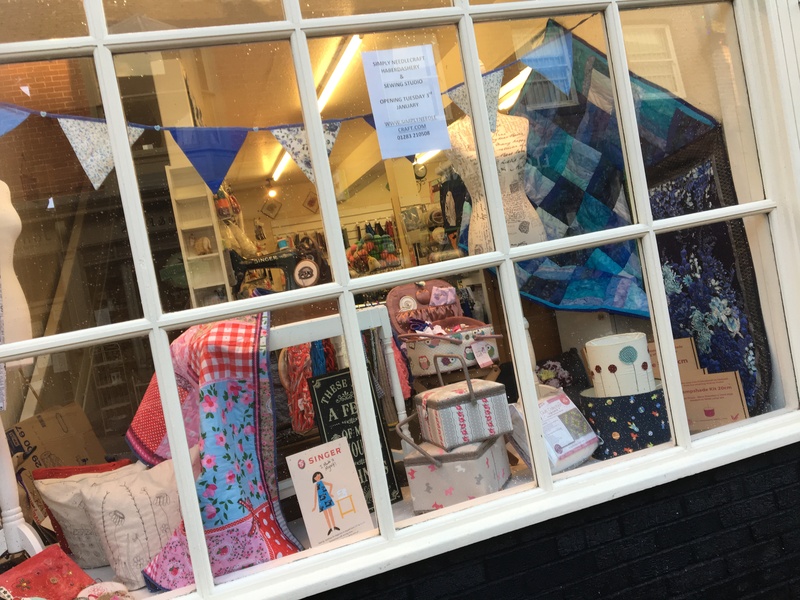 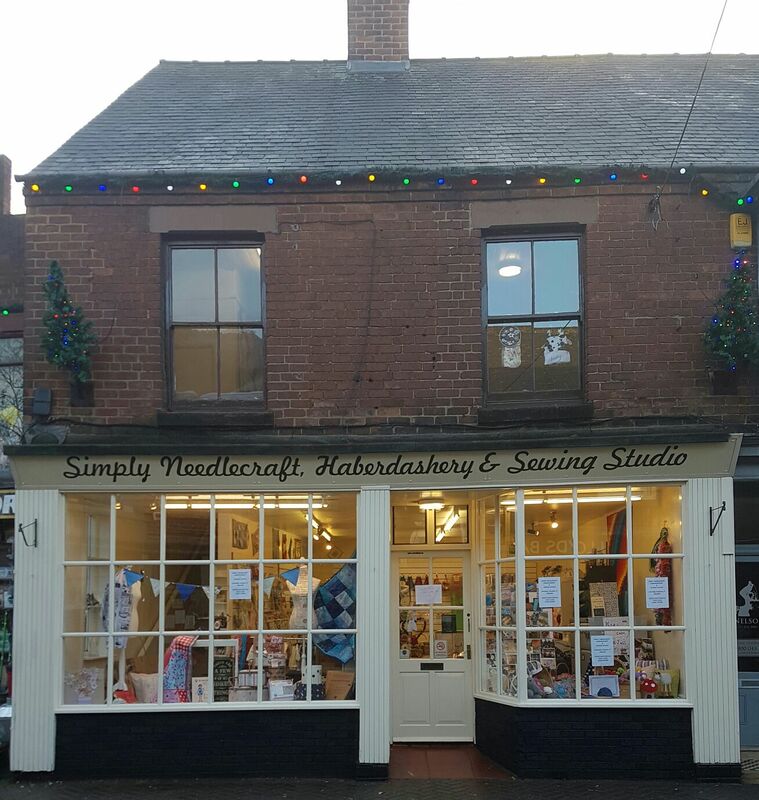 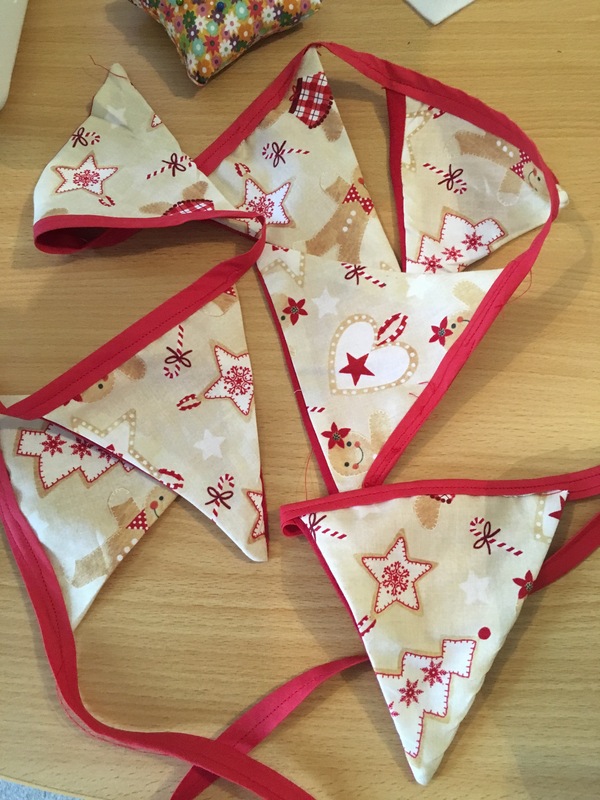 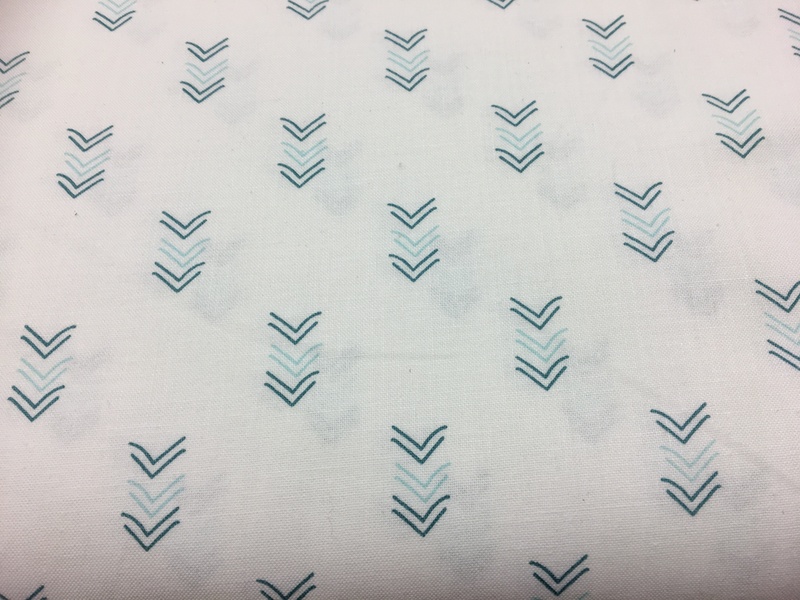 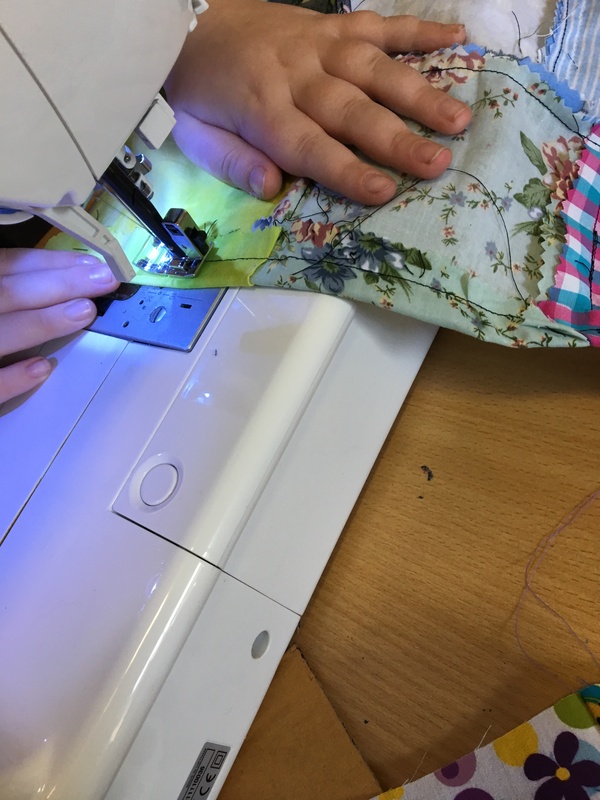 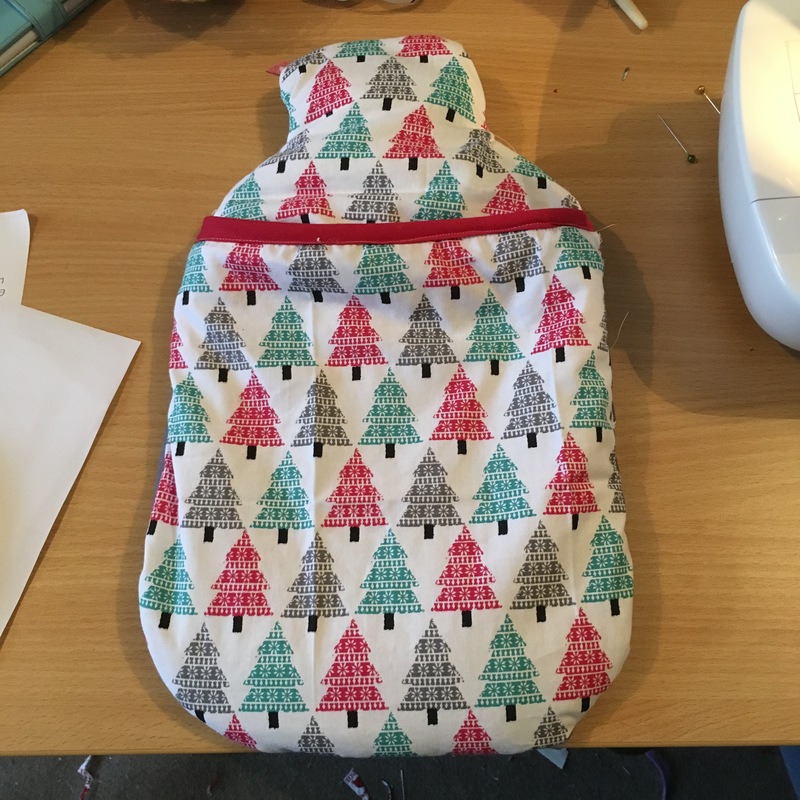 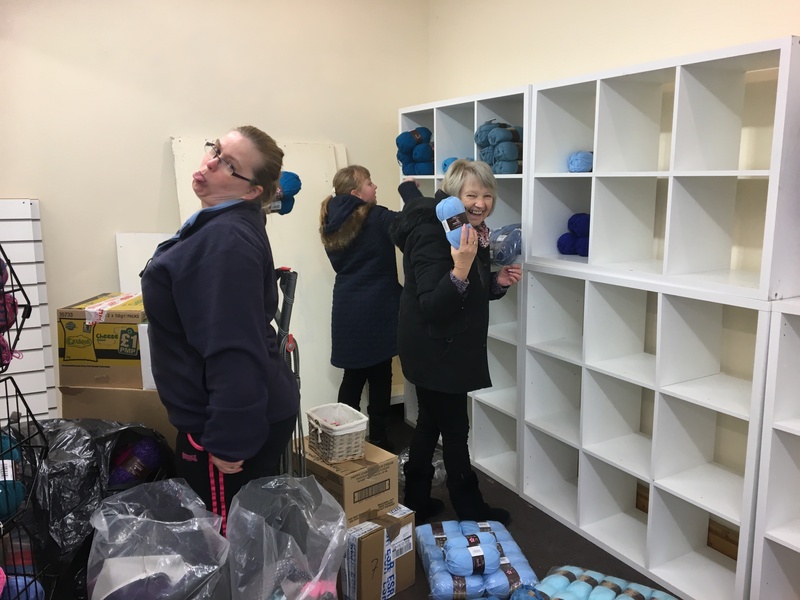 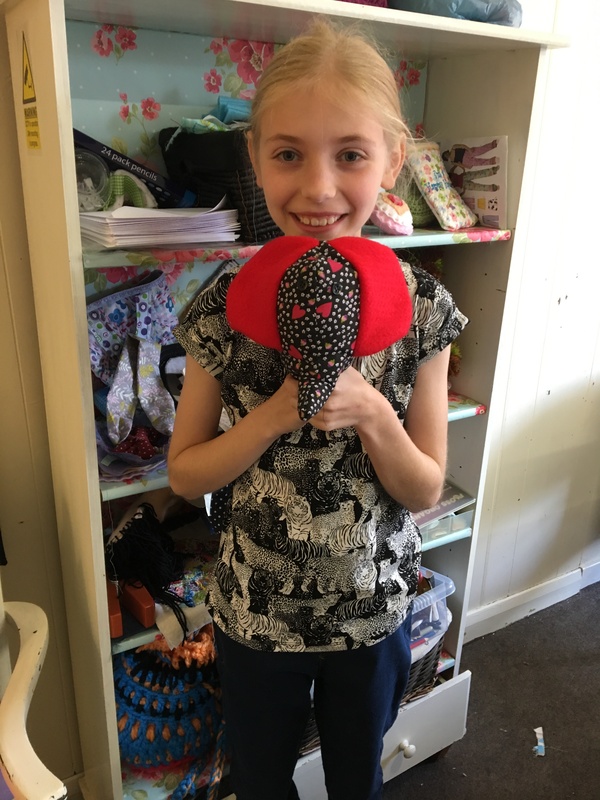 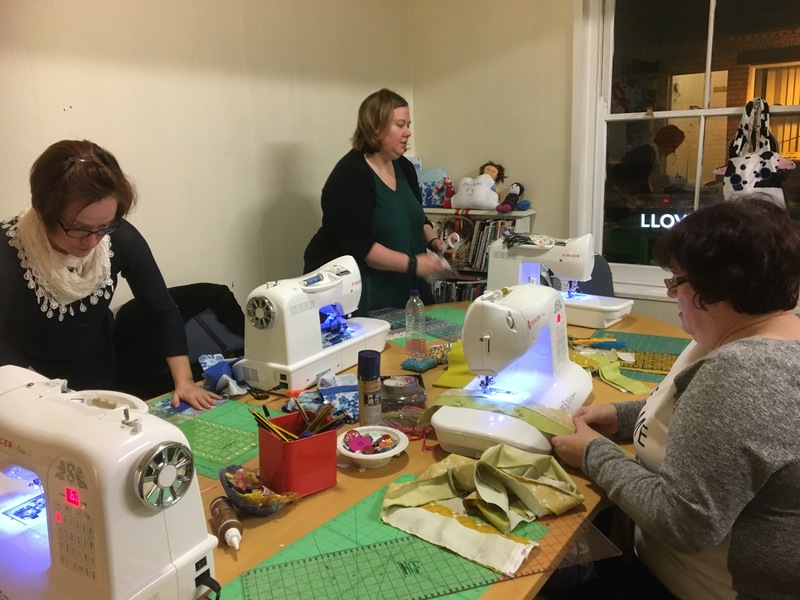 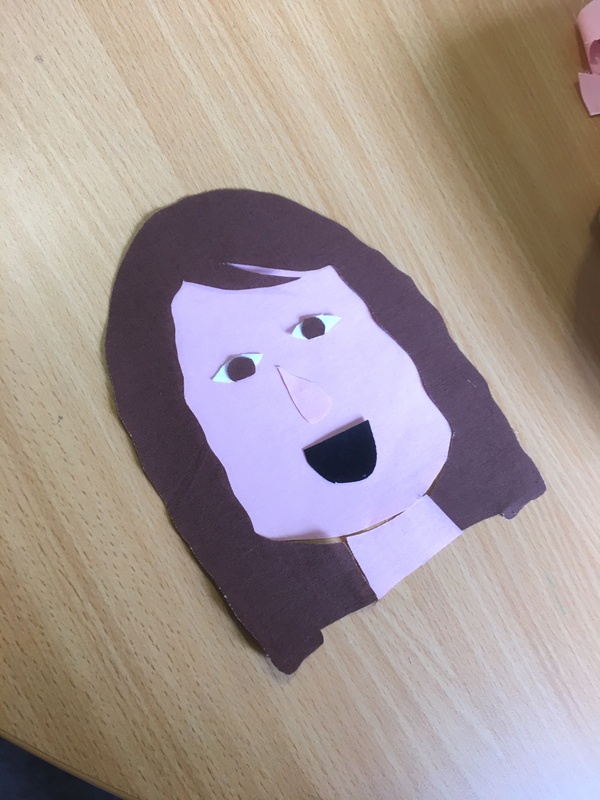 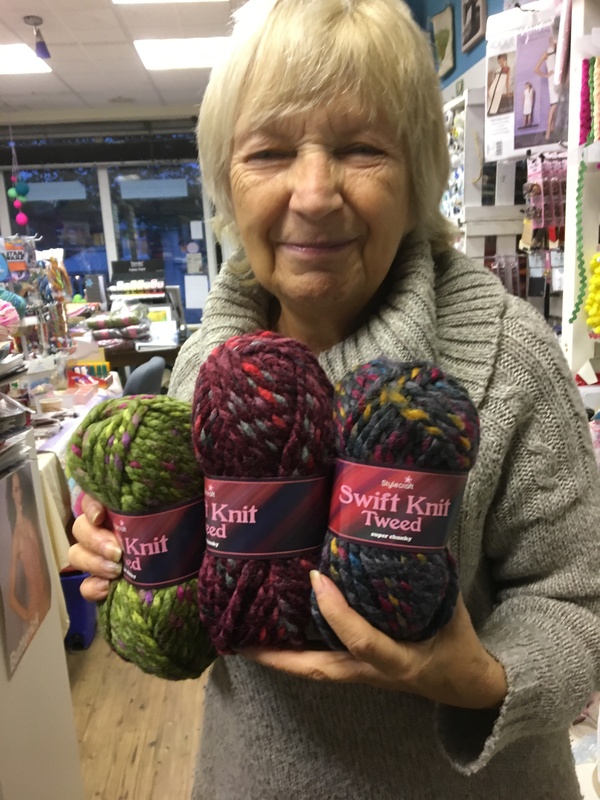 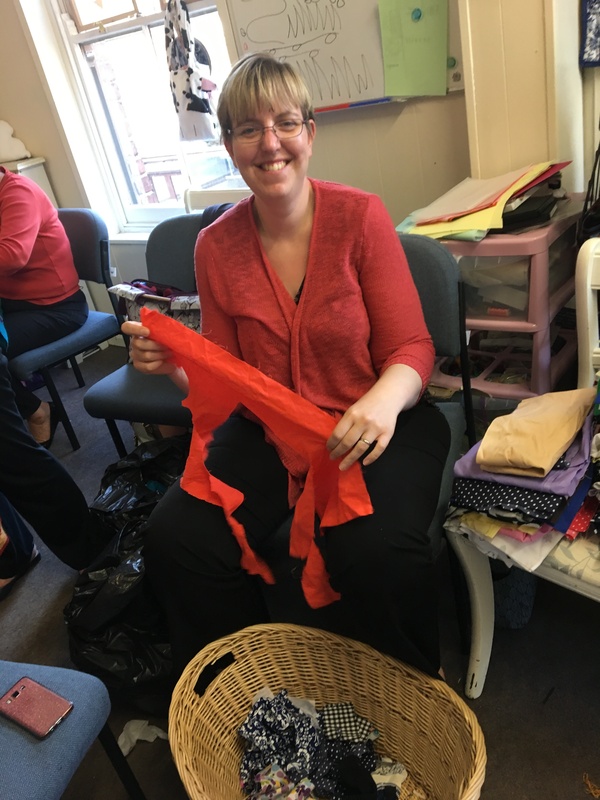 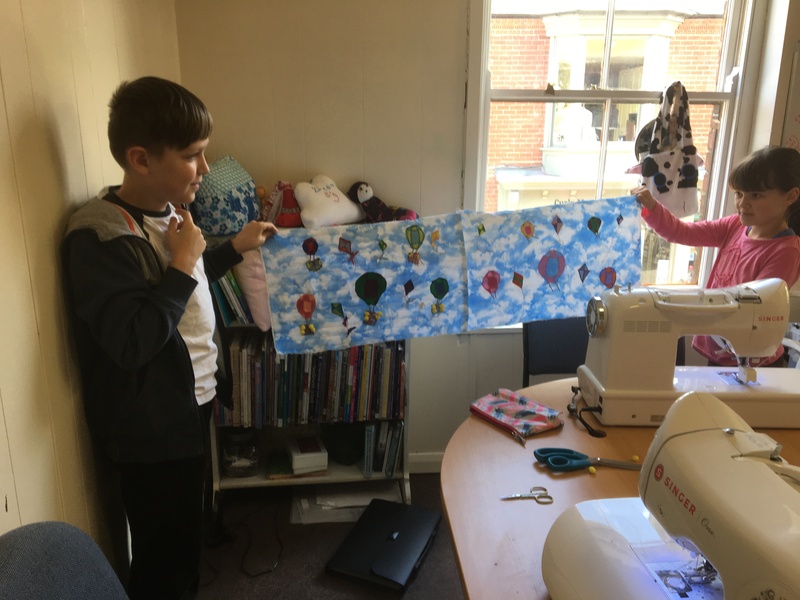 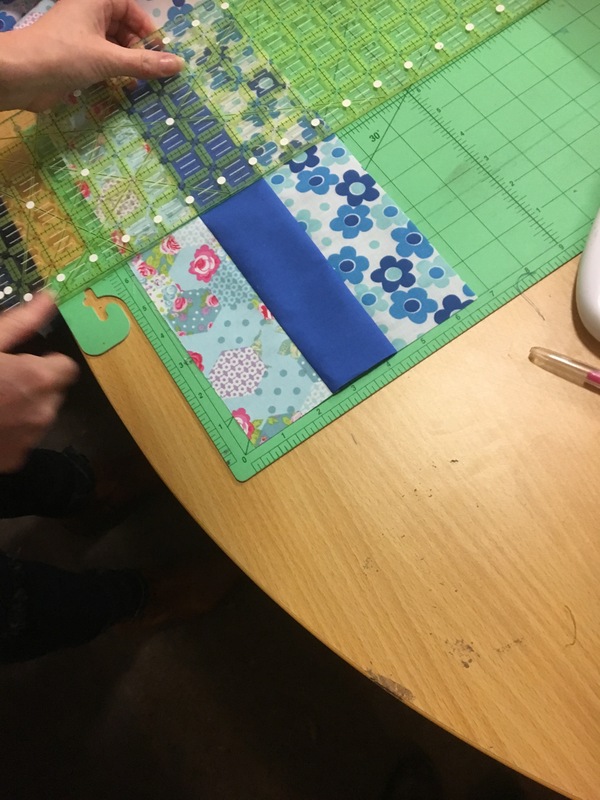 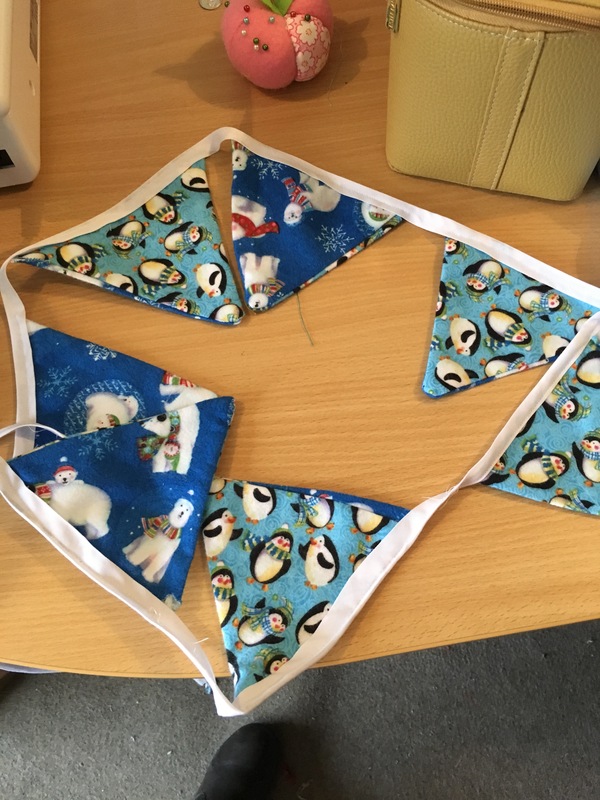 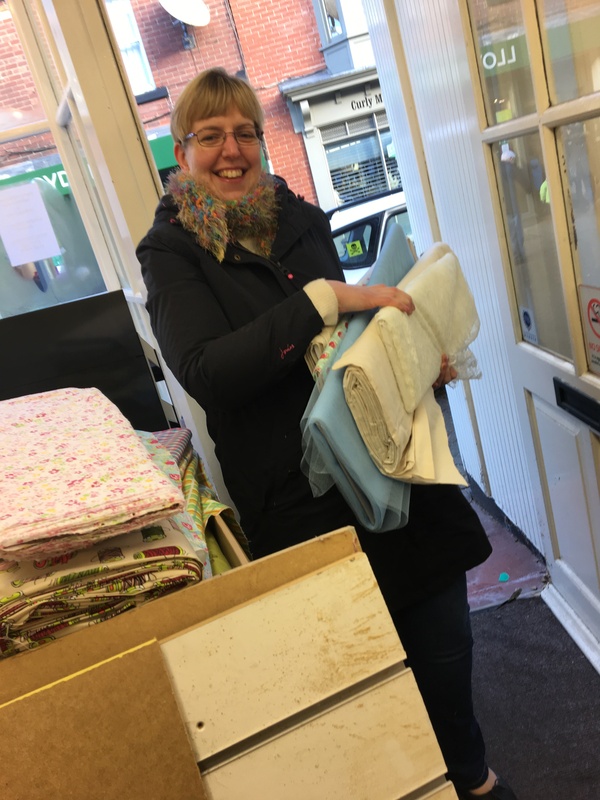 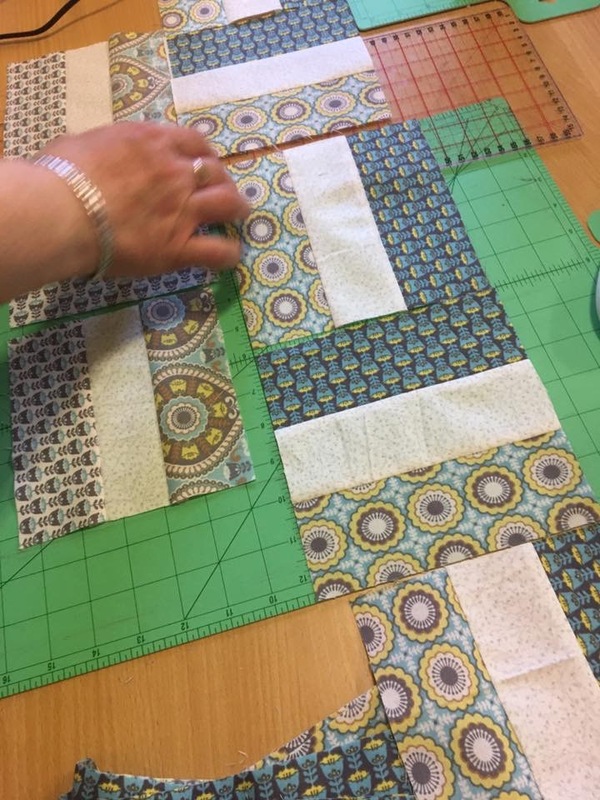 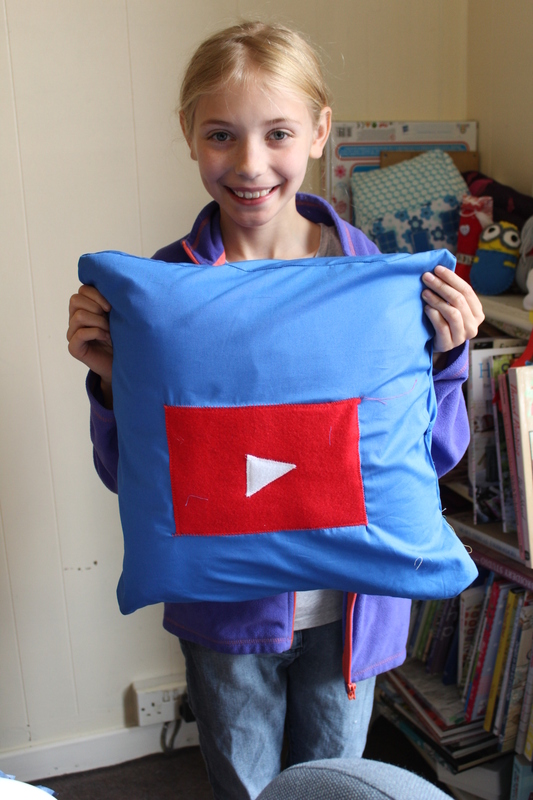 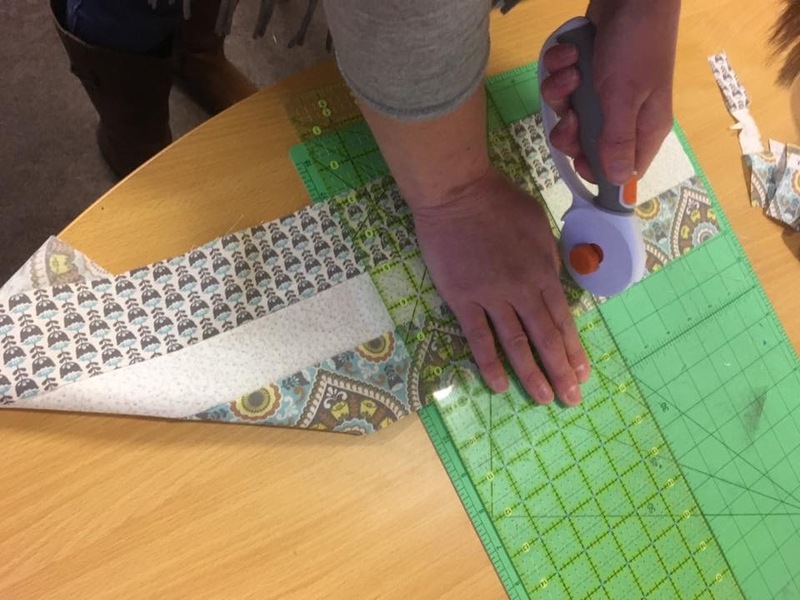 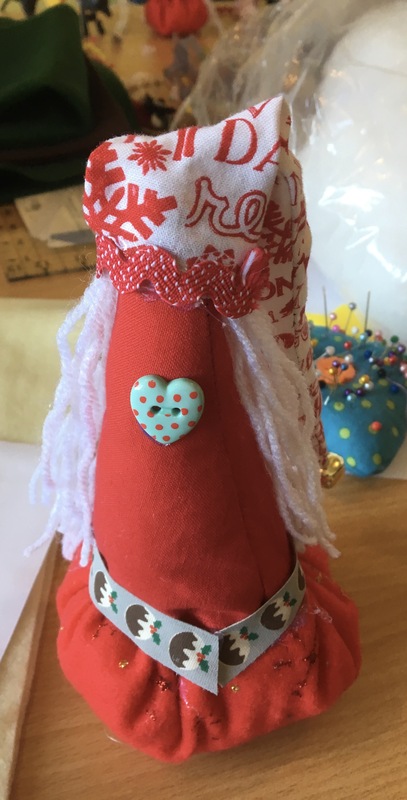 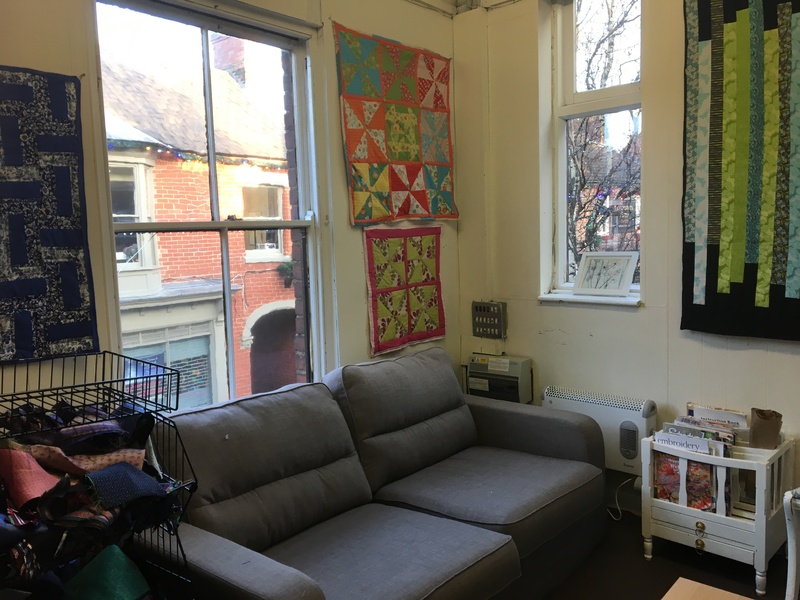 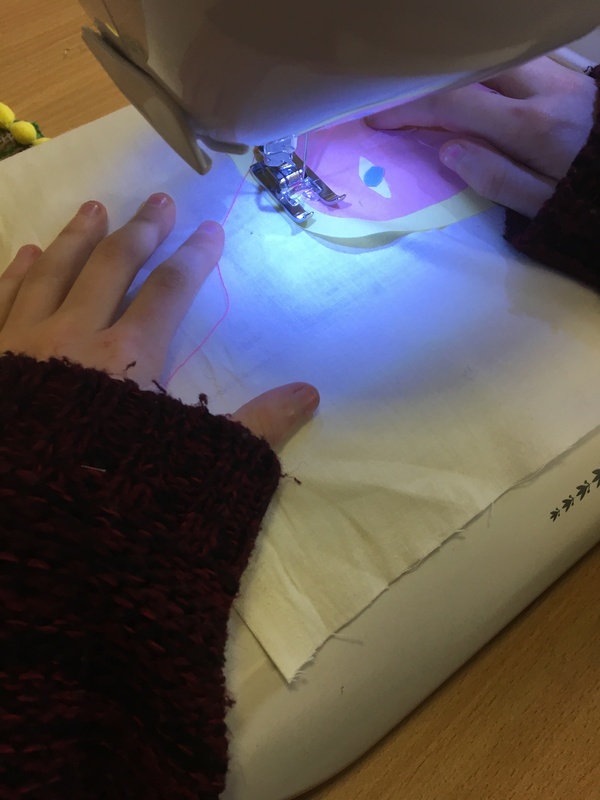 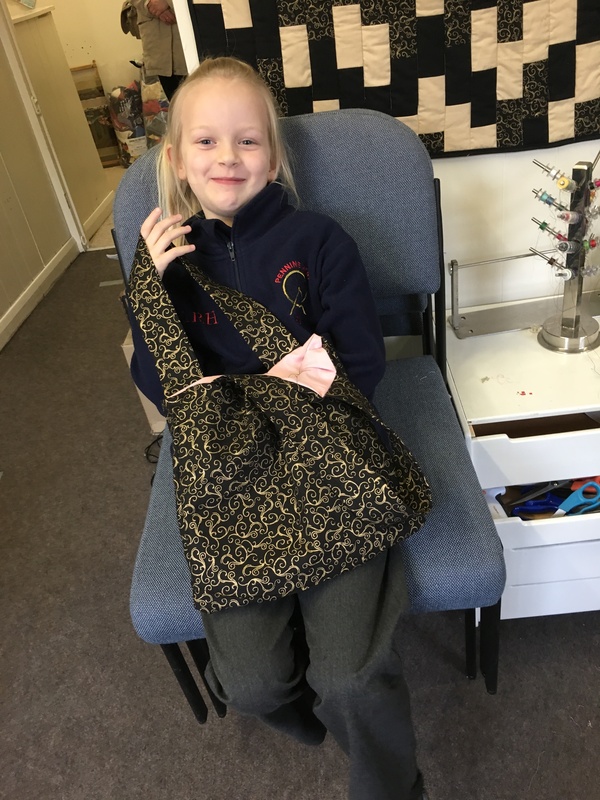 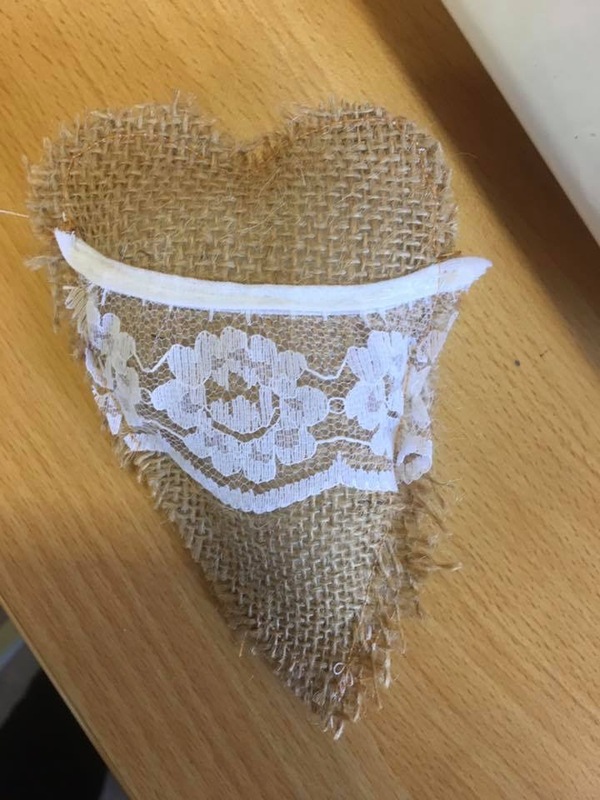 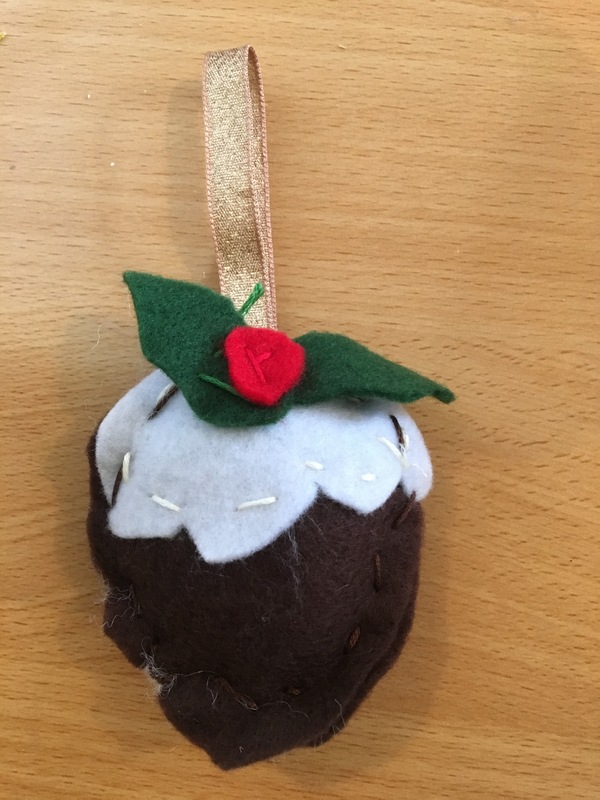 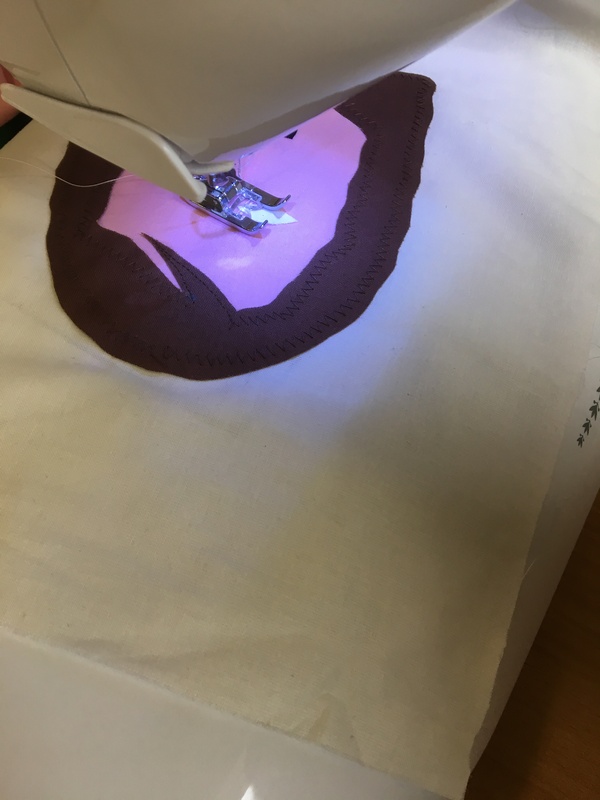 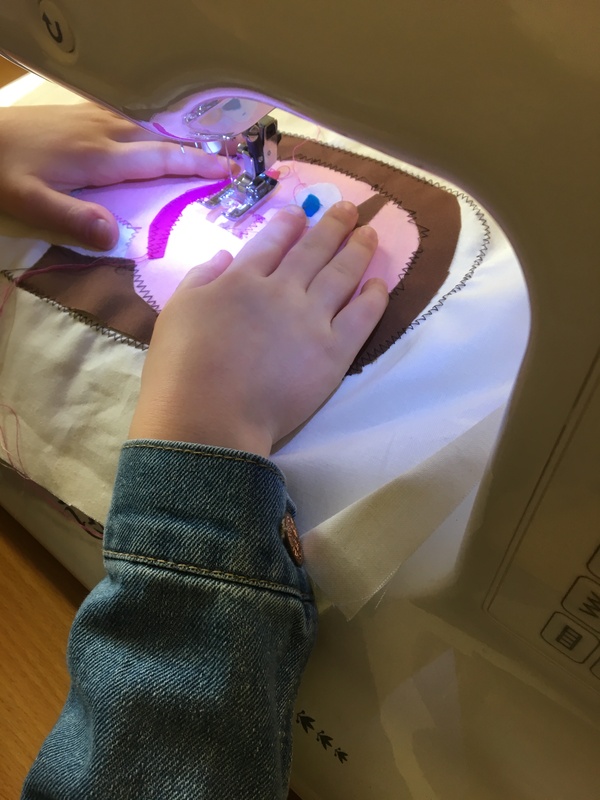 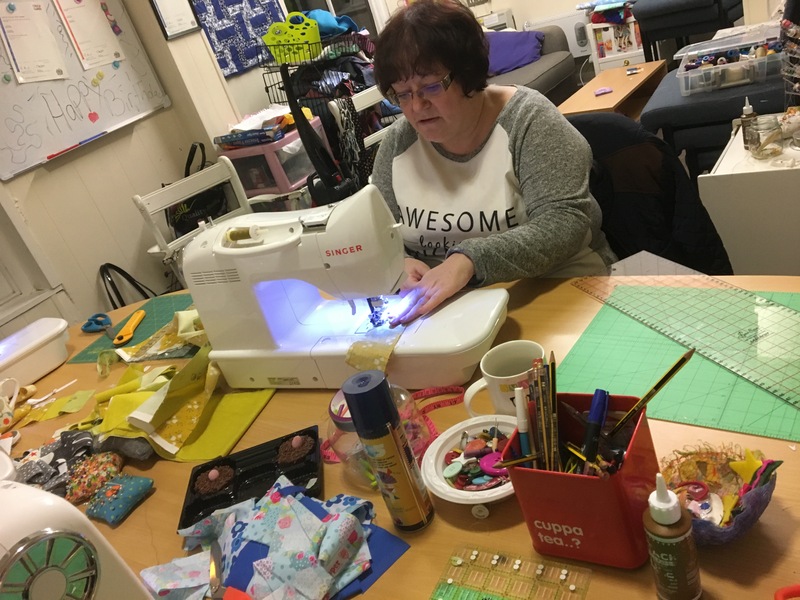 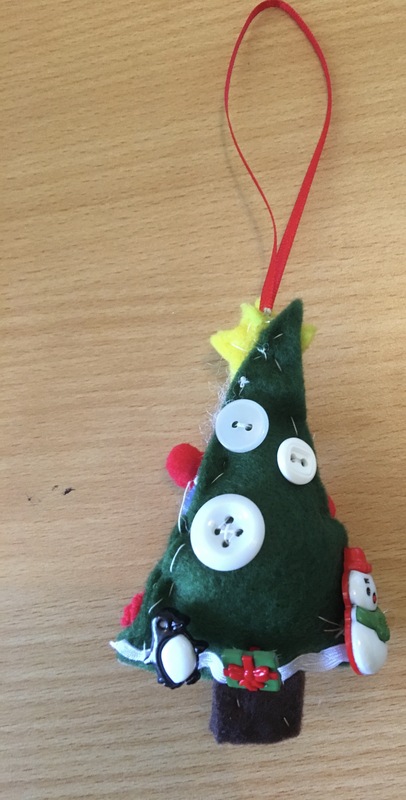 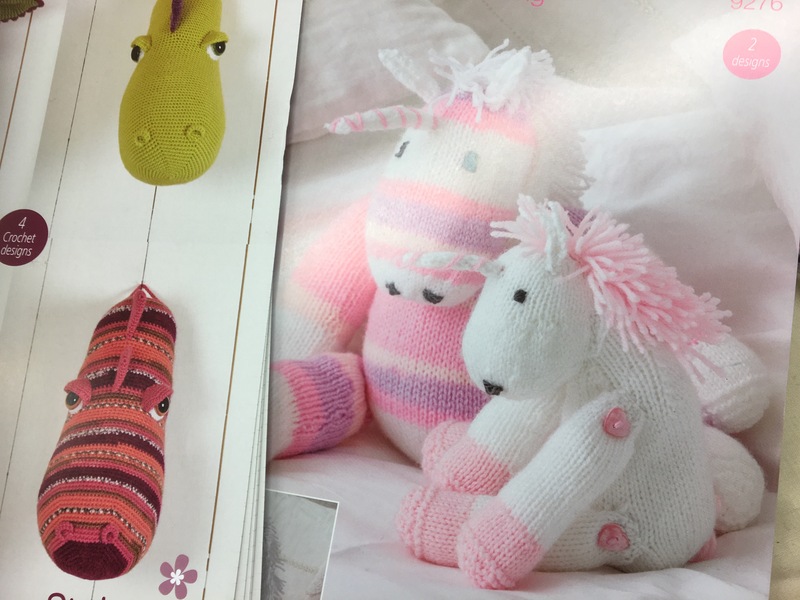 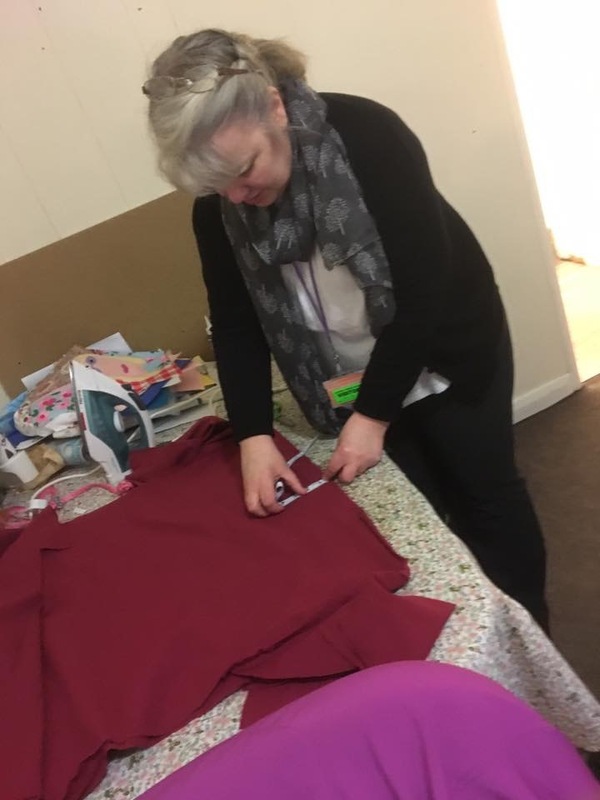 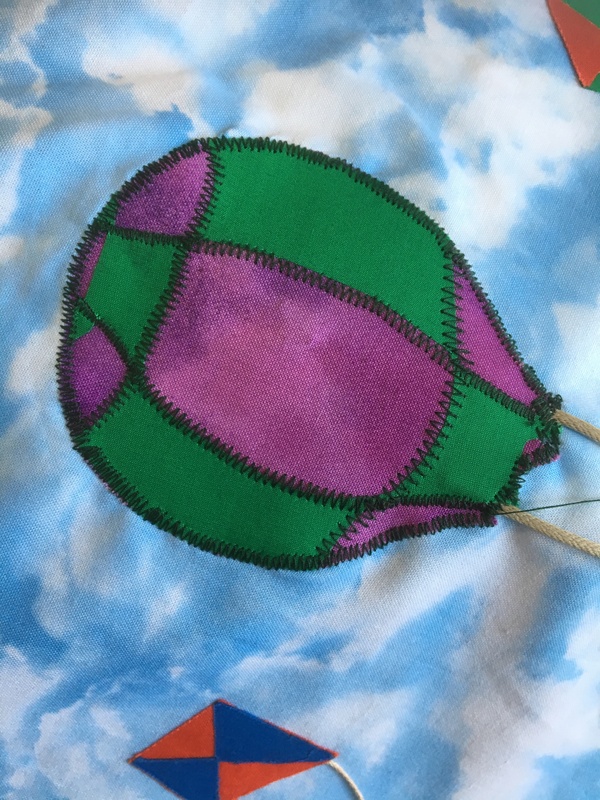 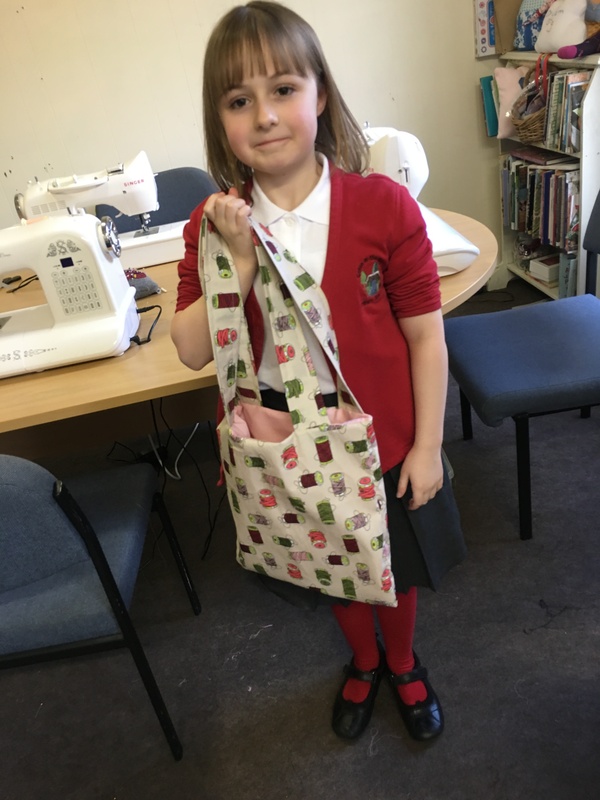 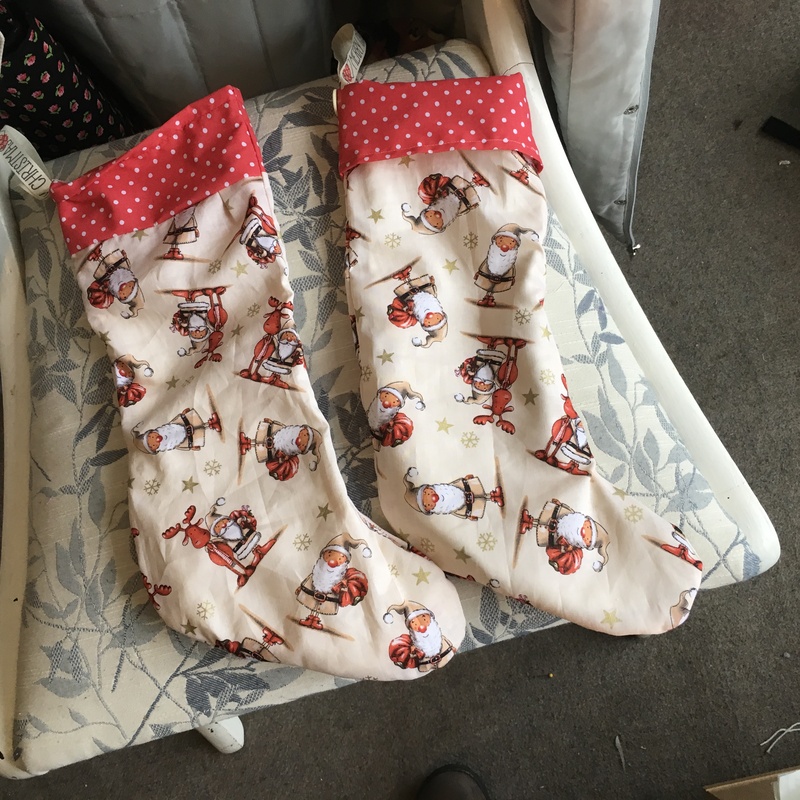 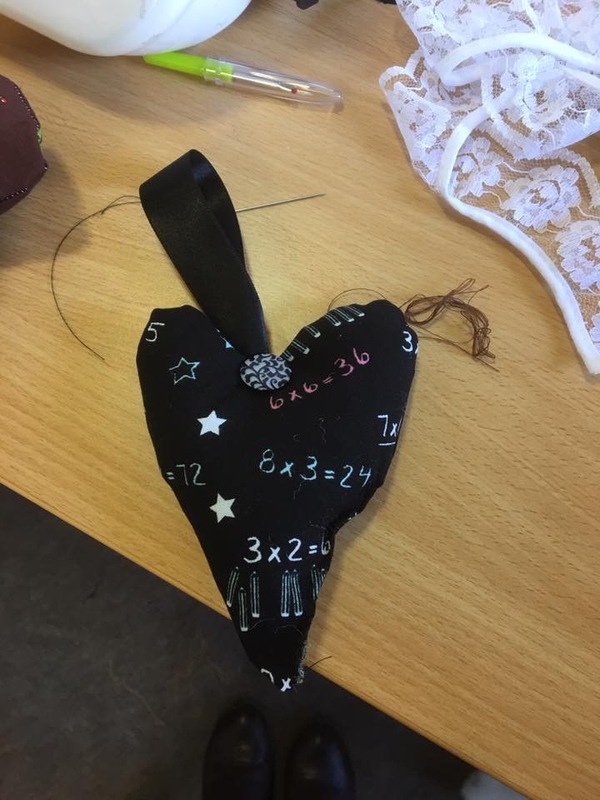 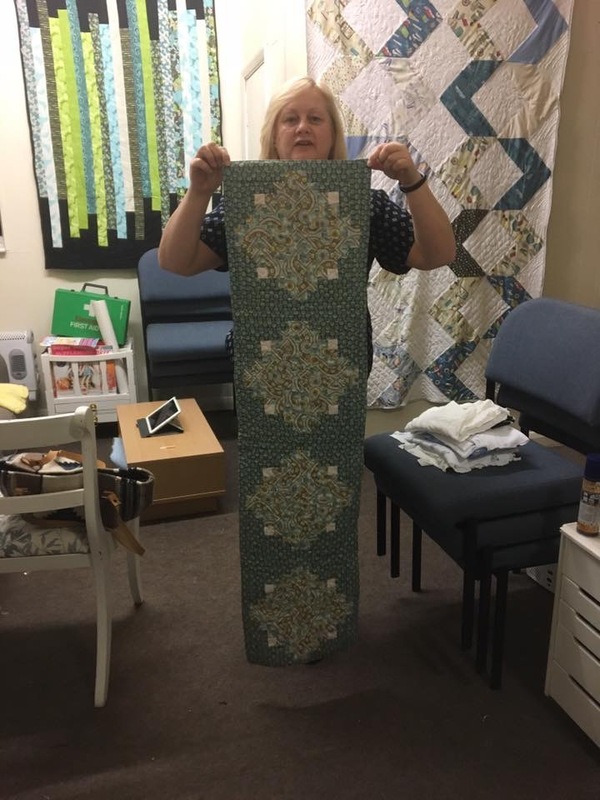 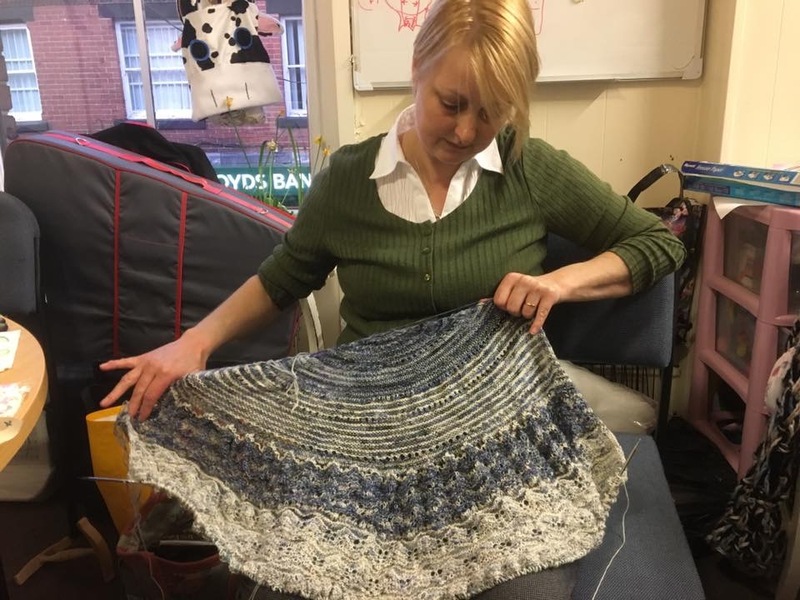 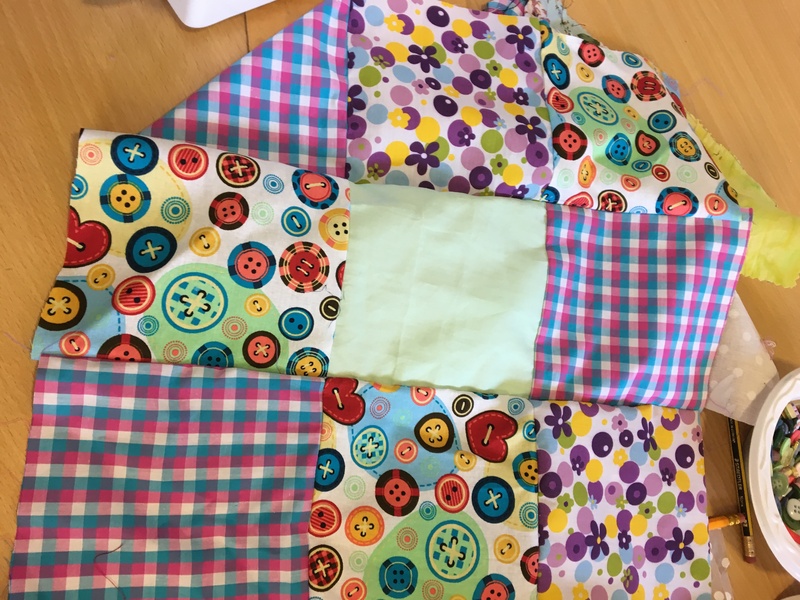 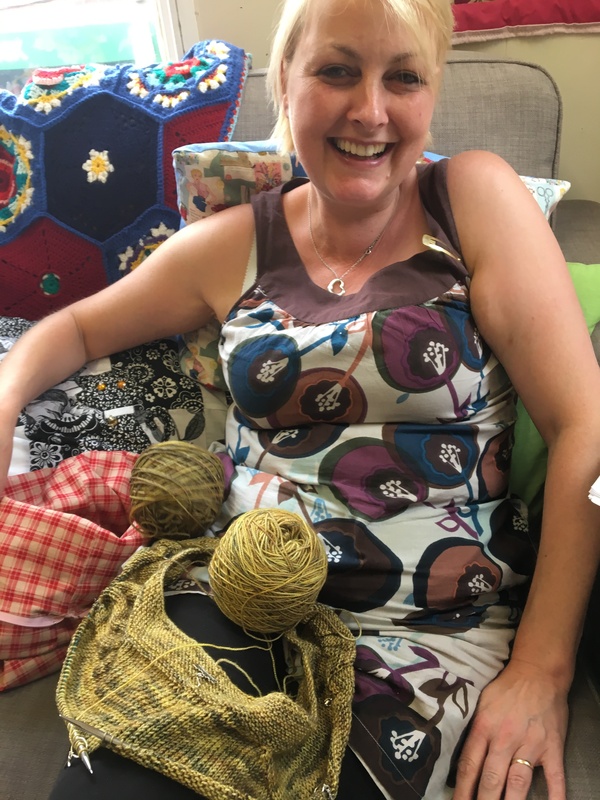 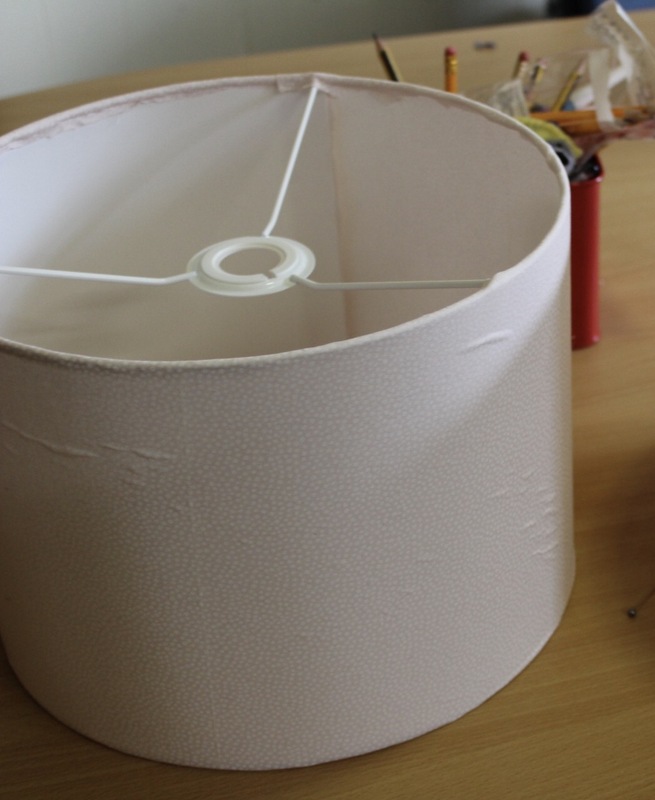 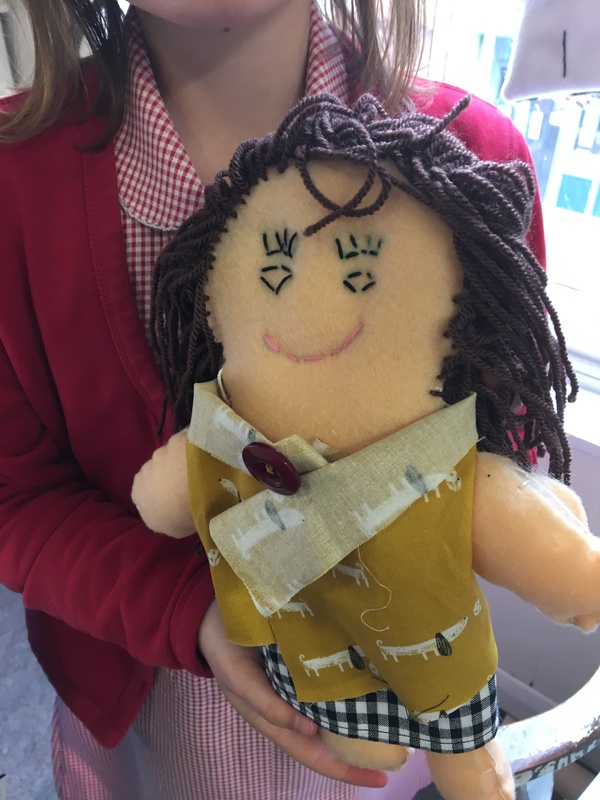 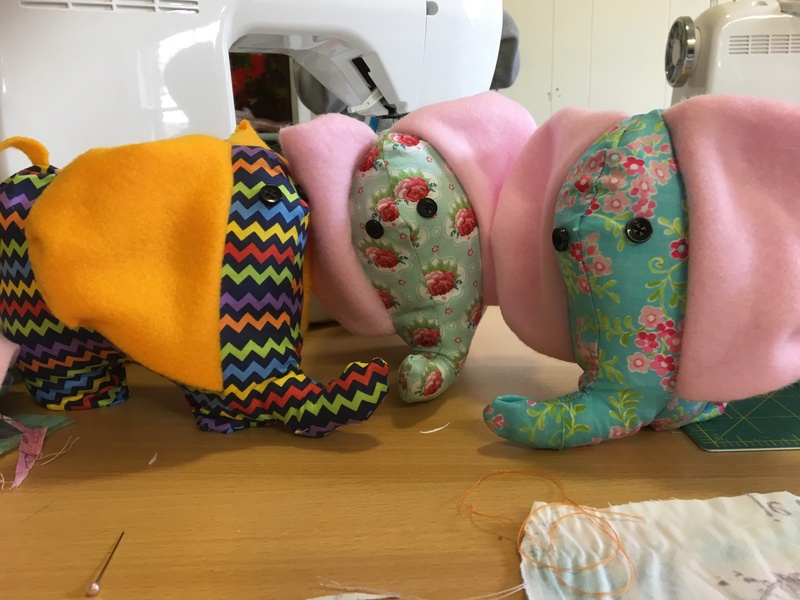 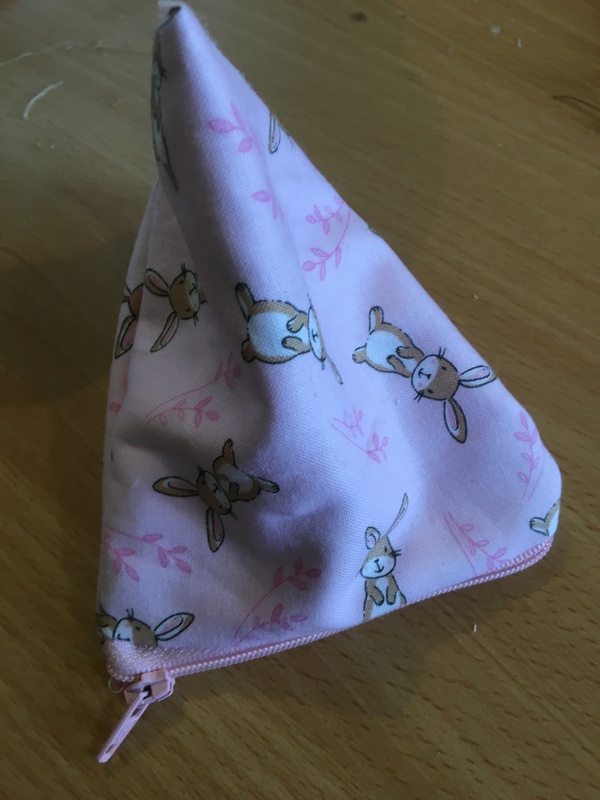 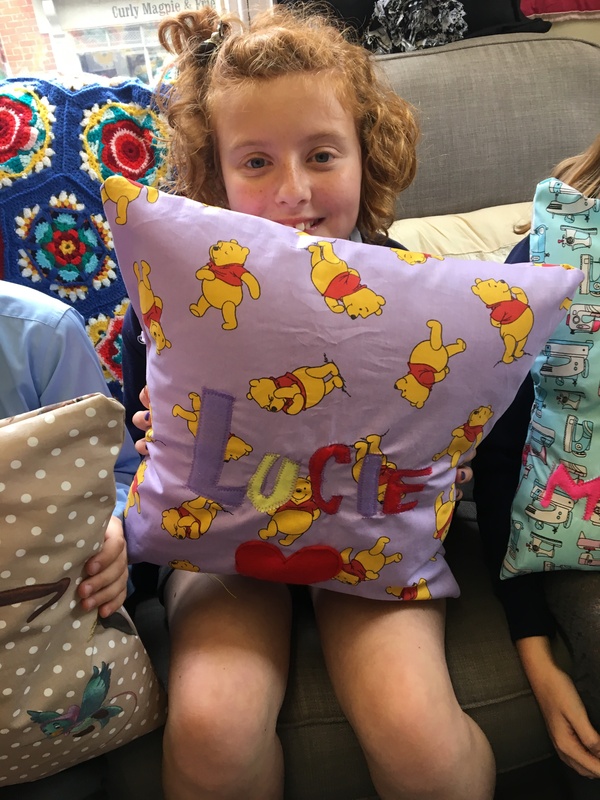 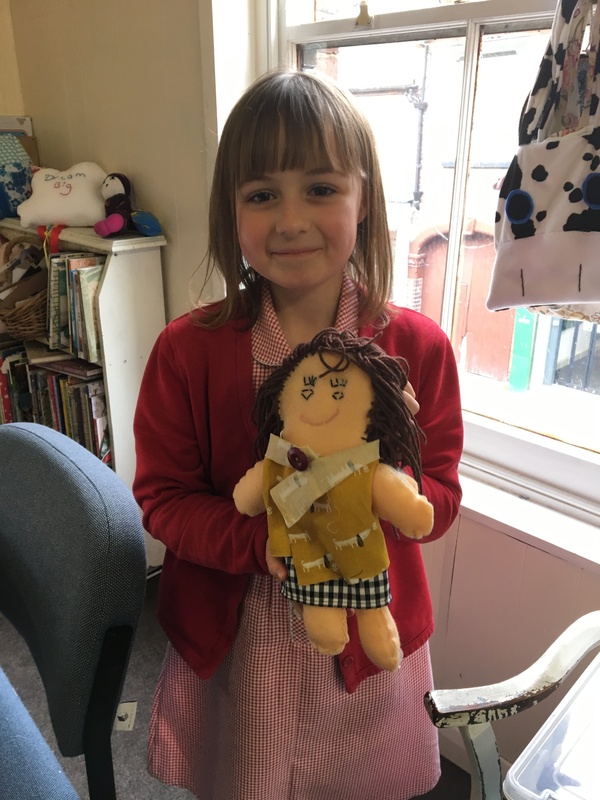 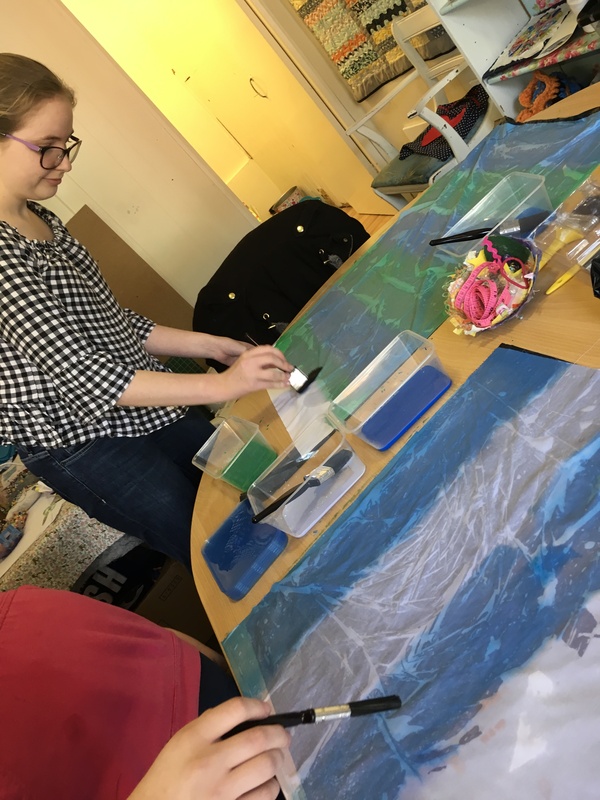 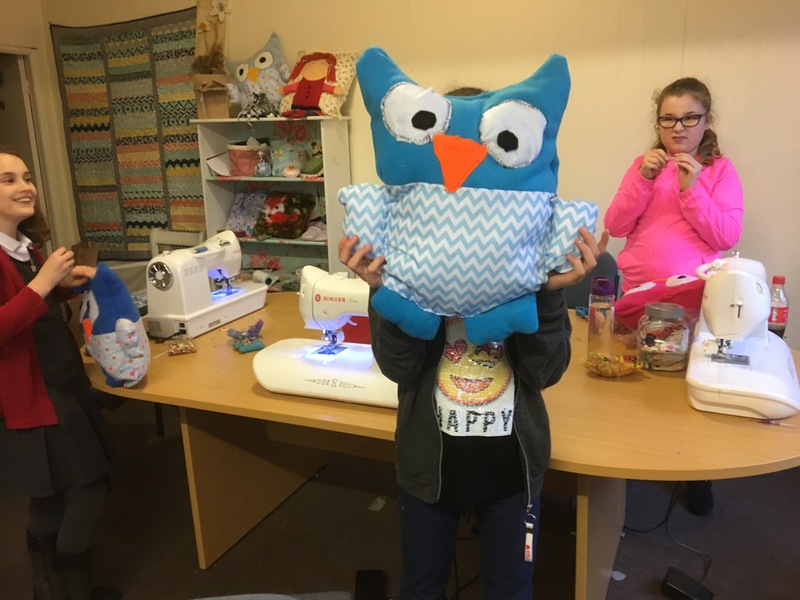 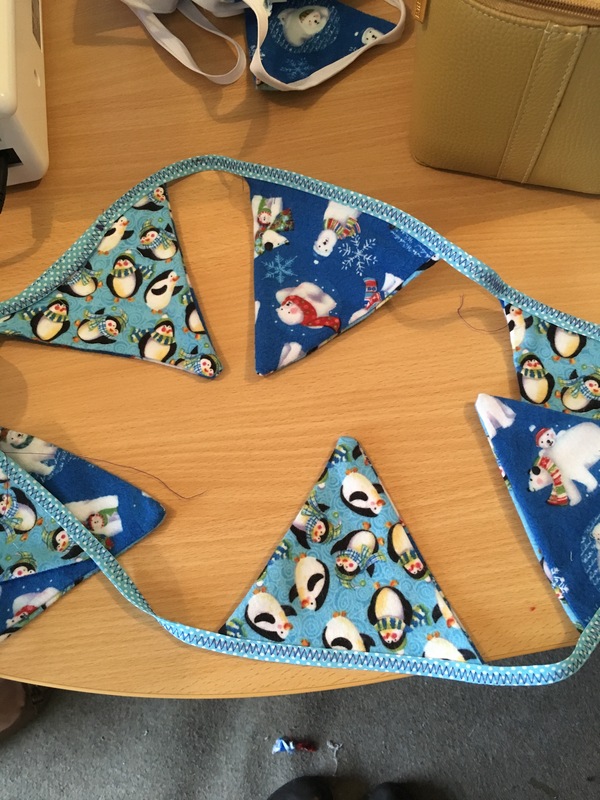 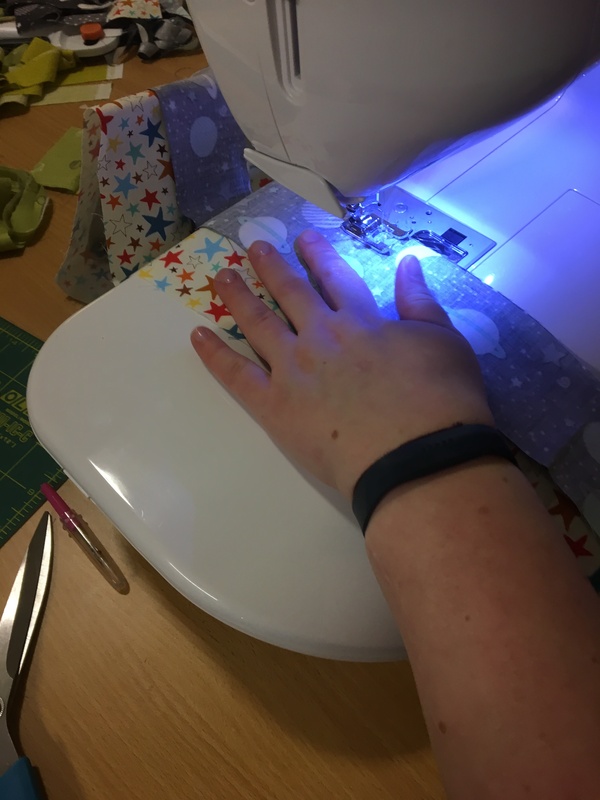 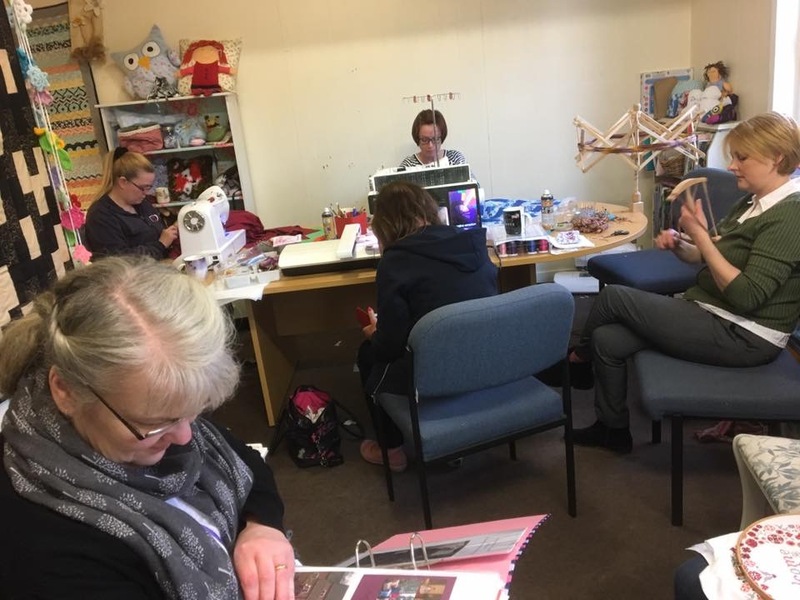 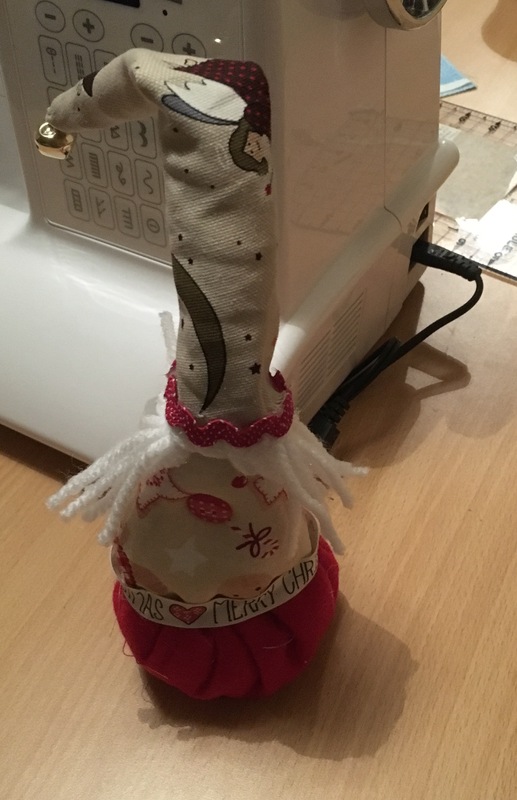 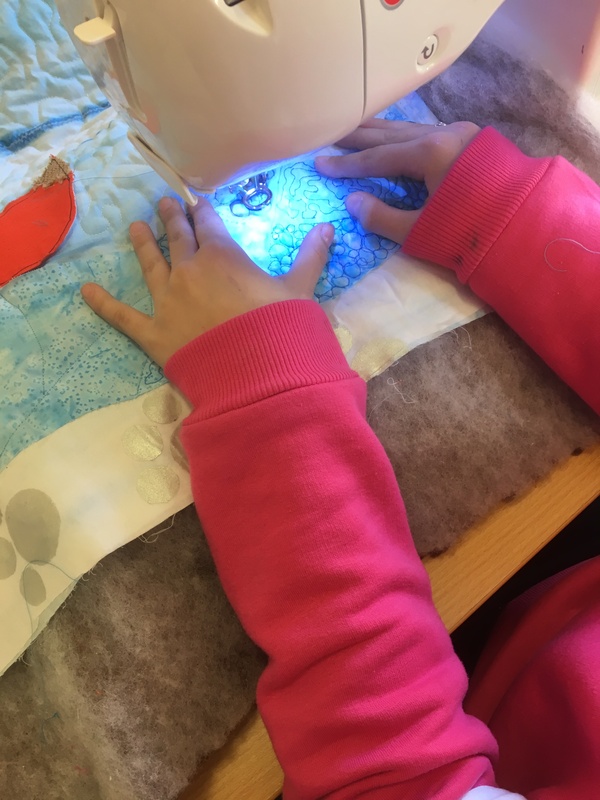 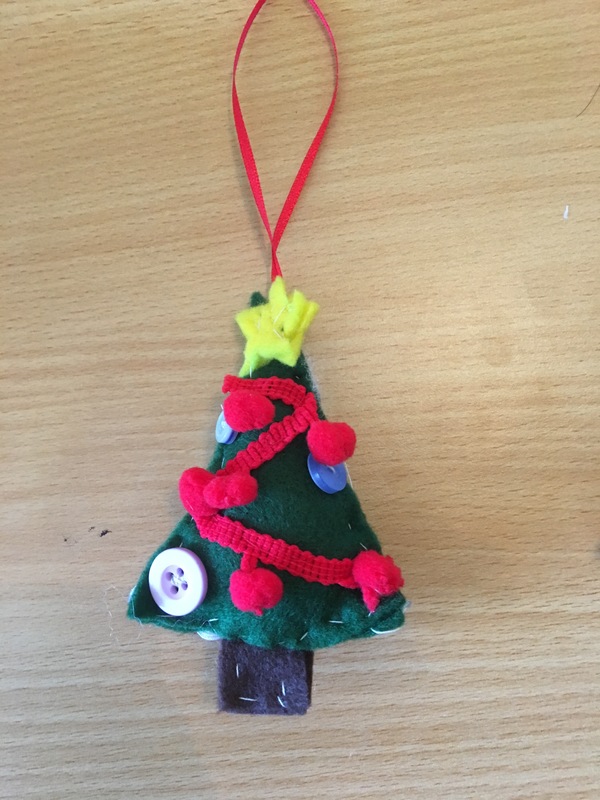 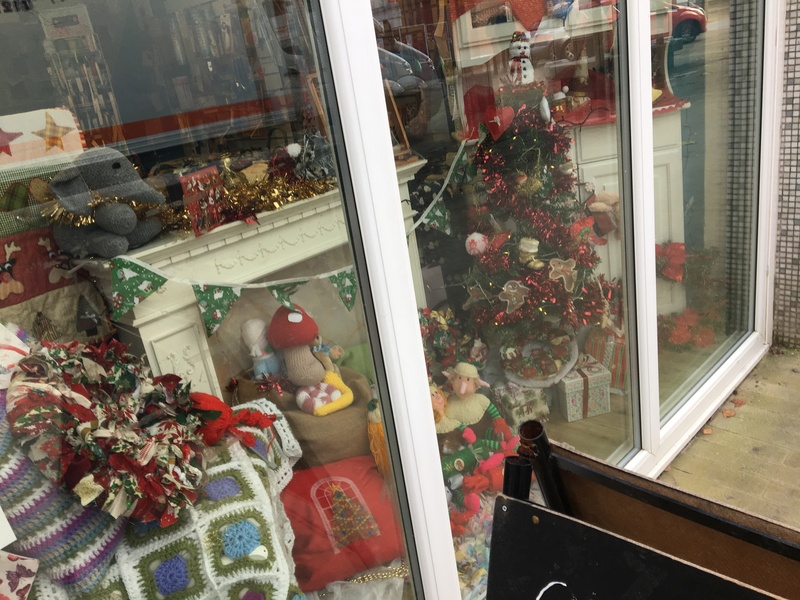 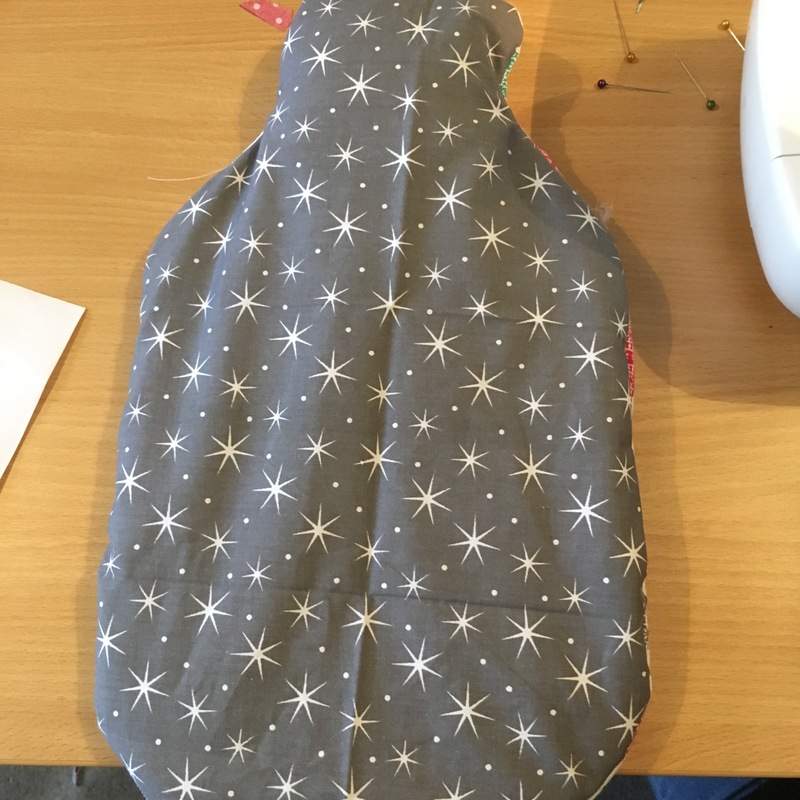 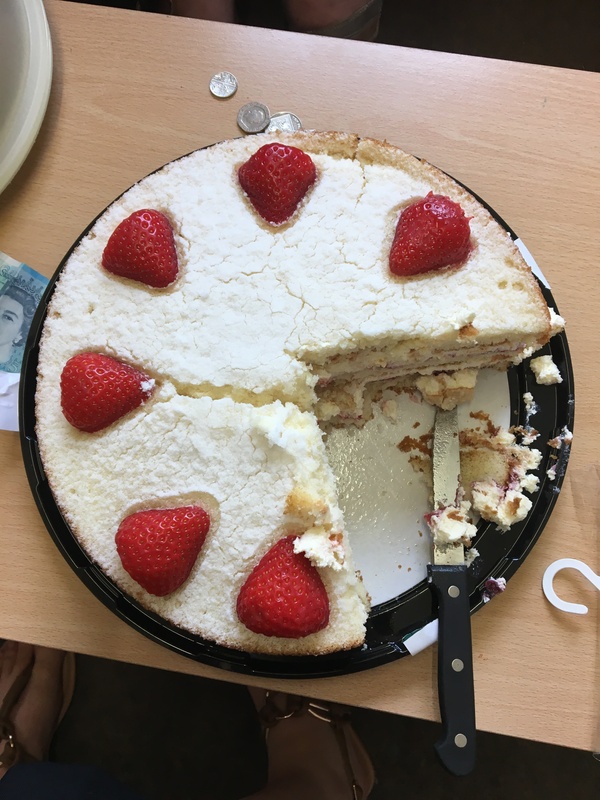 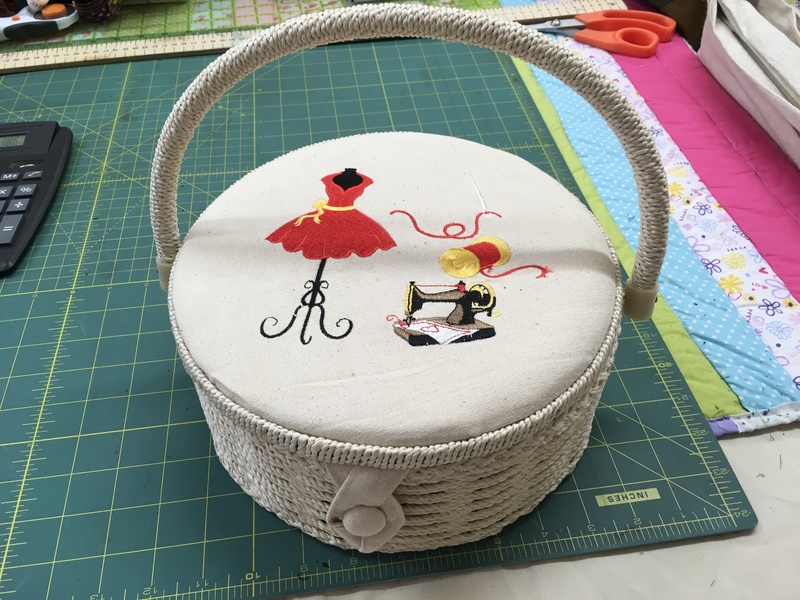 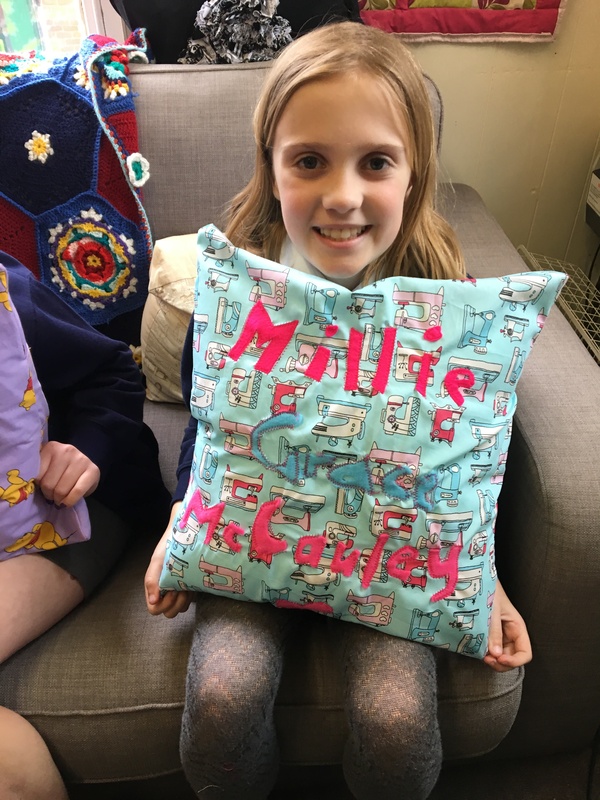 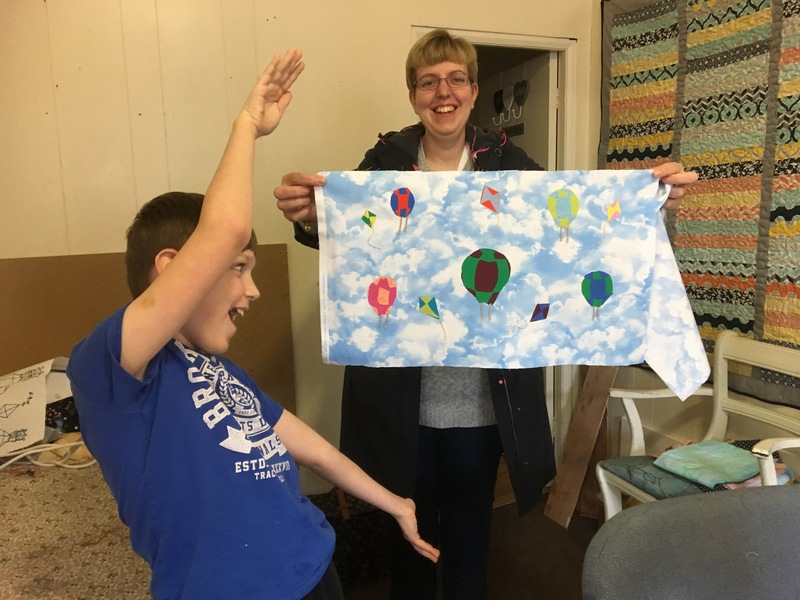 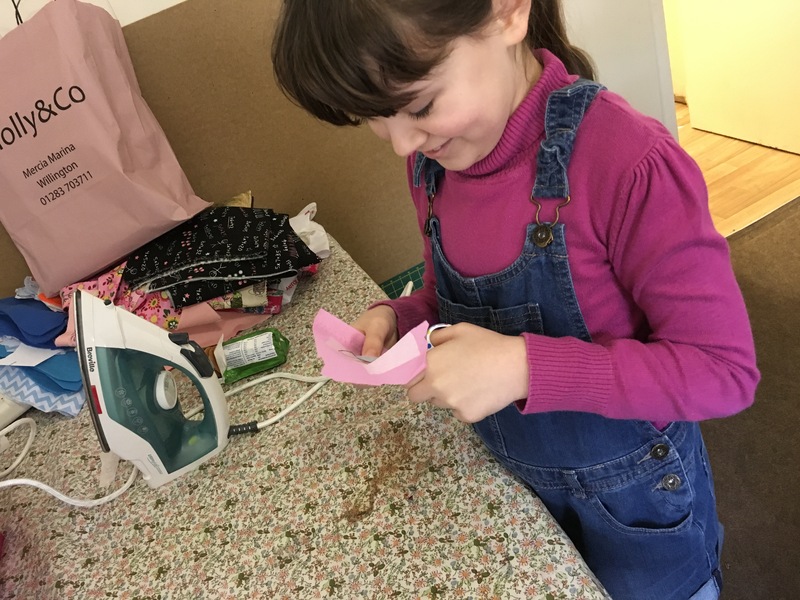 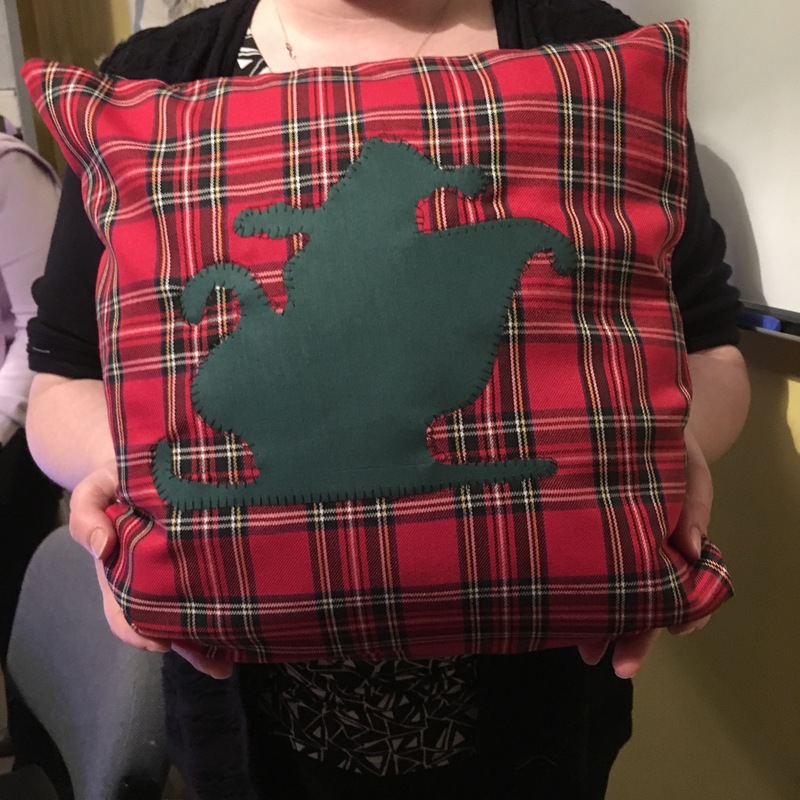 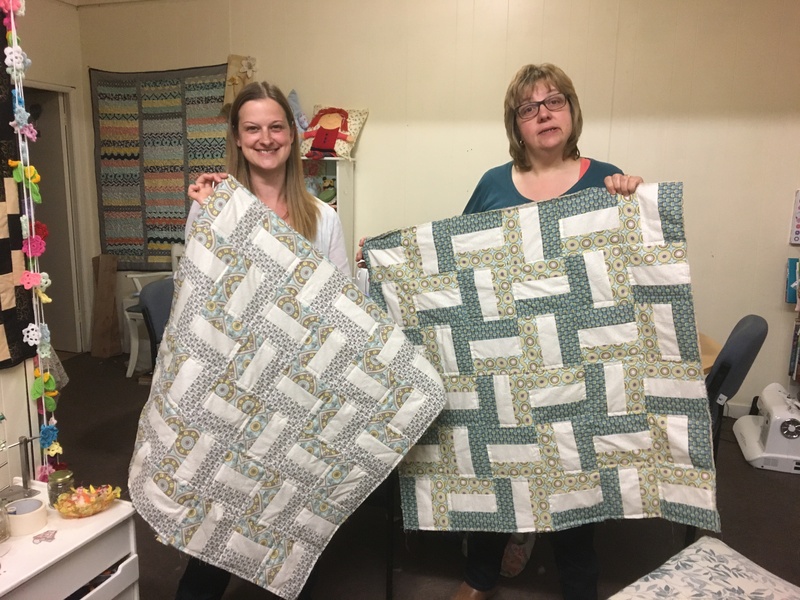 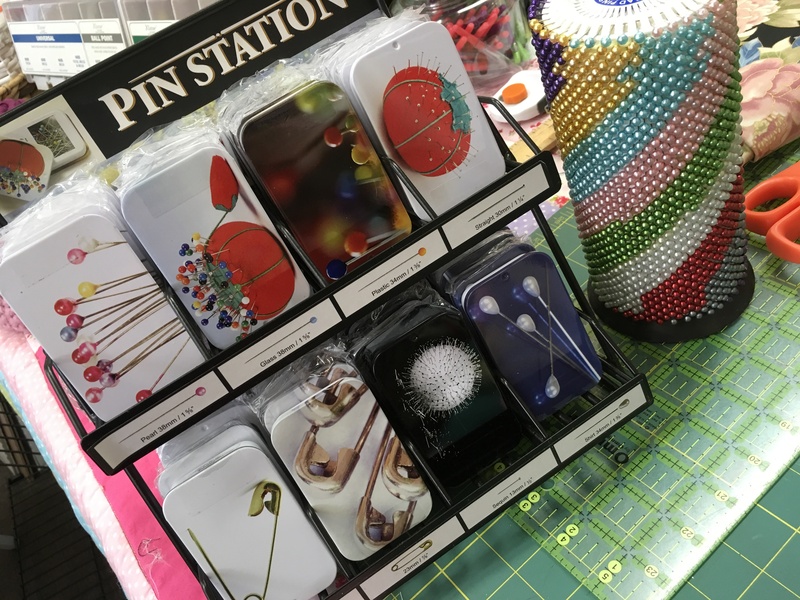 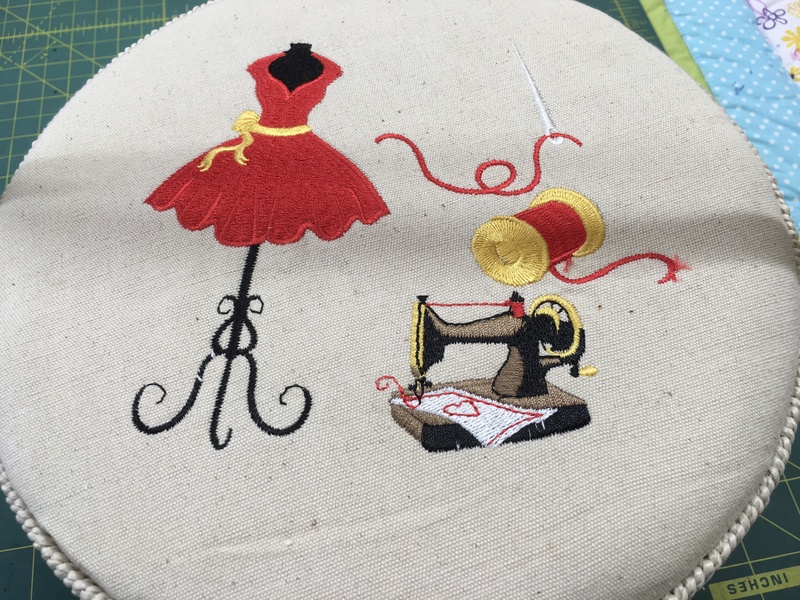 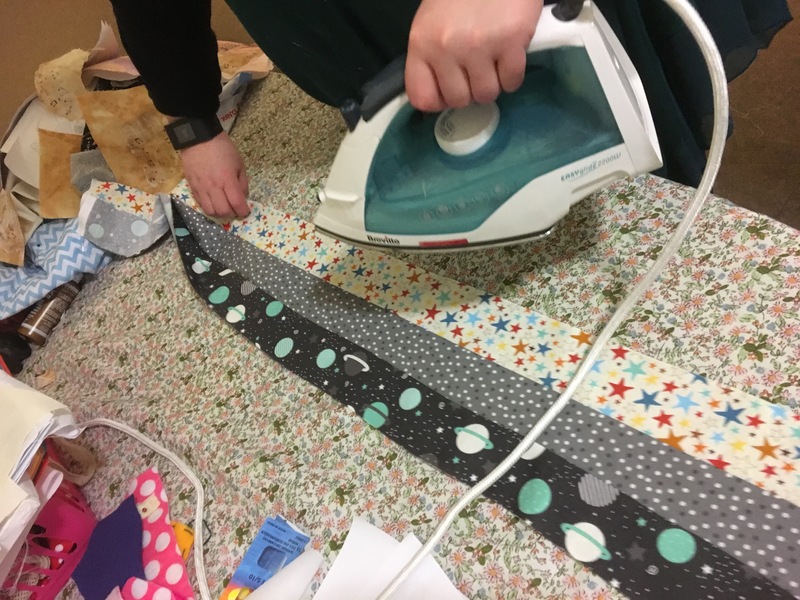 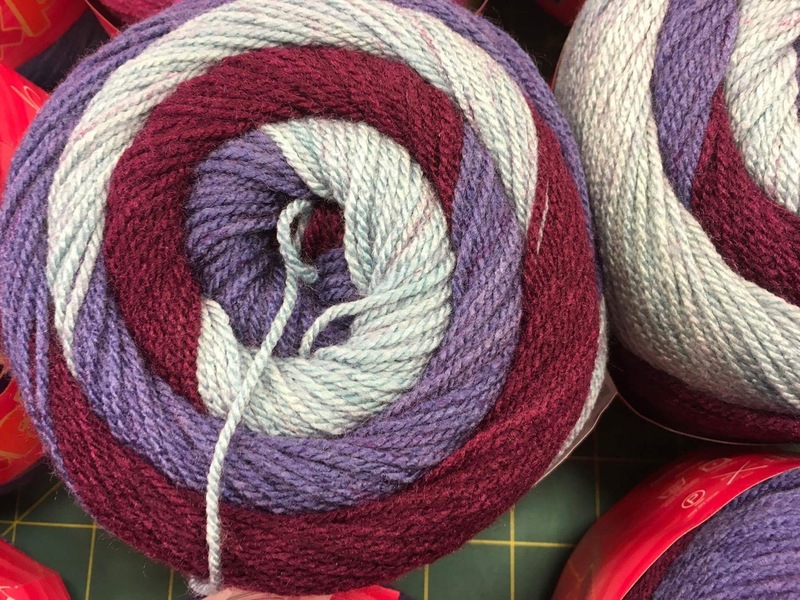 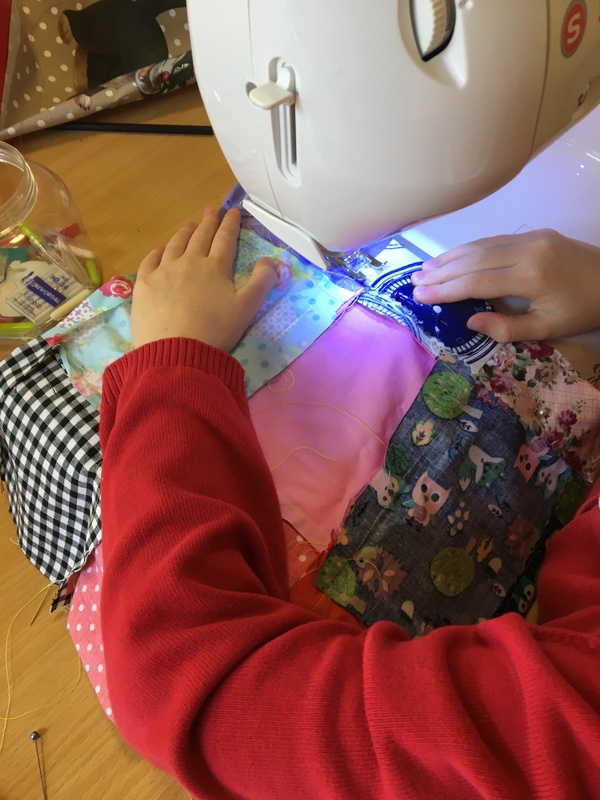 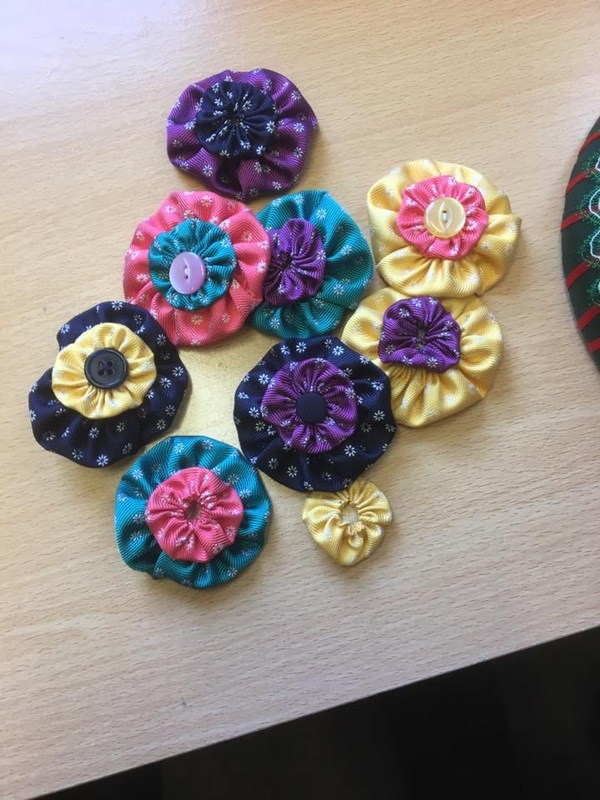 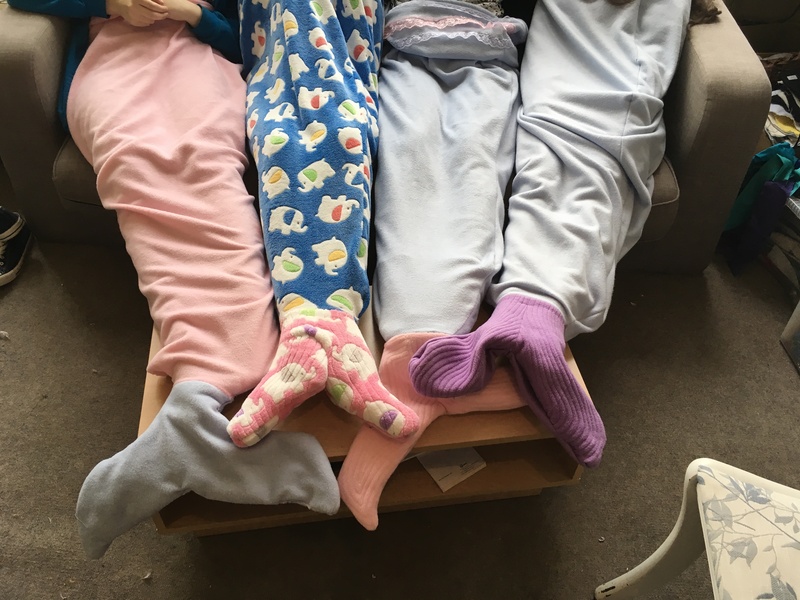 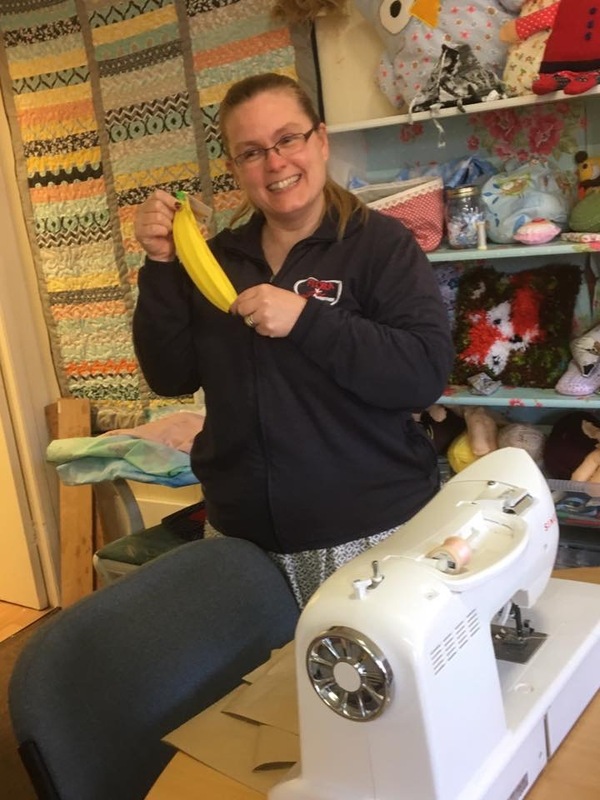 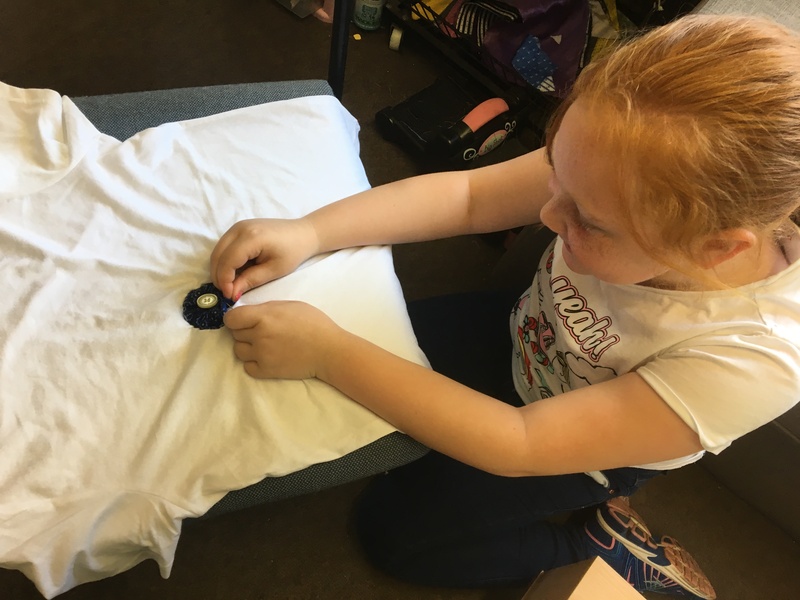 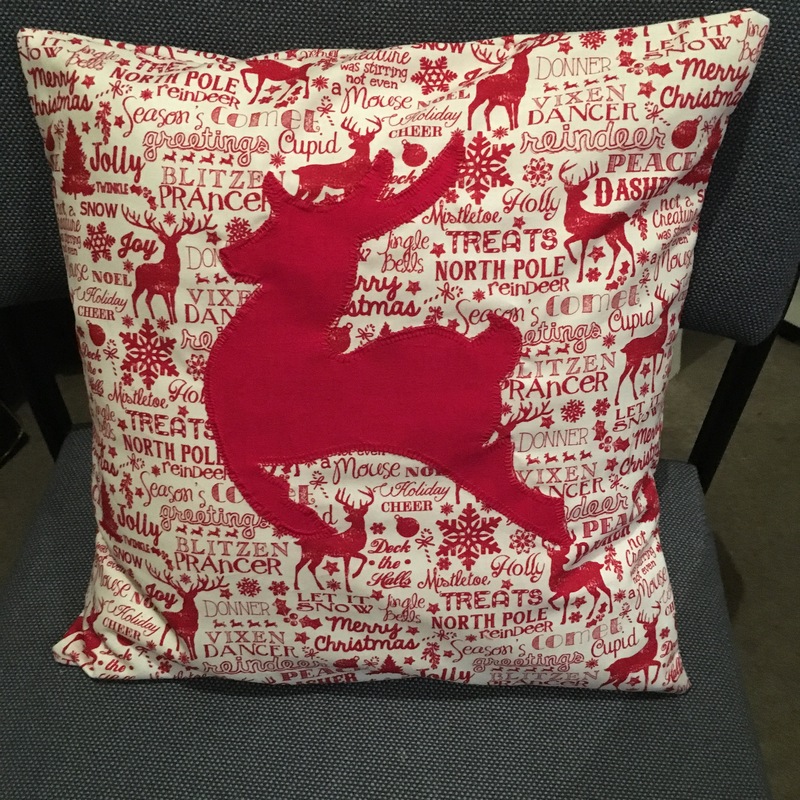 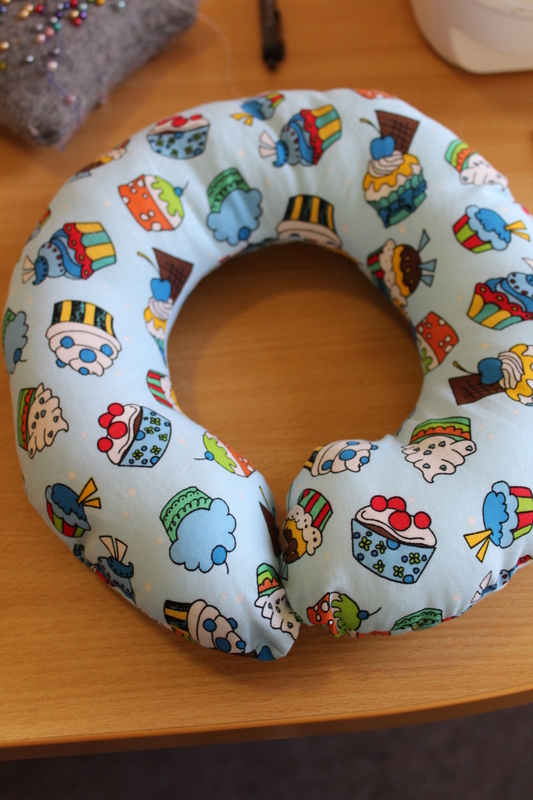 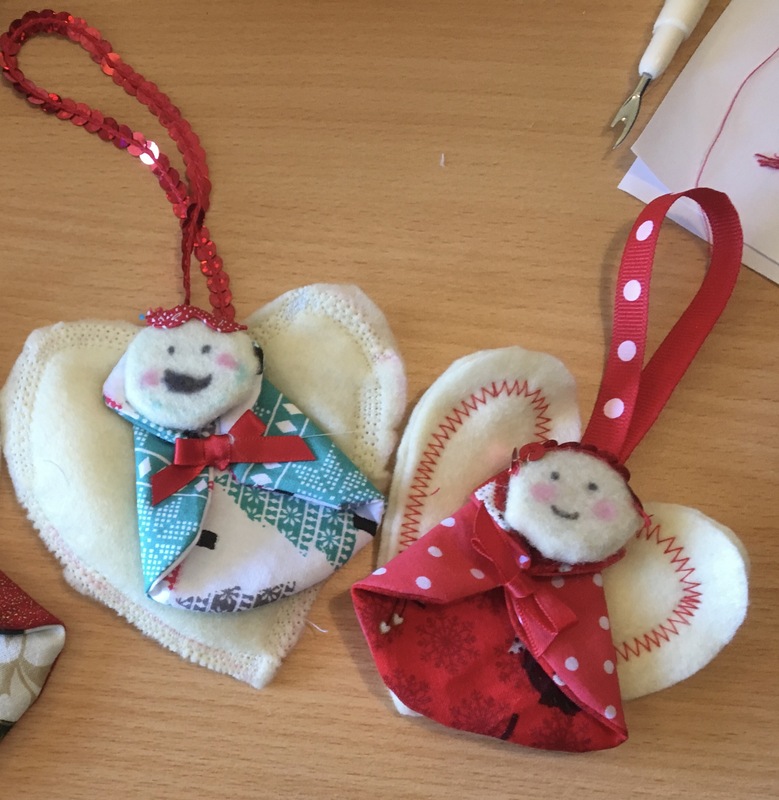 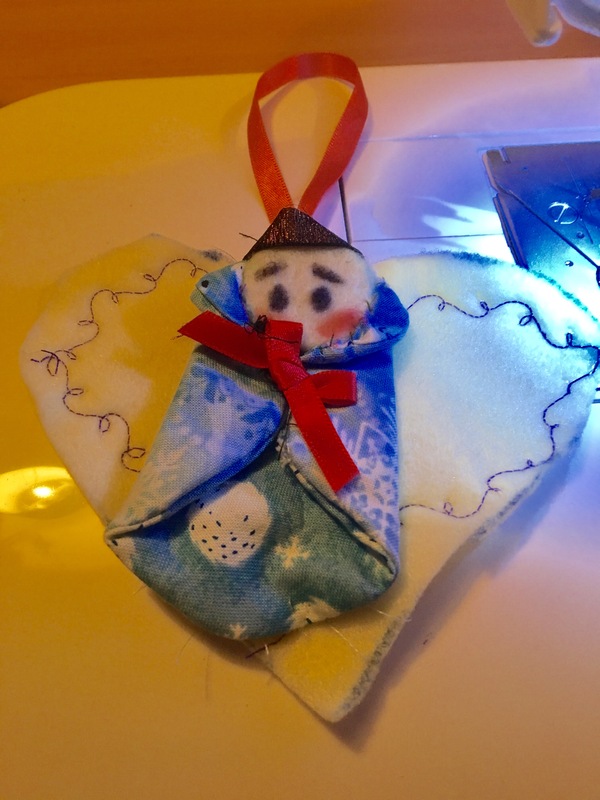 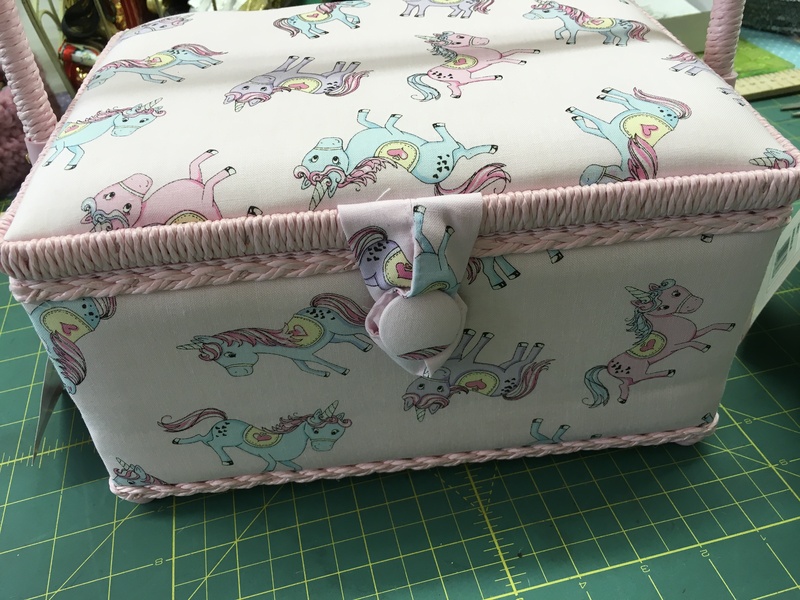 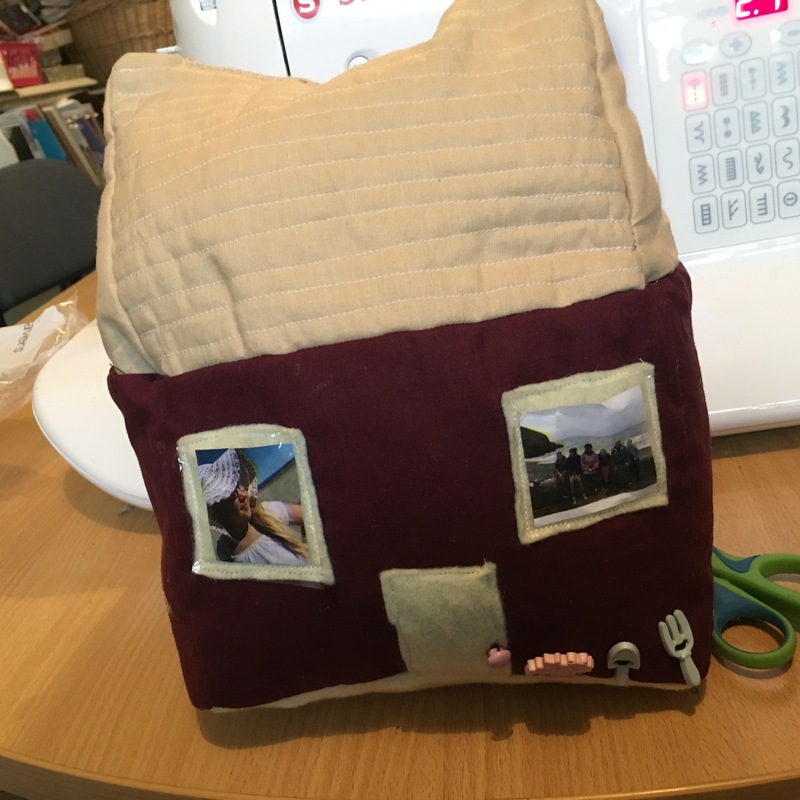 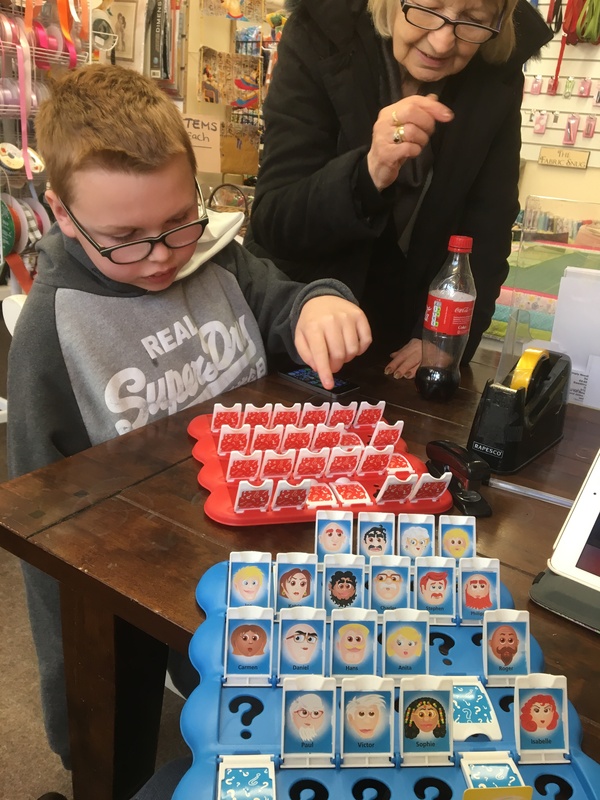 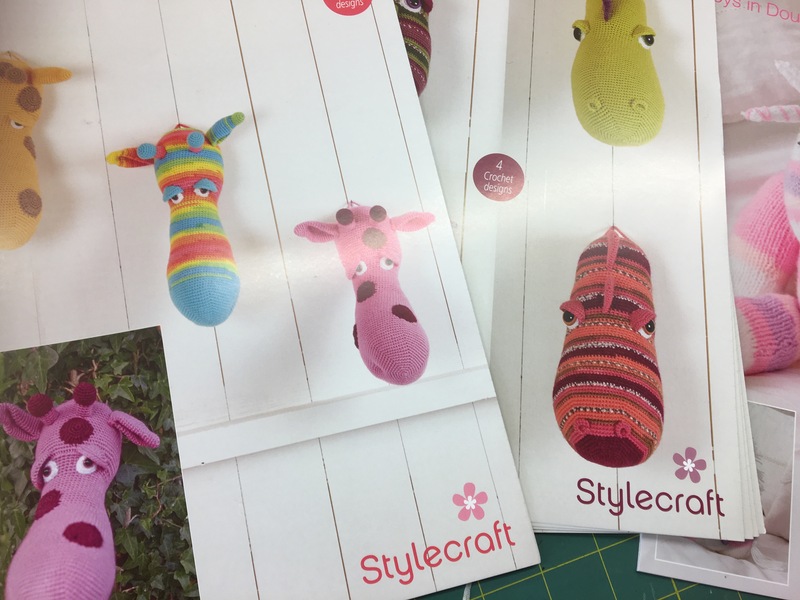 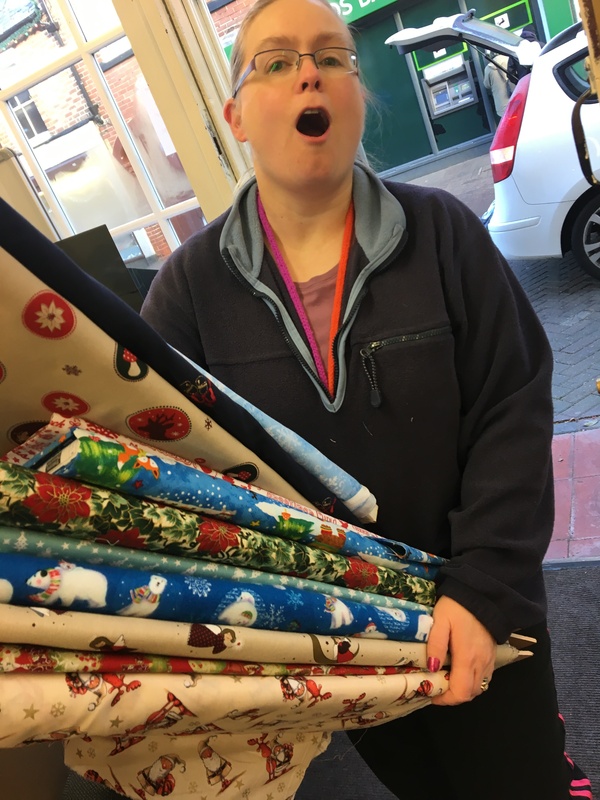 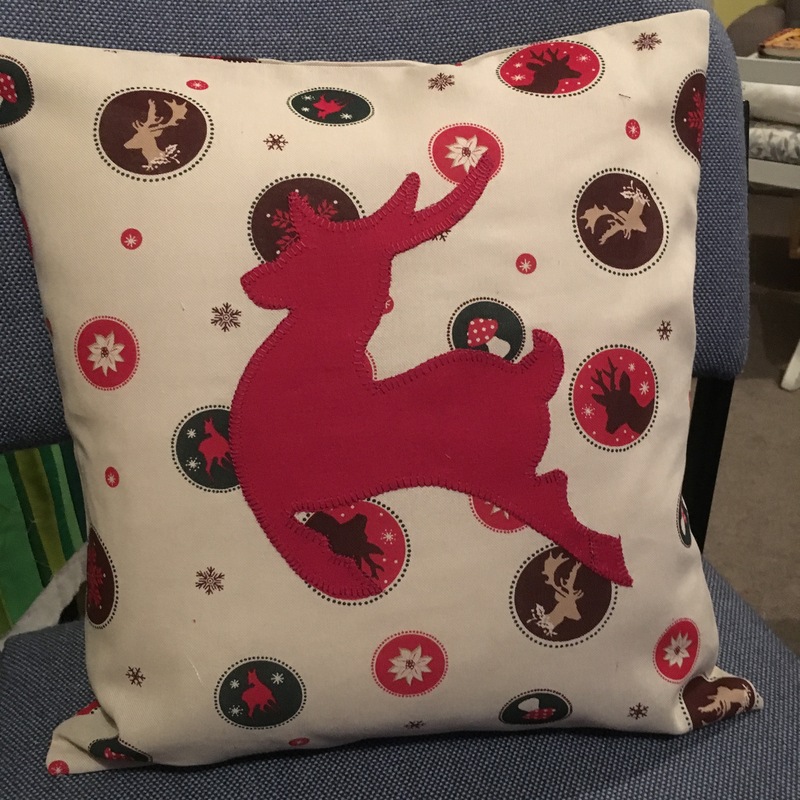 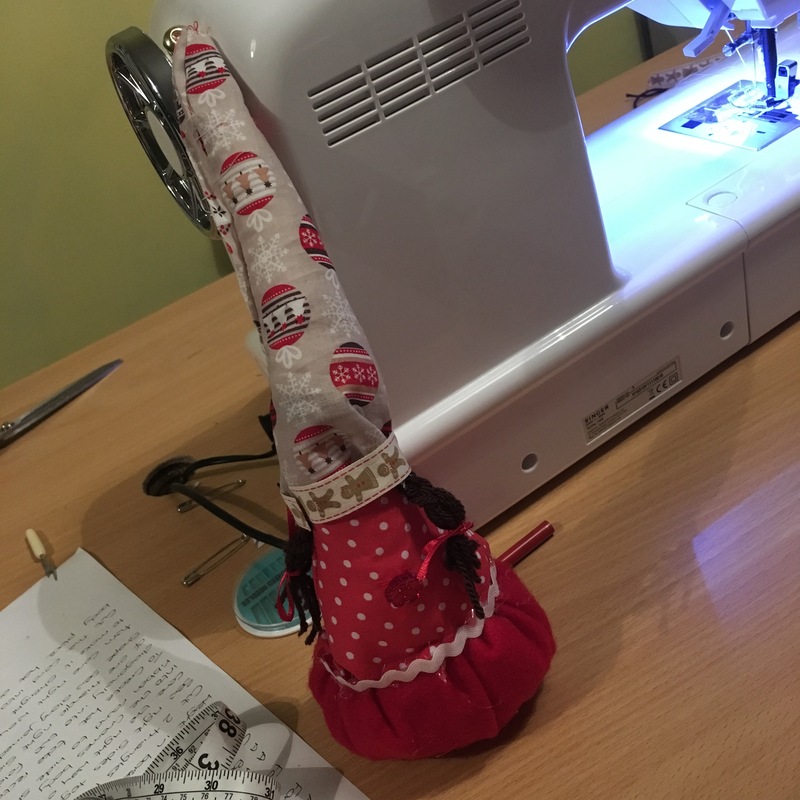 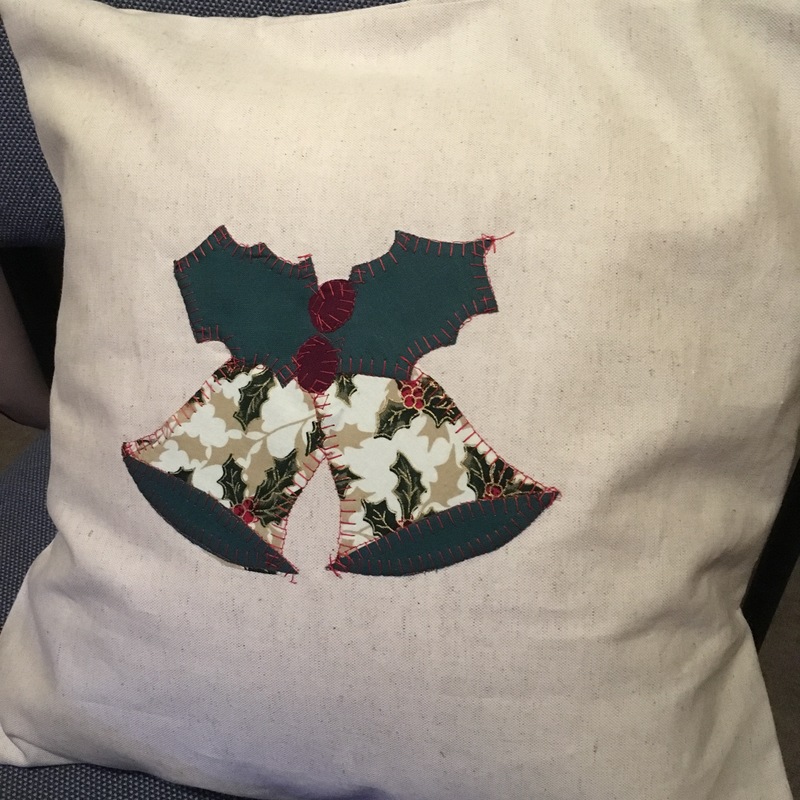 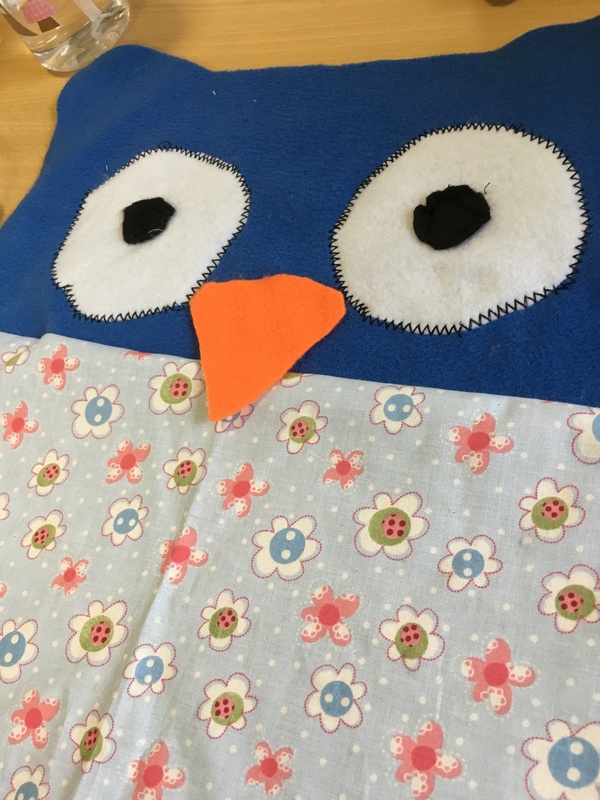 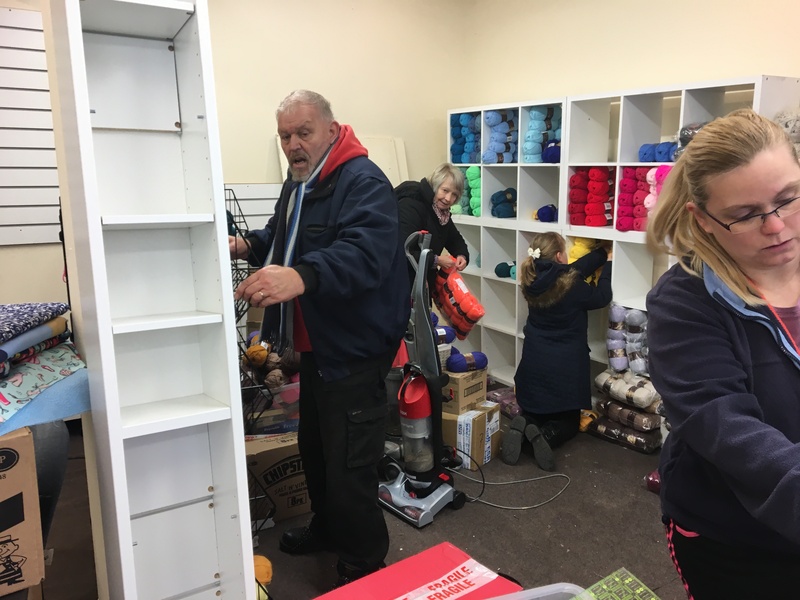 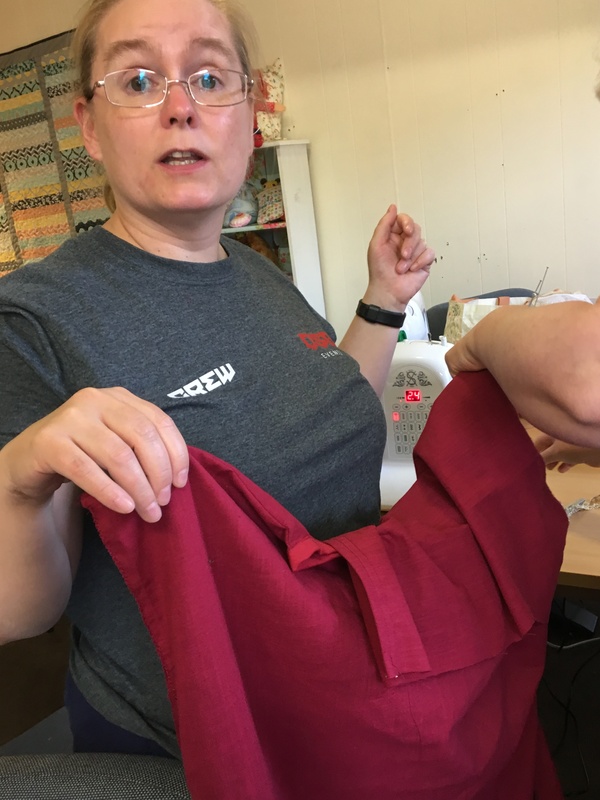 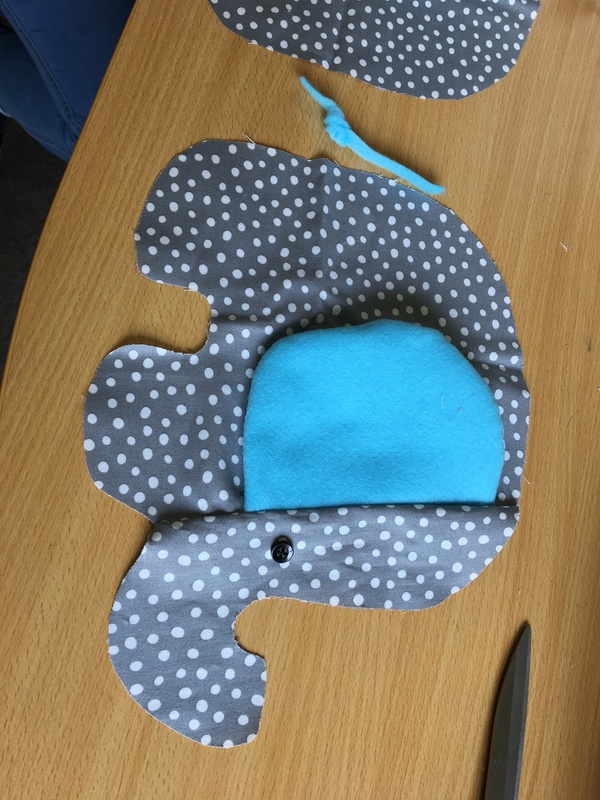 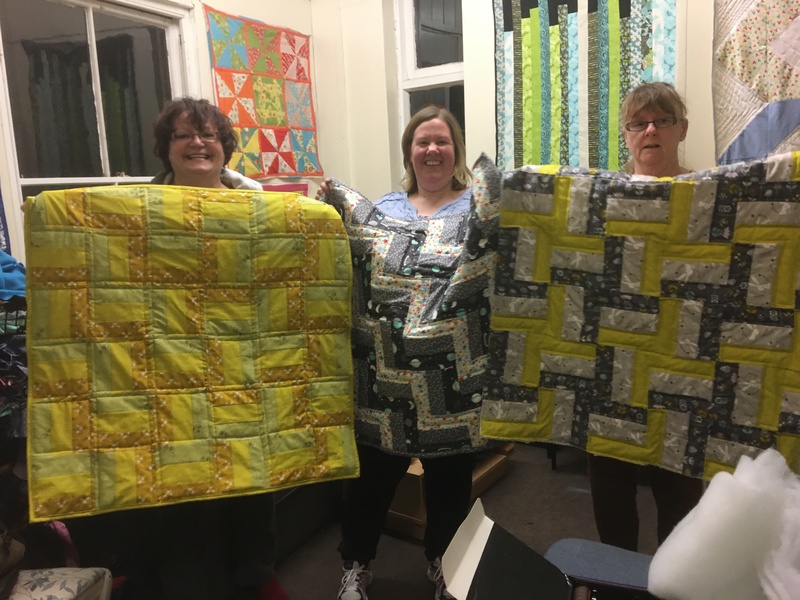 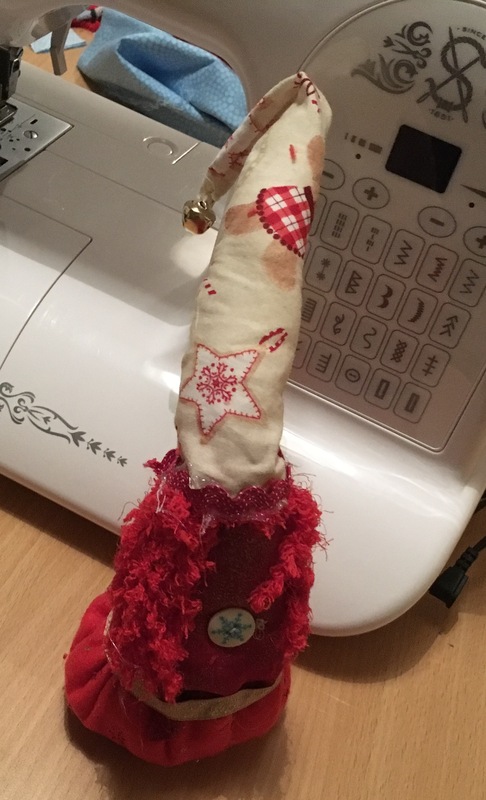 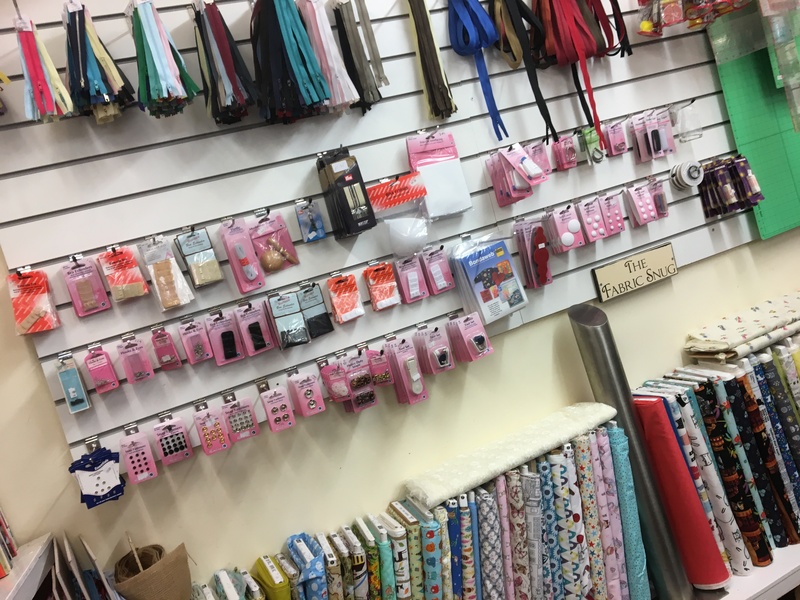 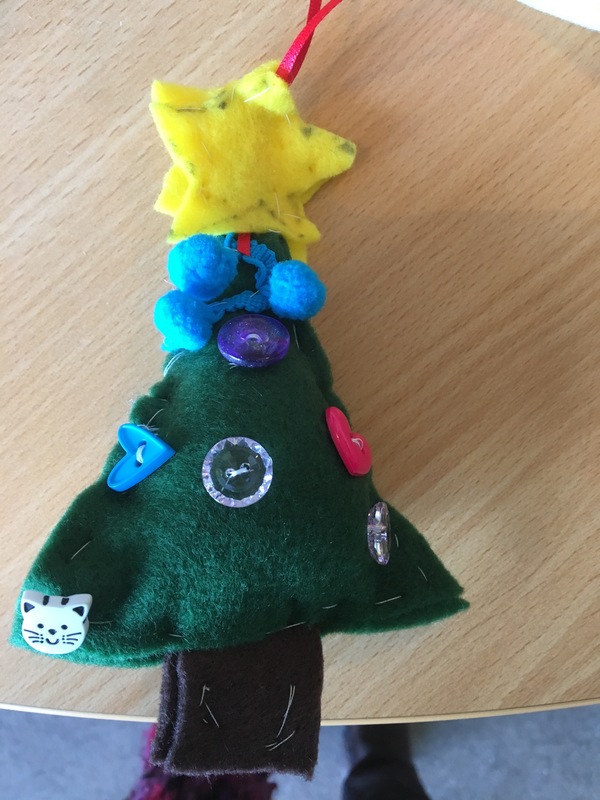 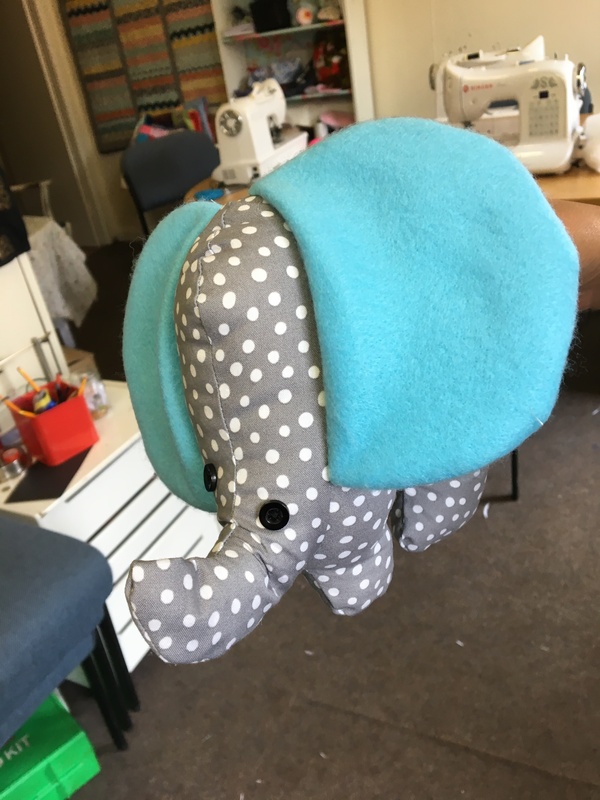 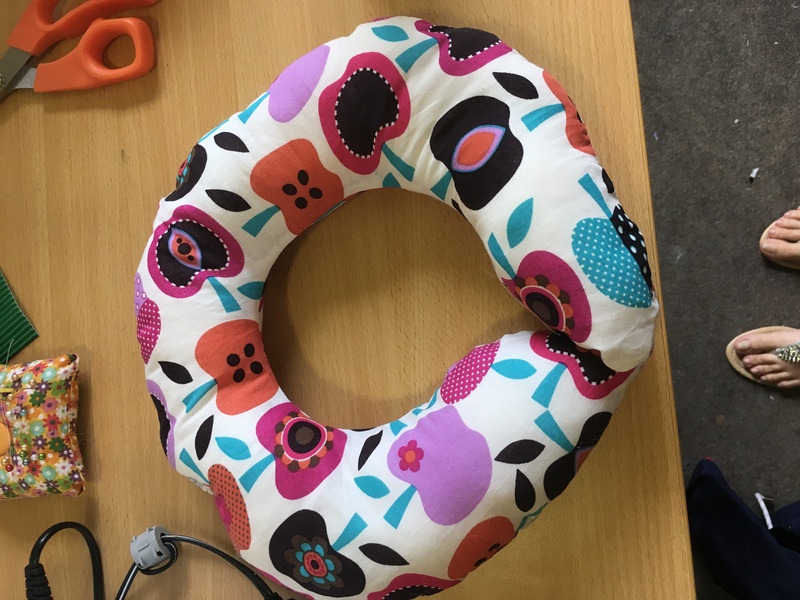 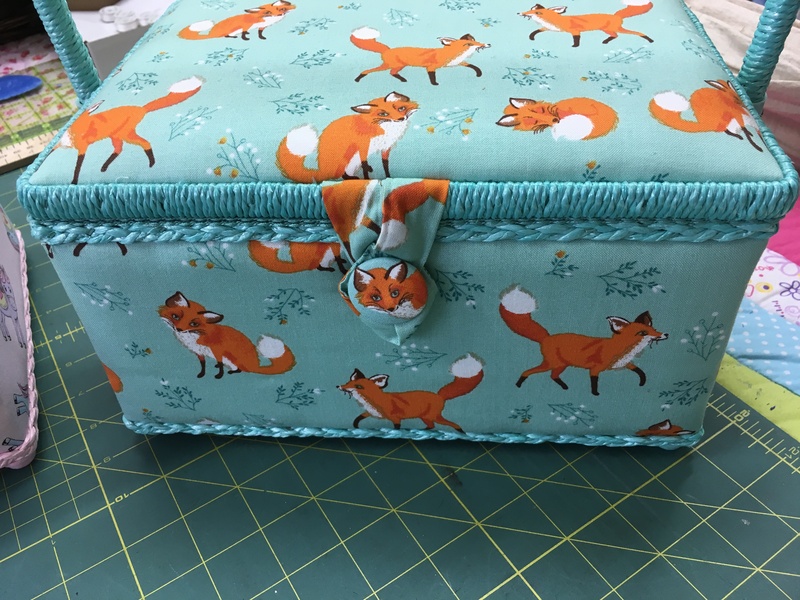 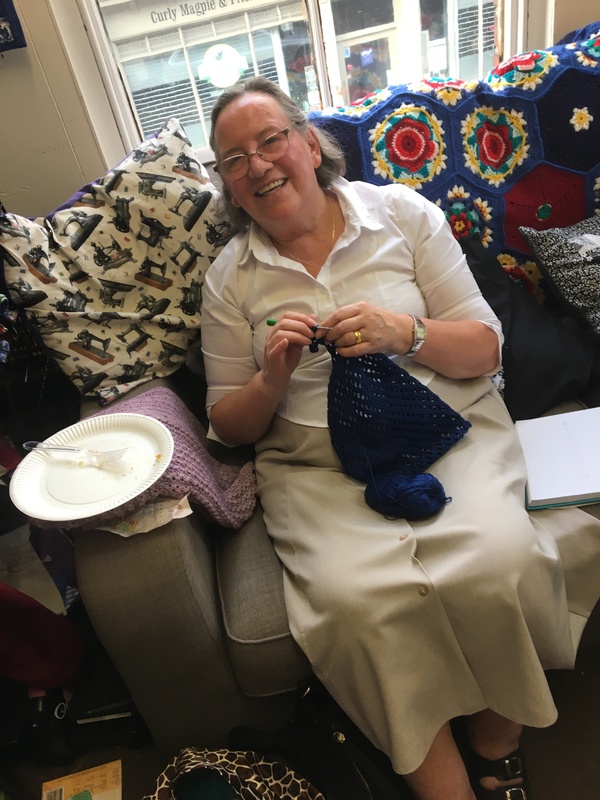 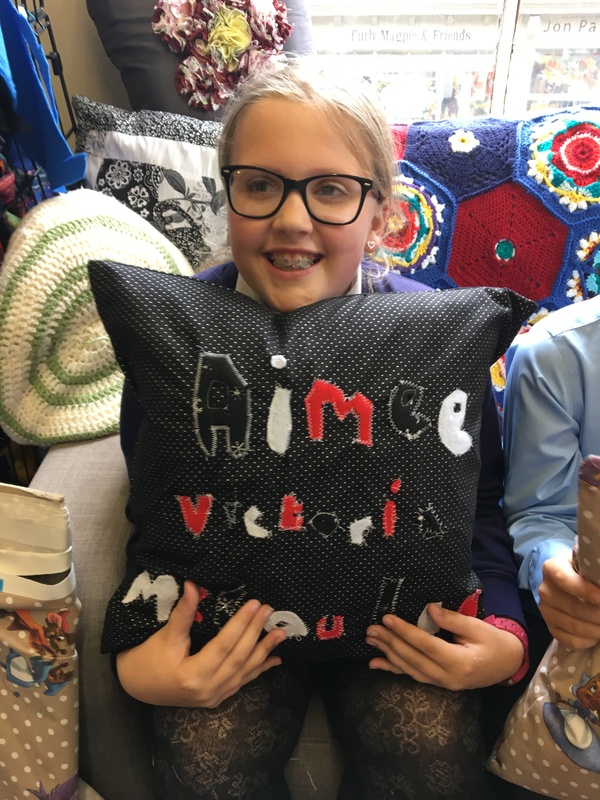 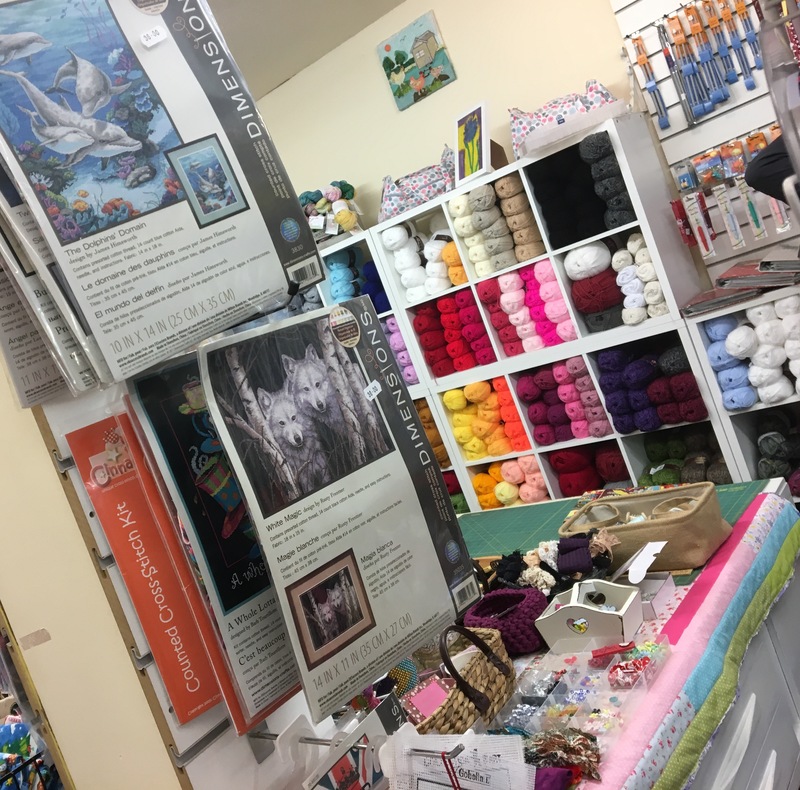 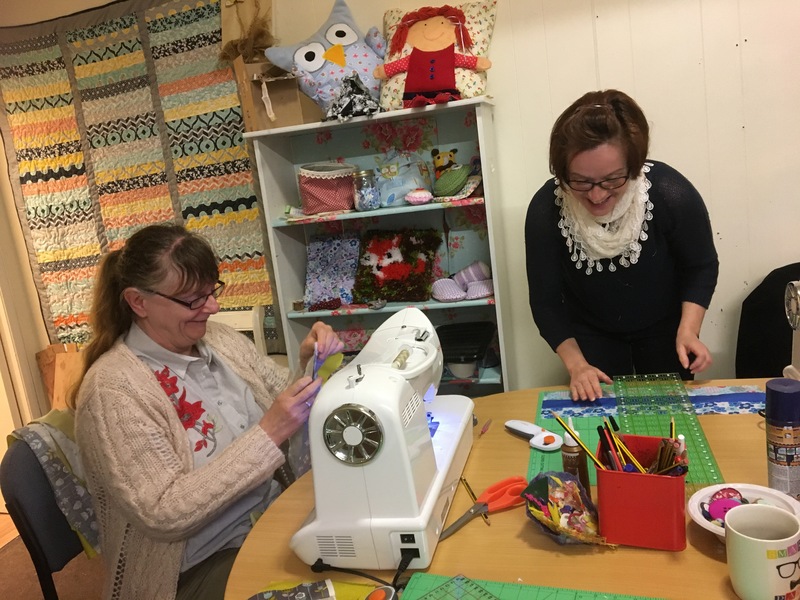 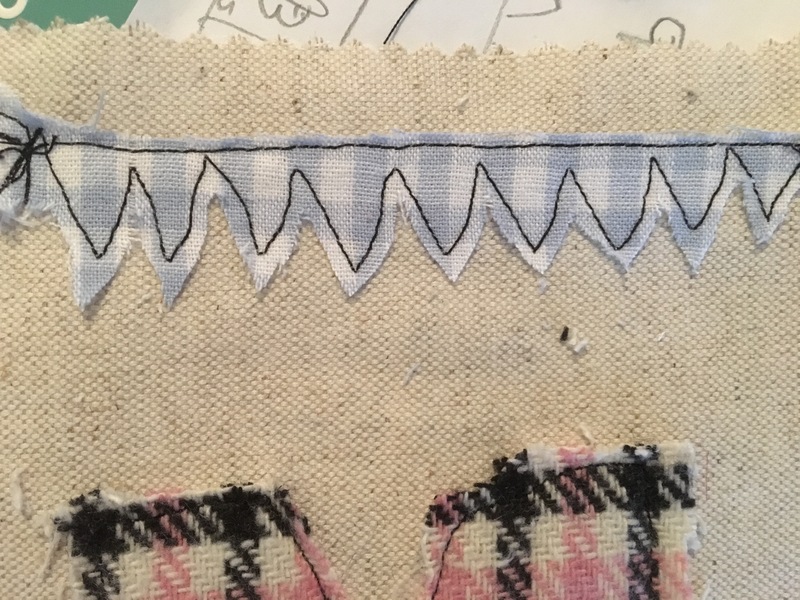 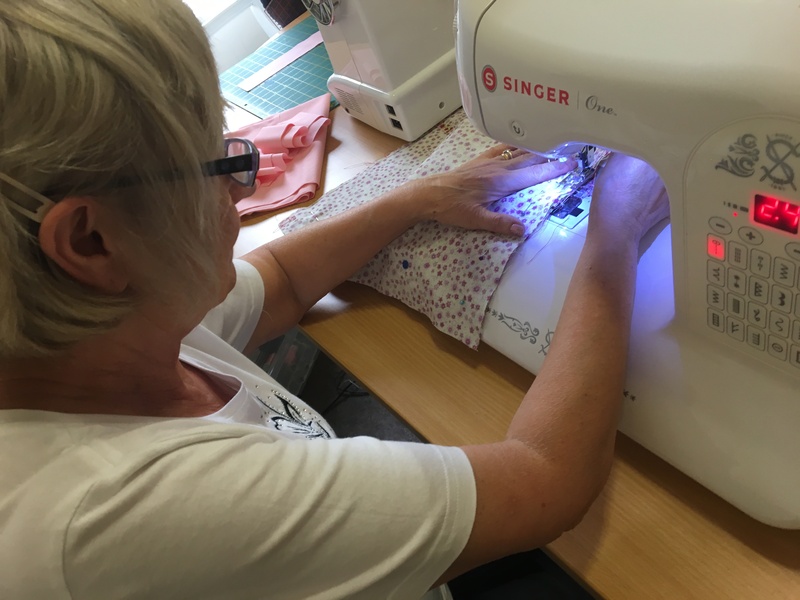 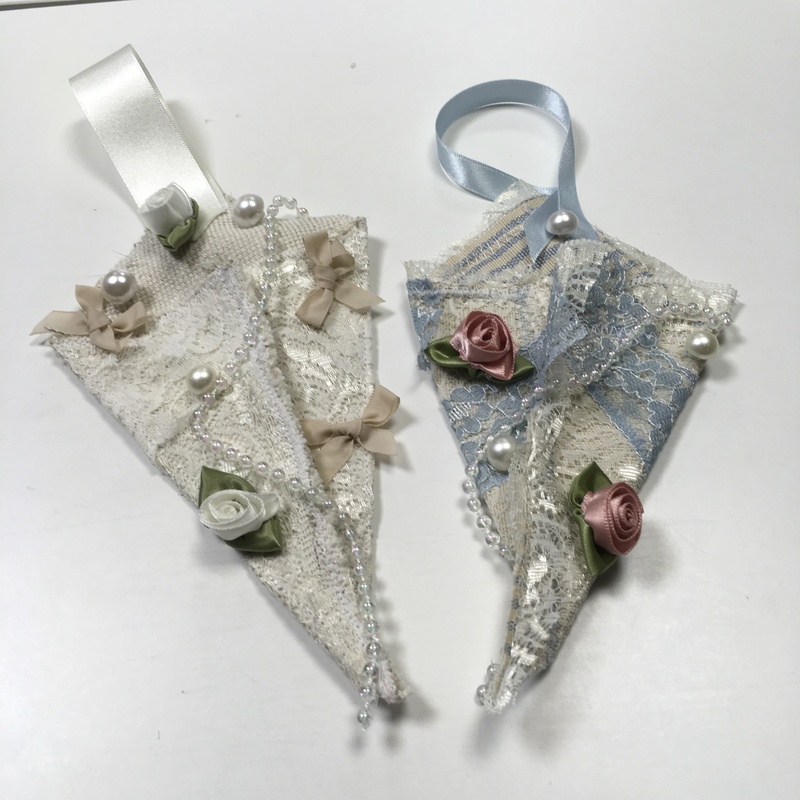 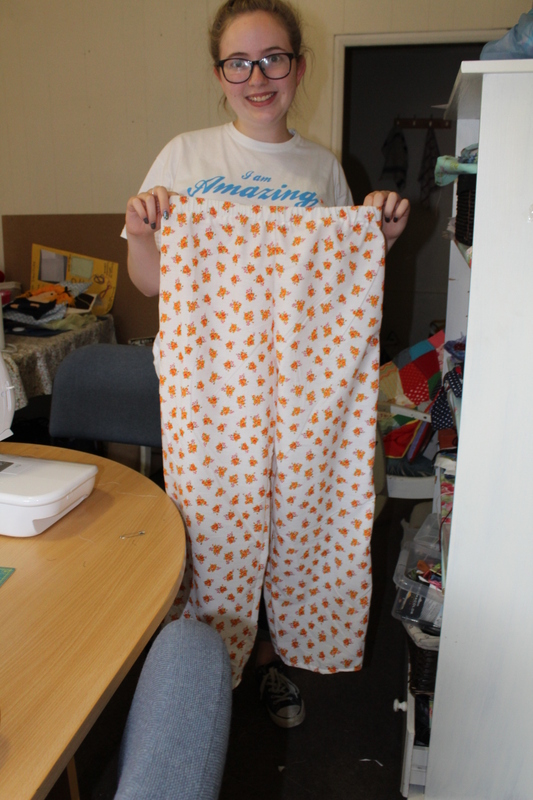 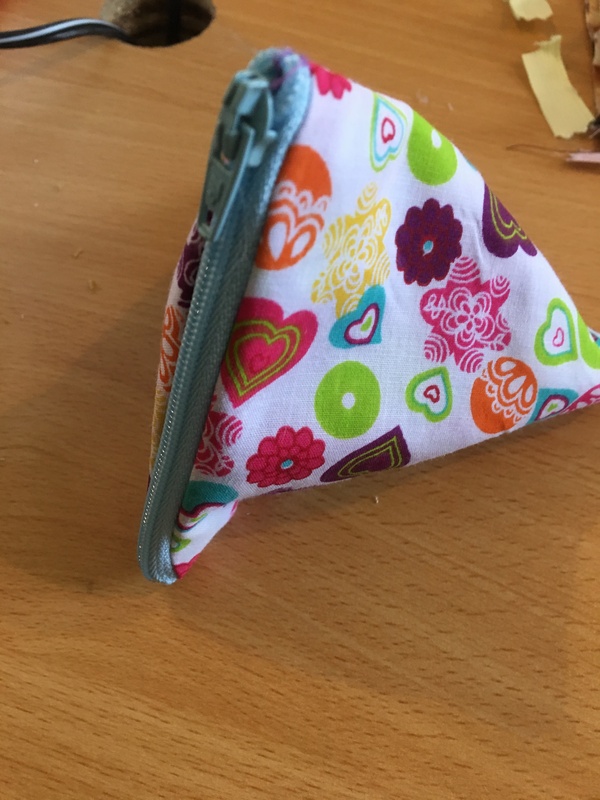 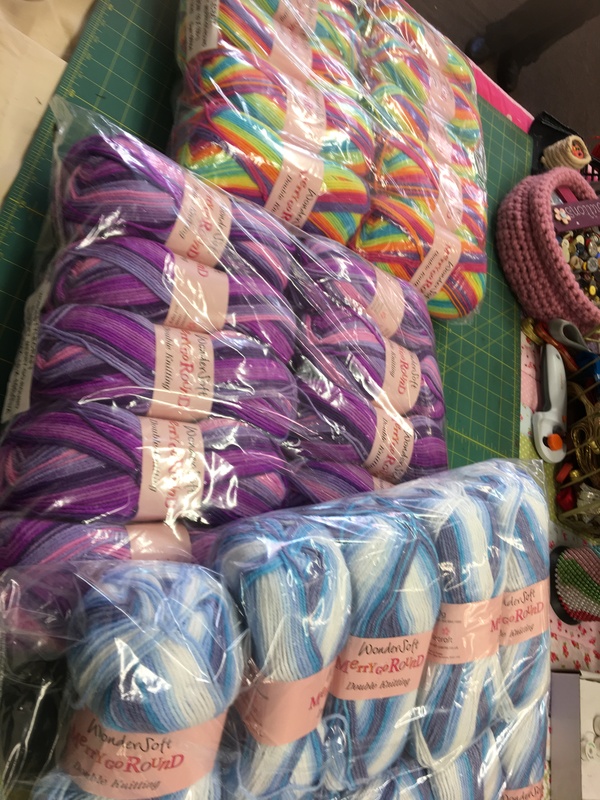 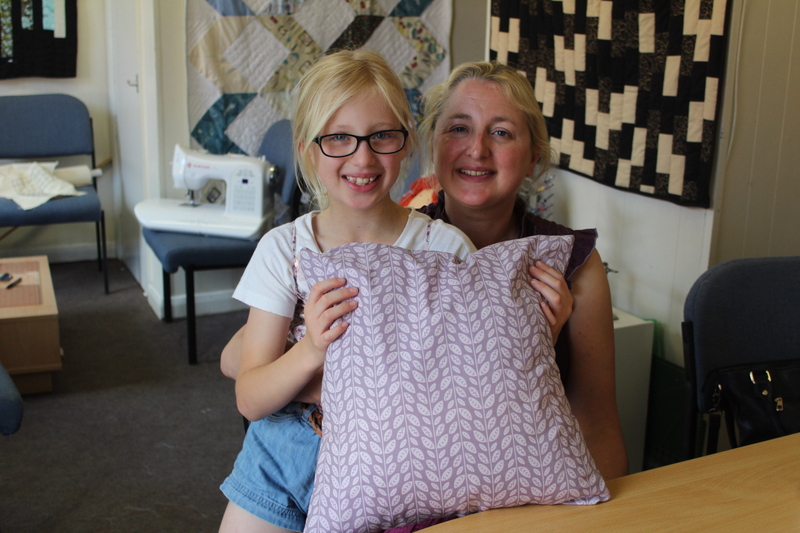 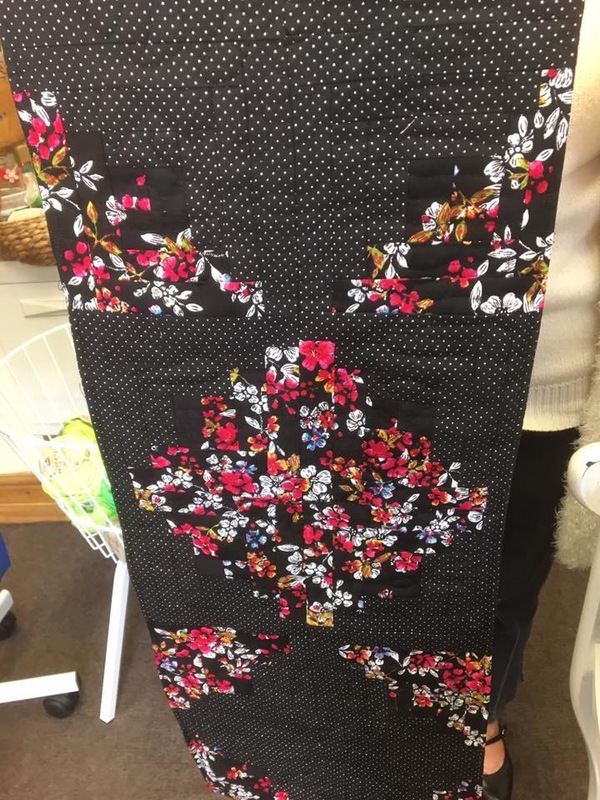 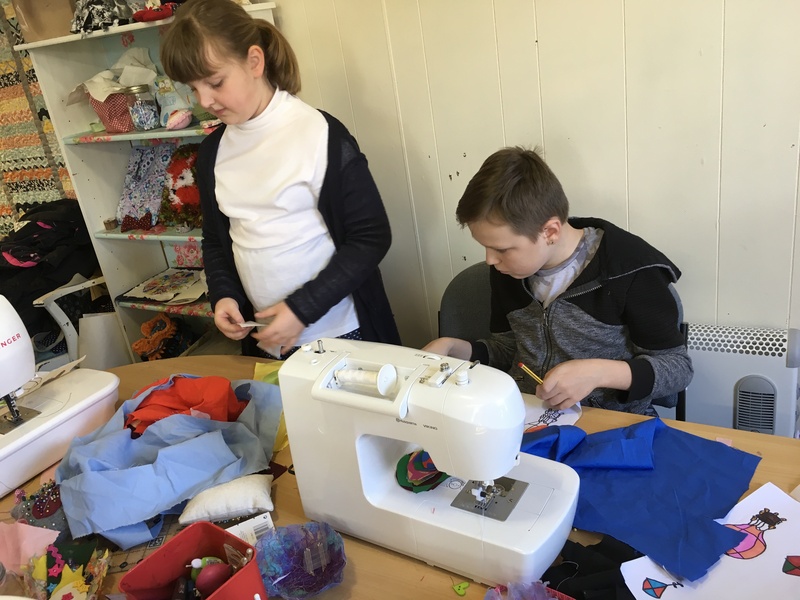 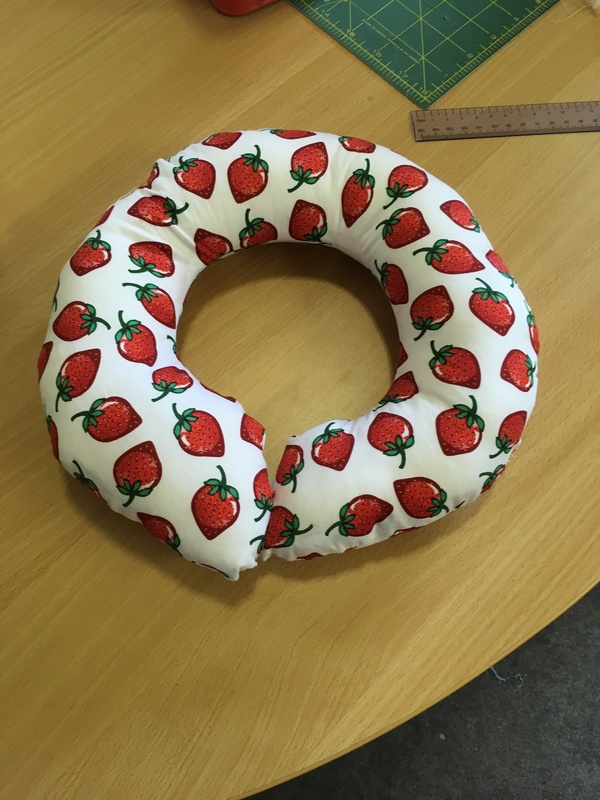 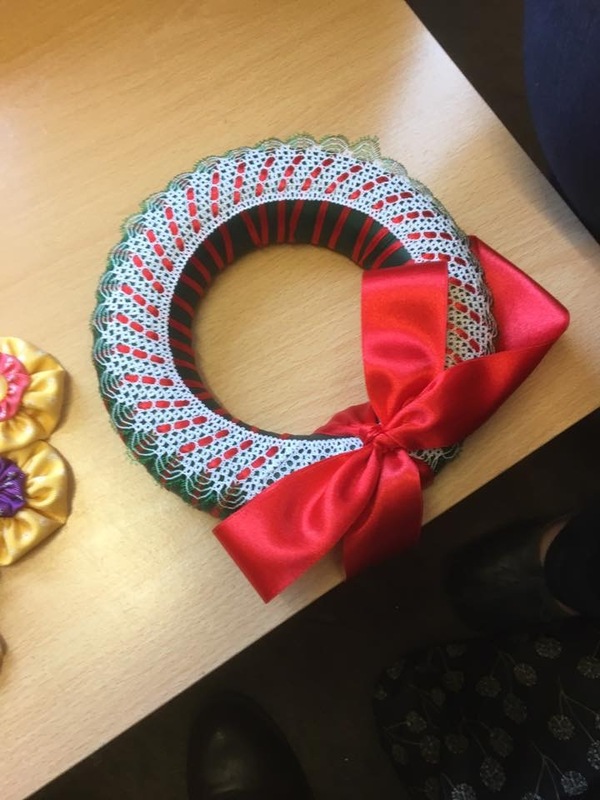 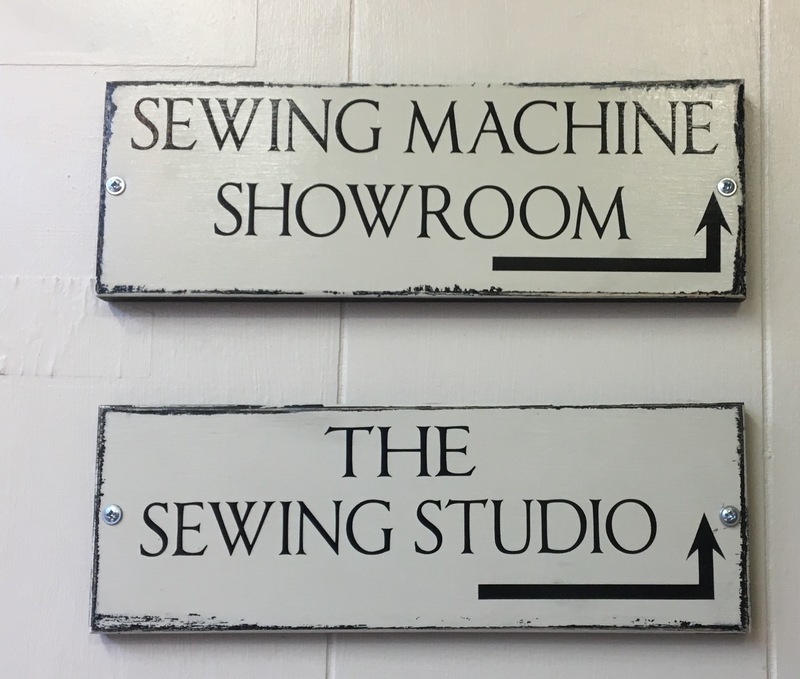 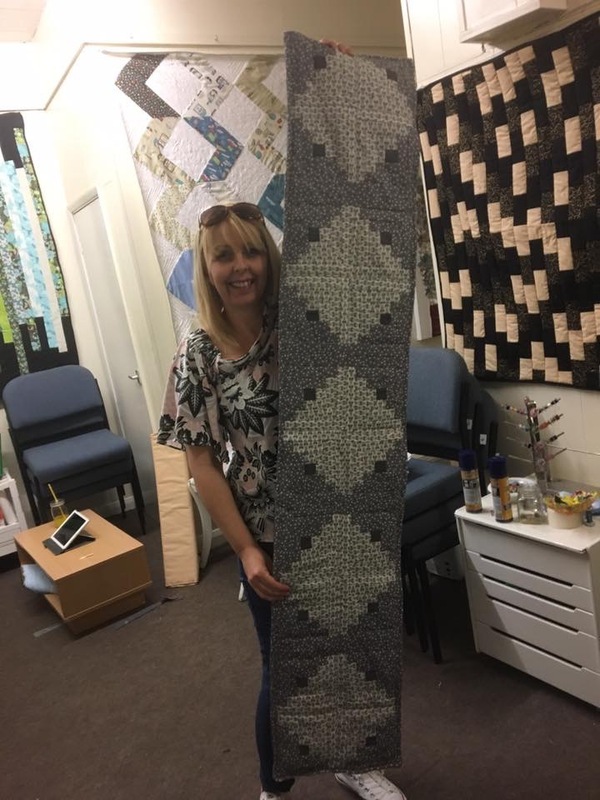 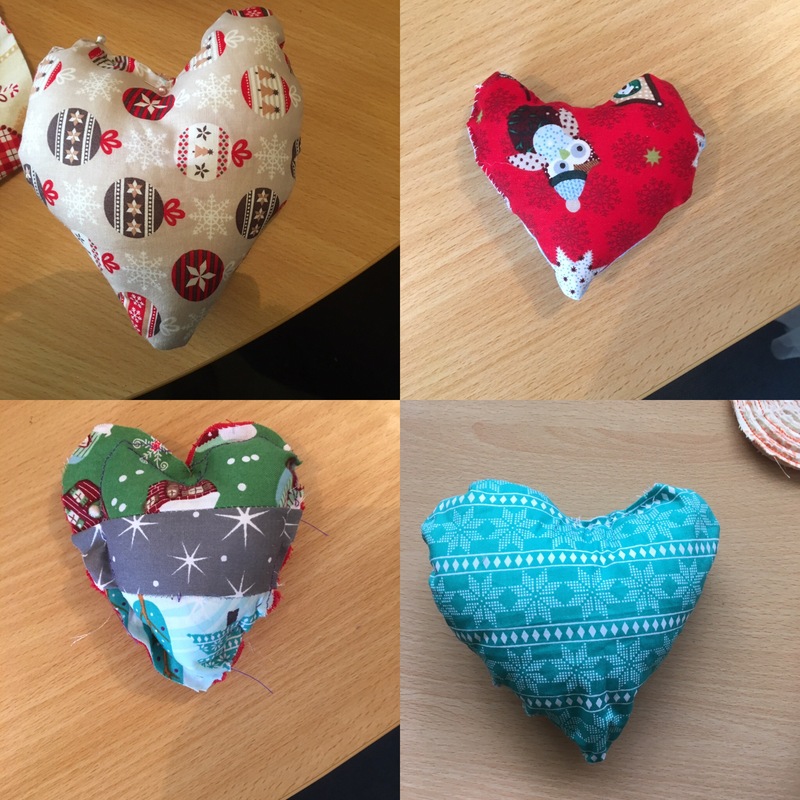 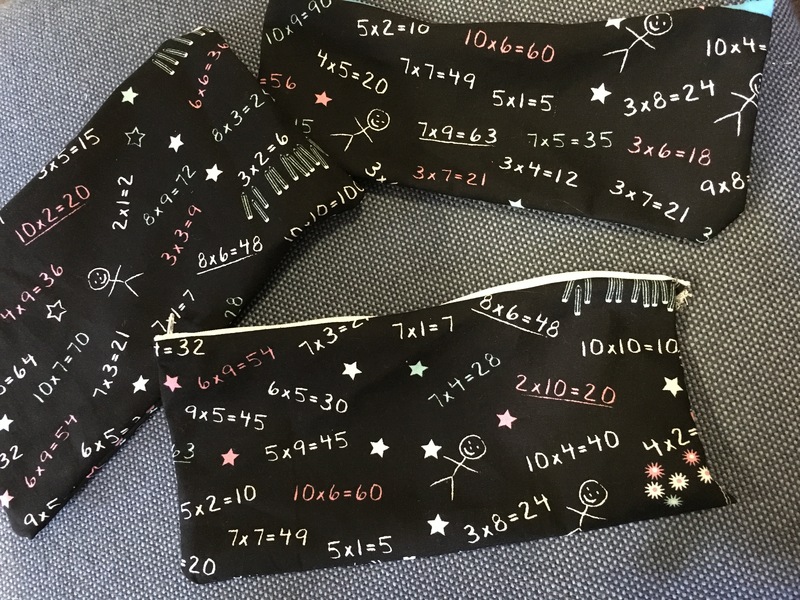 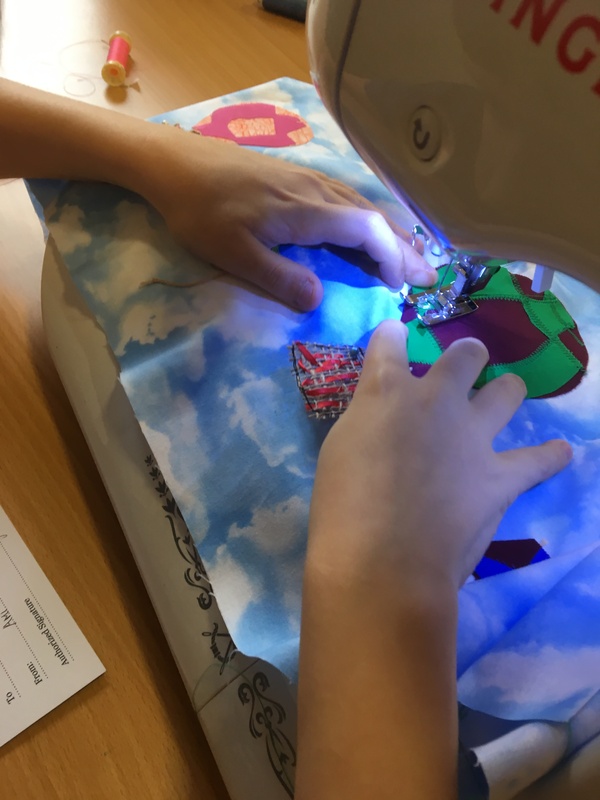 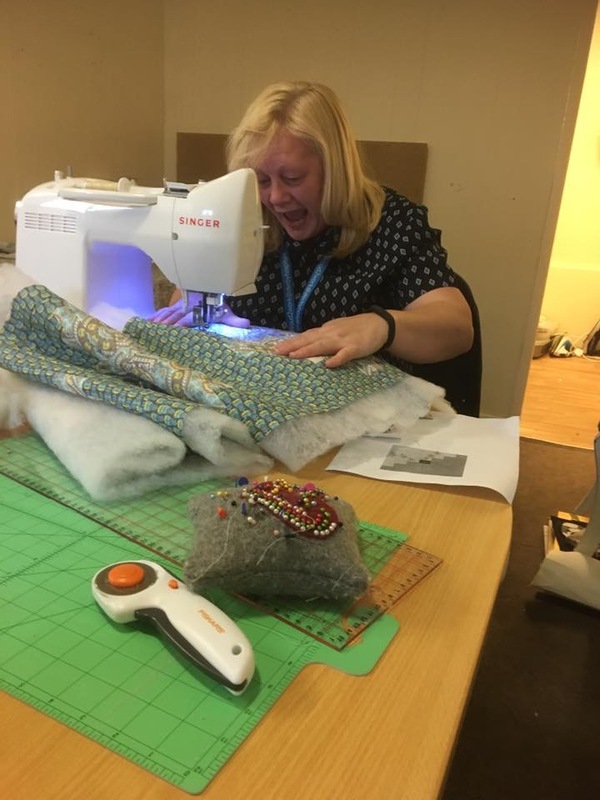 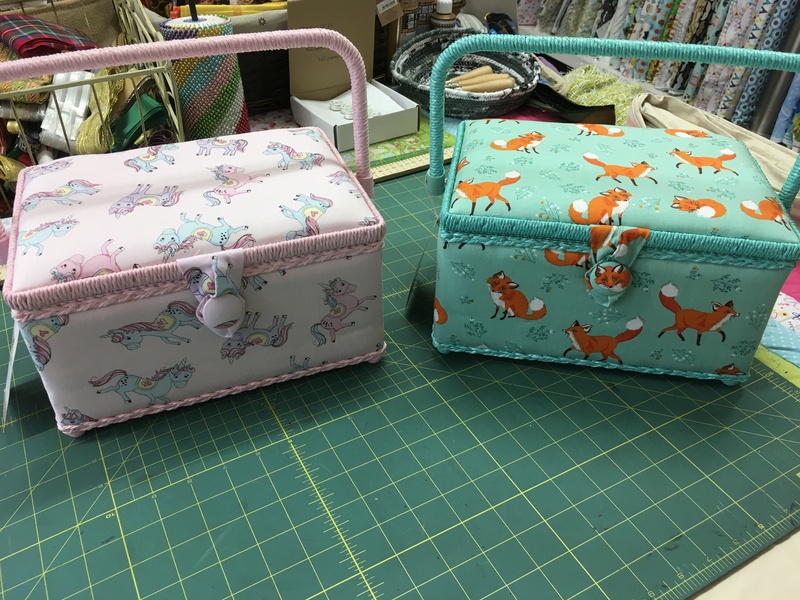 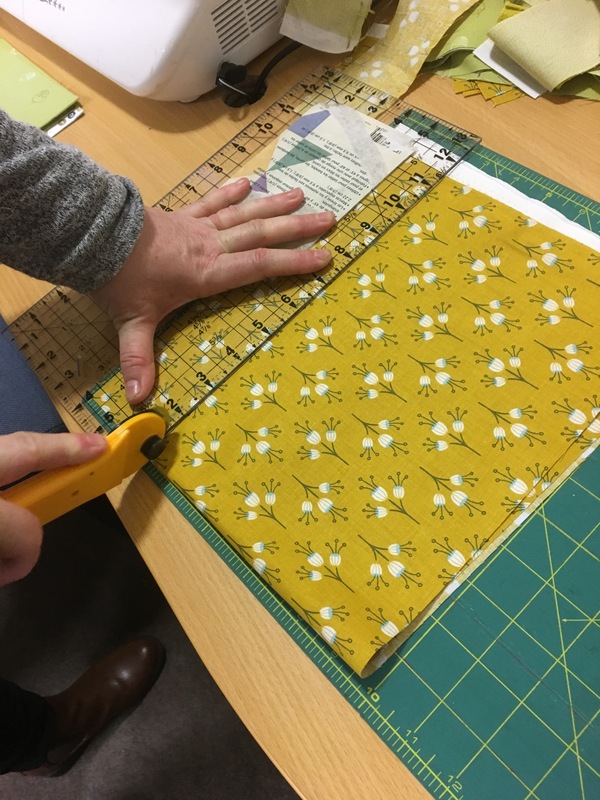 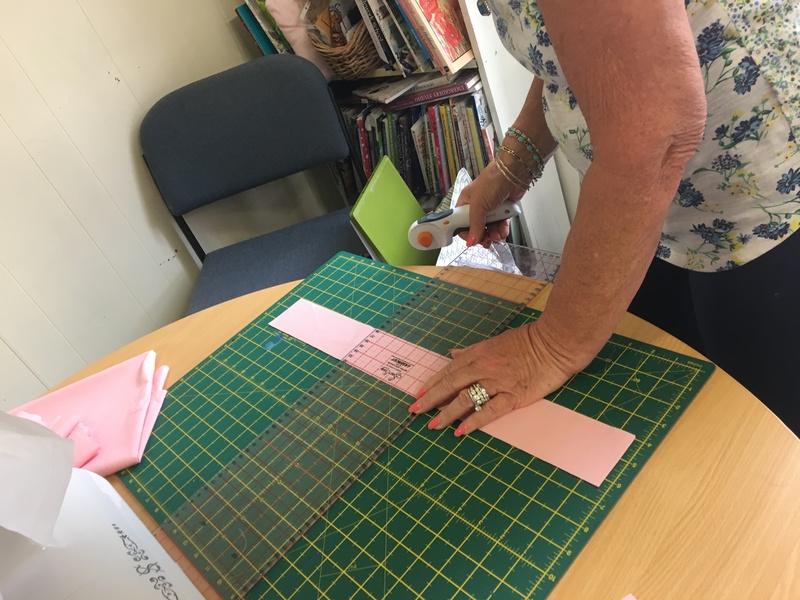 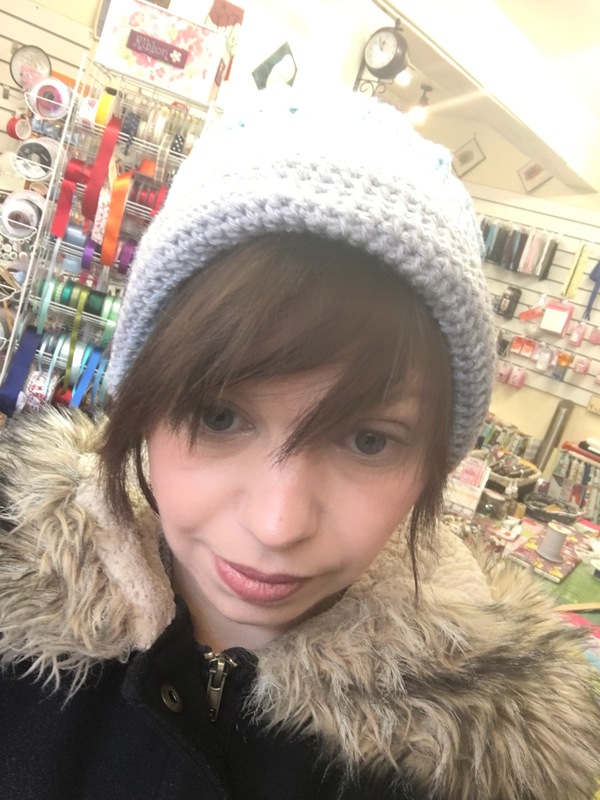 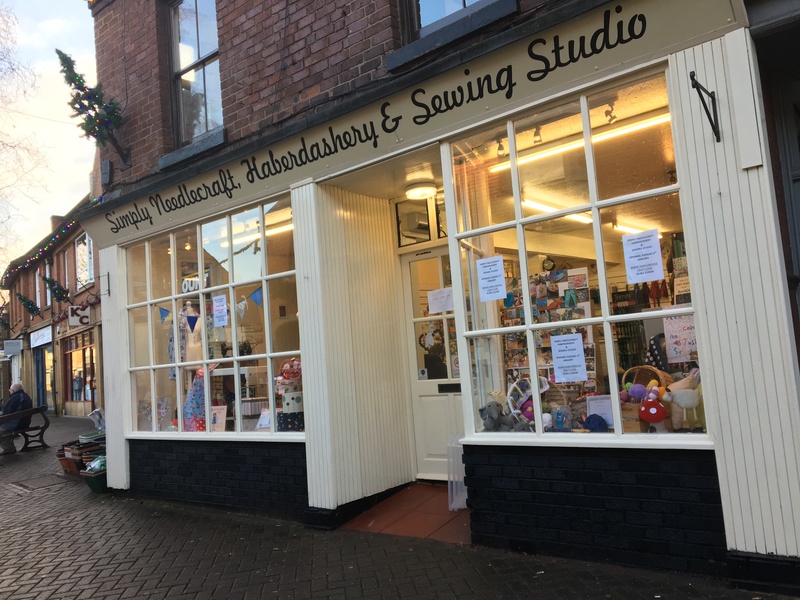 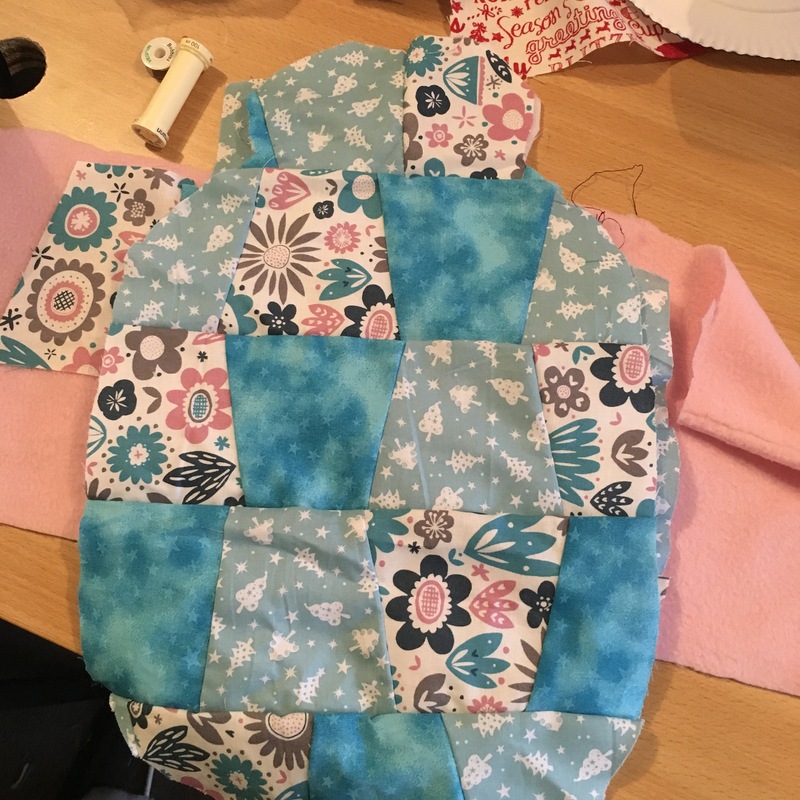 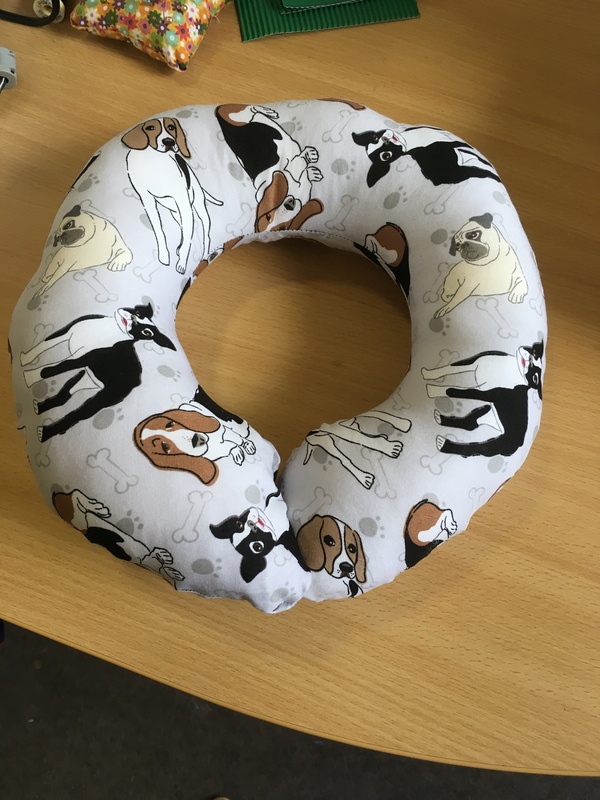 They are part way through a Christmas gift project but I’ll show you what they have been up to…..
We’ve also had a birthday party here in the sewing studio. 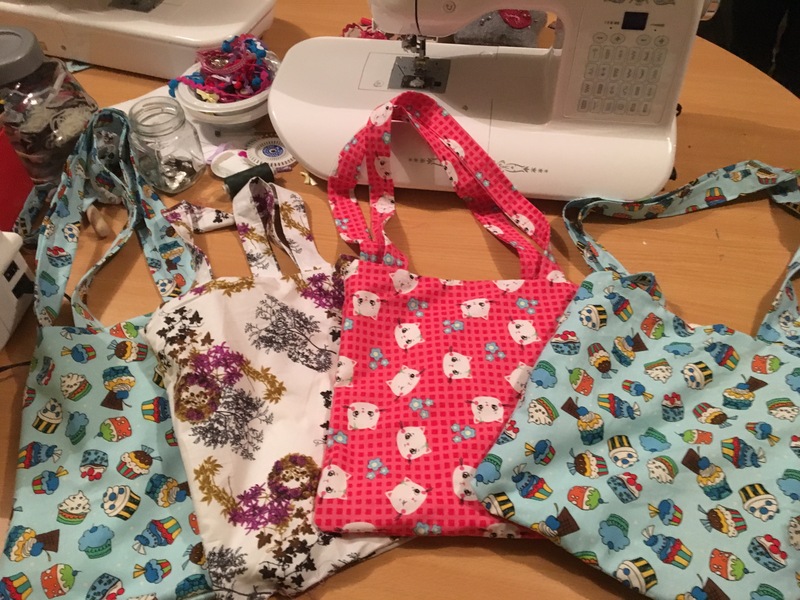 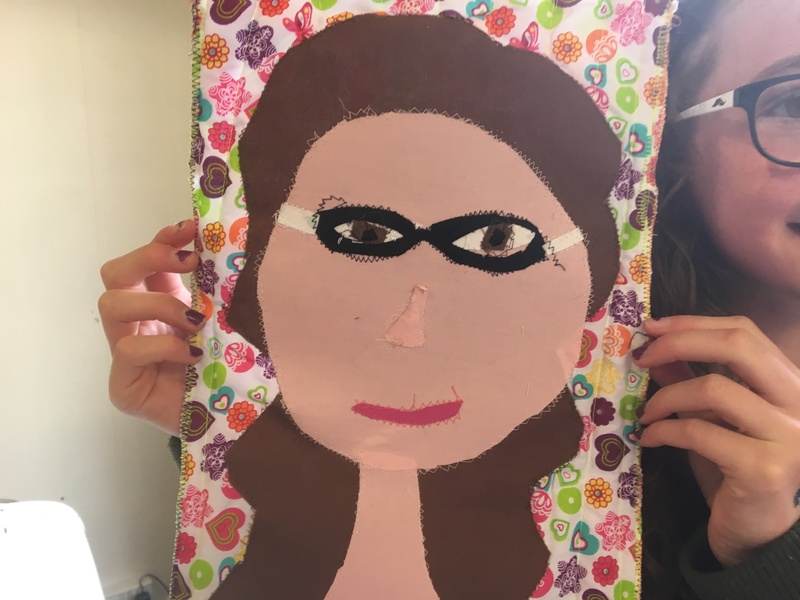 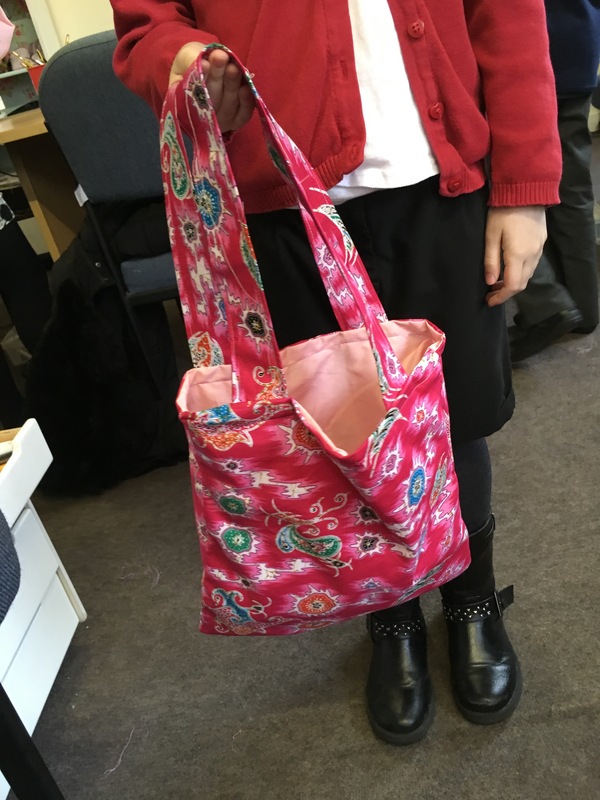 It’s was a tote bag themed party….. 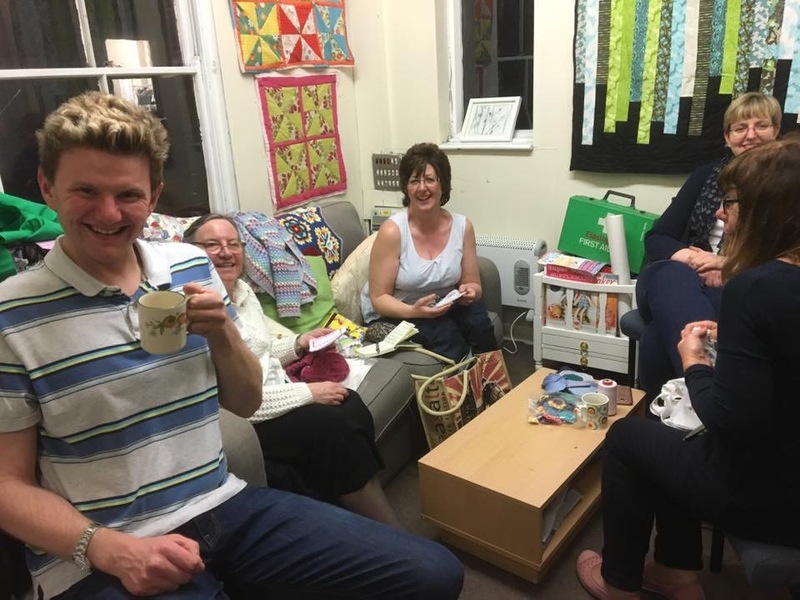 They are so talented that I decided to hold an awards evening for them all but with a twist. 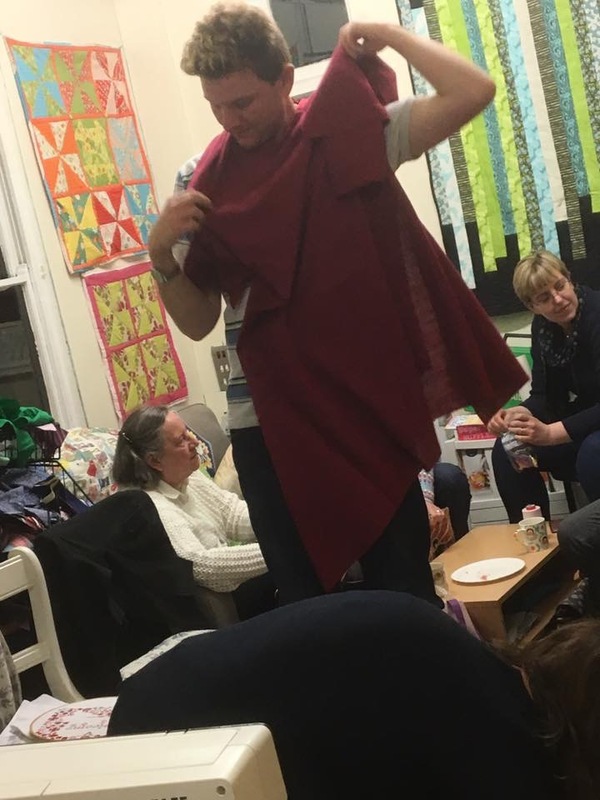 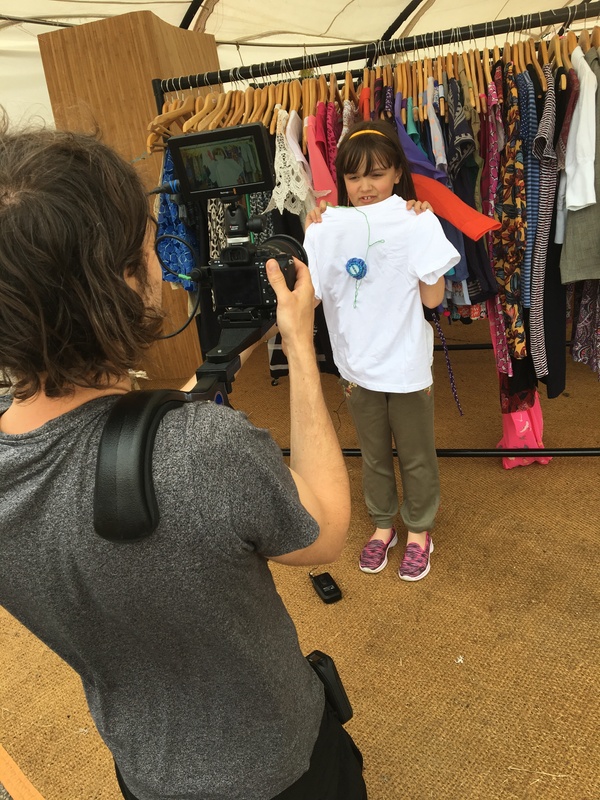 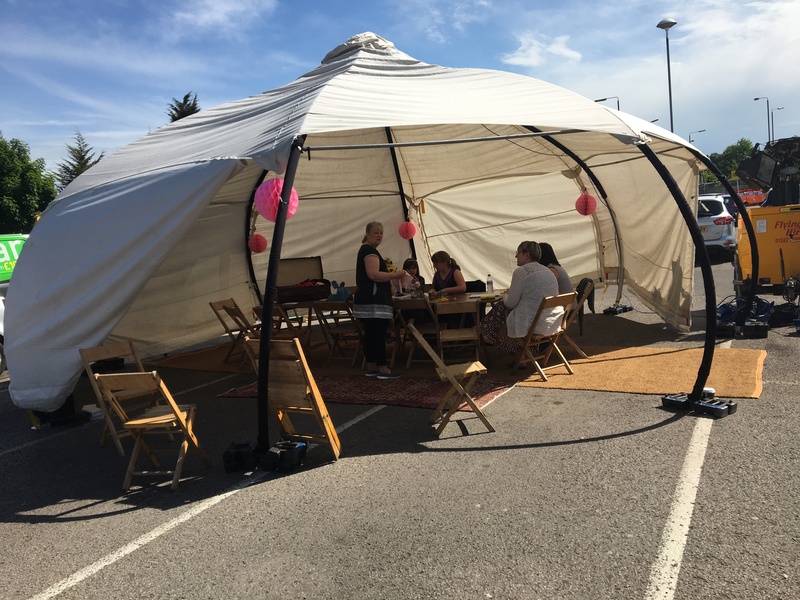 Most of them were aware they were coming…..but I had a secret that only me and their mums knew. 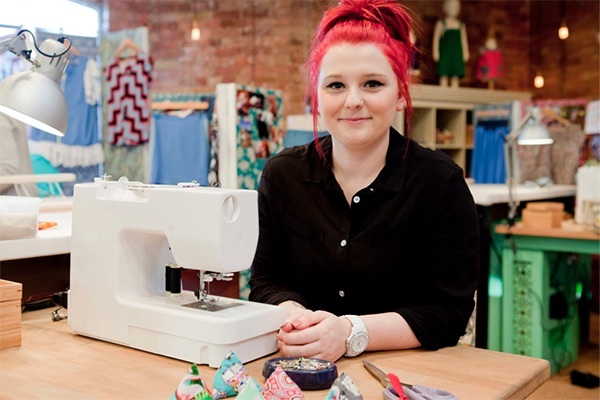 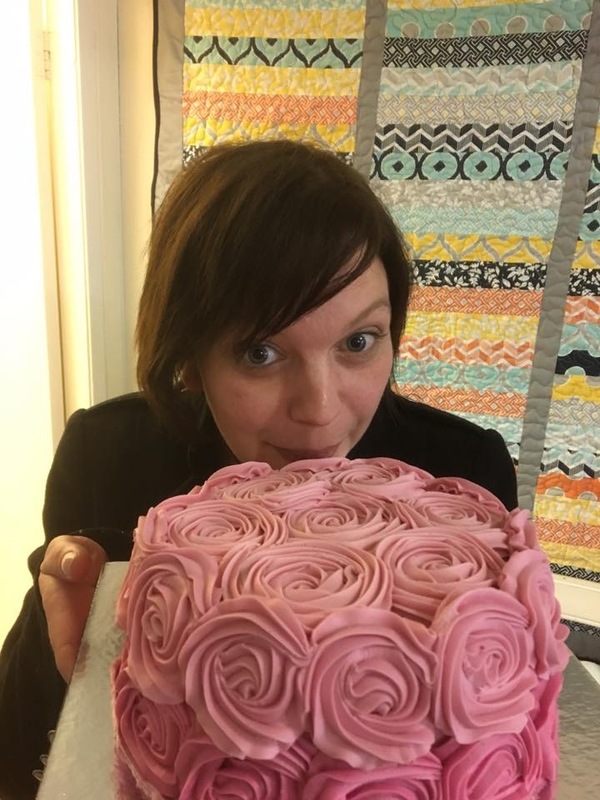 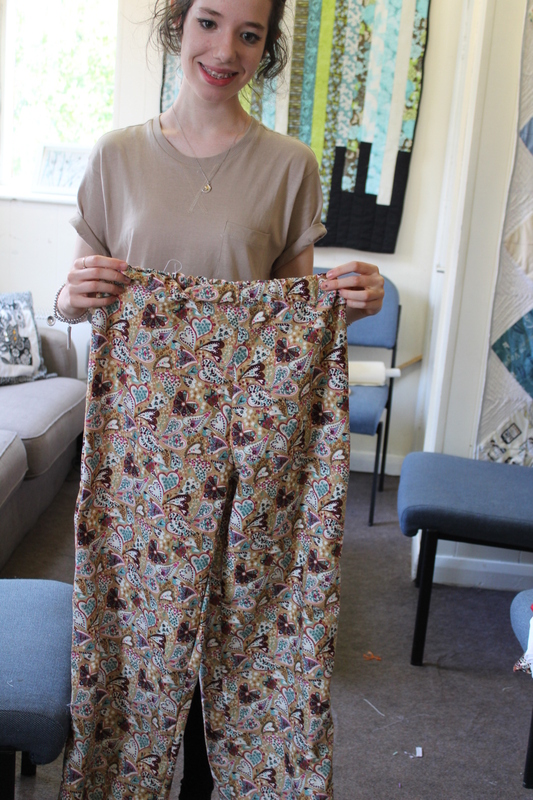 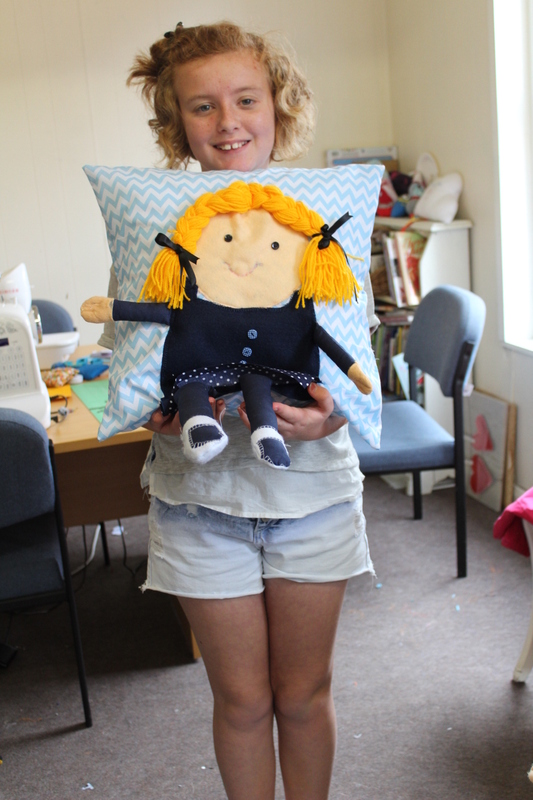 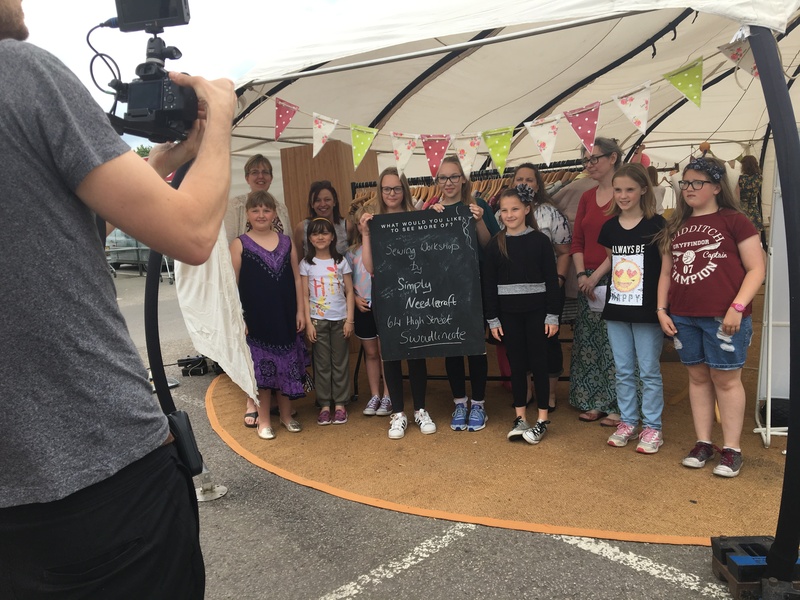 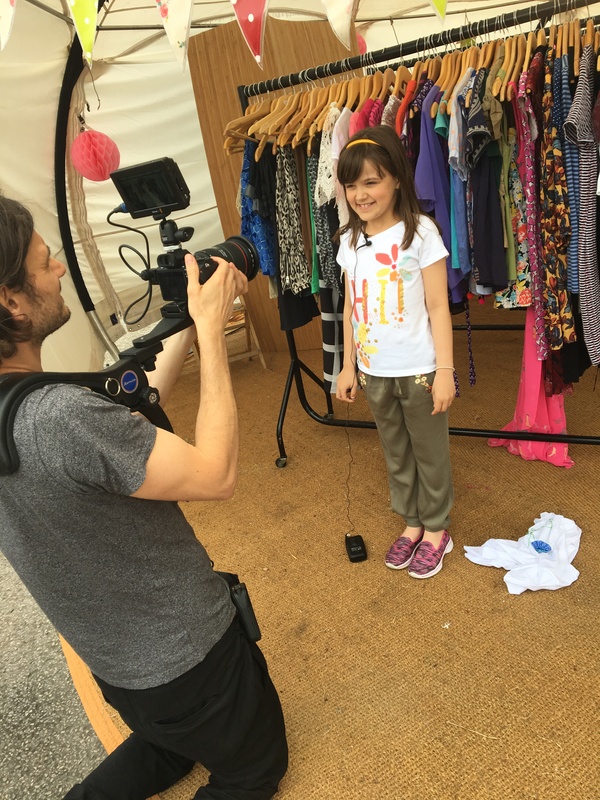 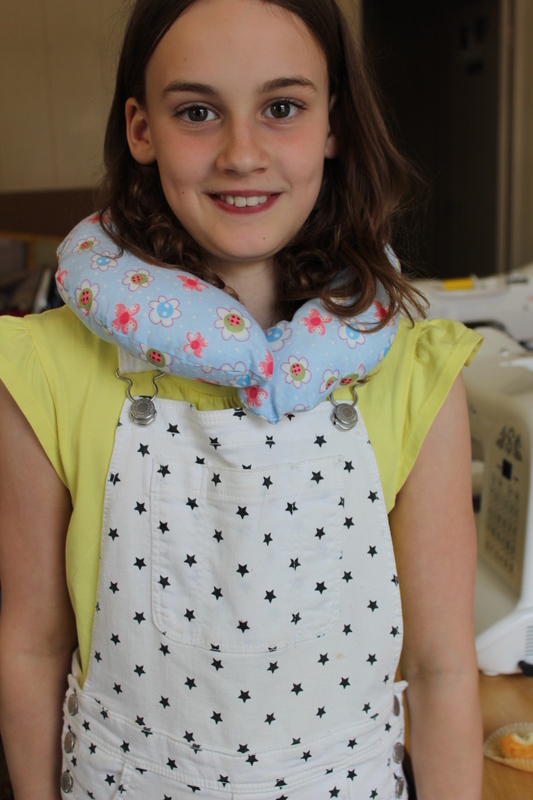 We had a guest, the lovely Jade Earley from this years The Great British Sewing Bee. 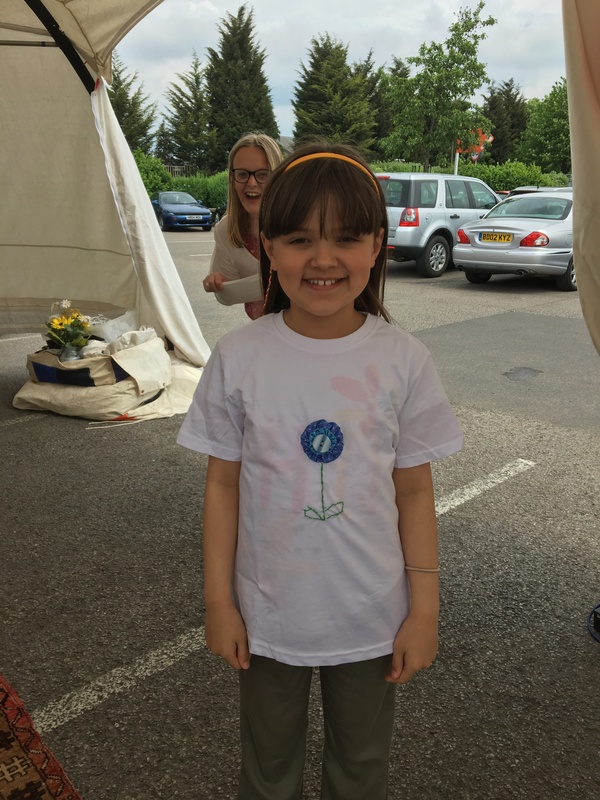 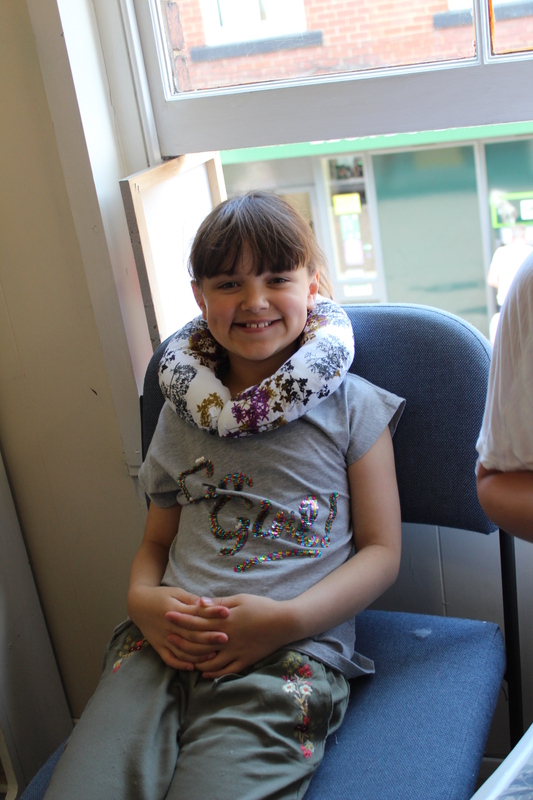 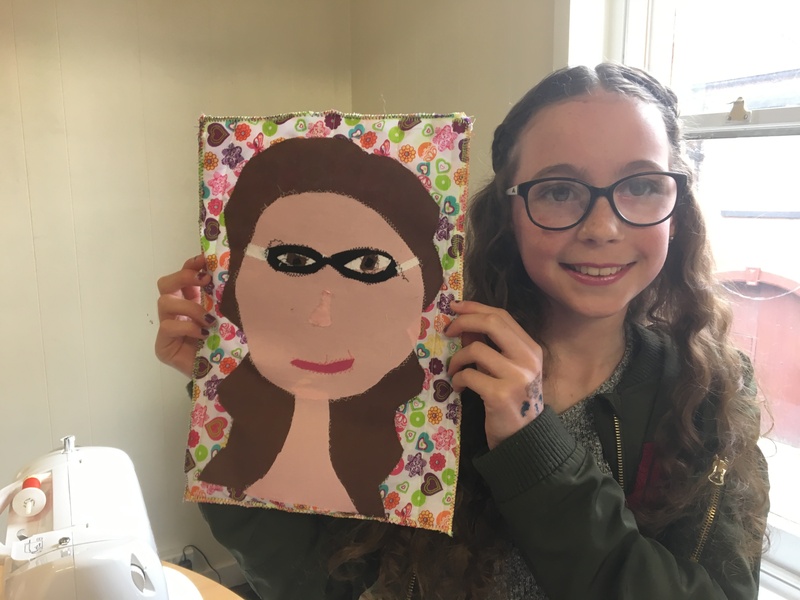 Jade was live via link to all the children, she has signed all the certificates personally and if that wasn’t enough, jade had made them all gifts to say well done. 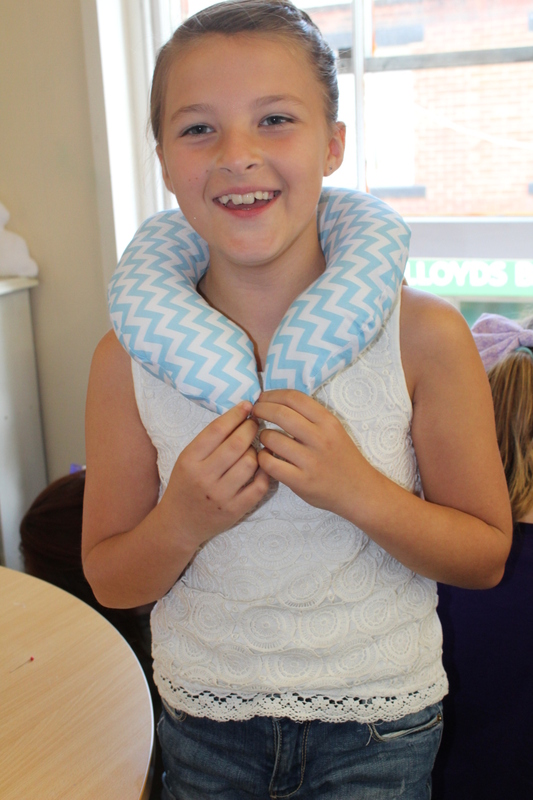 We had an amazing evening of certificates, food and fireworks. 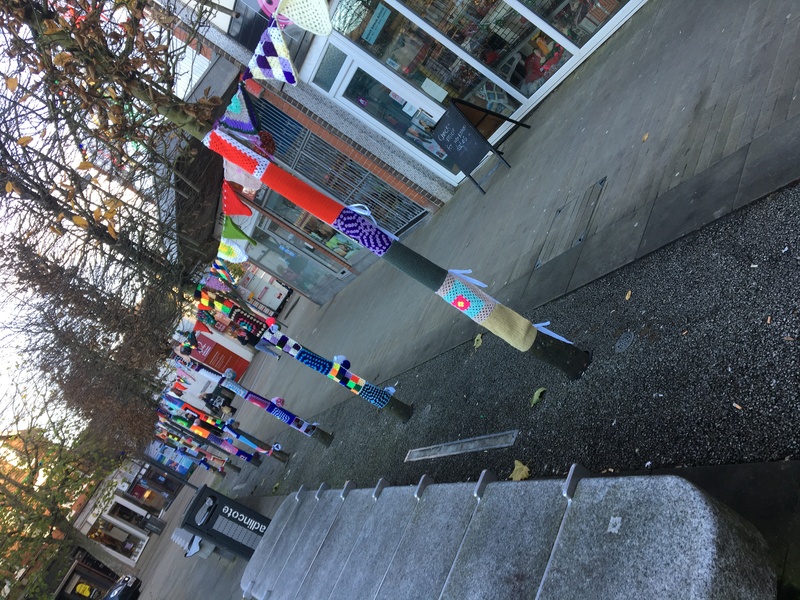 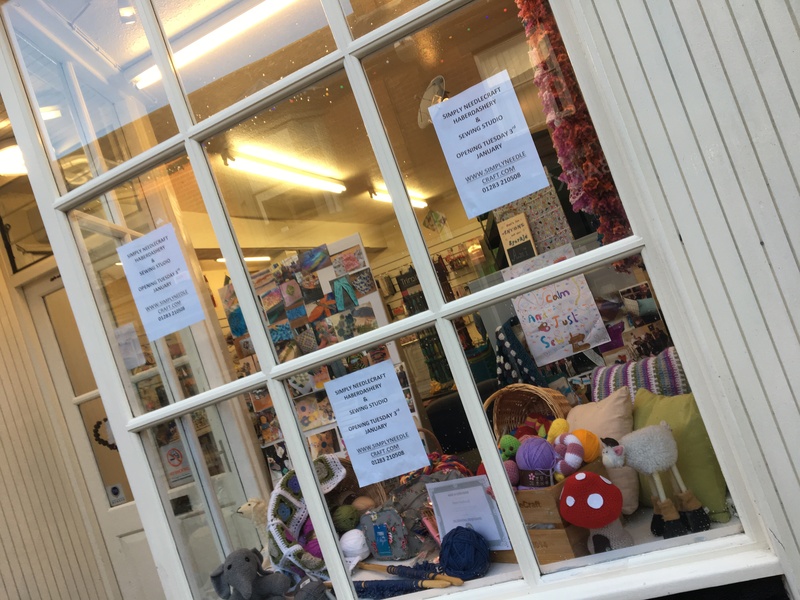 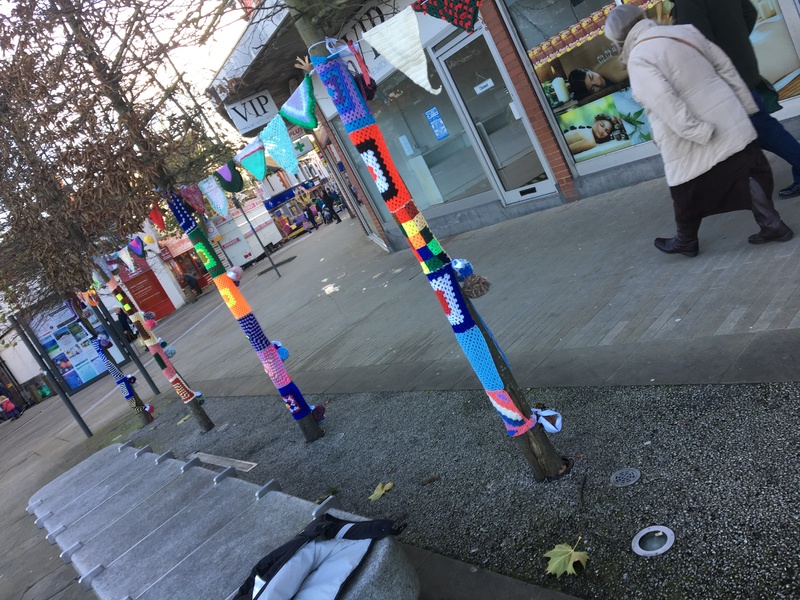 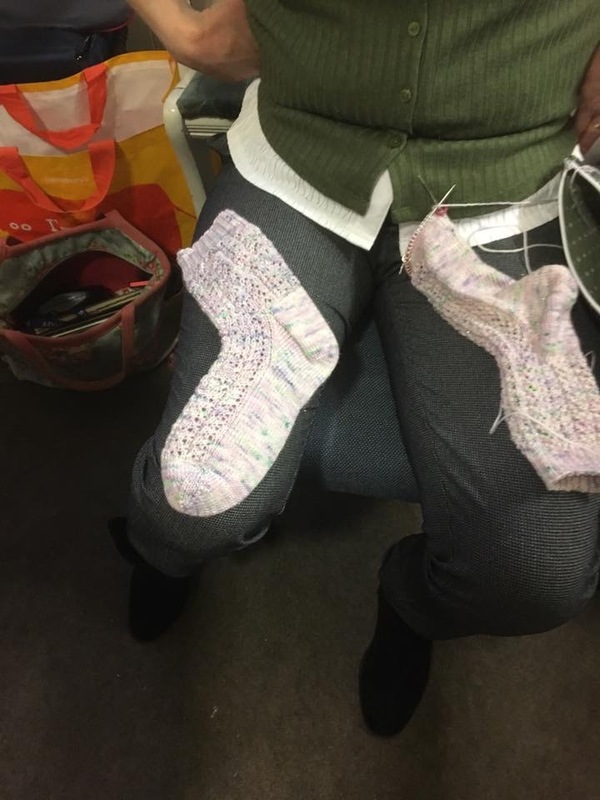 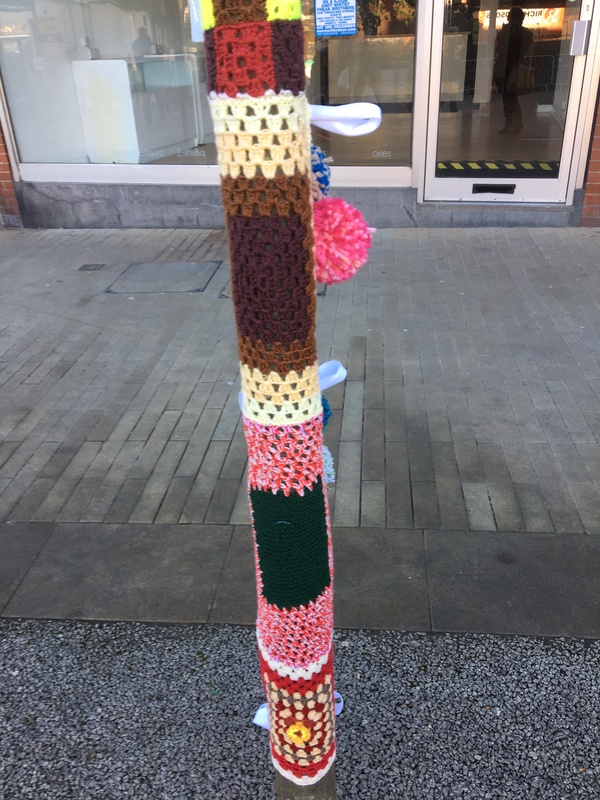 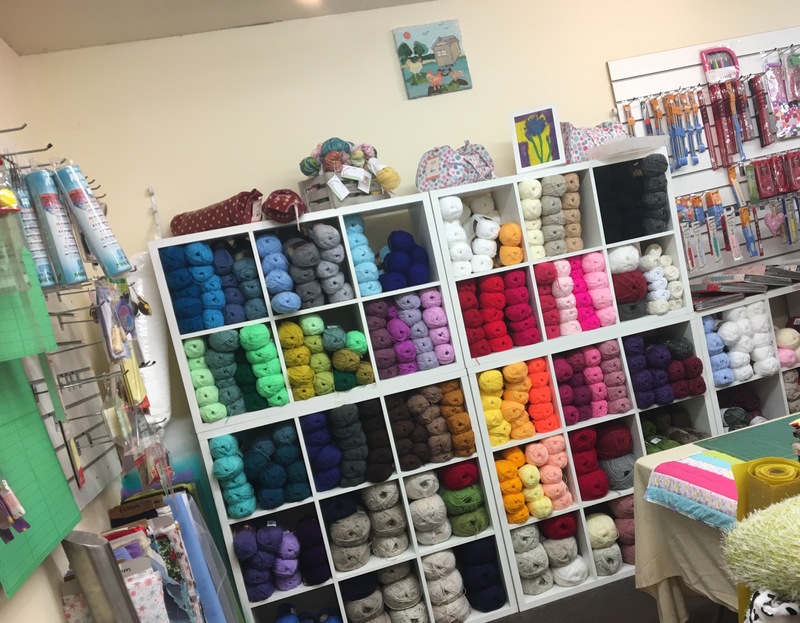 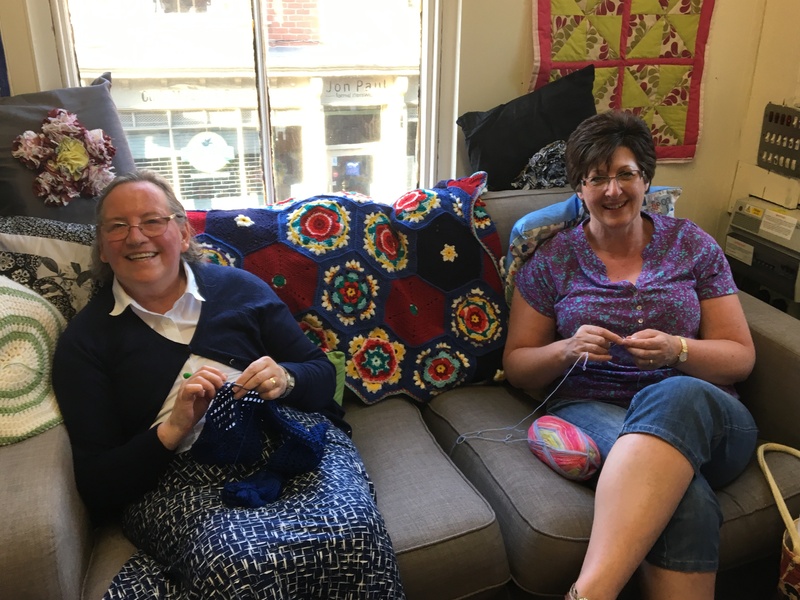 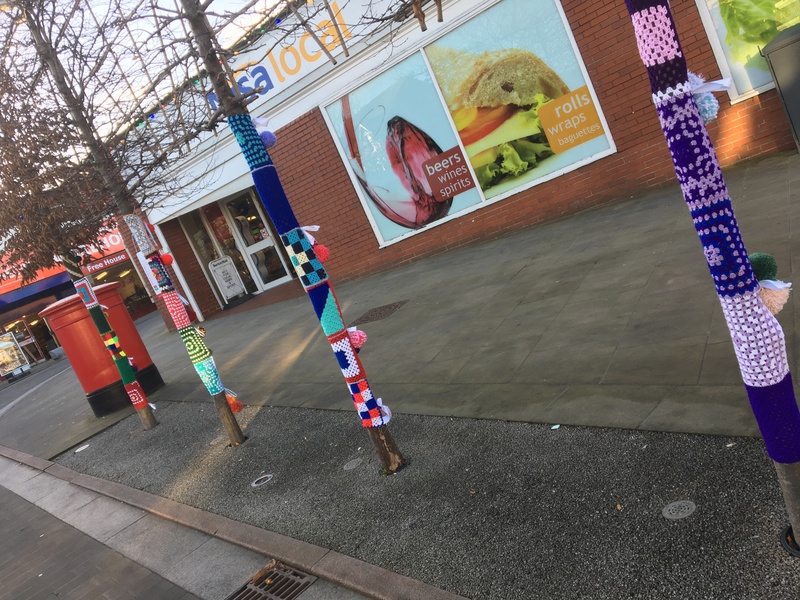 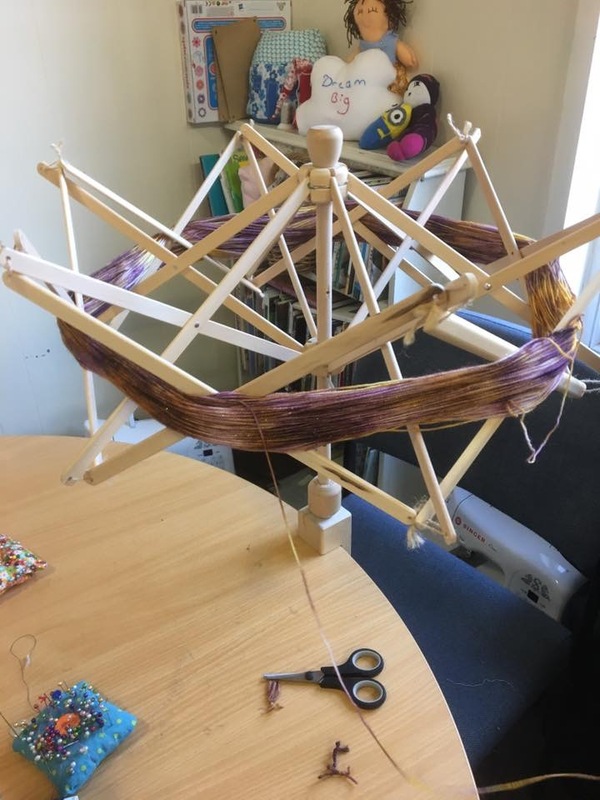 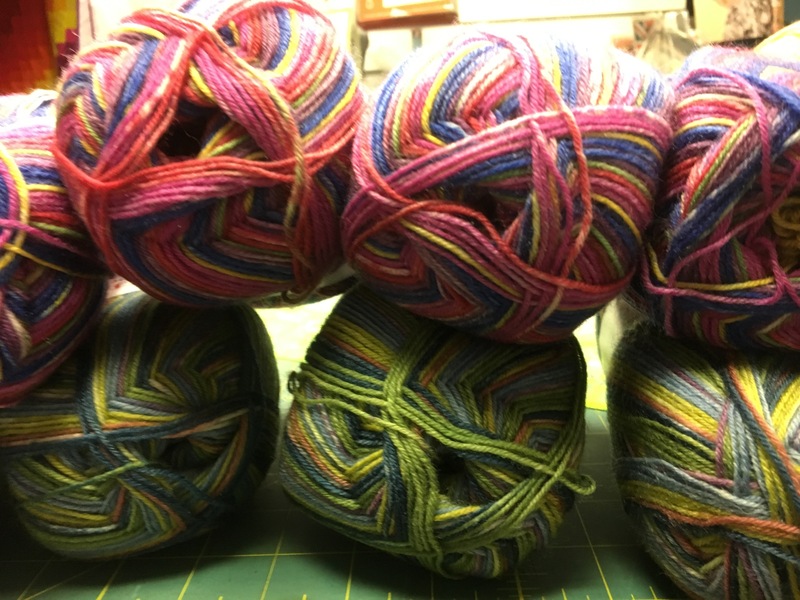 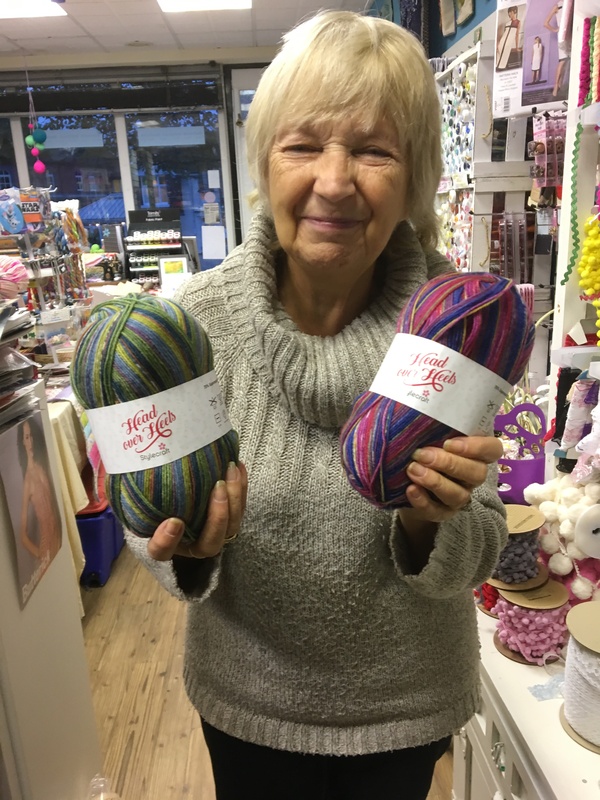 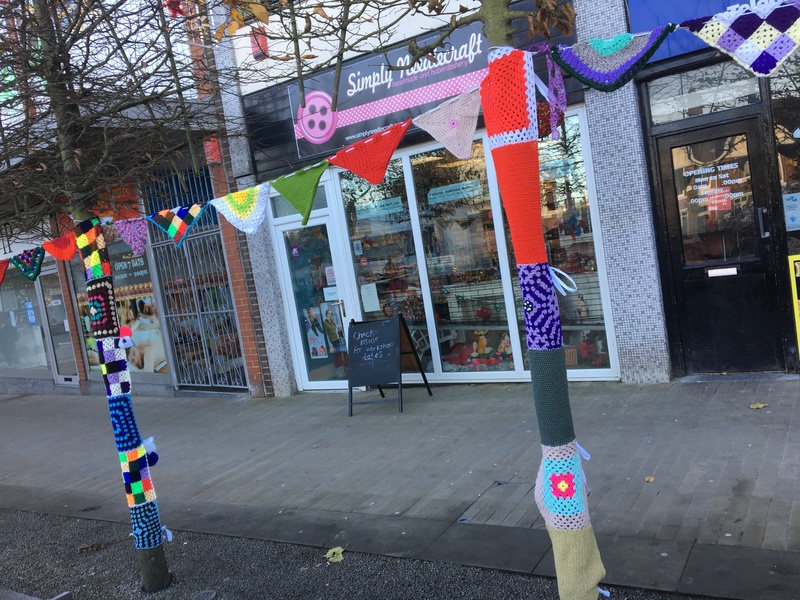 It was time for the yarn bombing to start too….told you we’ve been busy. 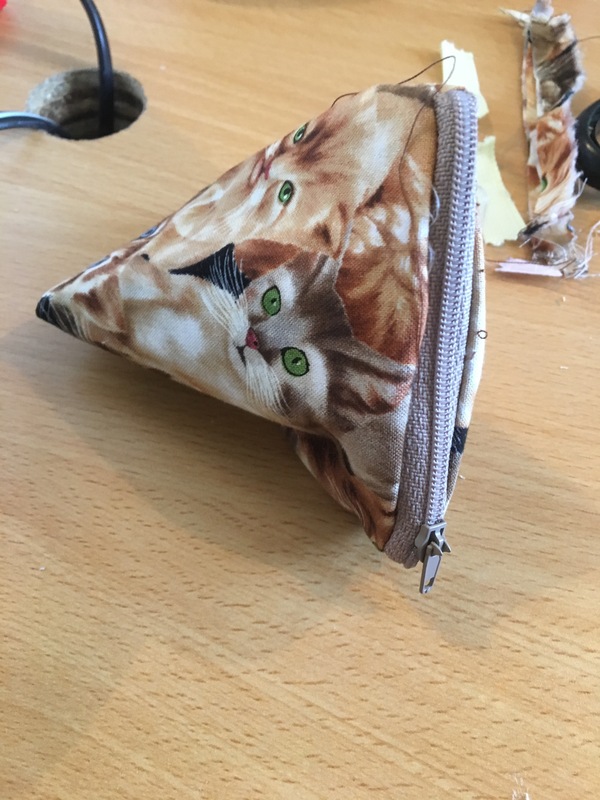 I would like to thank everyone who donated their time and skills on this project. 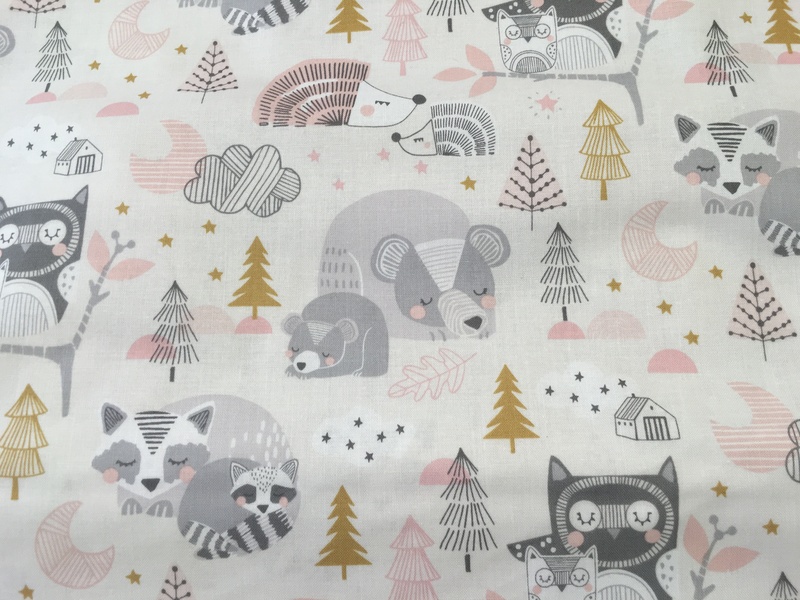 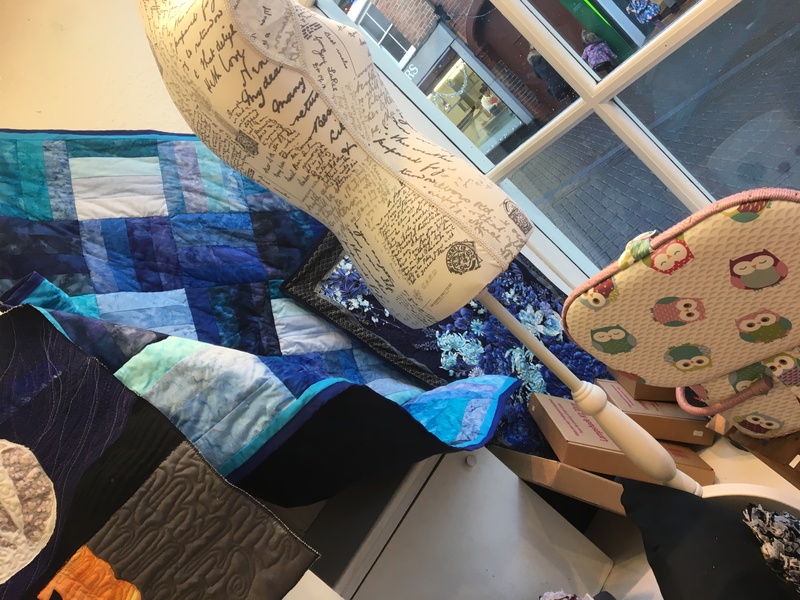 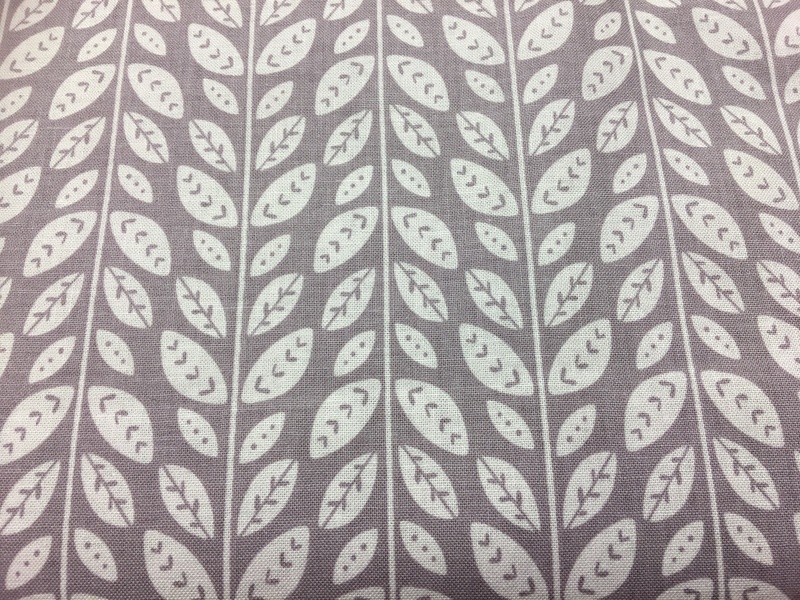 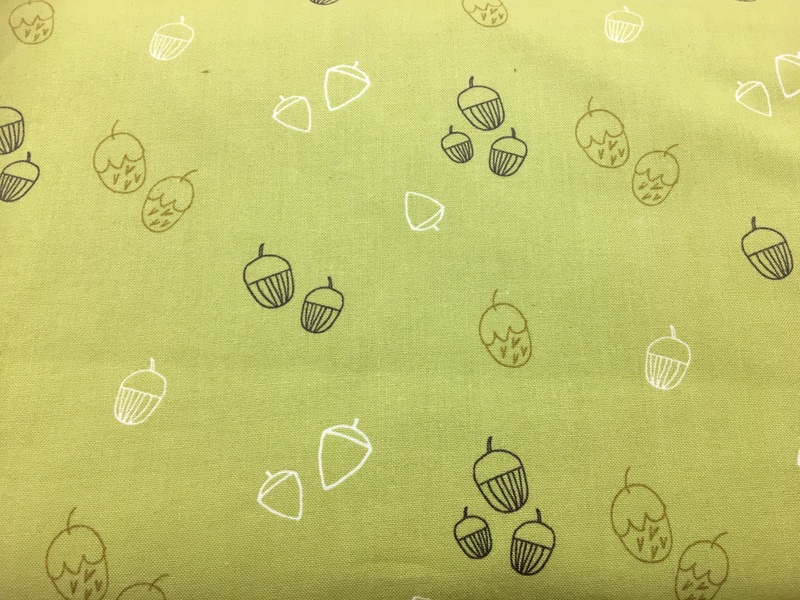 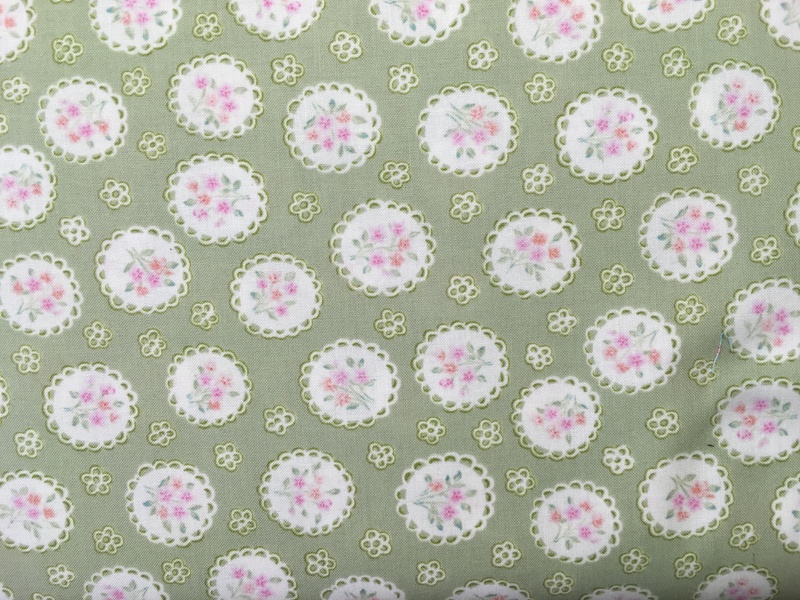 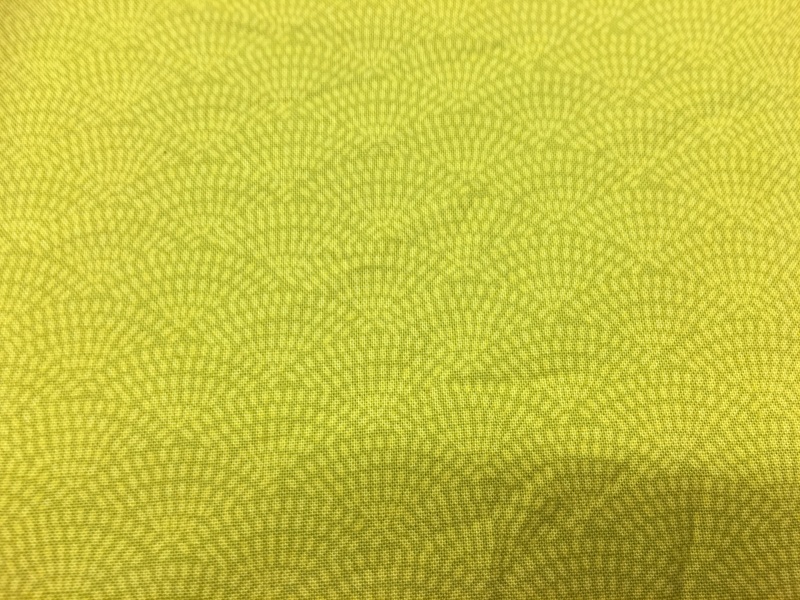 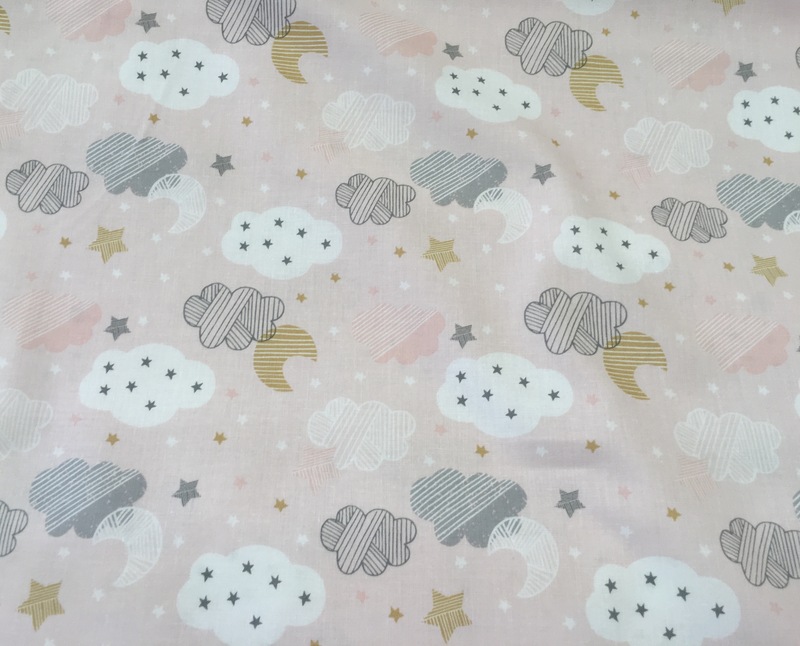 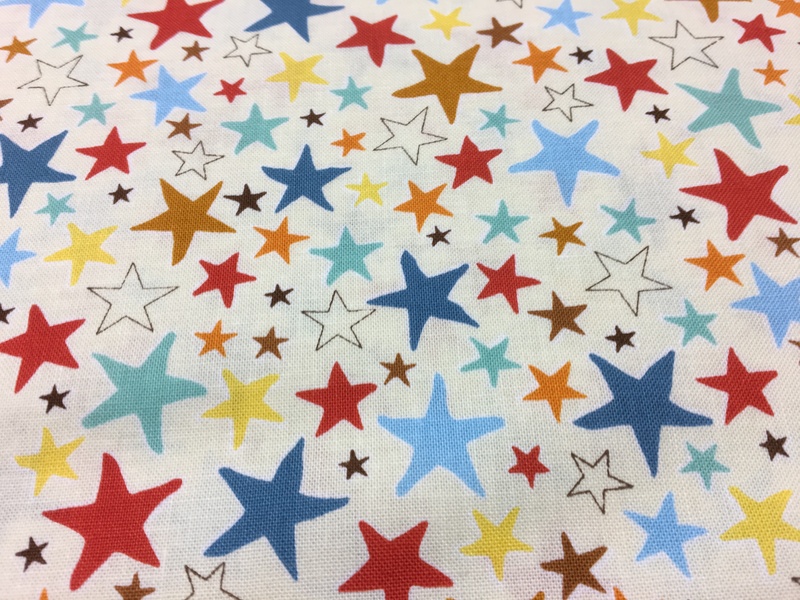 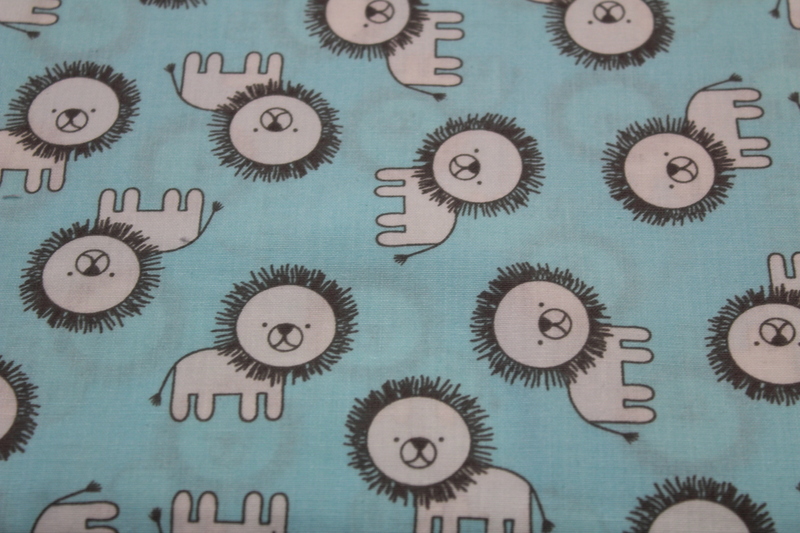 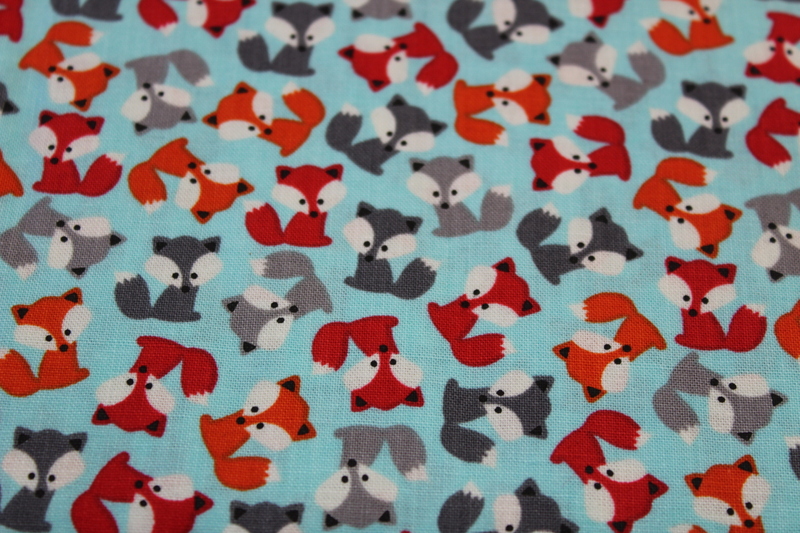 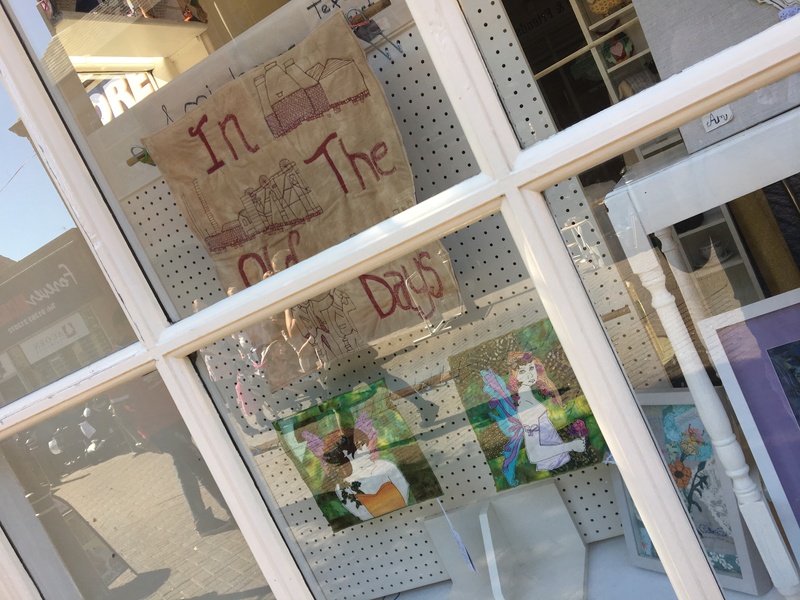 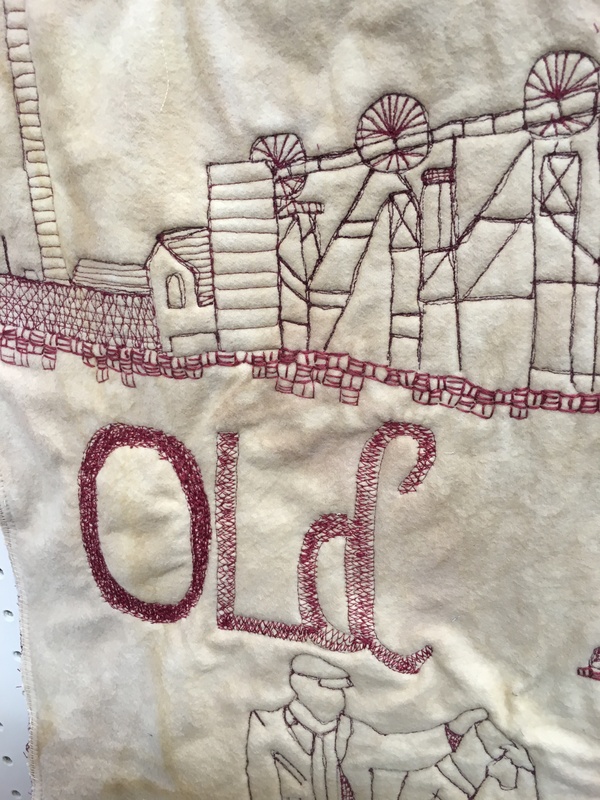 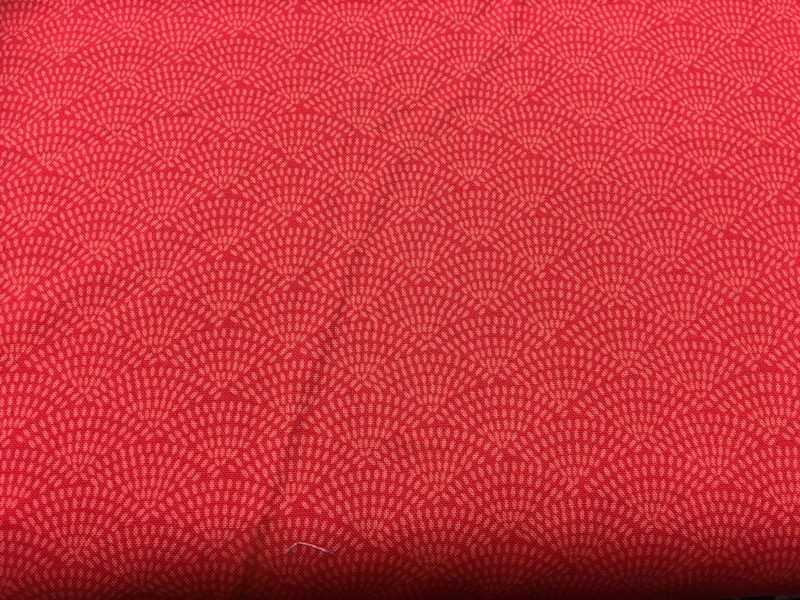 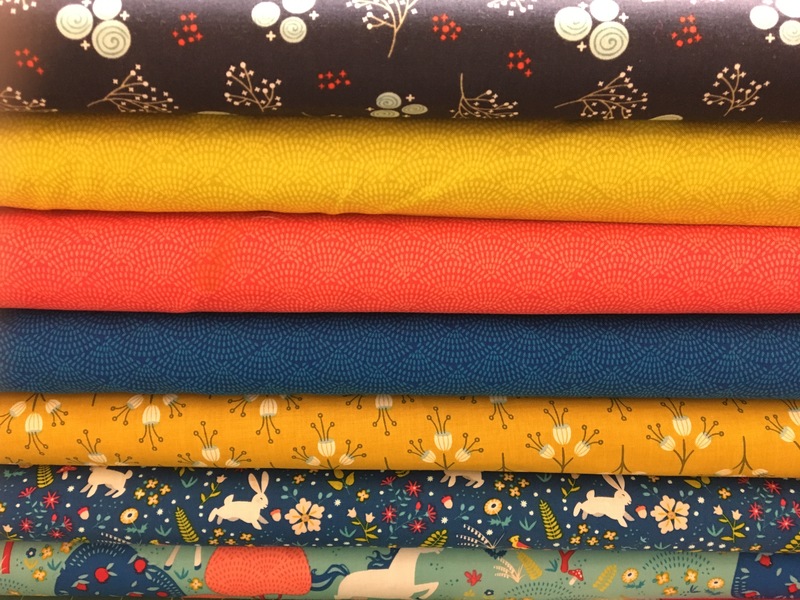 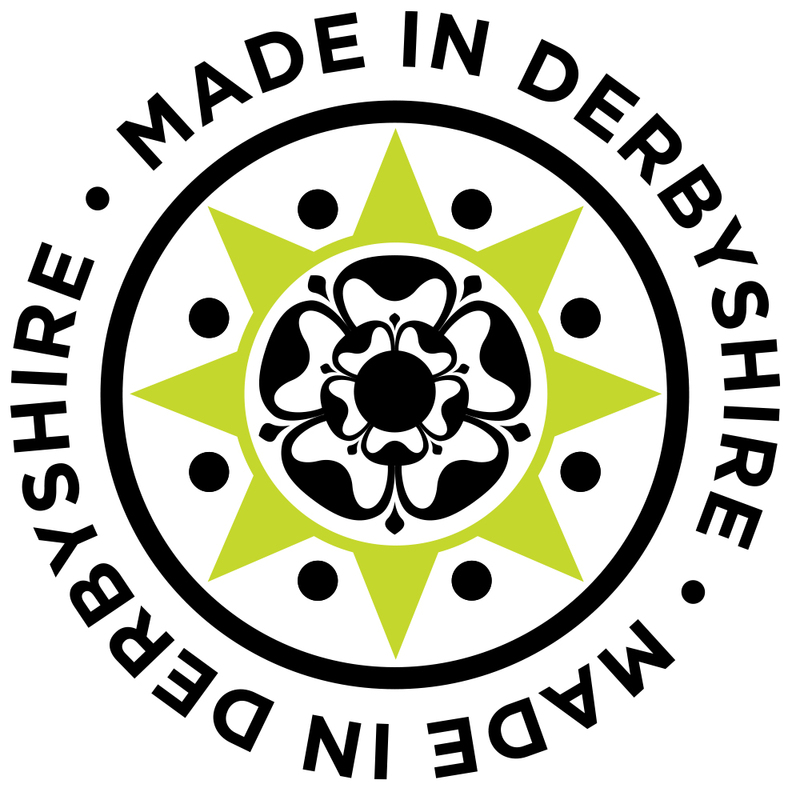 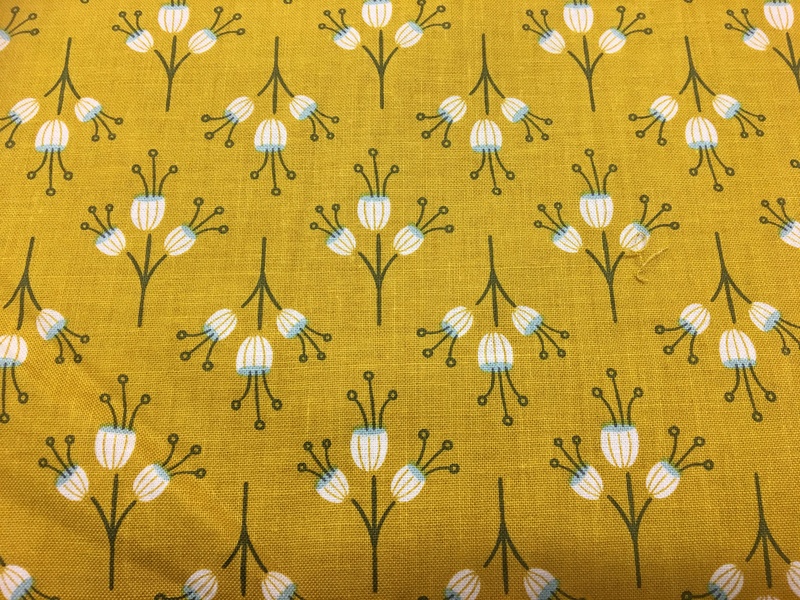 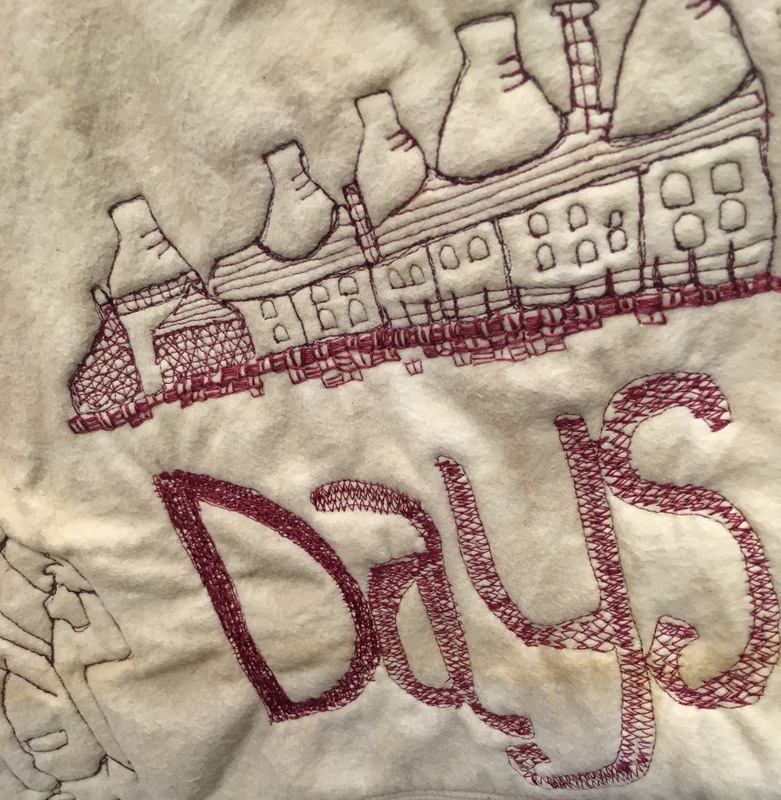 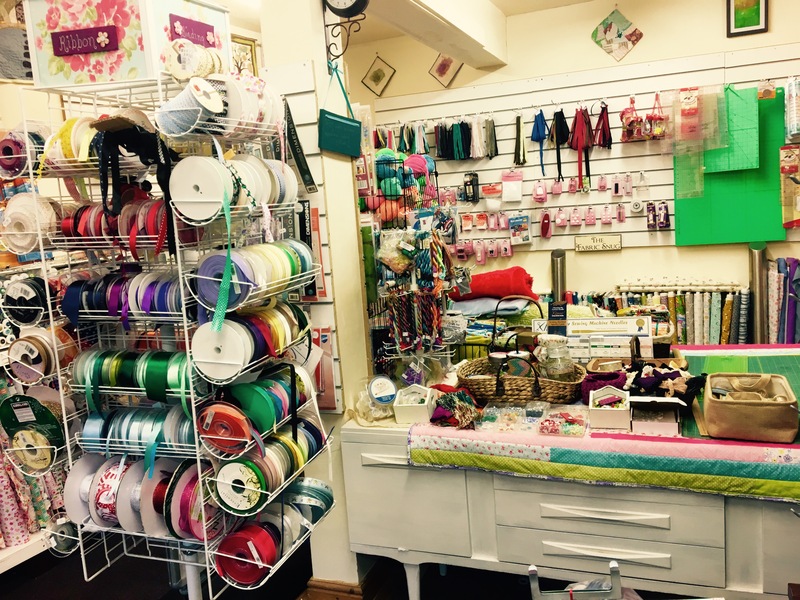 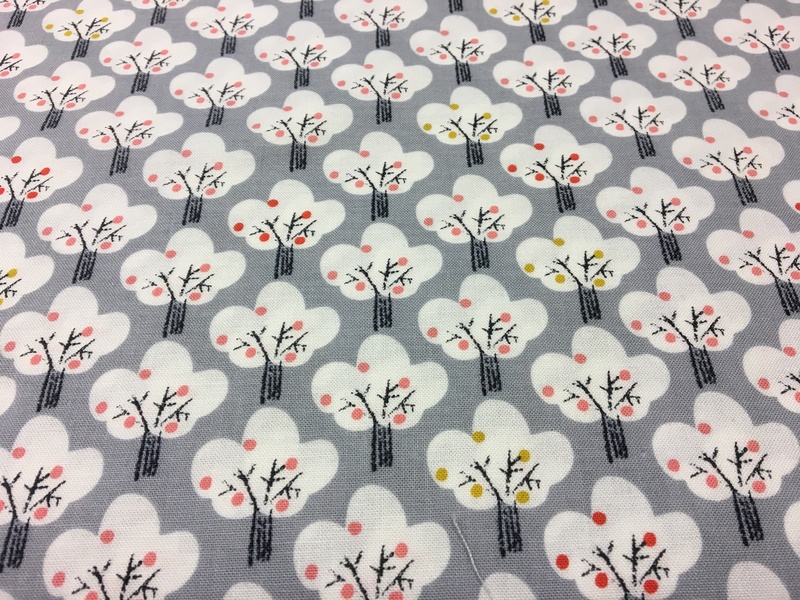 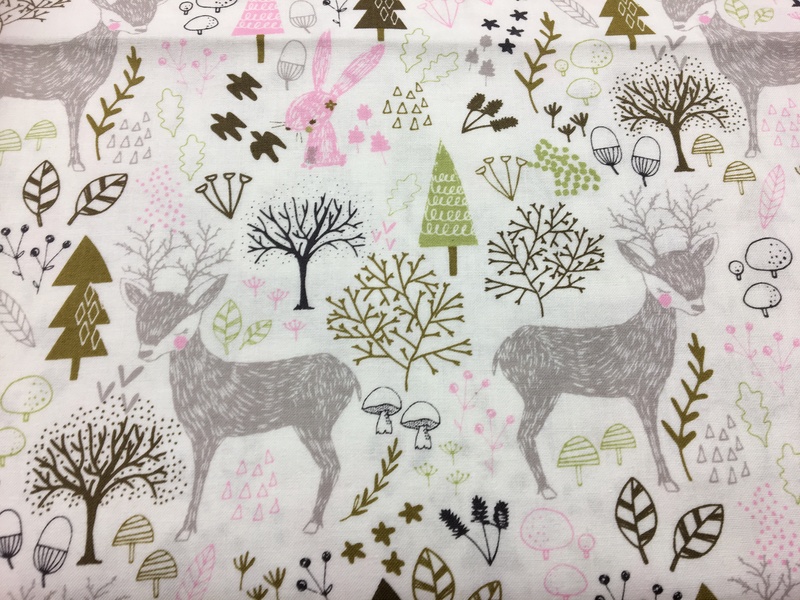 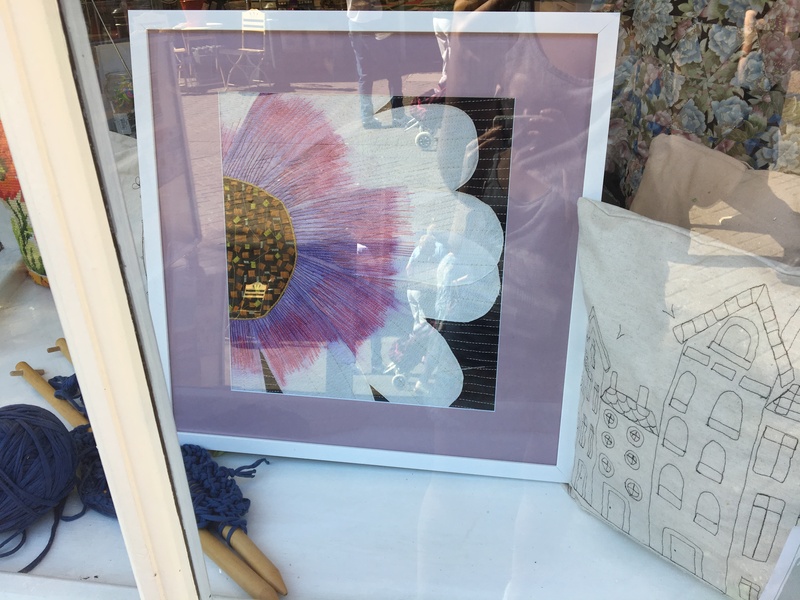 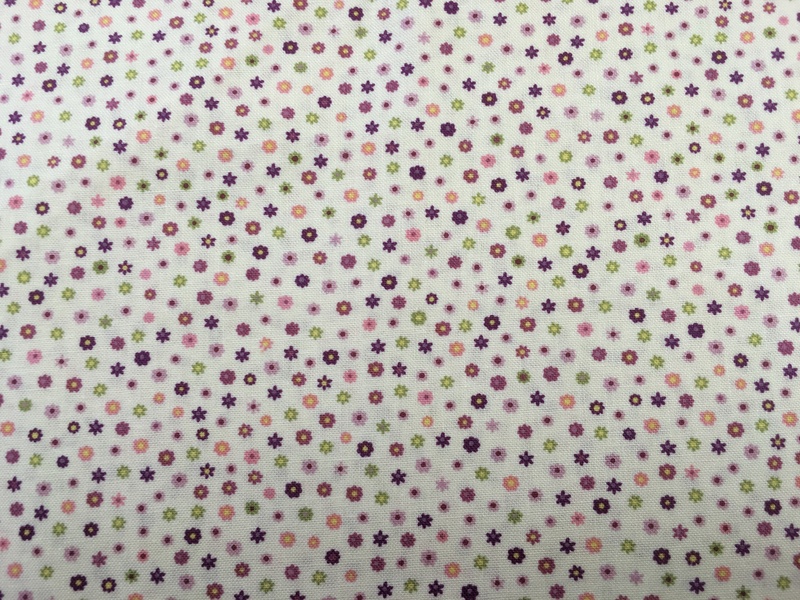 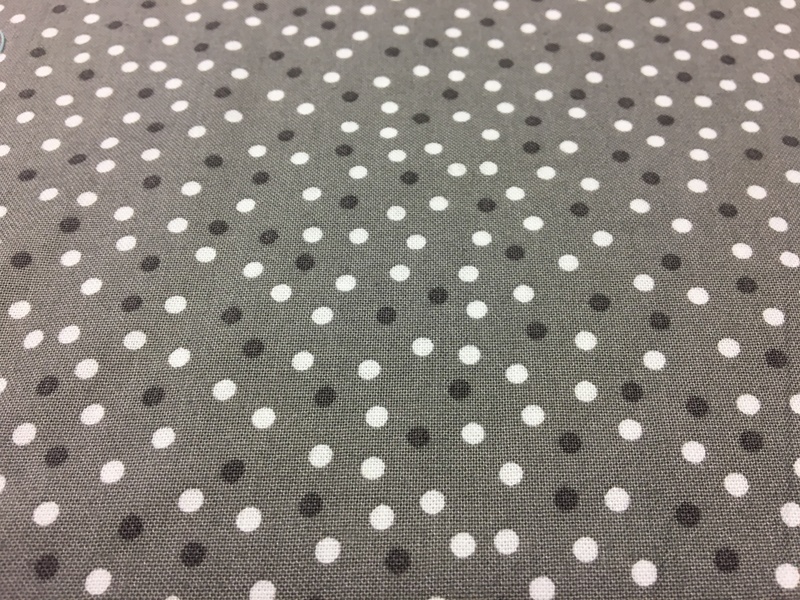 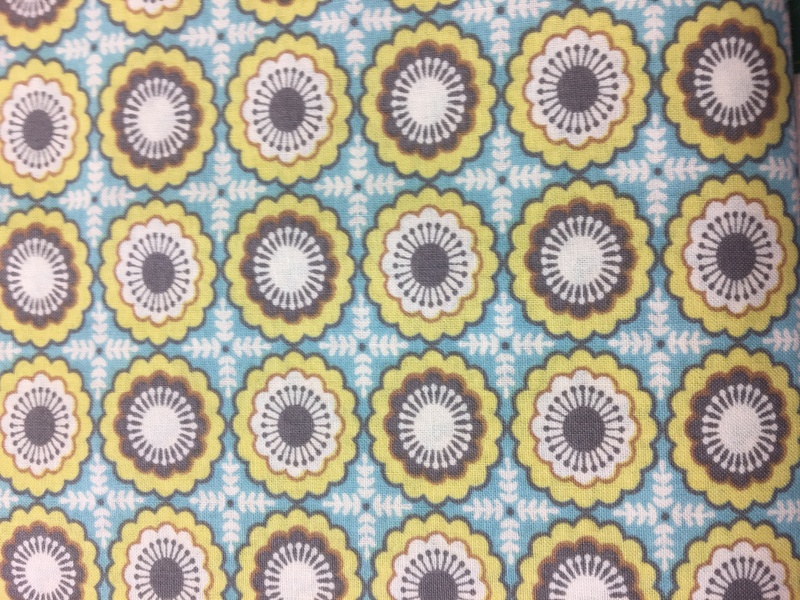 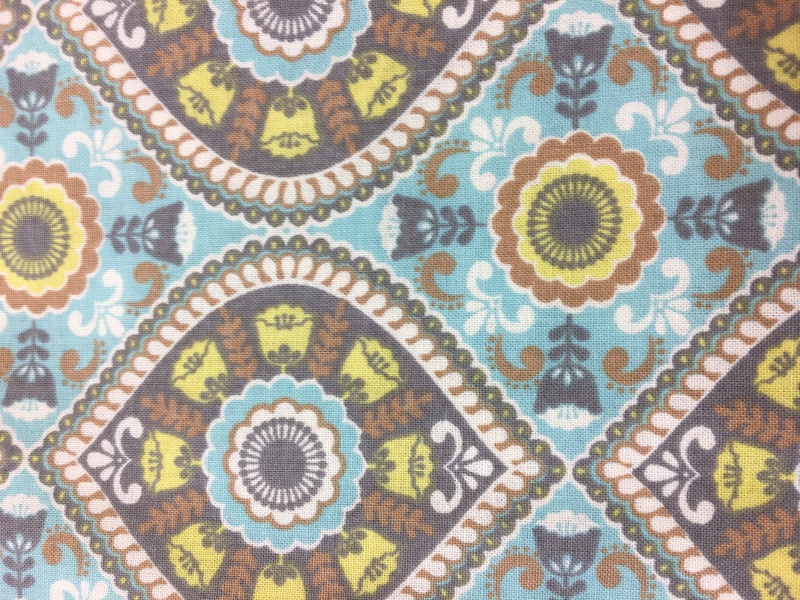 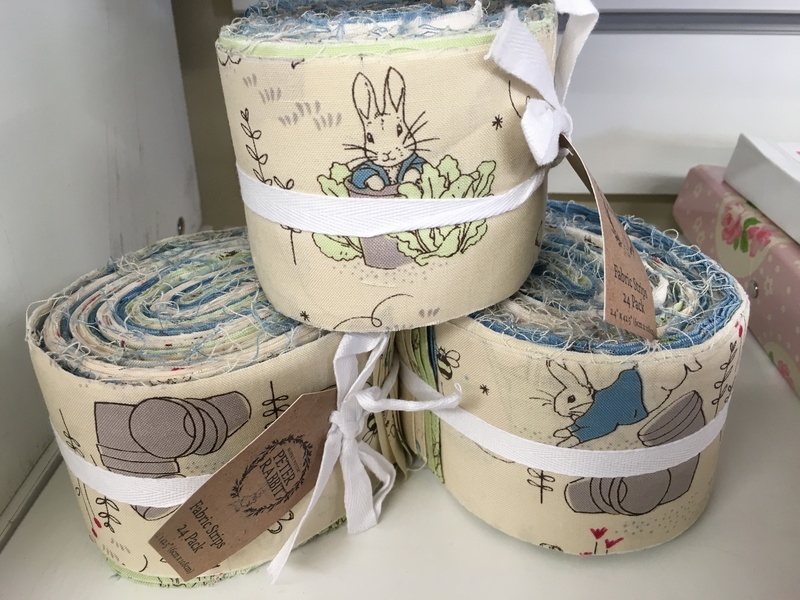 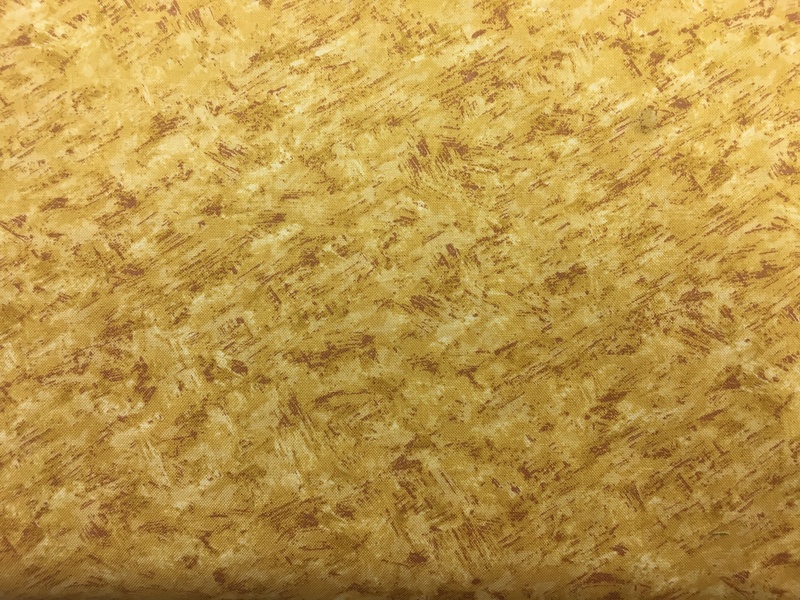 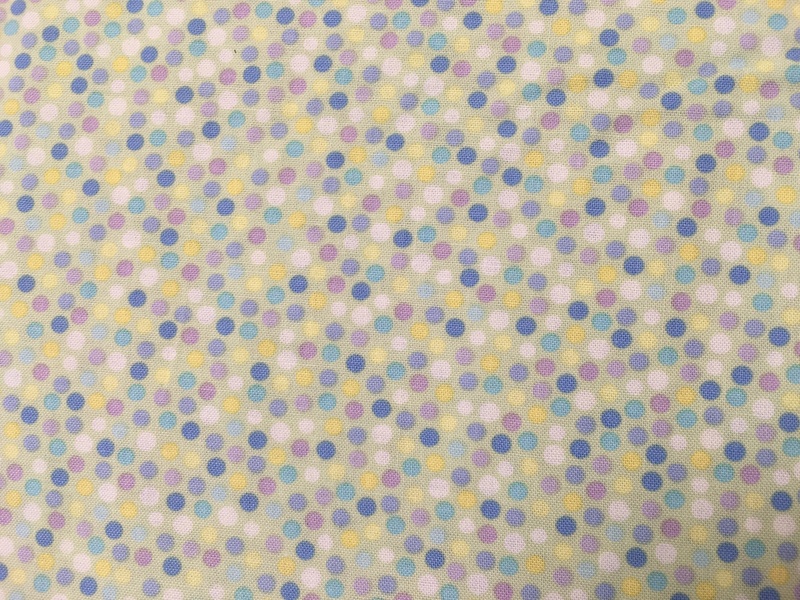 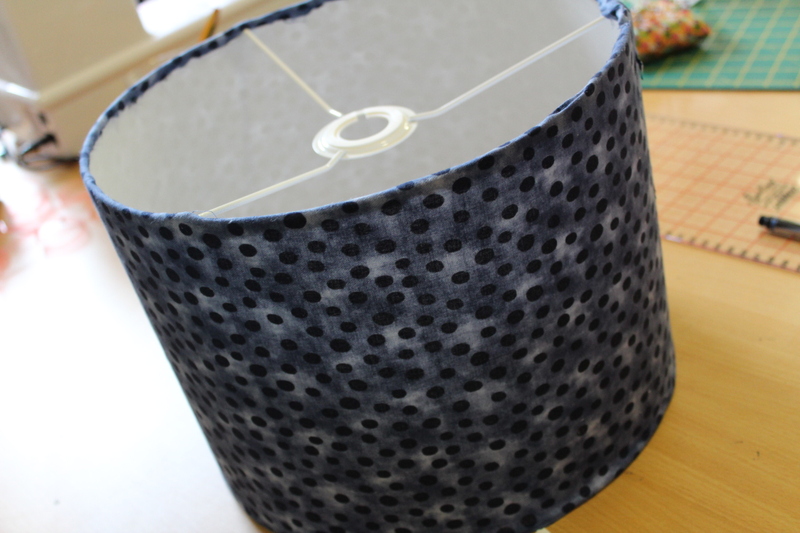 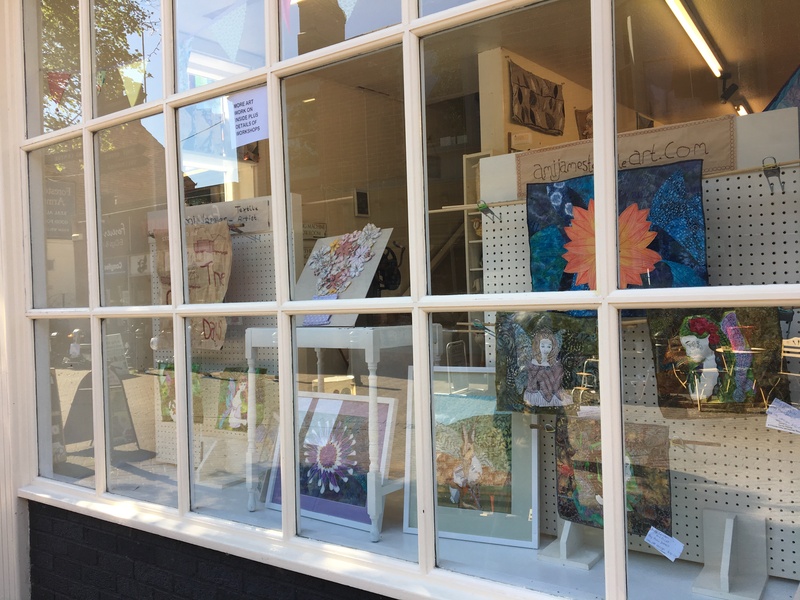 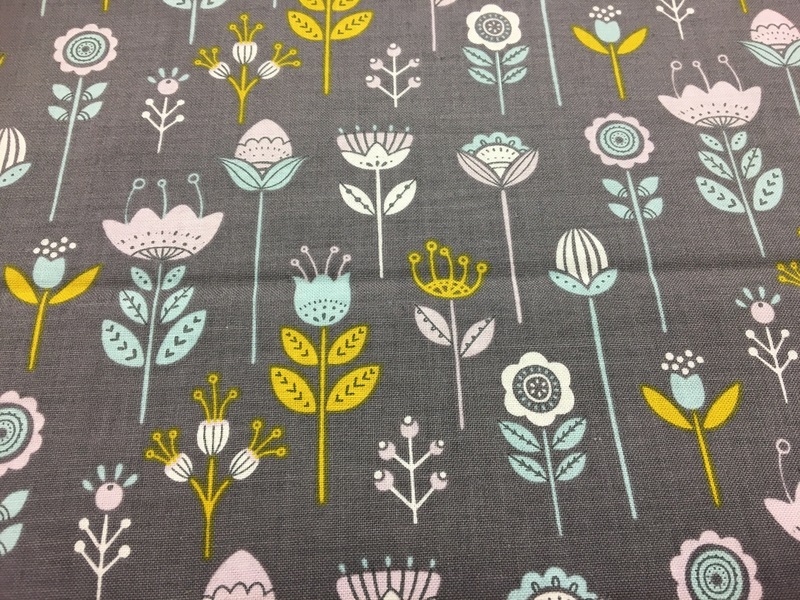 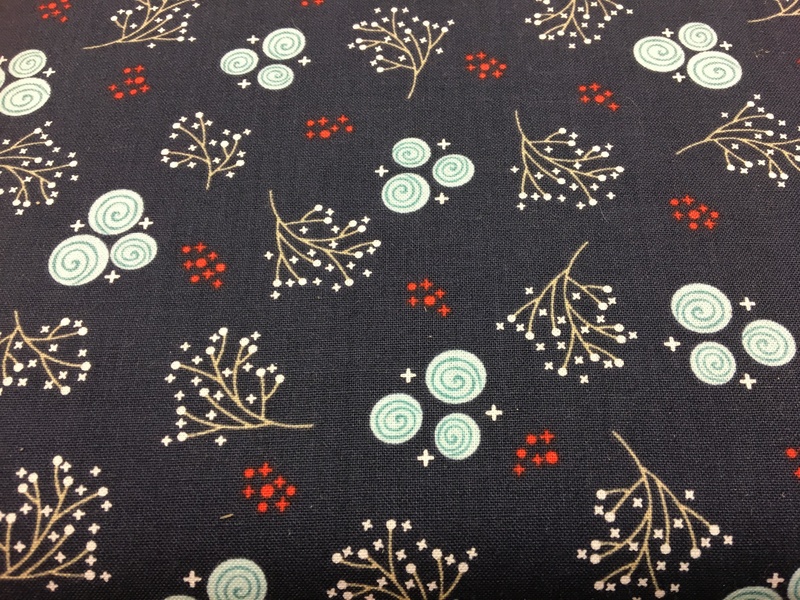 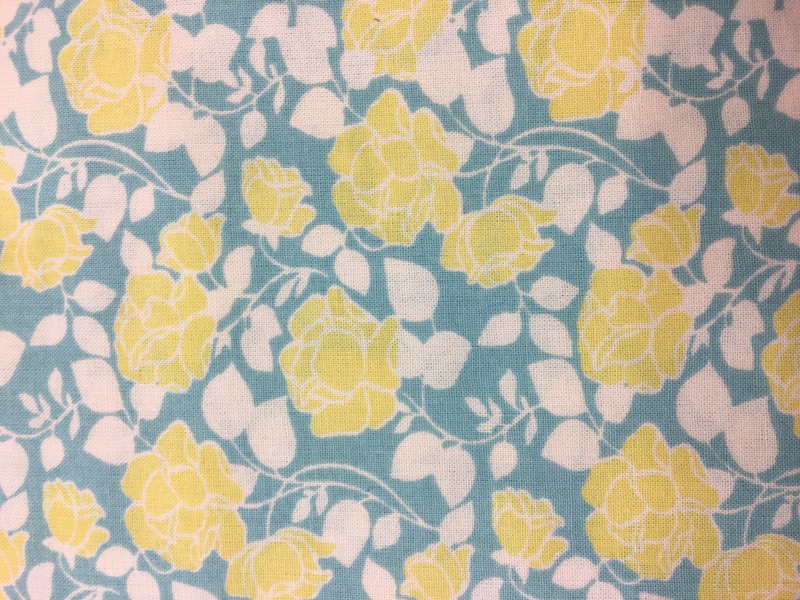 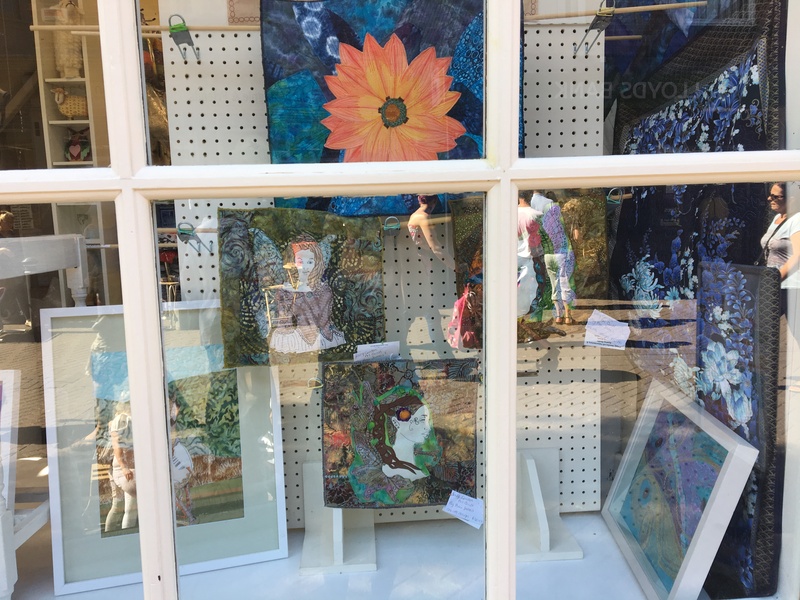 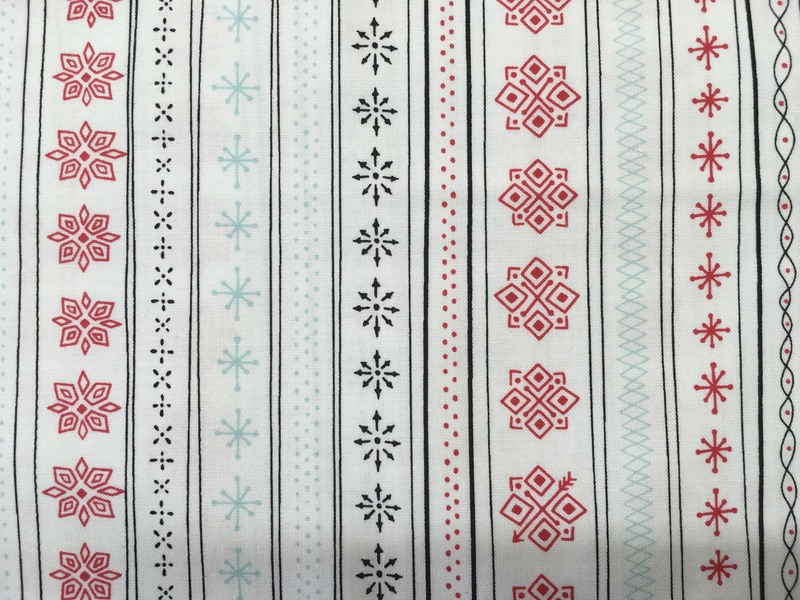 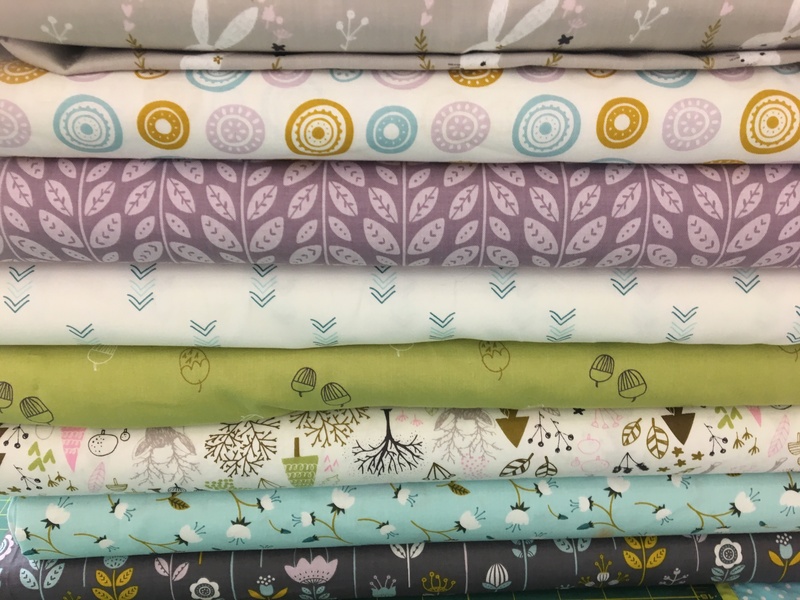 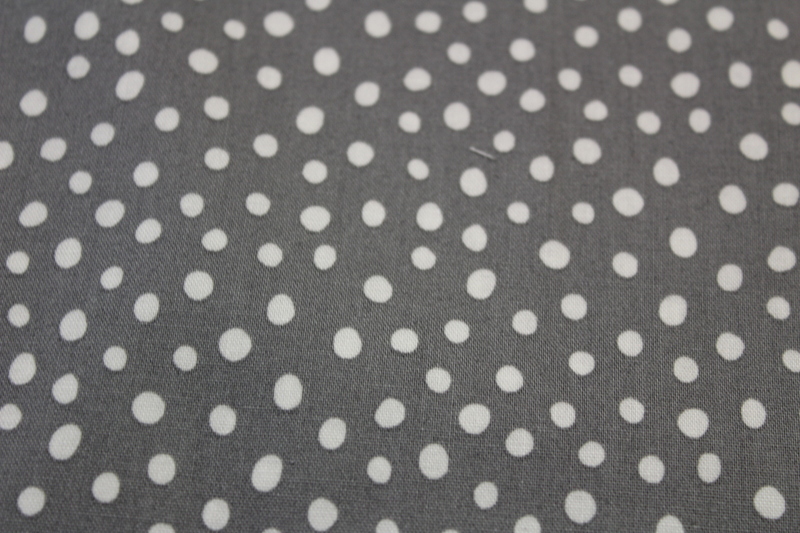 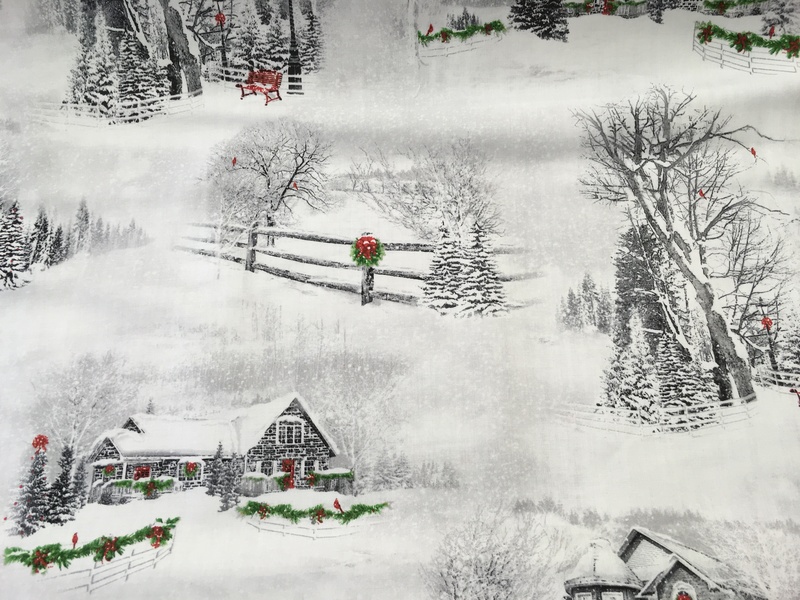 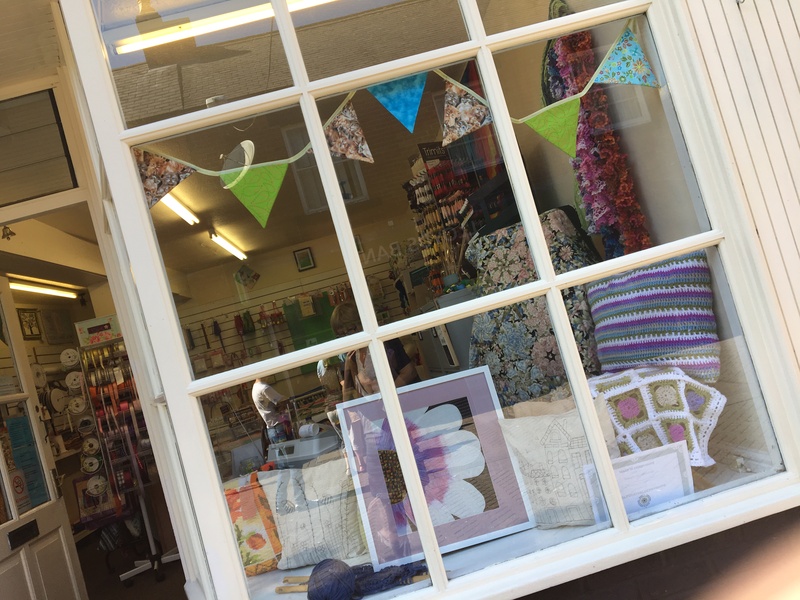 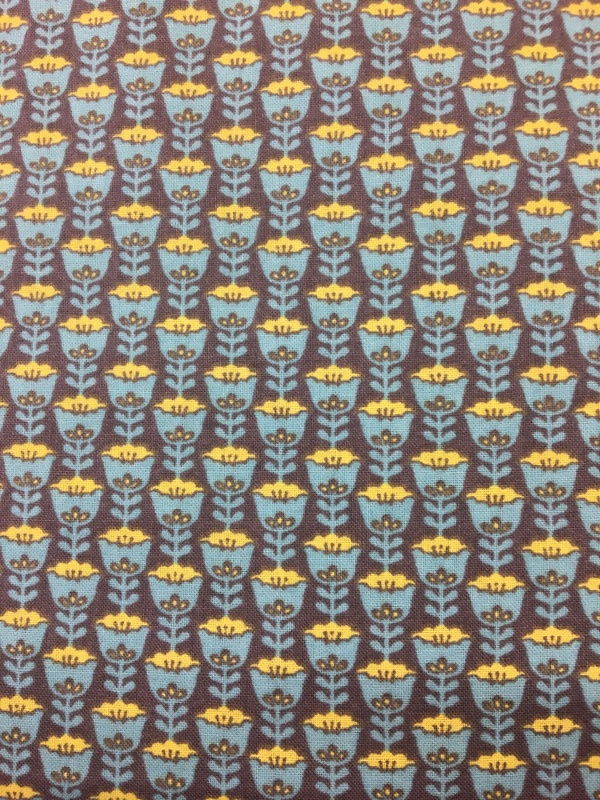 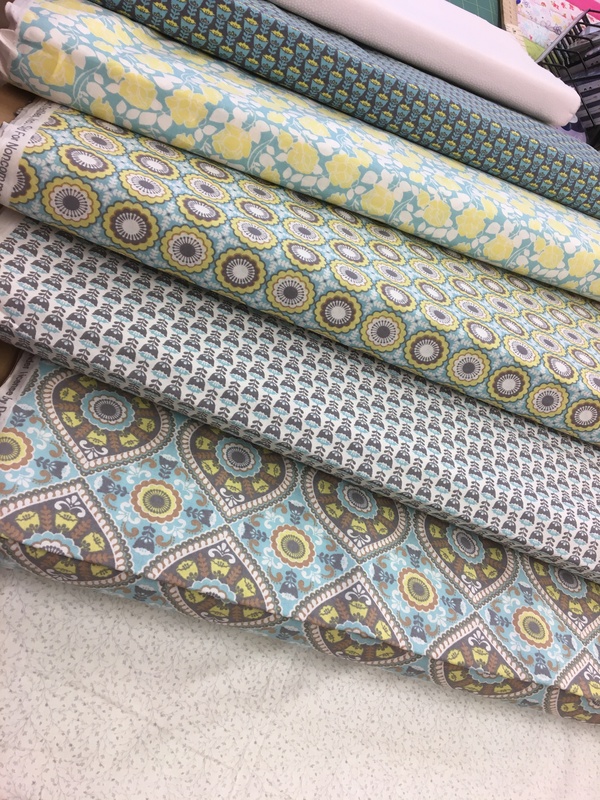 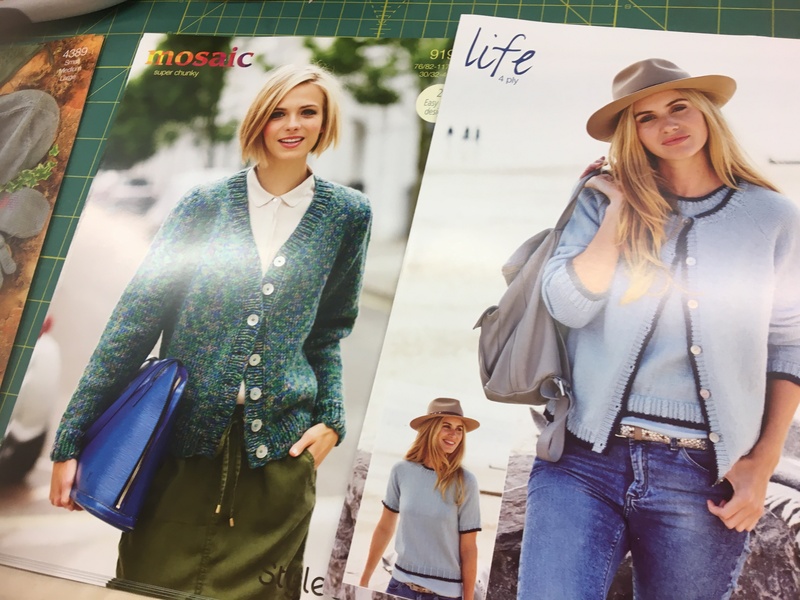 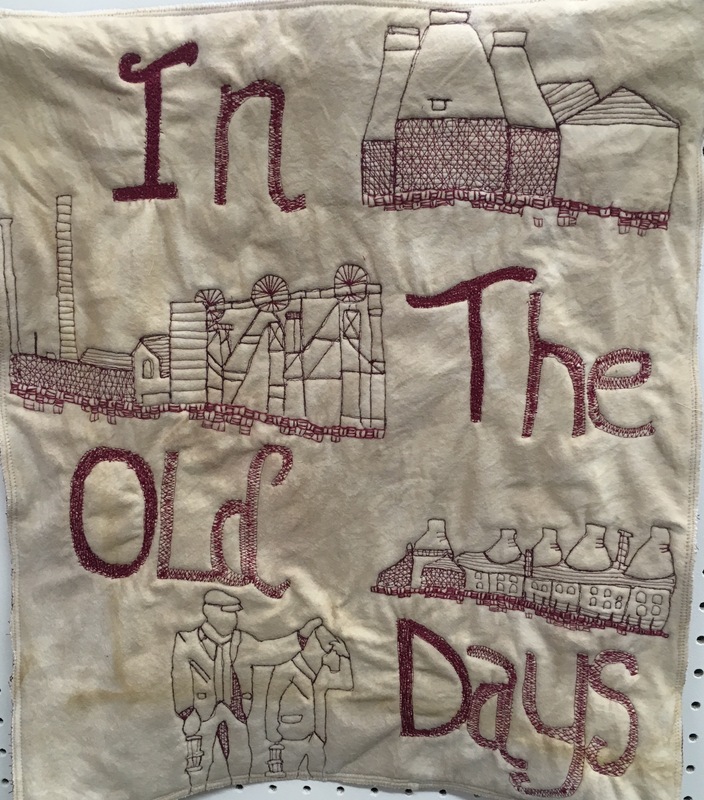 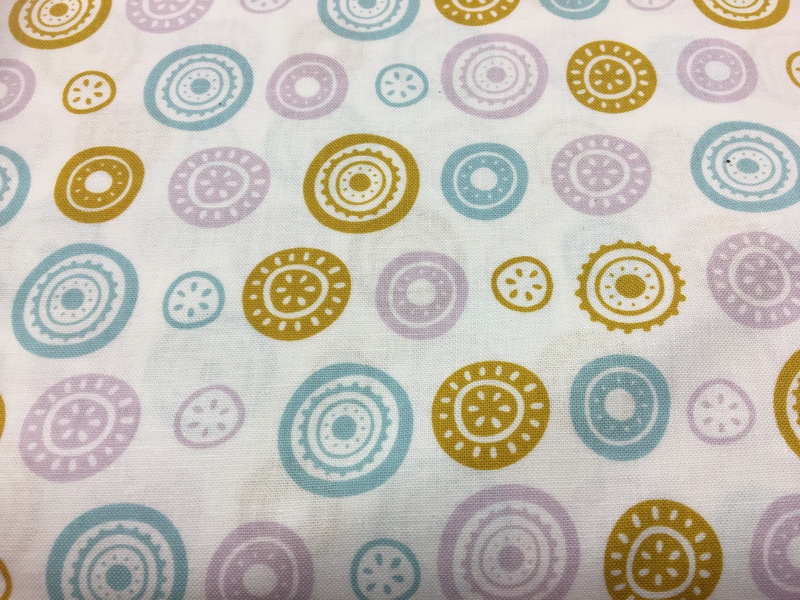 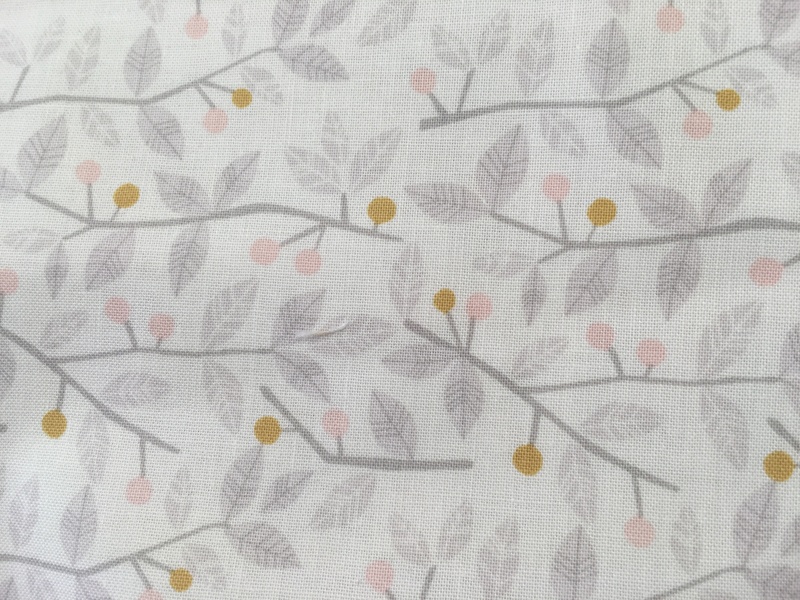 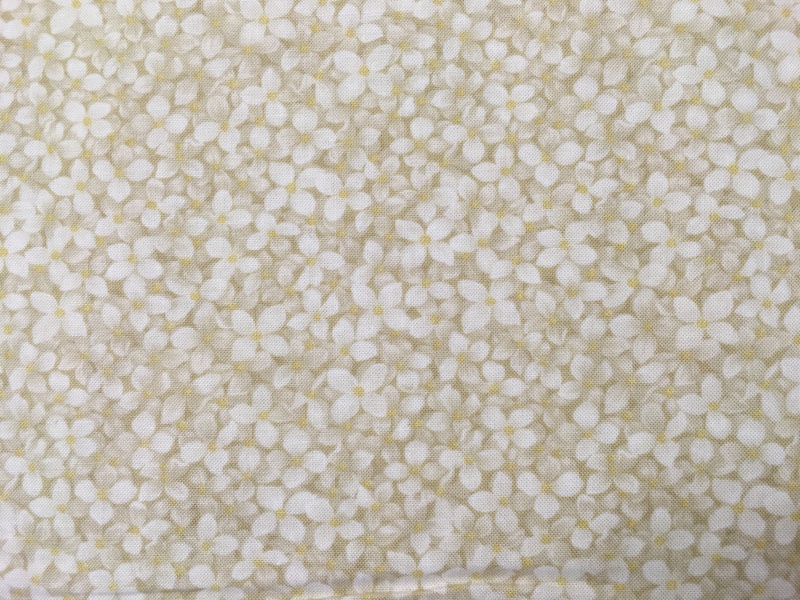 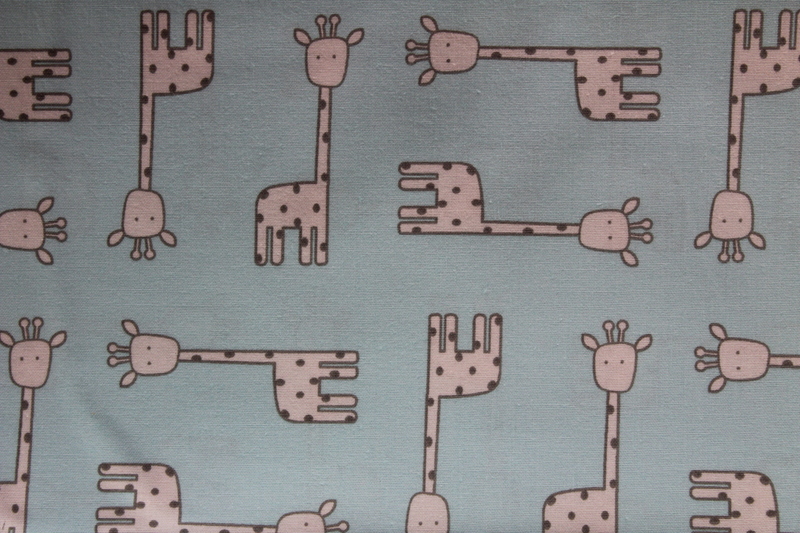 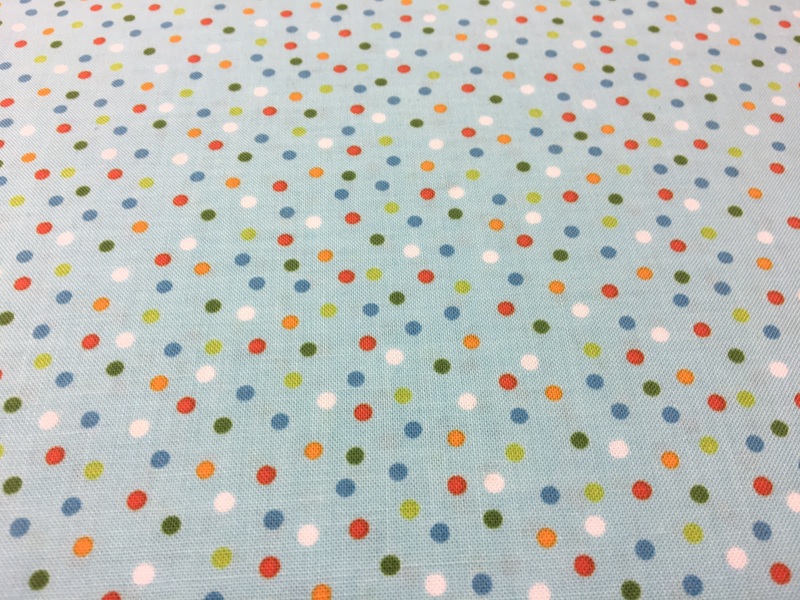 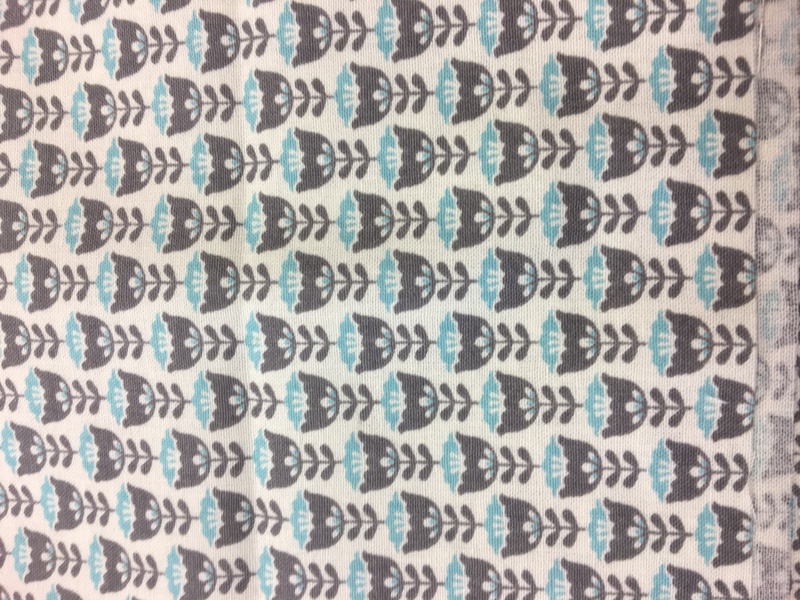 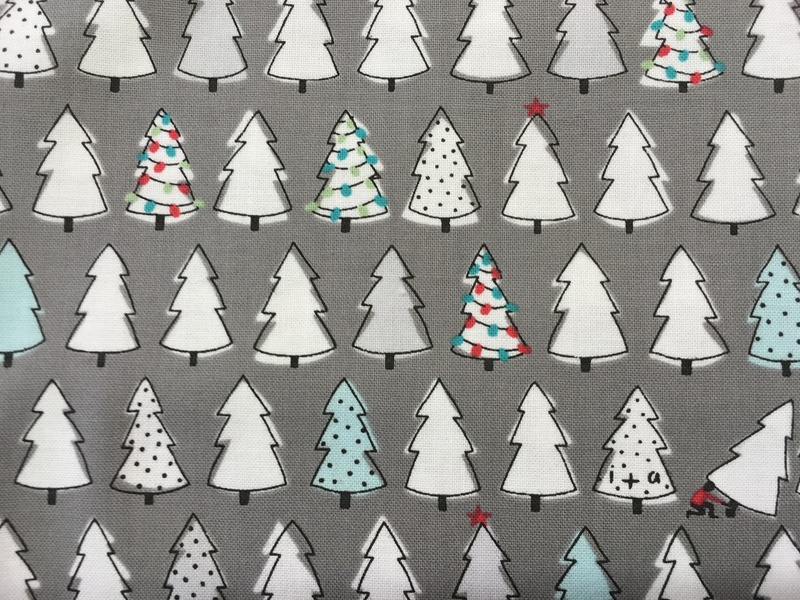 The town looks fab…..
We’ve had some lovely new fabrics in from Kaufman and Dashwoods…. 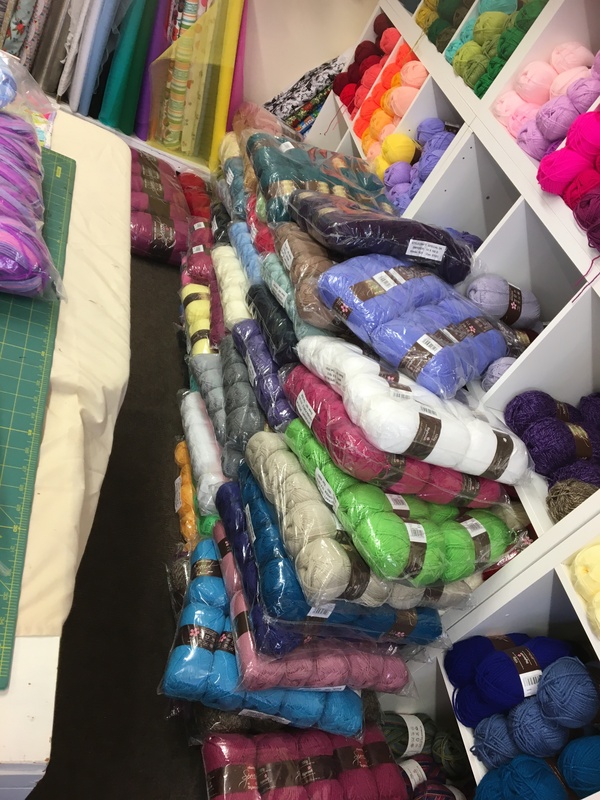 Now I know many of you have heard….I’ve tried to tell as many as possible. 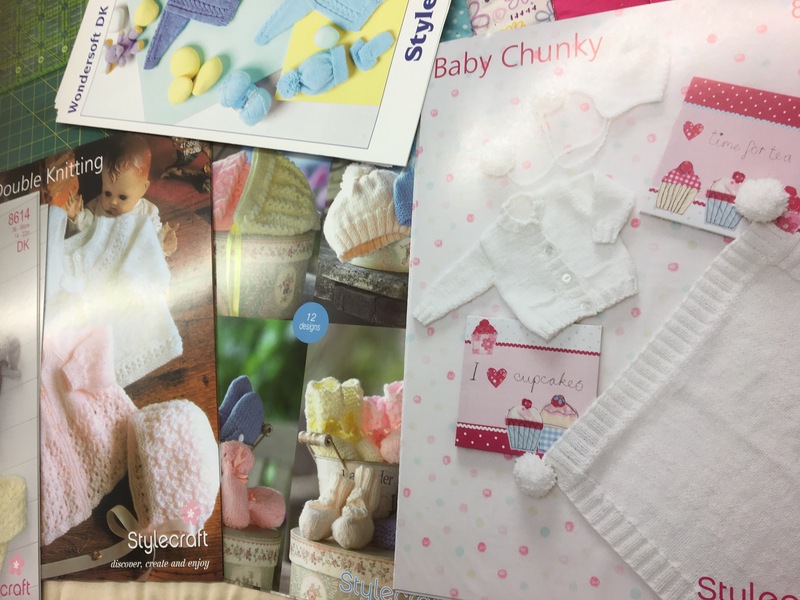 We are moving in the year and sooner than I thought. 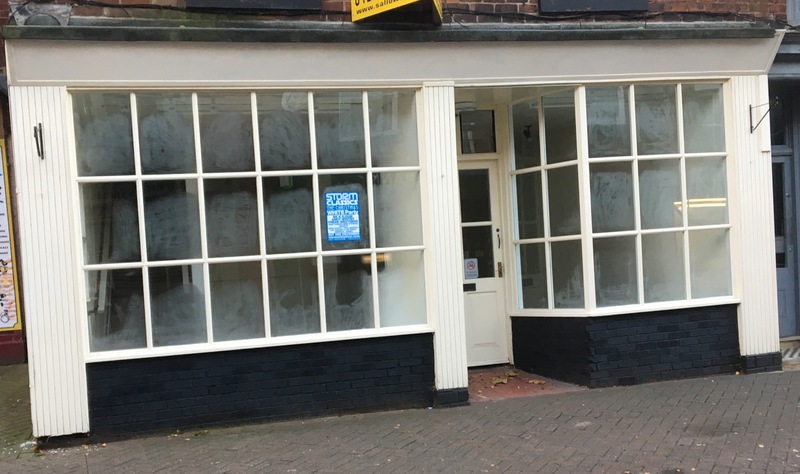 We are moving to 66 High Street. 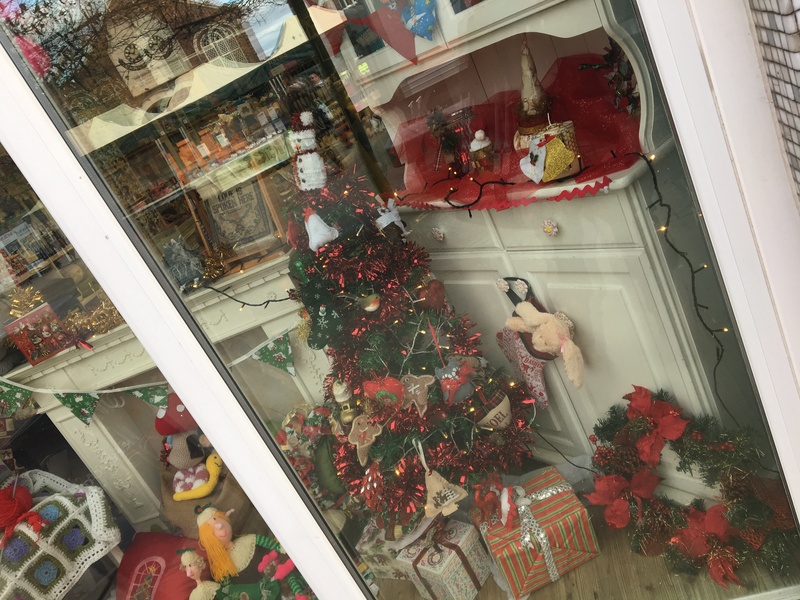 I am closing on Christmas Eve until the 4th January I hoped to be moved in that time. 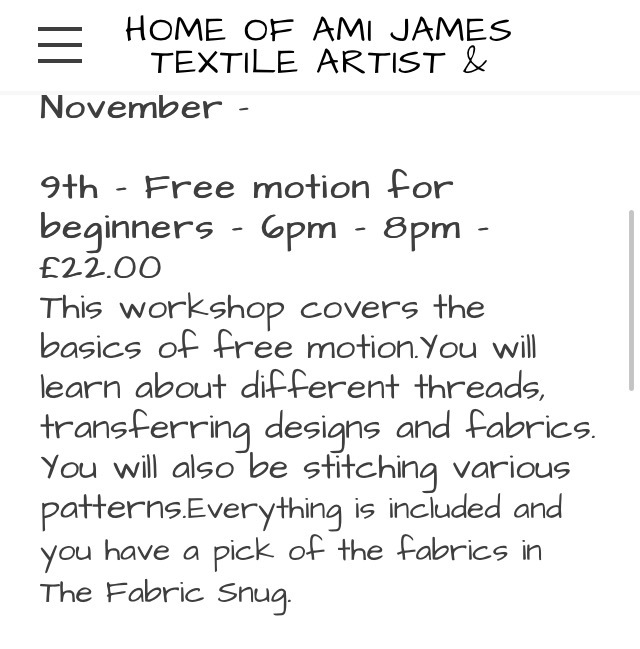 The plan was not to move until February and its difficult to do when I have classes and an open shop. 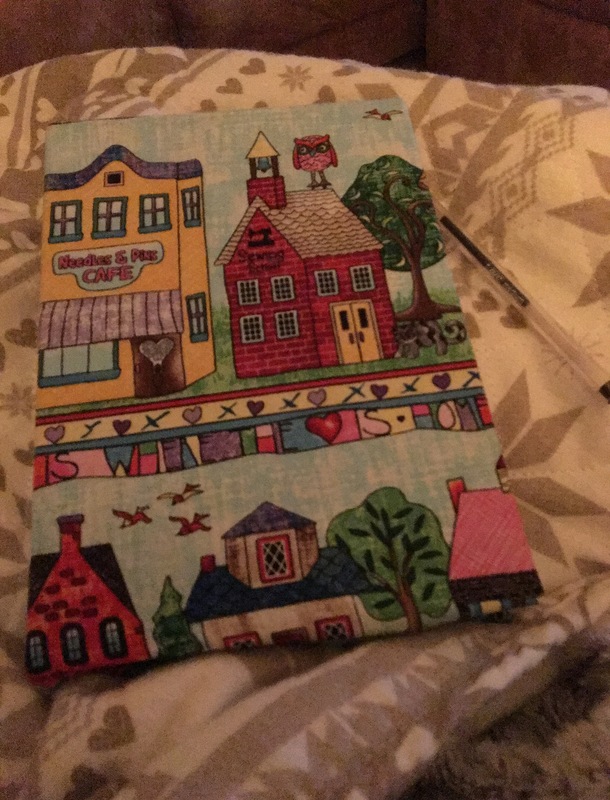 Hopefully everything we be in place for the new year. 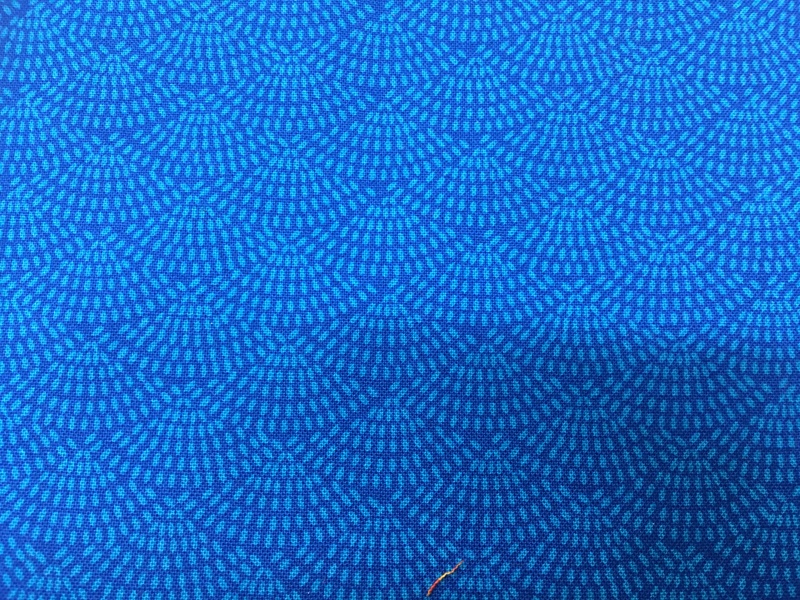 I’ll keep you updated as we go. 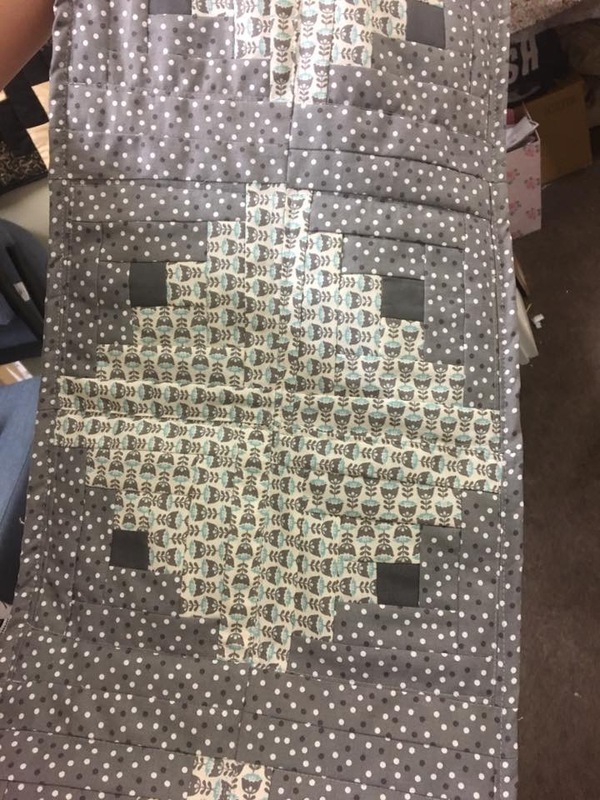 My contact details will still be the same.